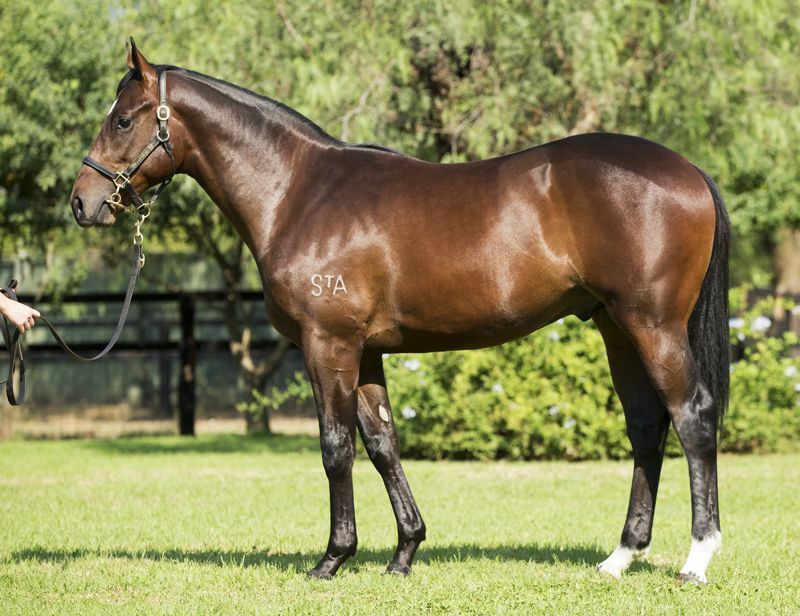 Three exceptional days of selling at the 2016 Inglis Australian Easter Yearling Sale concluded with 437 yearlings selling for a gross of $106.6 million to breeders and vendors. 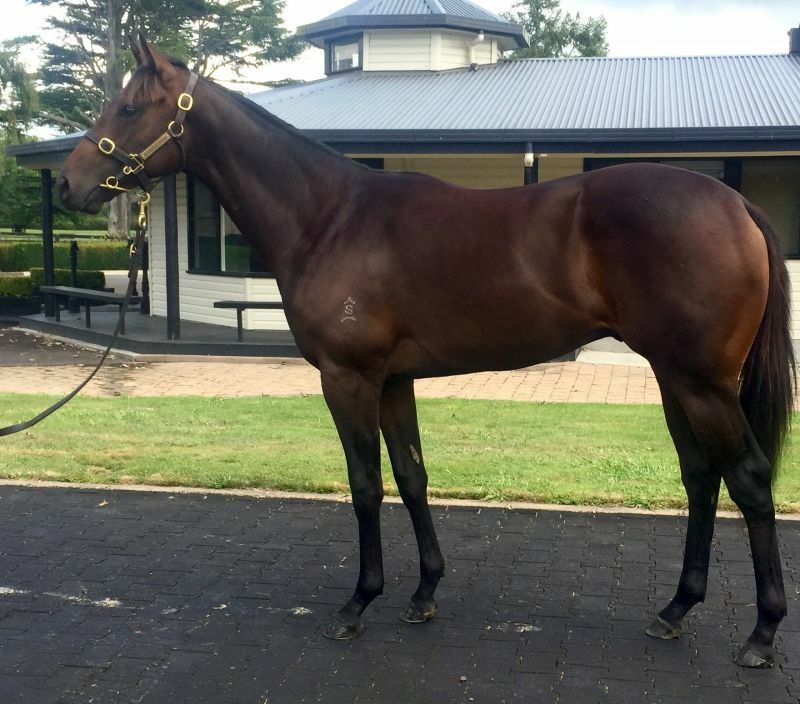 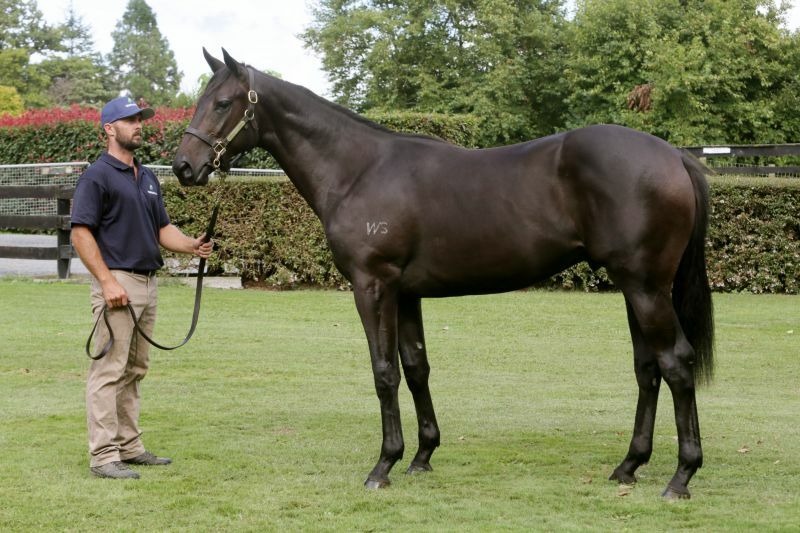 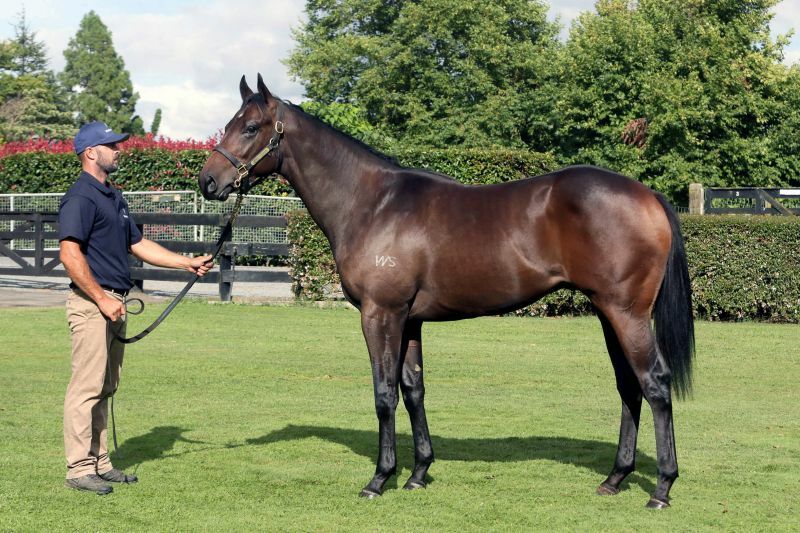 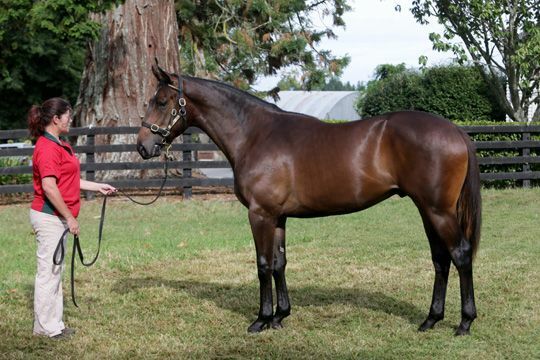 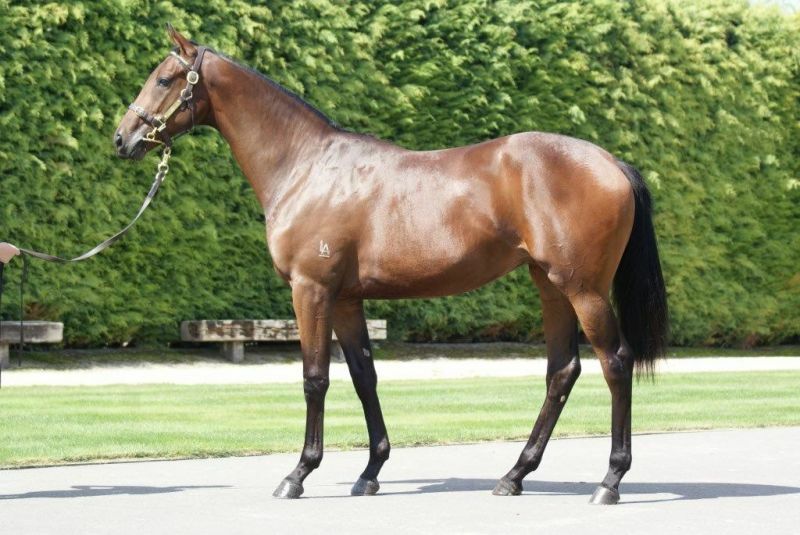 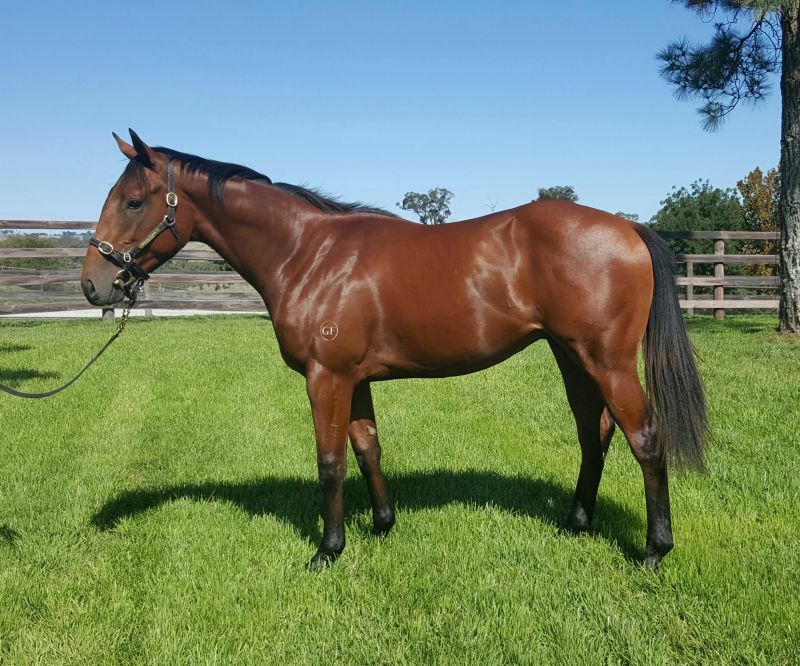 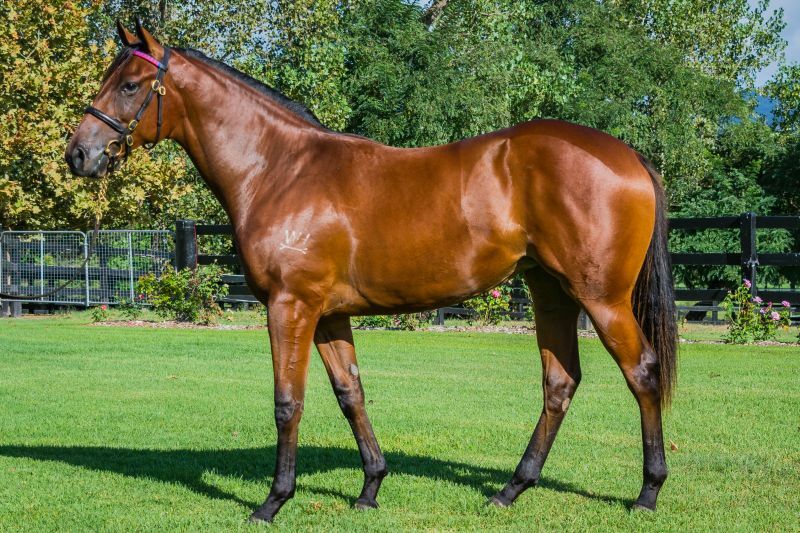 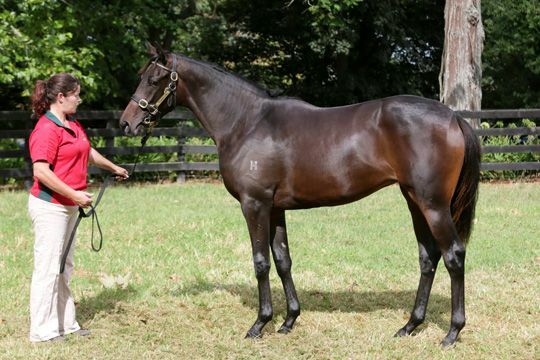 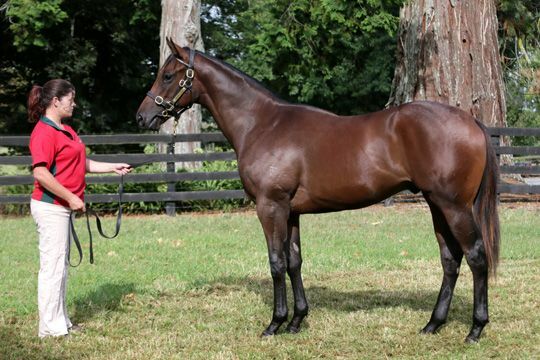 Strong demand for the region’s best fillies and colts at this year’s Easter Sale led to 50 Lots realising prices of $500,000 or more, while siblings to runners in The Championships to have found new homes in the world’s premier stables include Winx, Criterion, Politeness, Bounding, Peeping, Happy Hannah and Vanbrugh. 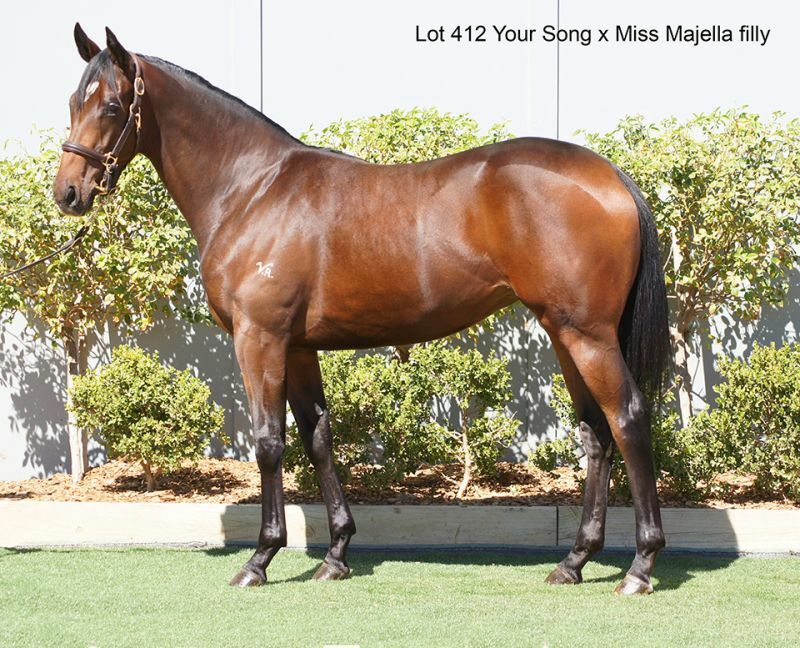 Session I finished with 347 lots sold at an outstanding average of $284,200, median of $200,000 and clearance rate of 84 per cent. 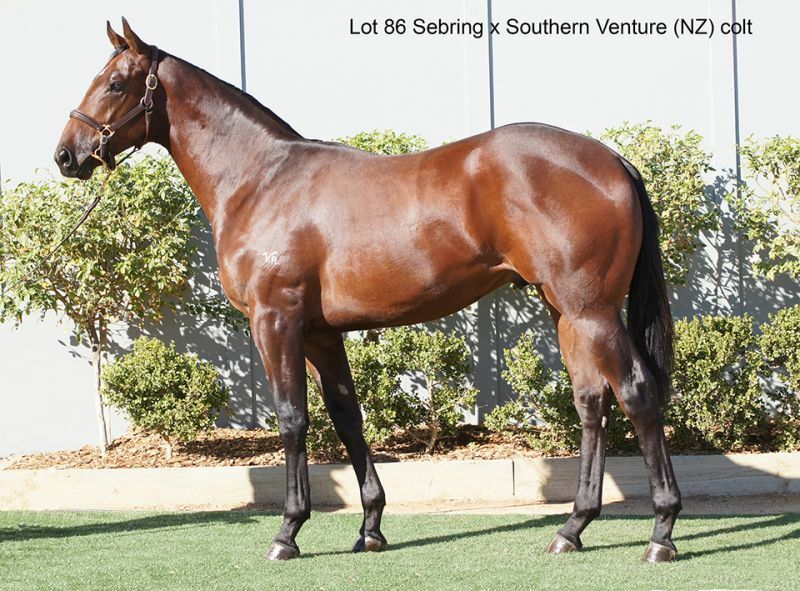 90 lots have been sold in Session II at a clearance rate of 79 per cent, average of $88,722 and median price of $75,000. 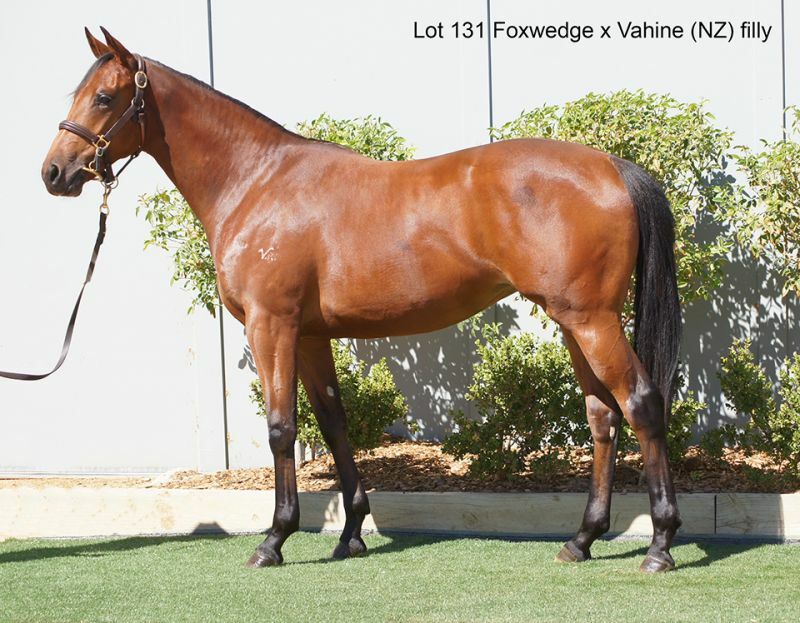 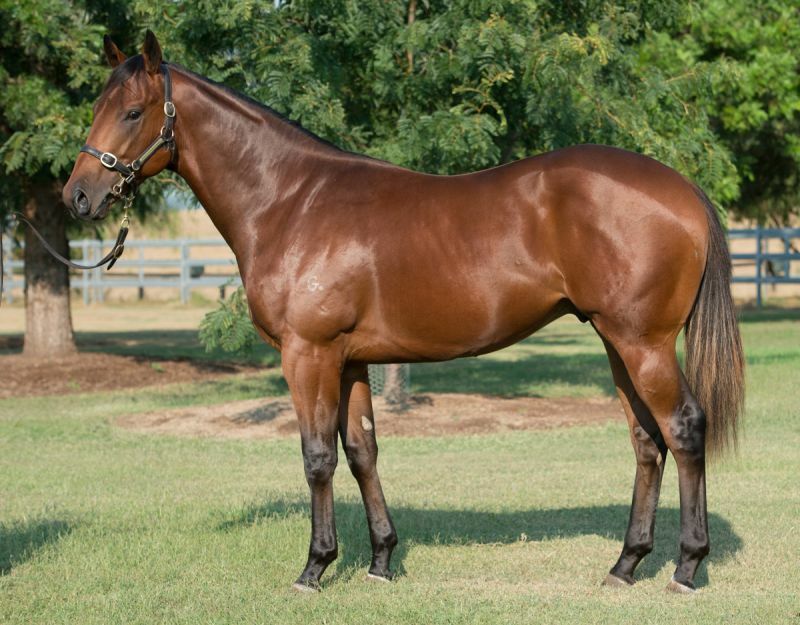 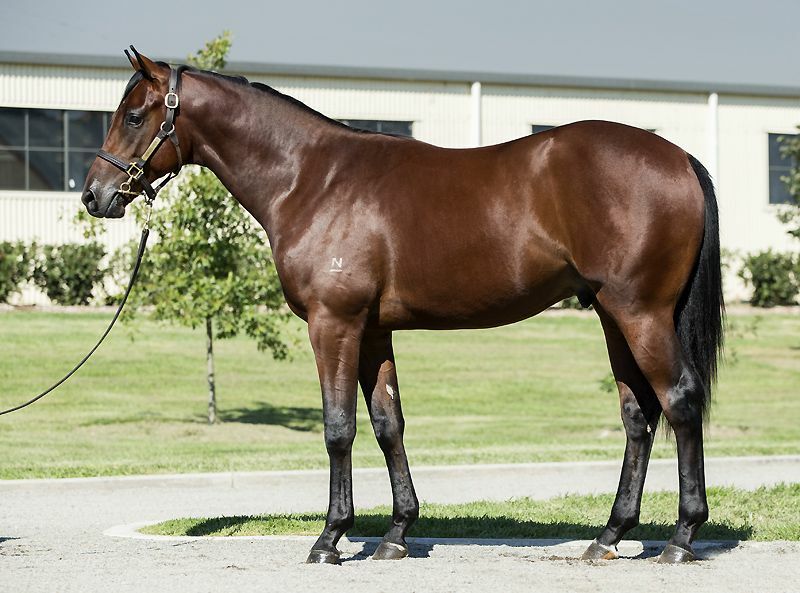 Nine lots sold for $1 million or more, headed by Winx’s half-brother by Snitzel that was sold as Lot 135 by Segenhoe Stud Australia, as agent for John Camilleri's Fairway Thoroughbreds. 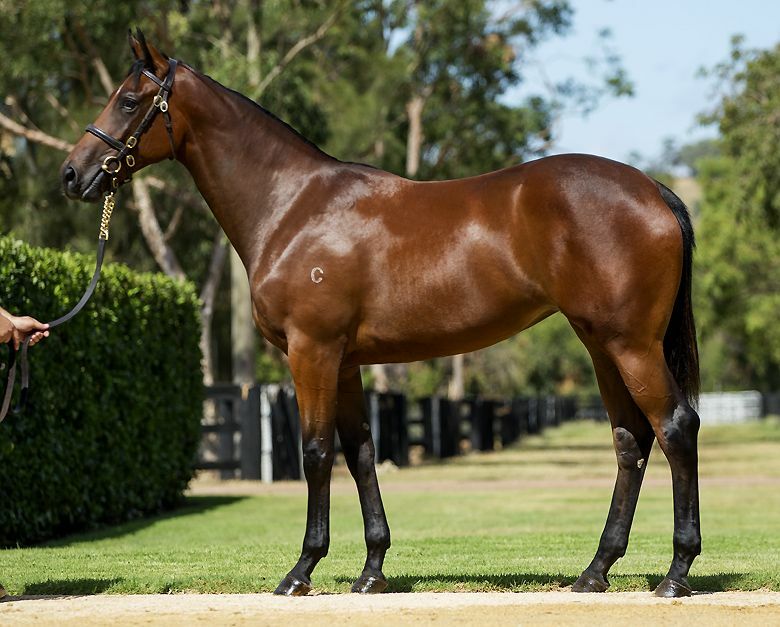 Gai Waterhouse and her agent Julian Blaxland stood with Hussain Lootah, Dr Shalabh Sahu and Bryan Carlson of Emirates Park under the Moreton Bay Fig tree and had to fight off plenty of competition from around the ring including underbidder Duncan Ramage. 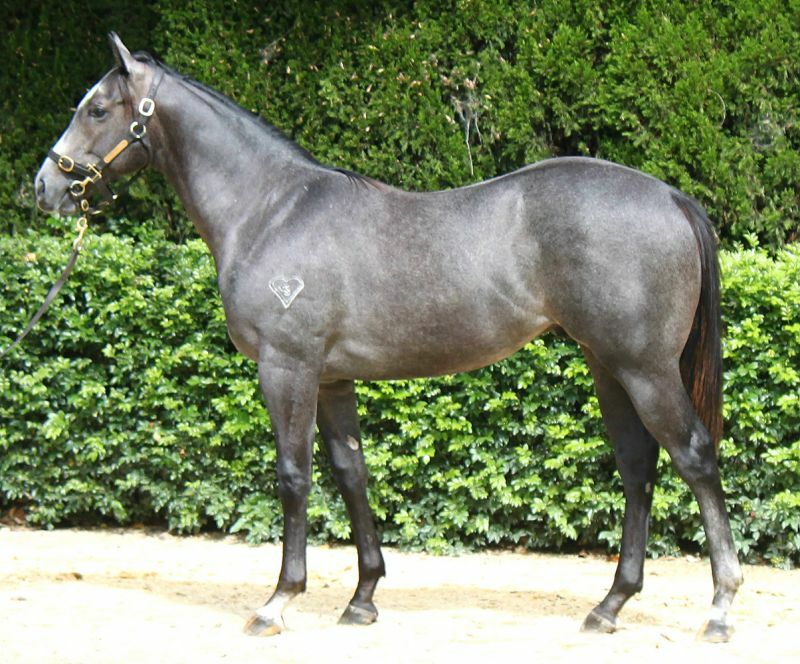 A final bid of $2,300,000 was required to secure the colt, which is also a full-brother to Gai’s Kindergarten Stakes winner El Divino. 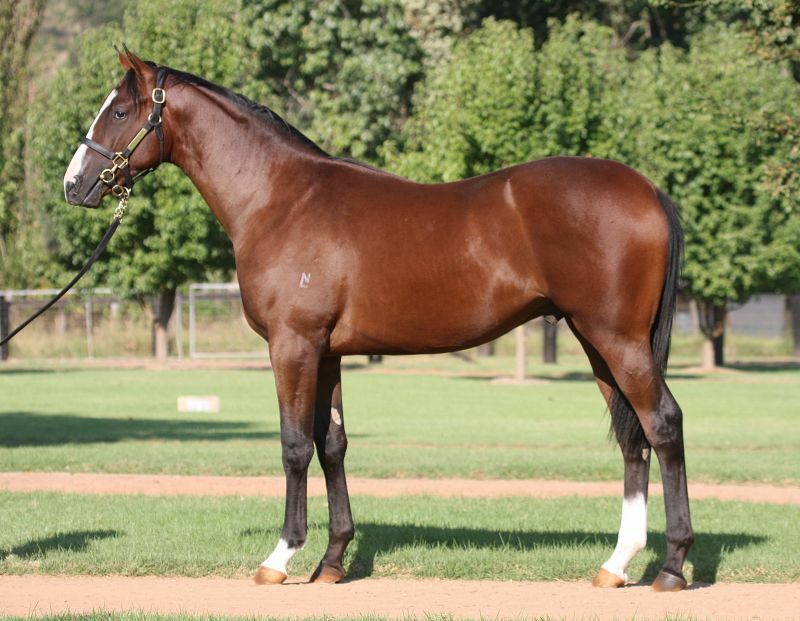 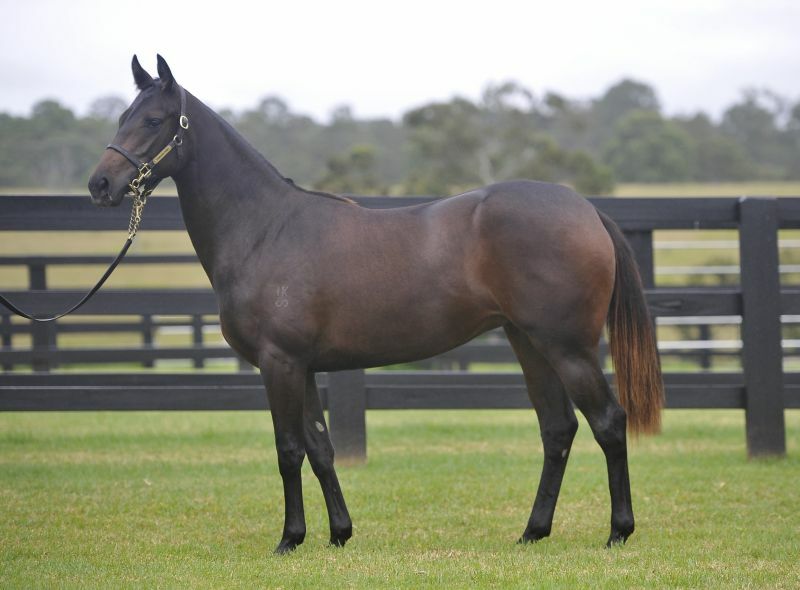 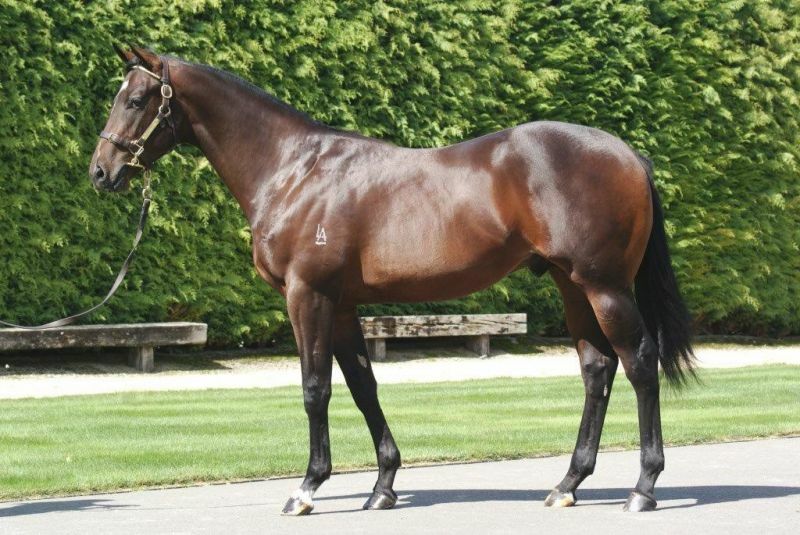 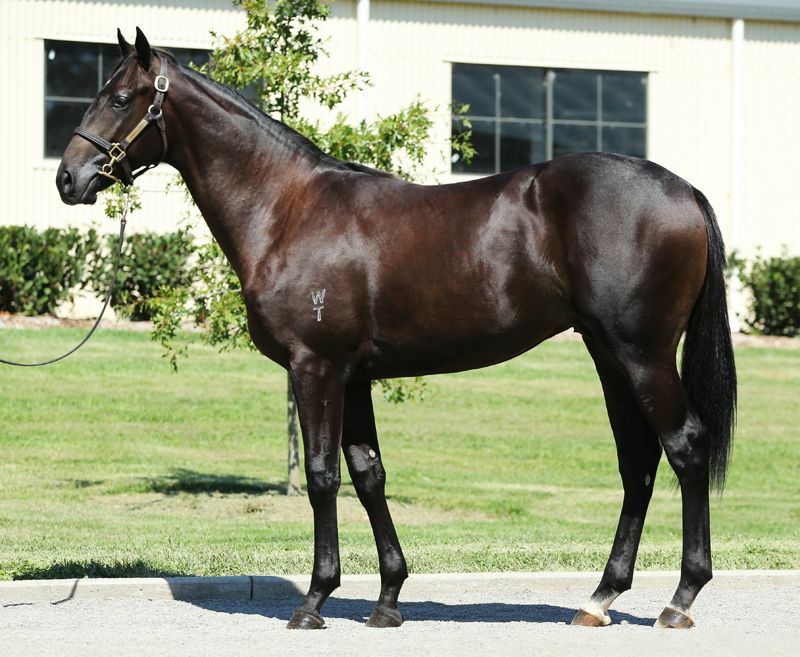 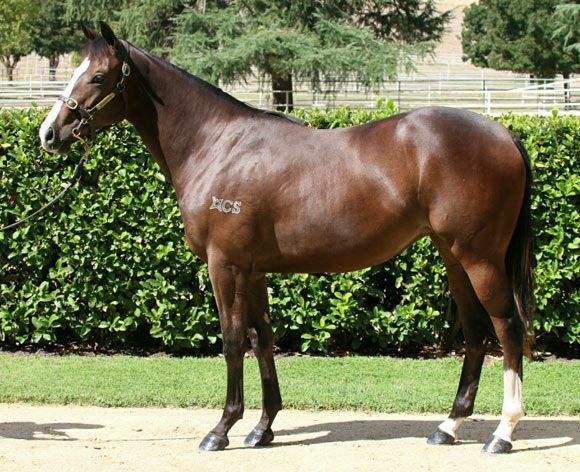 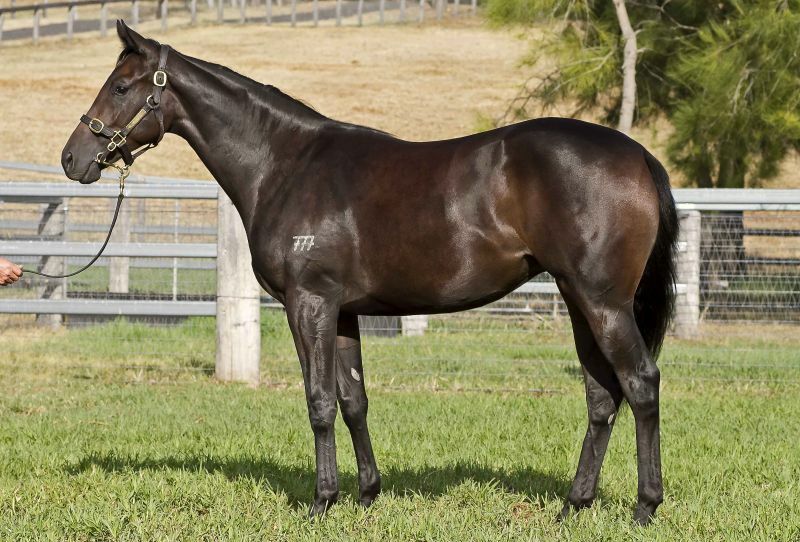 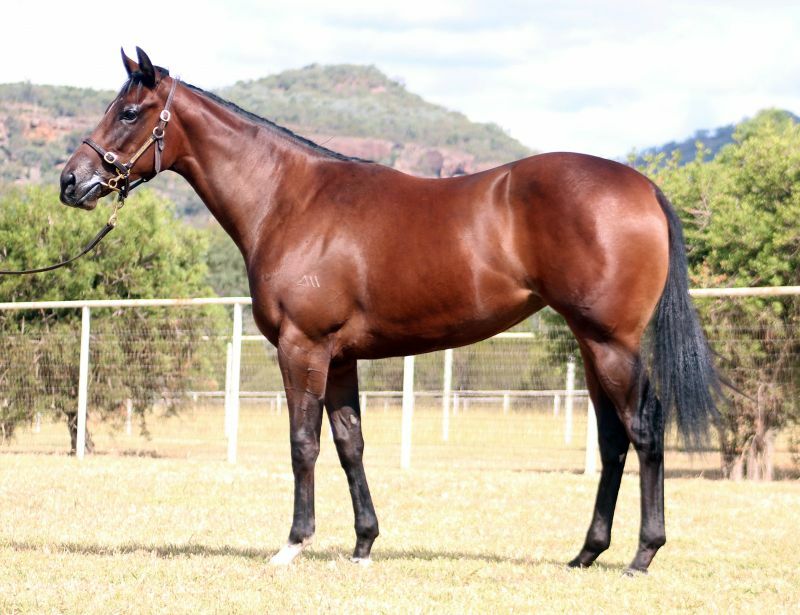 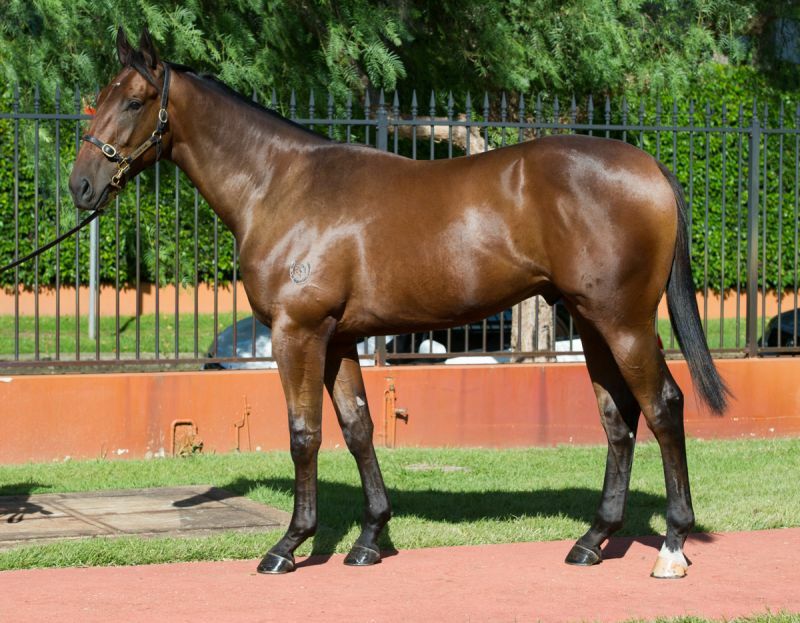 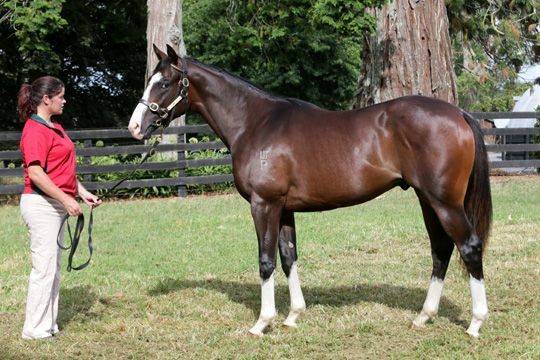 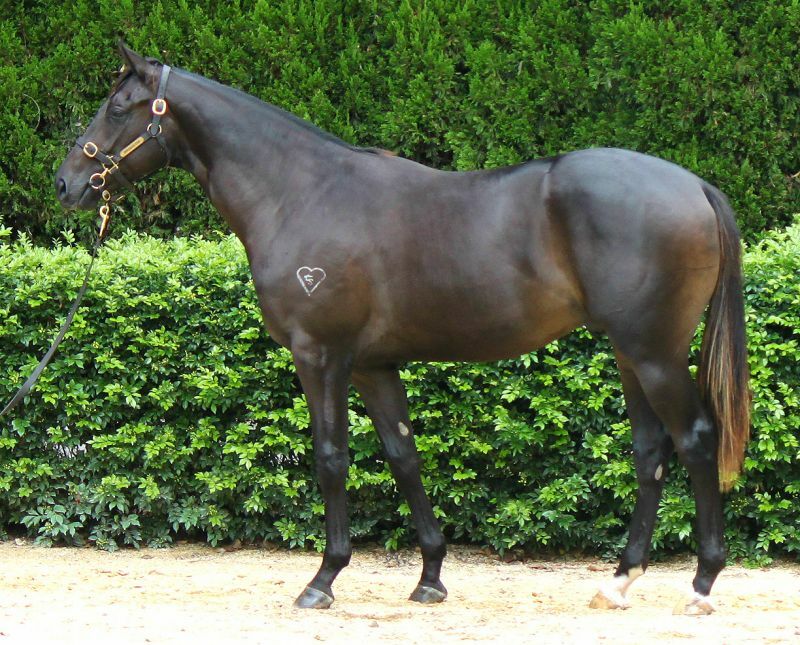 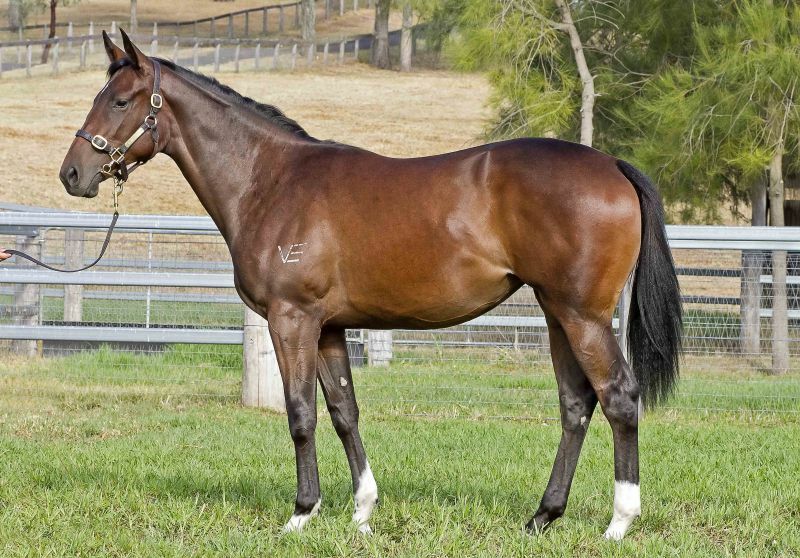 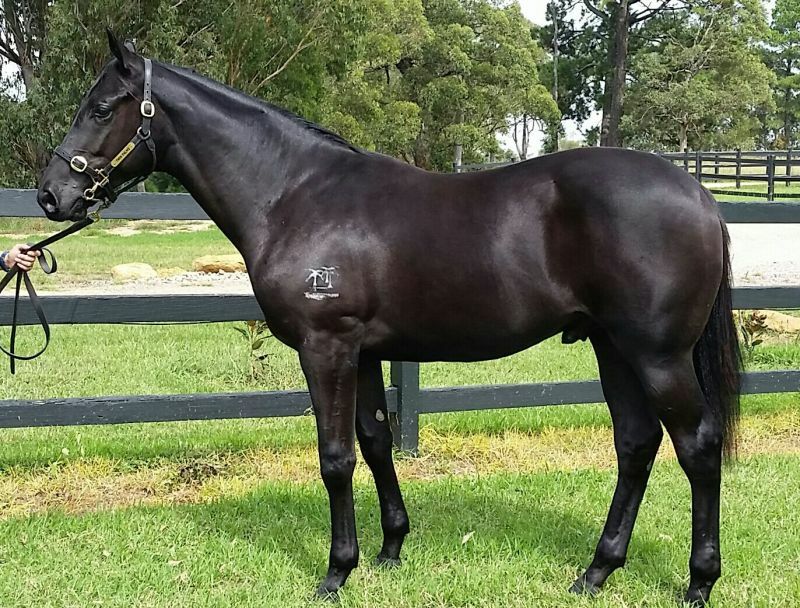 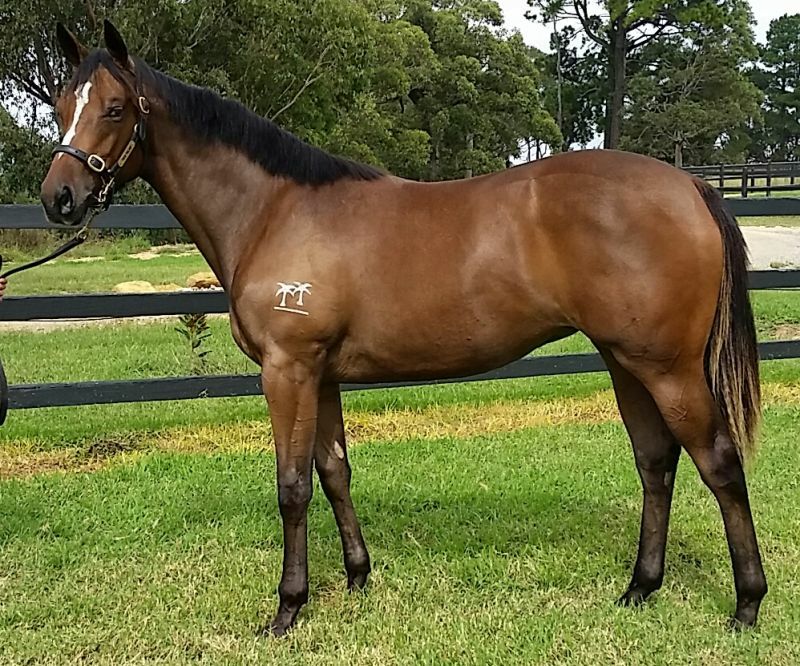 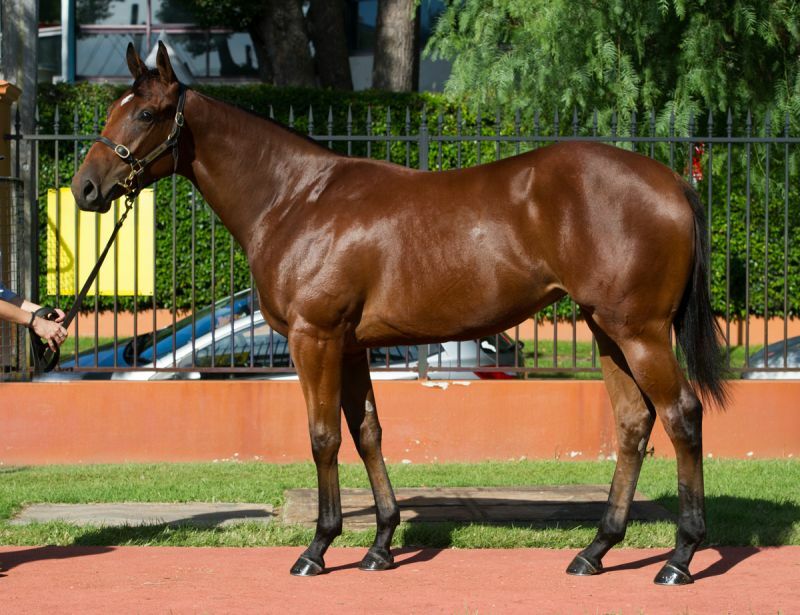 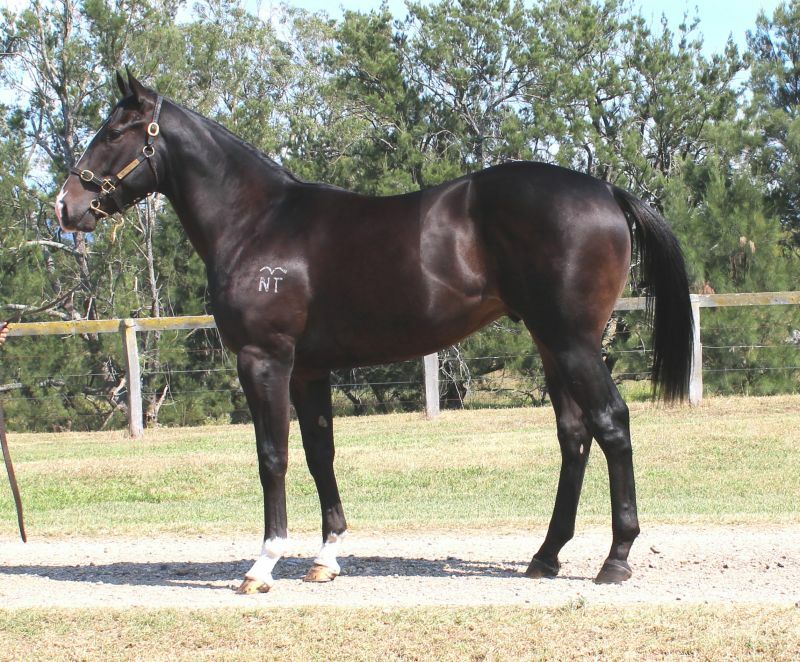 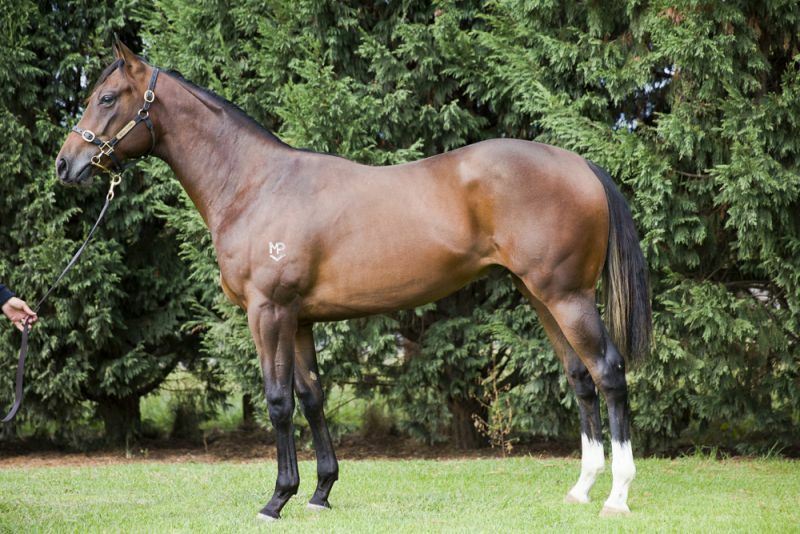 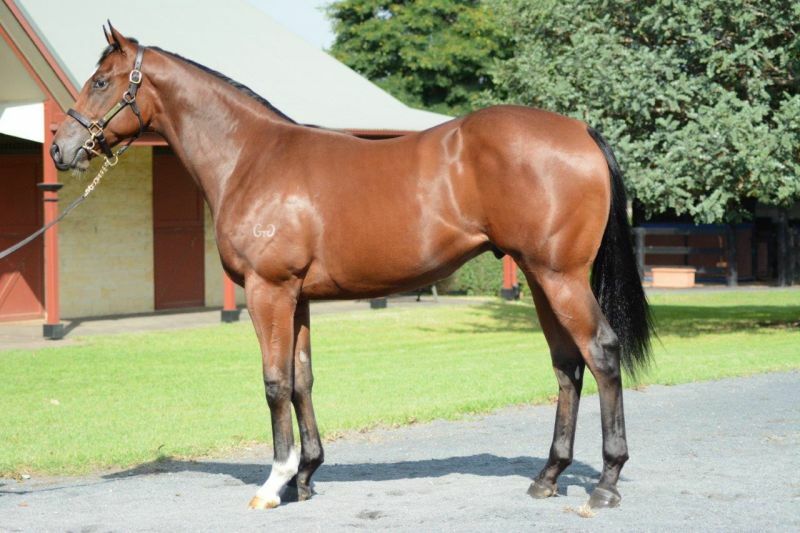 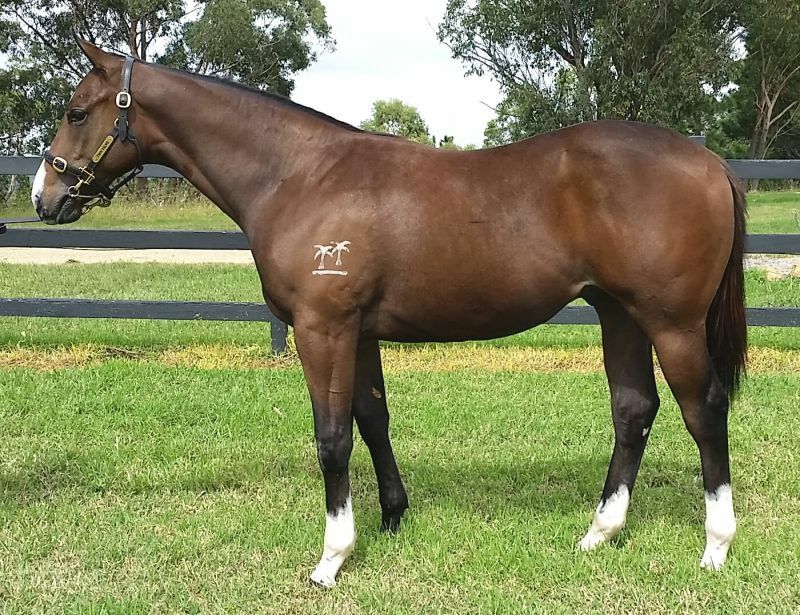 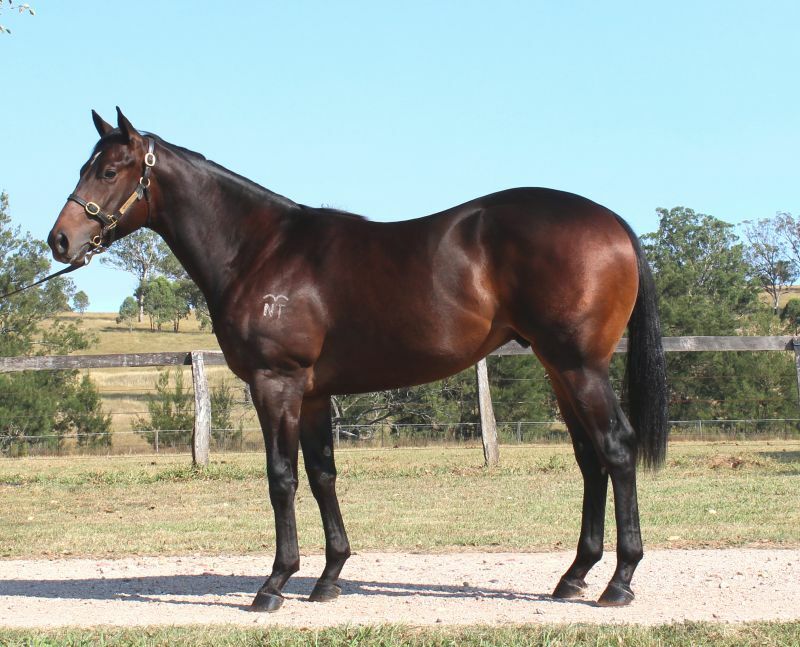 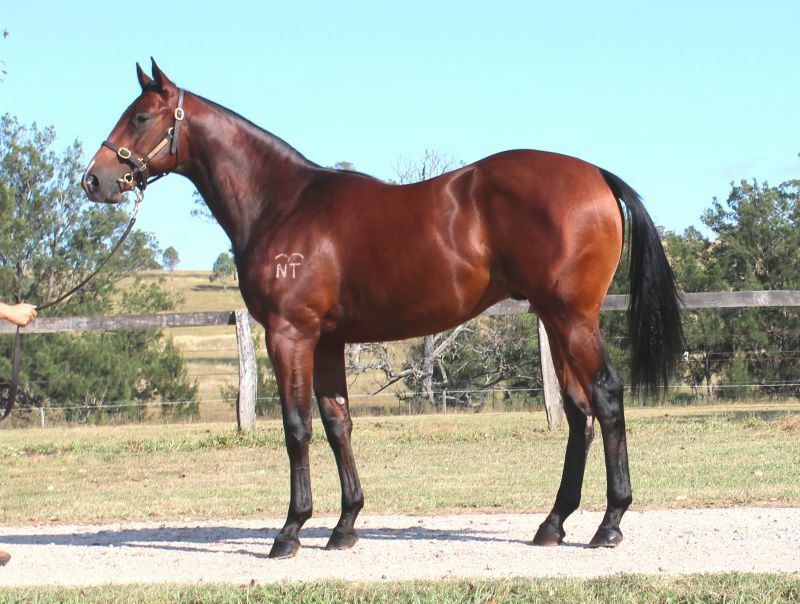 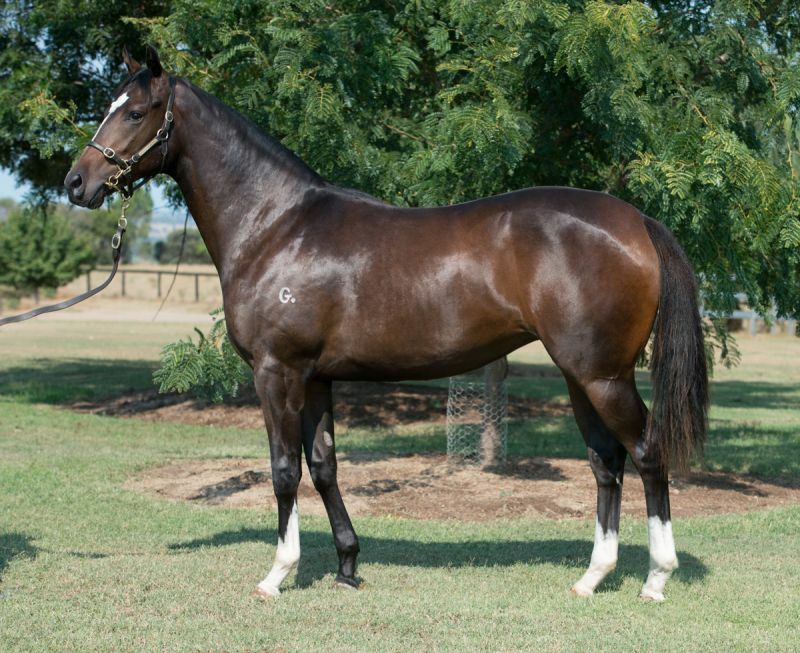 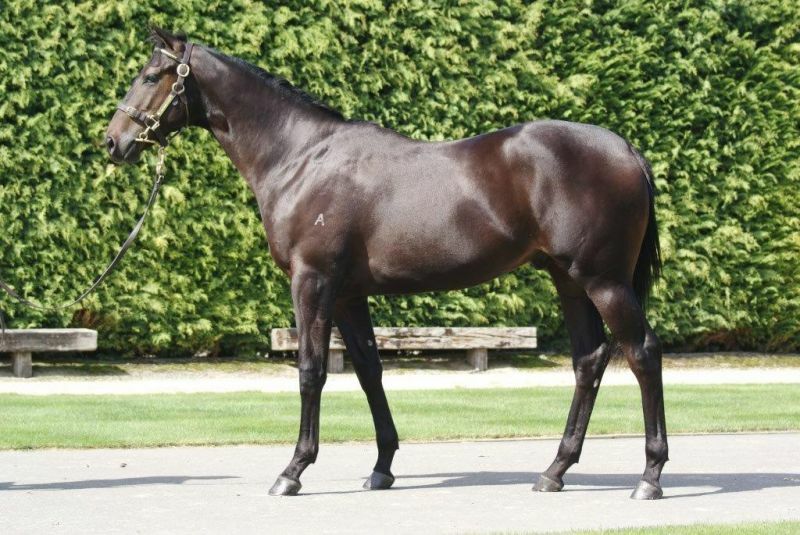 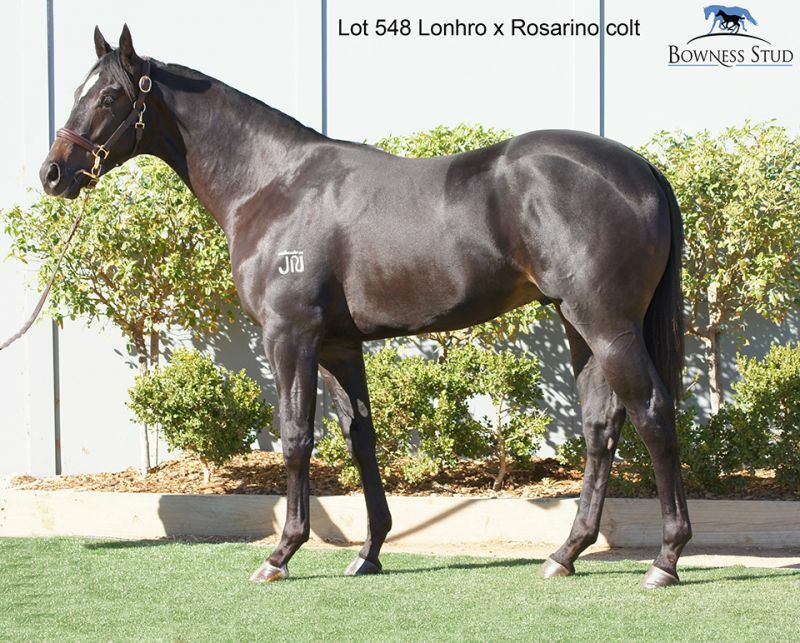 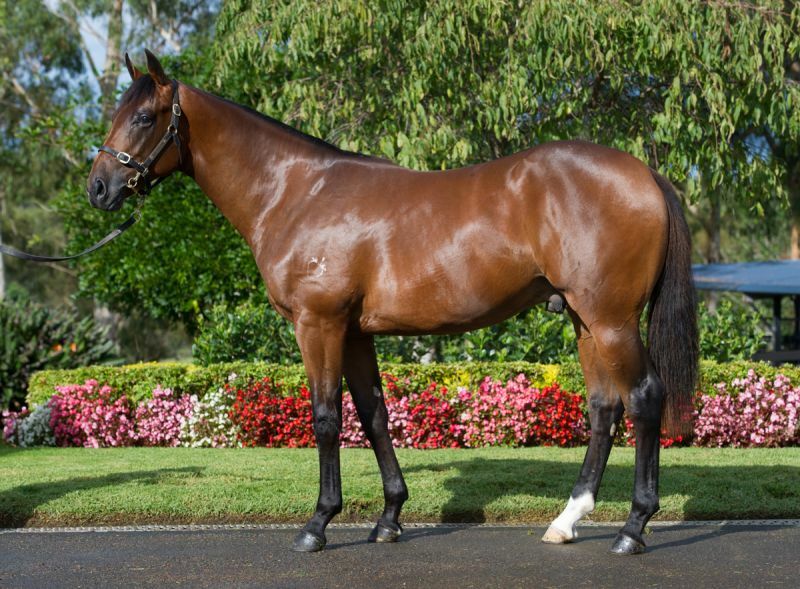 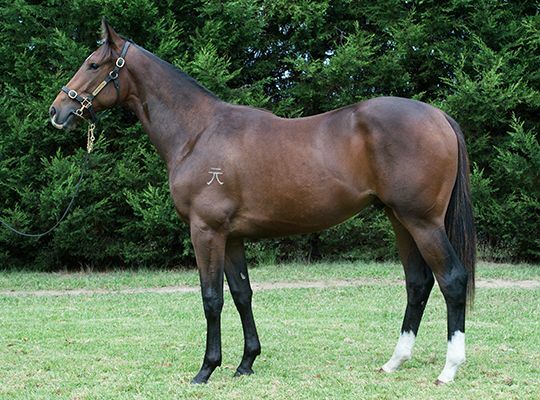 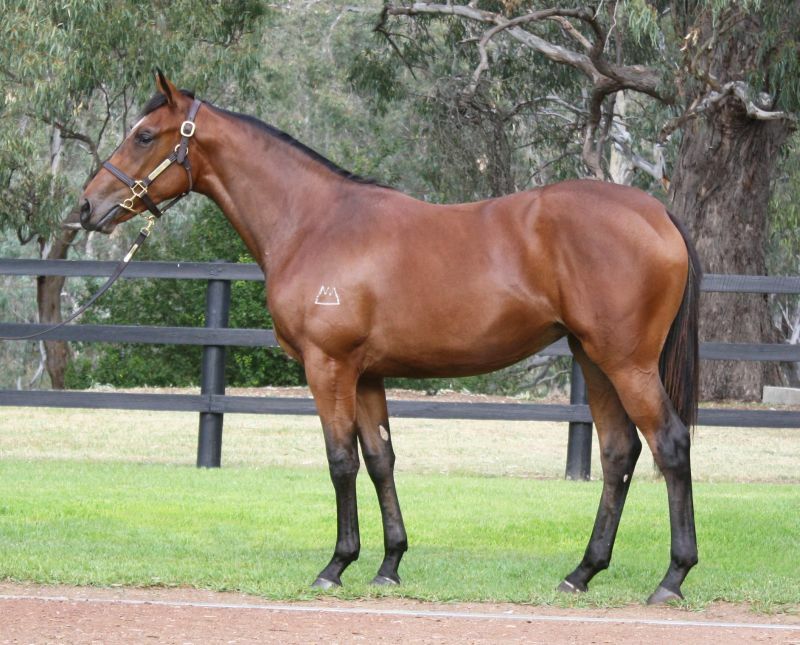 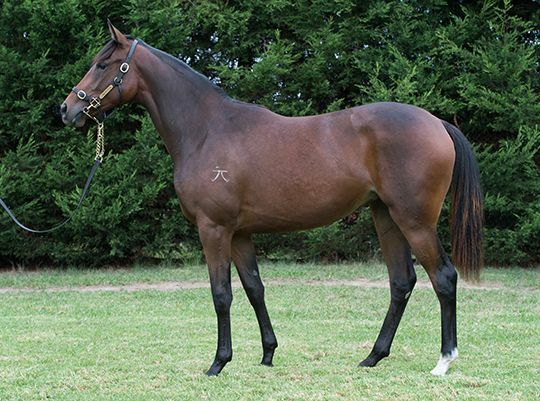 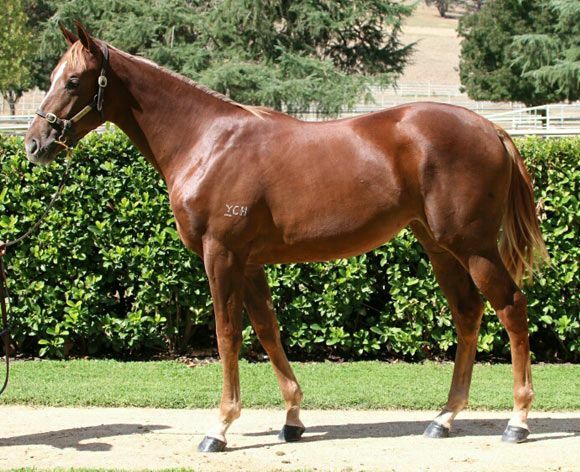 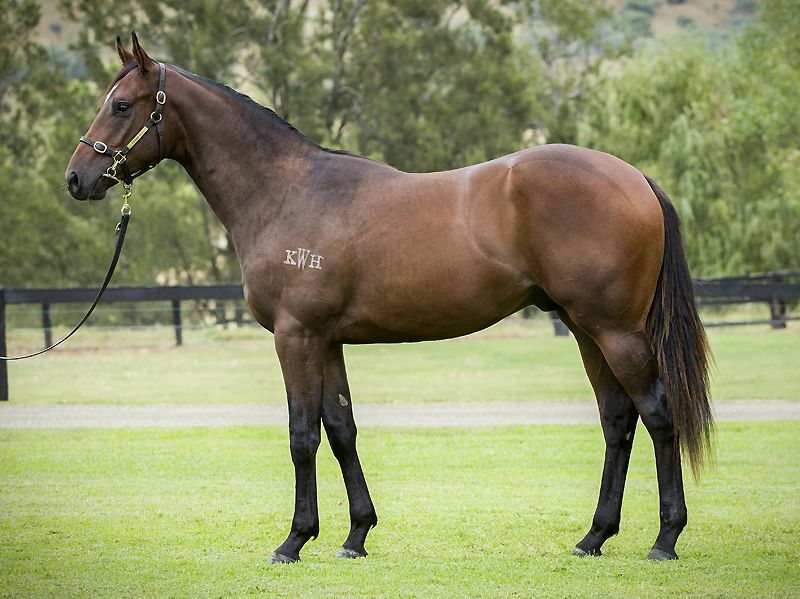 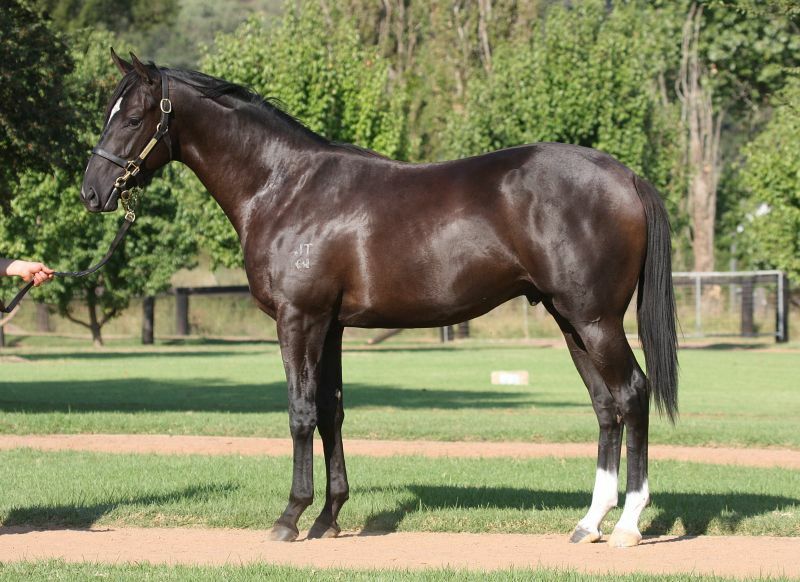 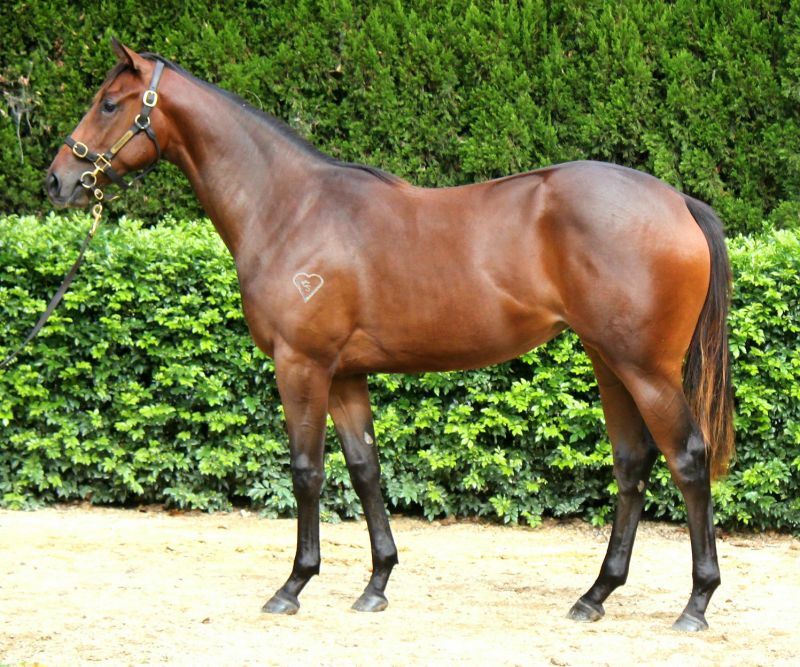 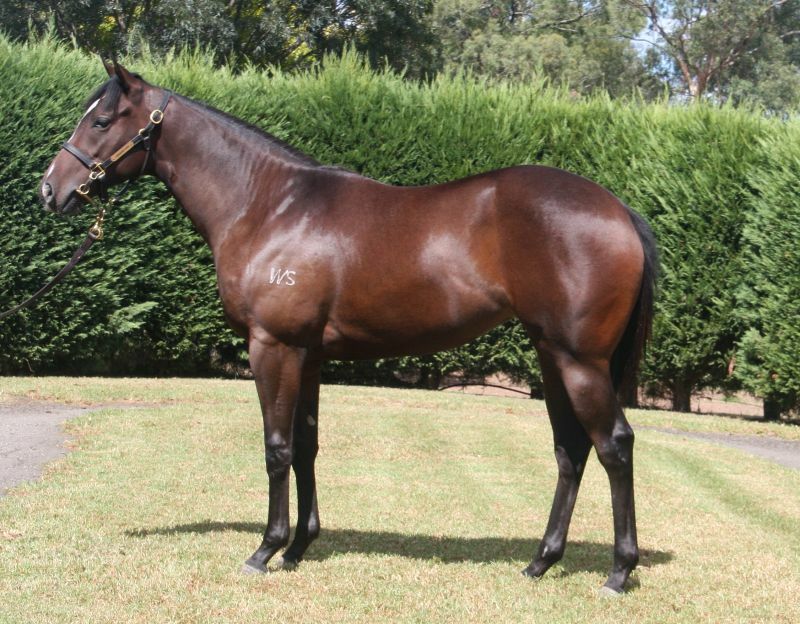 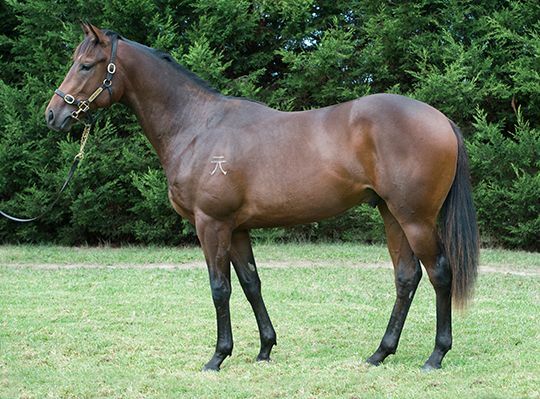 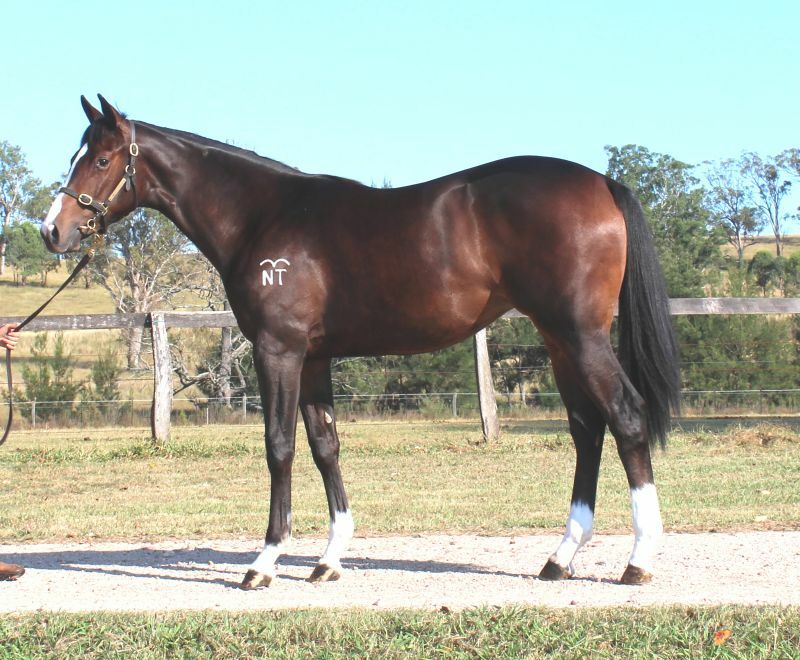 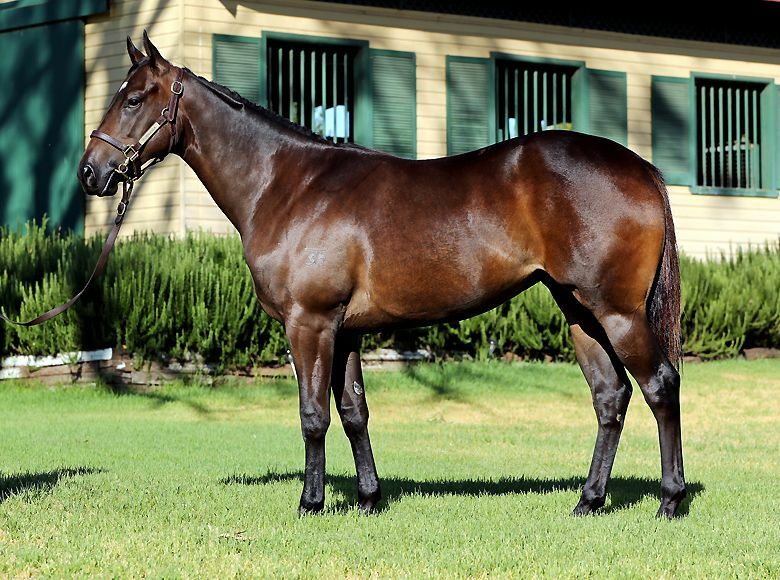 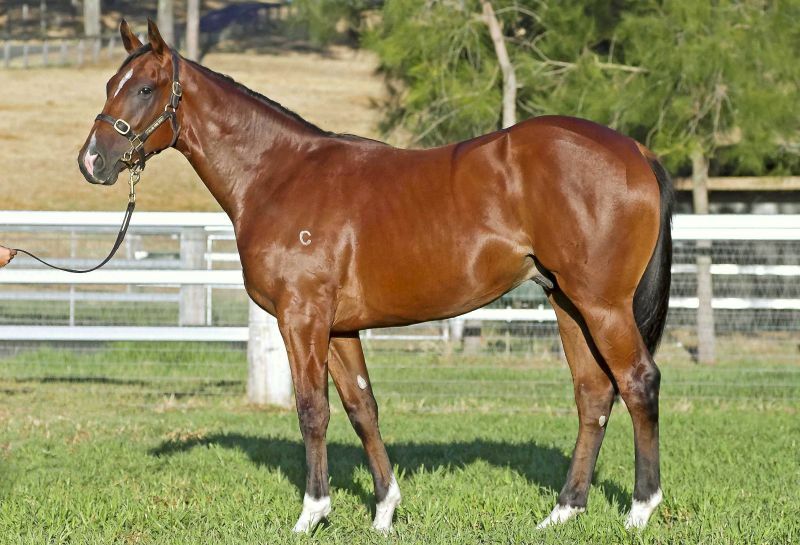 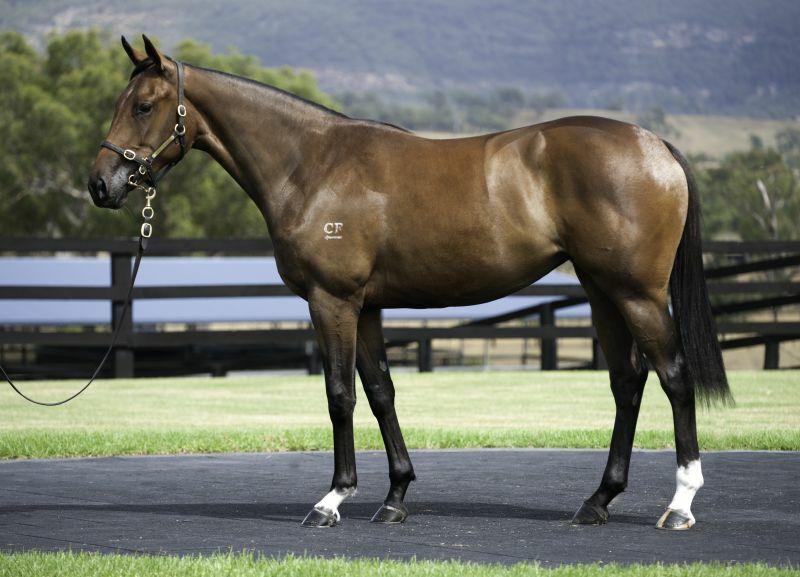 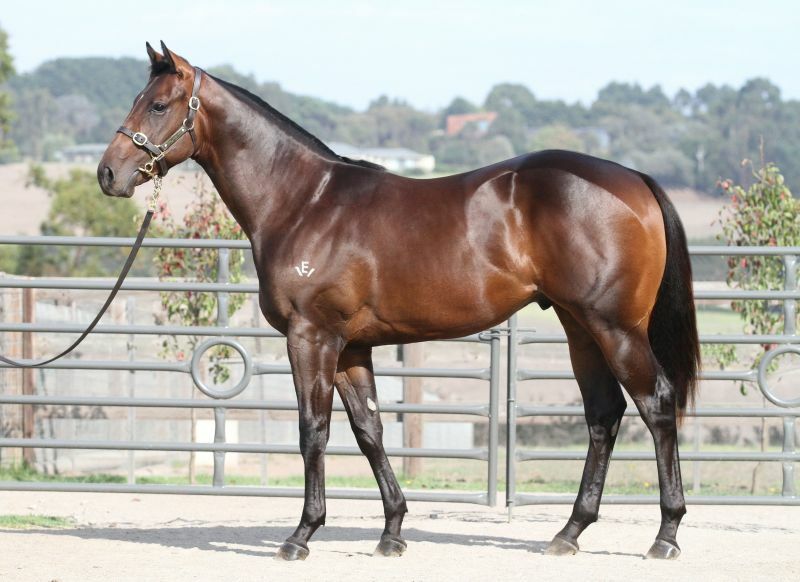 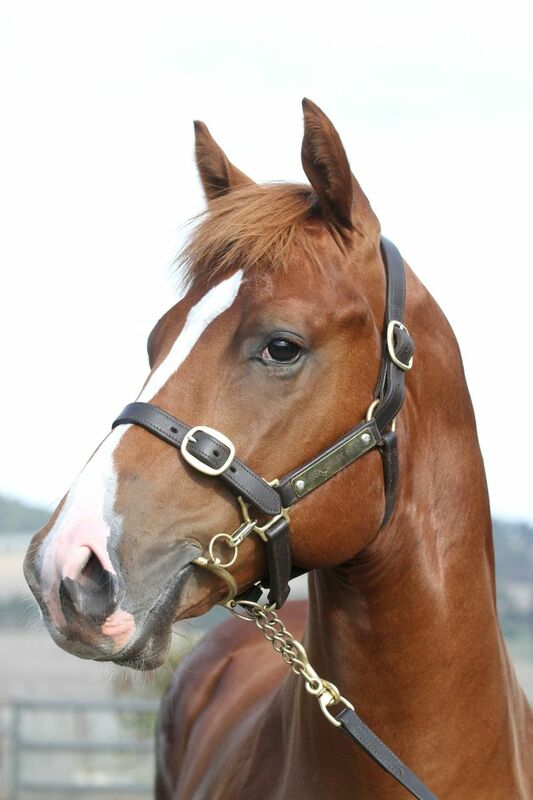 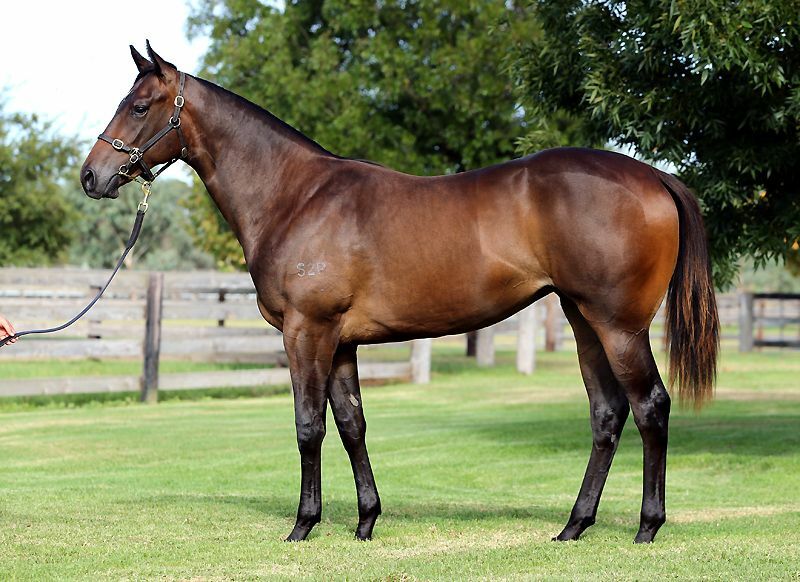 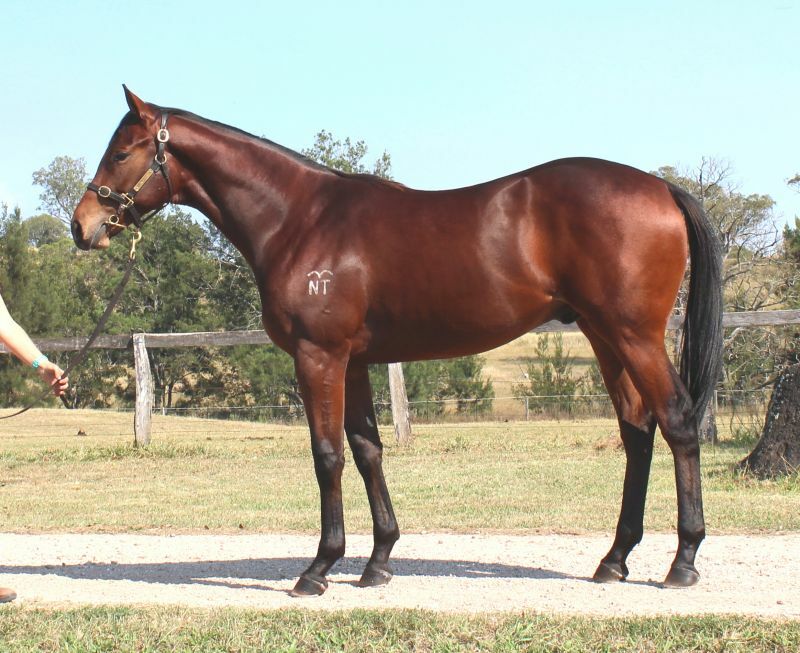 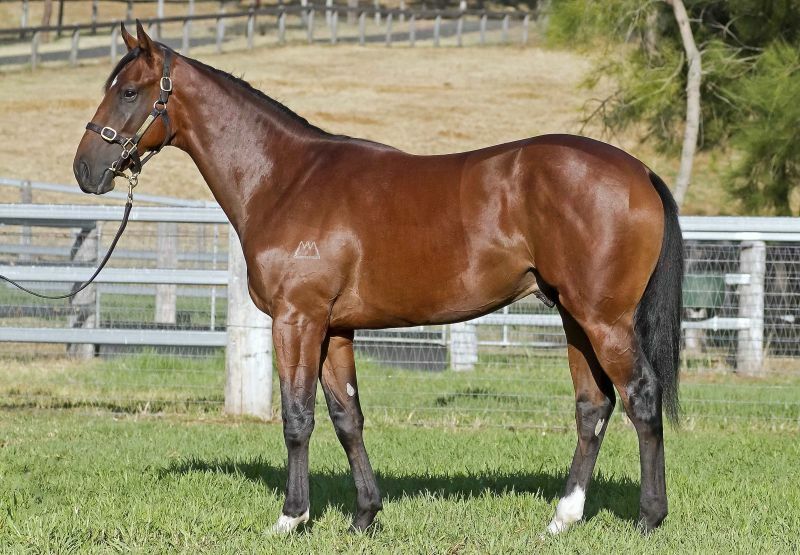 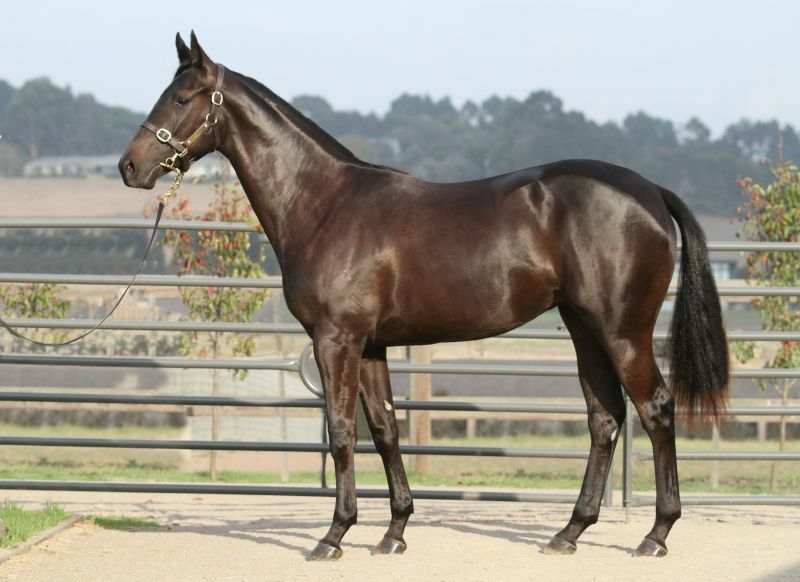 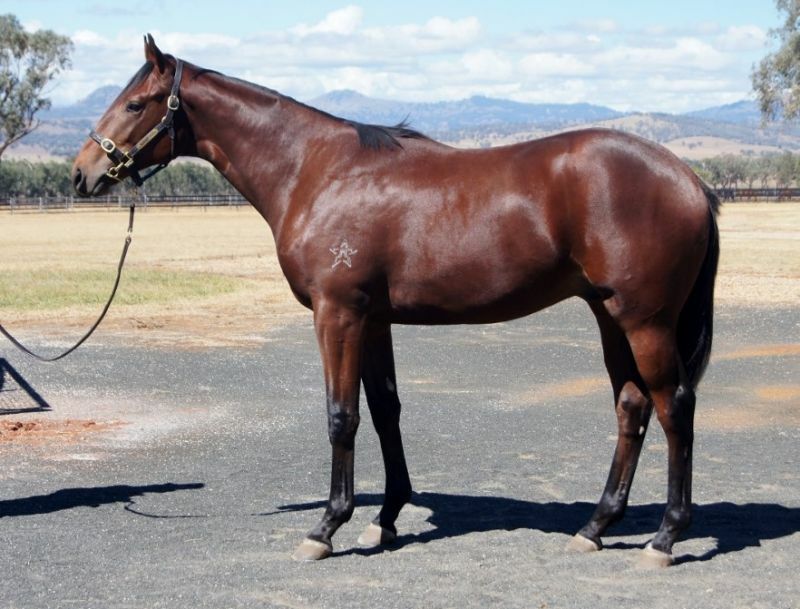 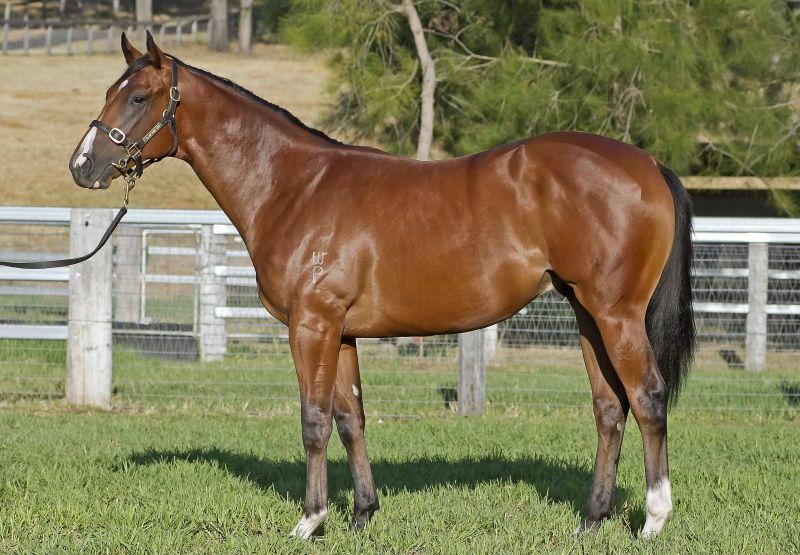 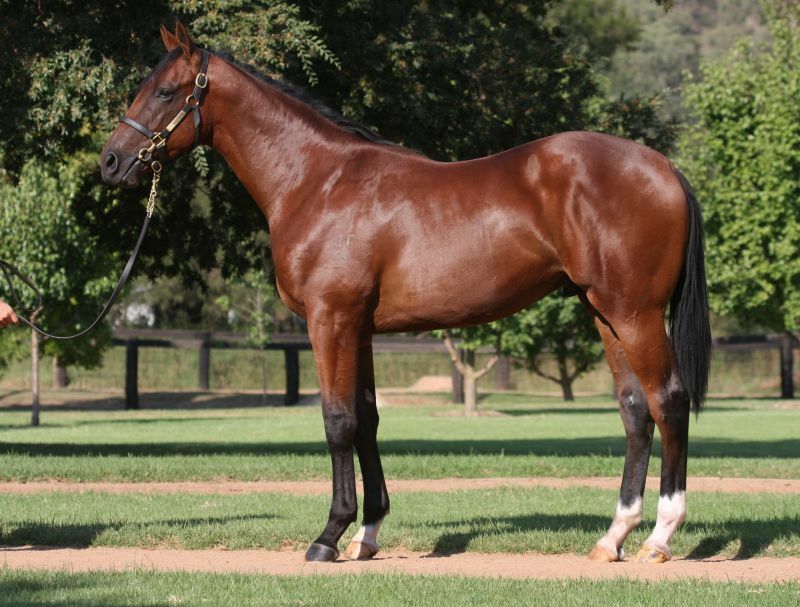 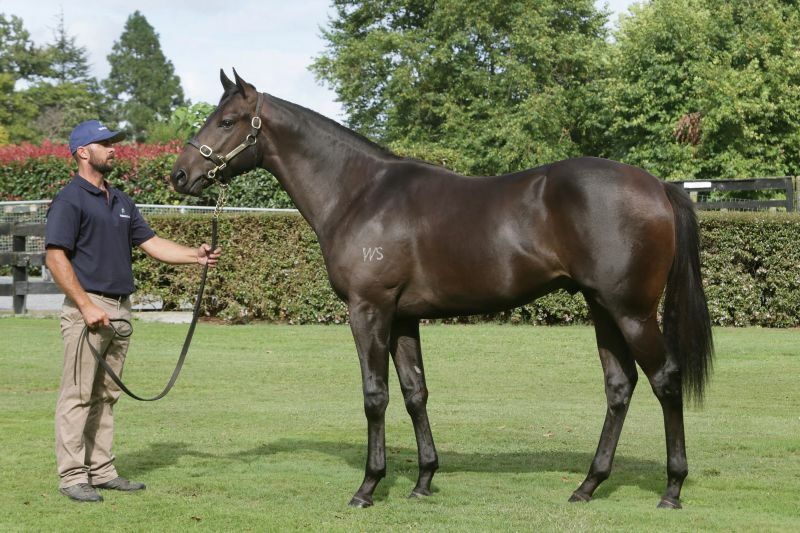 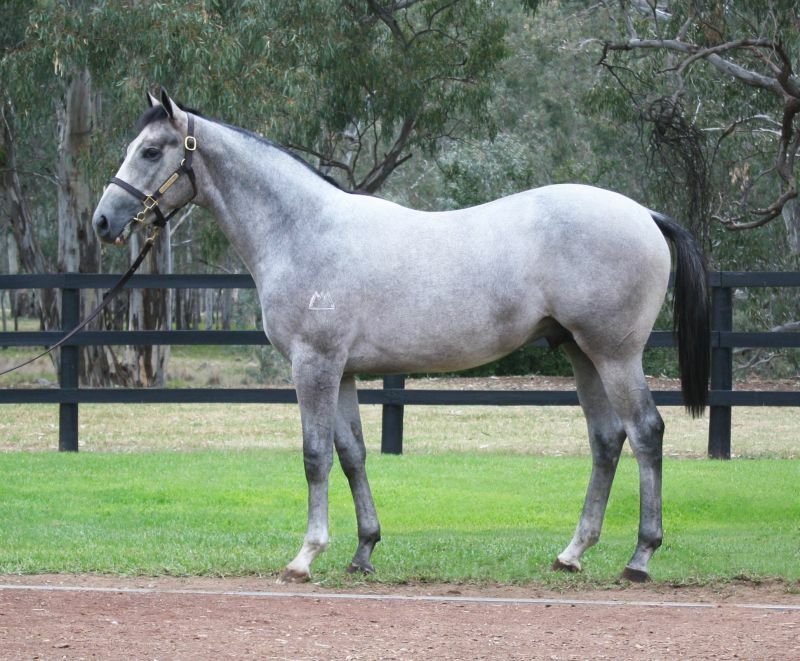 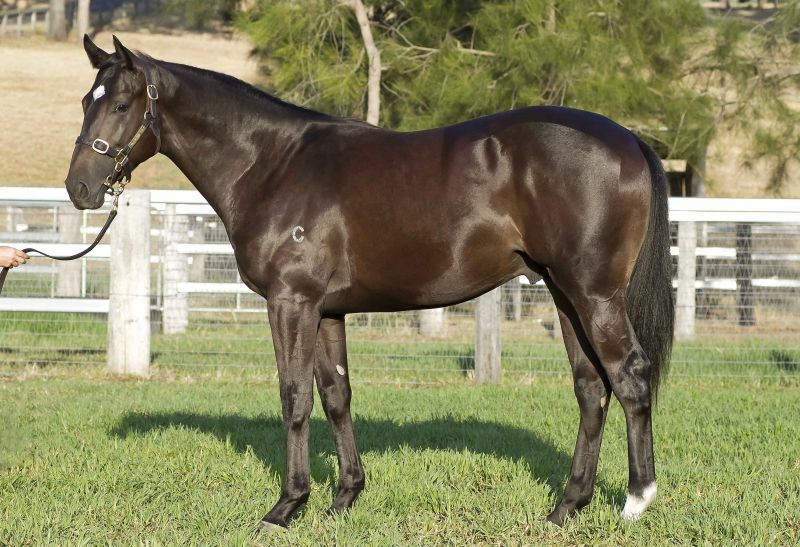 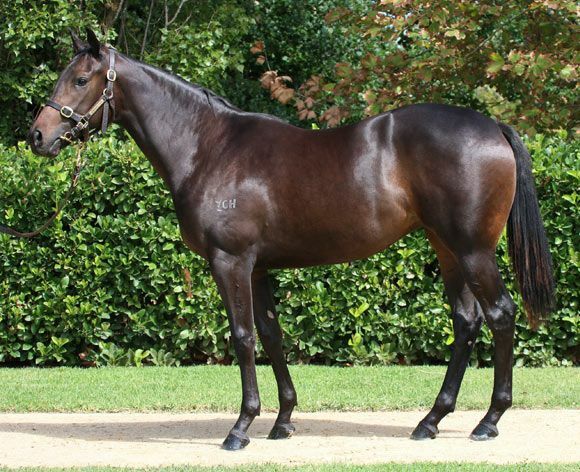 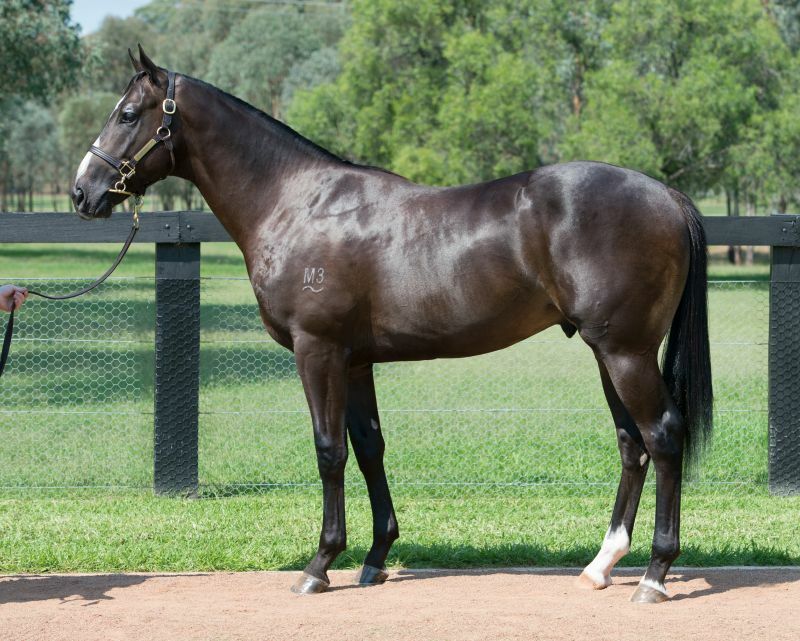 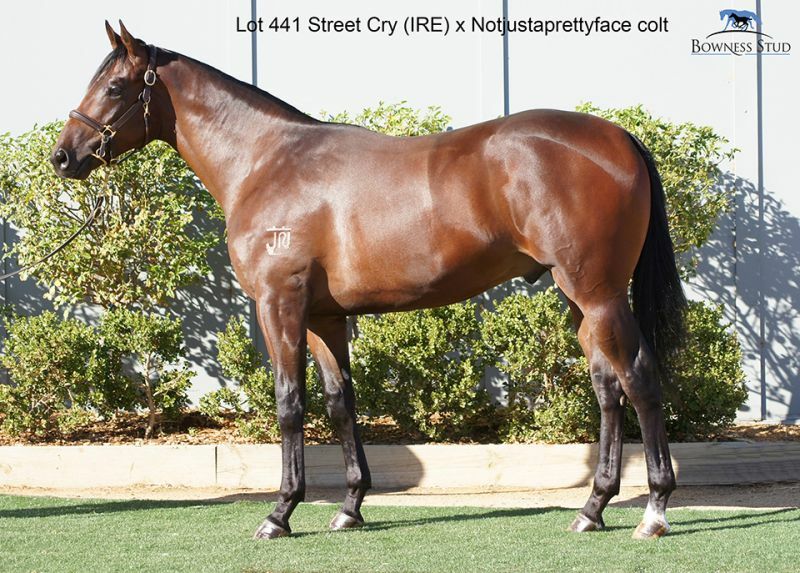 “He’s one of the nicest colts in the sale, from the strongest family. 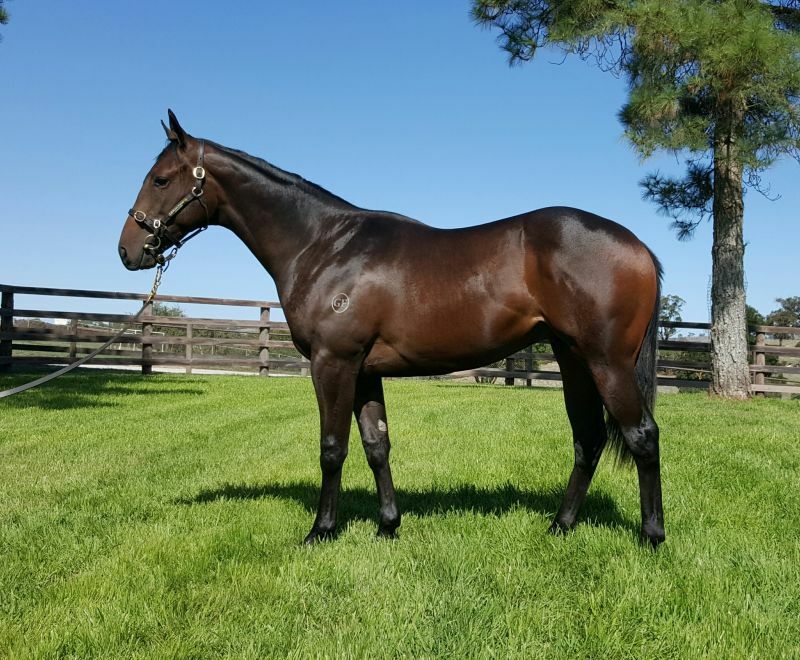 He was a lovely type, and Winx and the half-brother’s wins add a lot to the page. 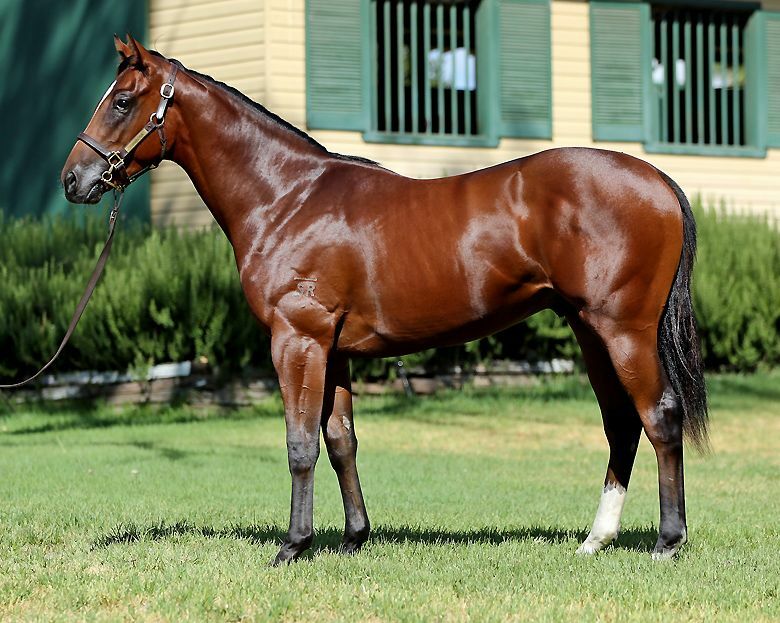 We hope he’s in the Golden Slipper next year,” Hussain Lootah said. 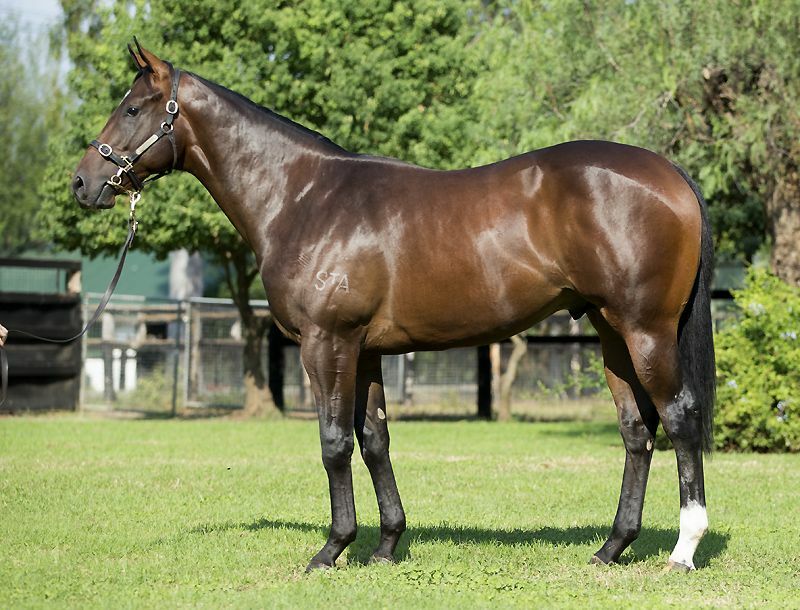 Shadwell Stud Australasia were the leading individual buyer by aggregate for the fourth consecutive year, purchasing 19 yearlings for $10,215,000. 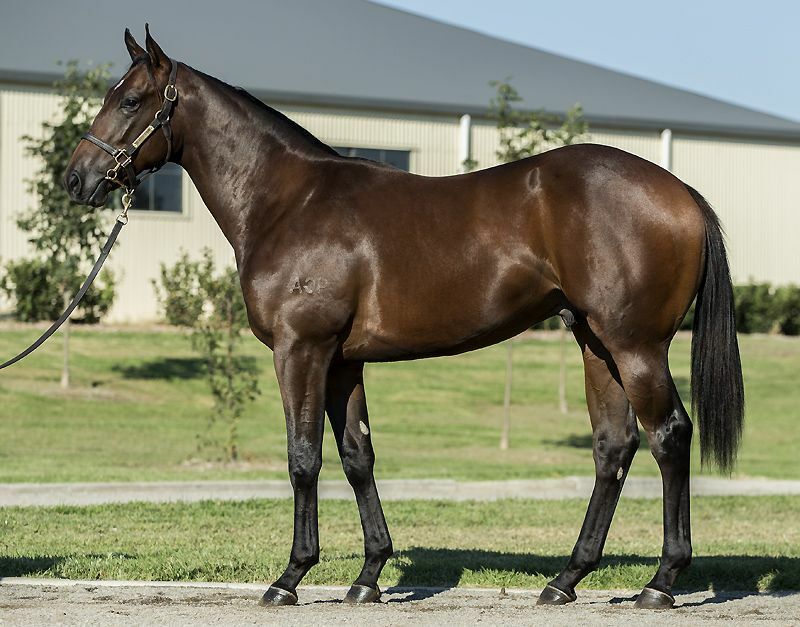 Angus Gold was pushed to $1,750,000 on the final day of the sale for a son of Redoute’s Choice out of South African Champion National Colour (Lot 433). 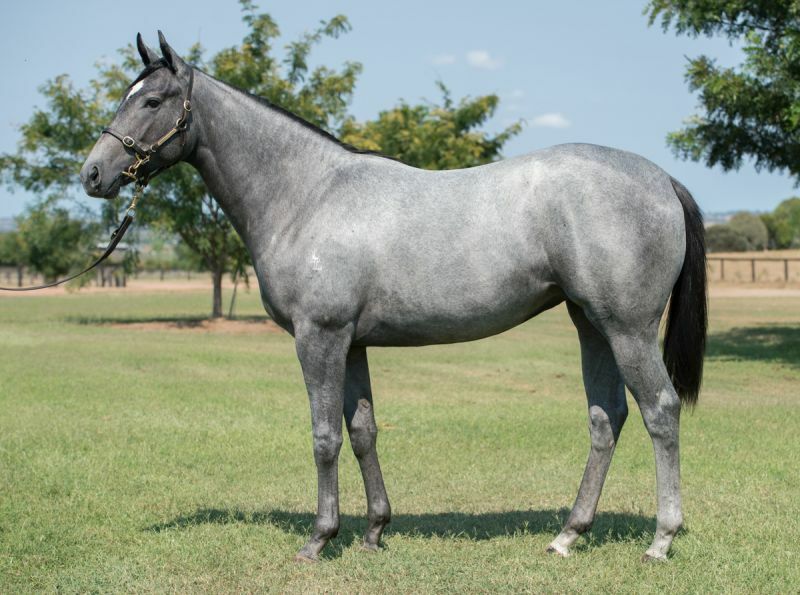 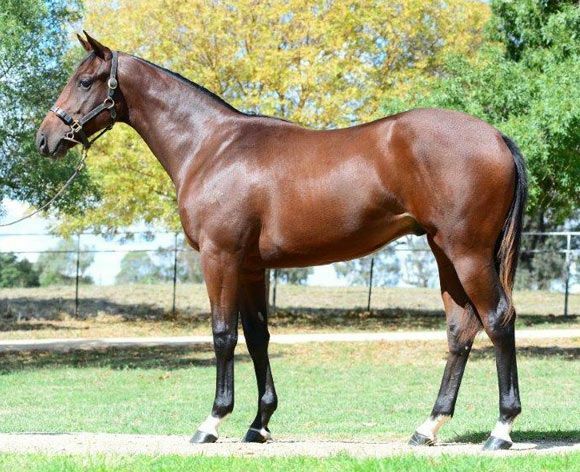 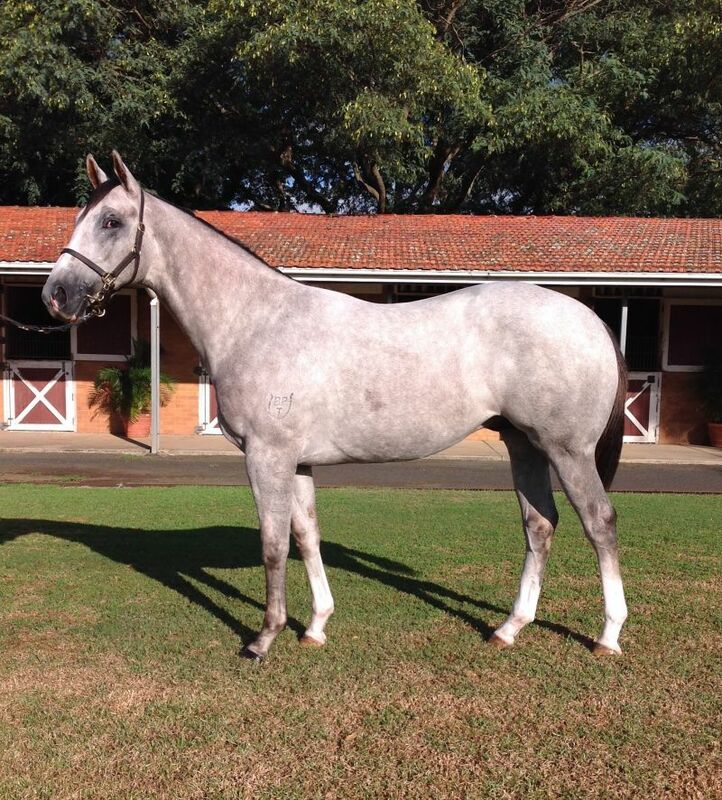 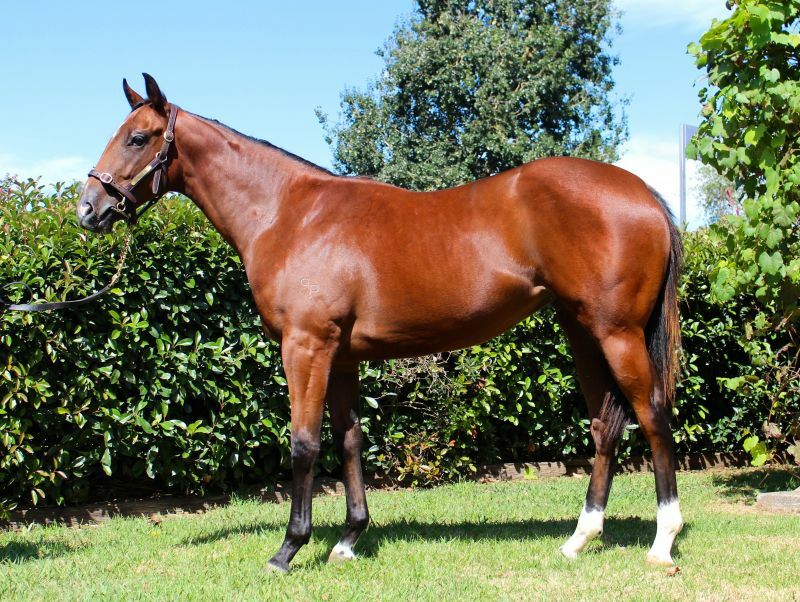 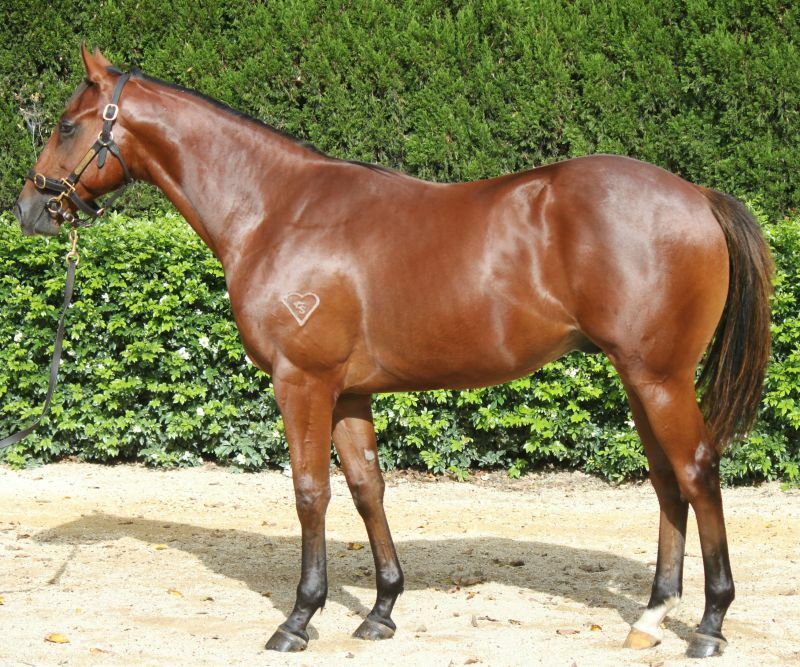 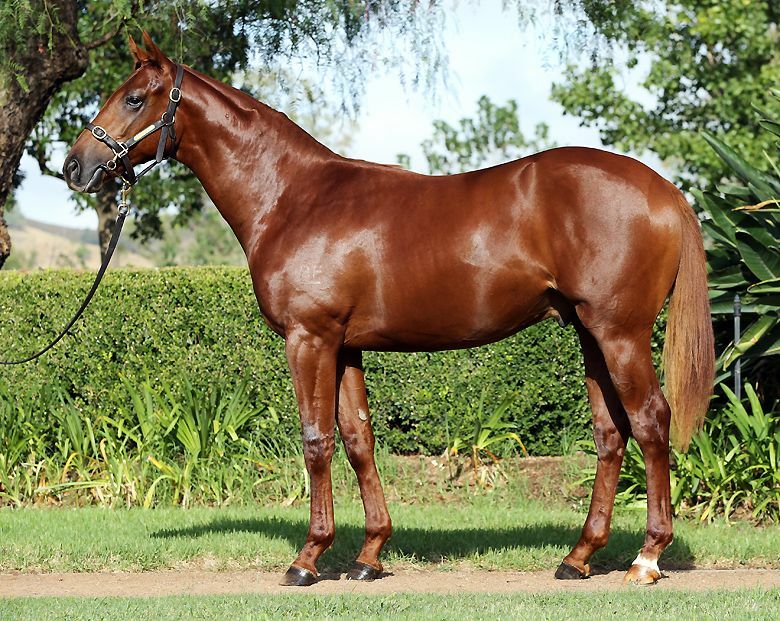 Offered by Arrowfield Stud, the colt is the third consecutive yearling out of the mare that Shadwell have taken home from an Easter sale, with his brother, the Mike De Kock-trained Rafeef, a winner in South Africa later that night. 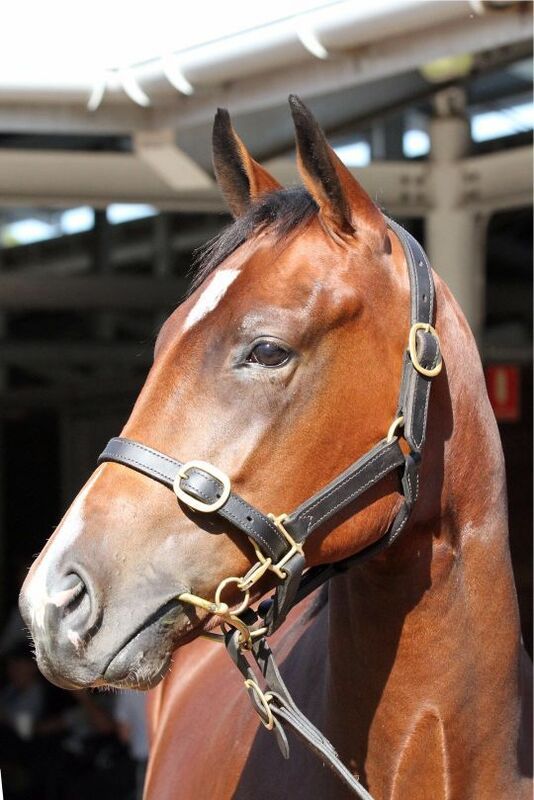 "We’re here to buy good colts. 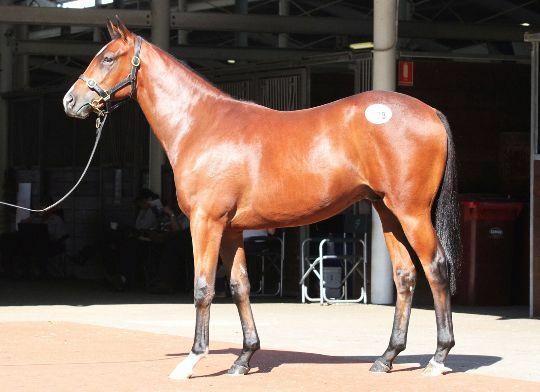 For the past four or five years we’ve been outbid on Wandjina and I wanted to buy Deep Field. 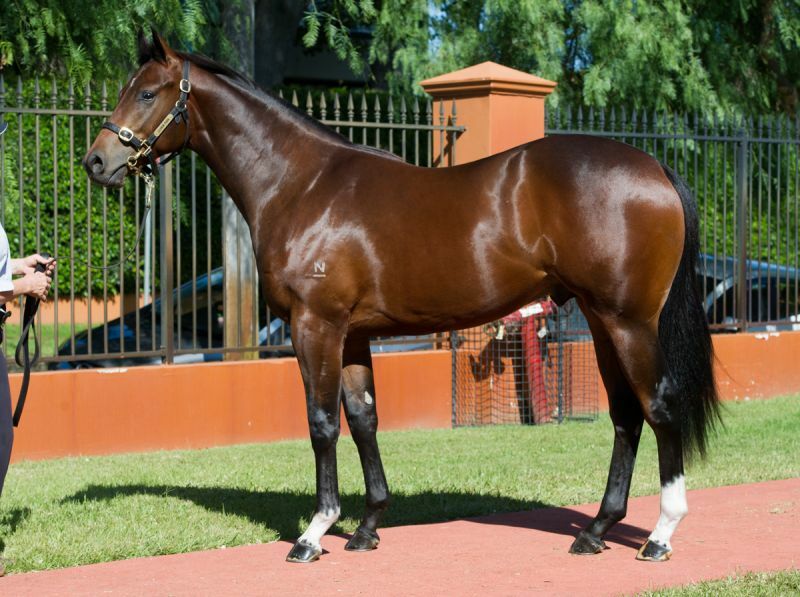 I’m desperate to get Sheikh Hamdan a colt that can make a stallion in Australia," said Angus Gold. 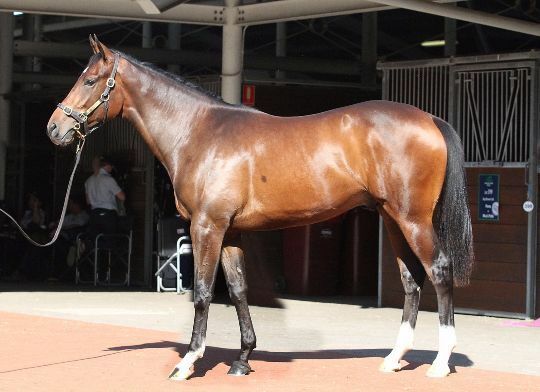 Frankel finished as the leading sire by average, with four of his progeny selling at an average of $865,000. 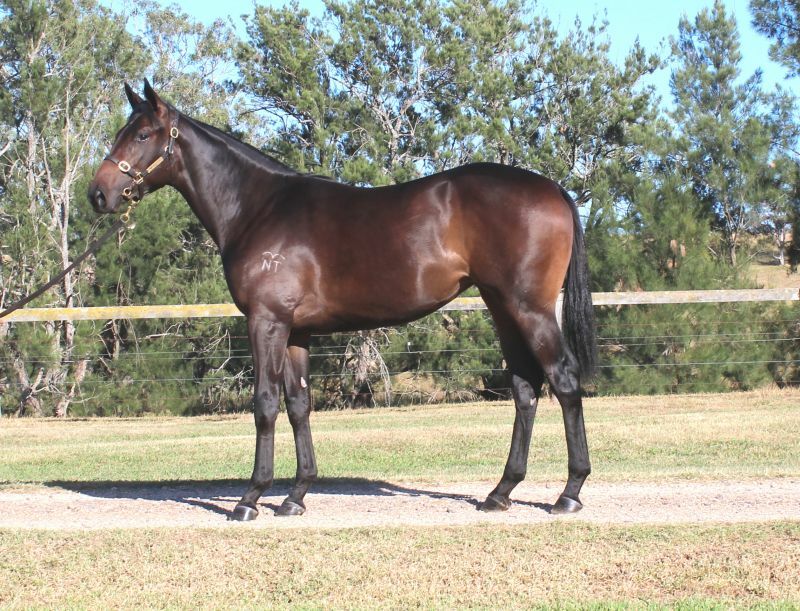 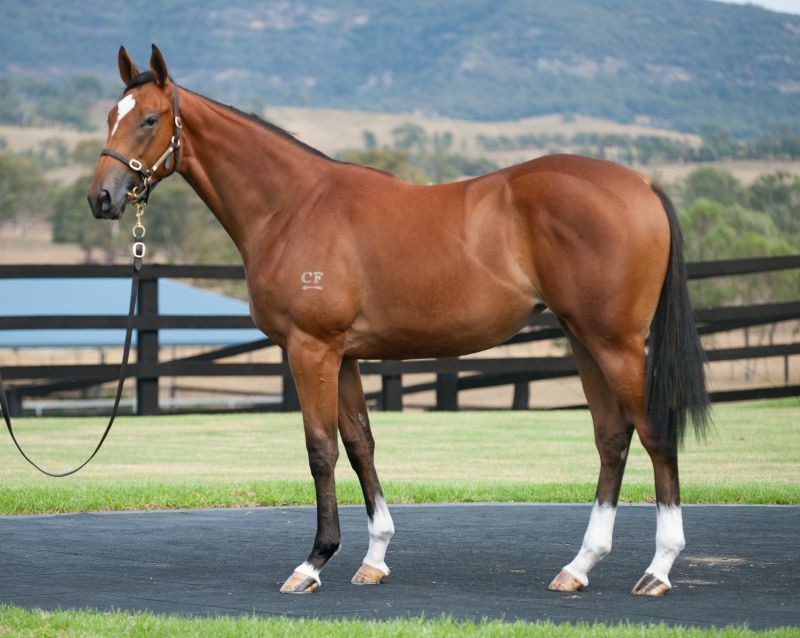 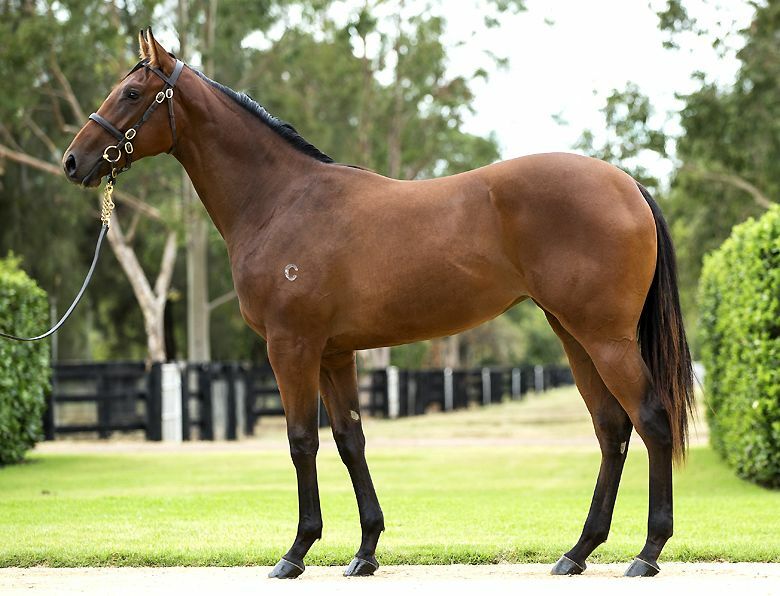 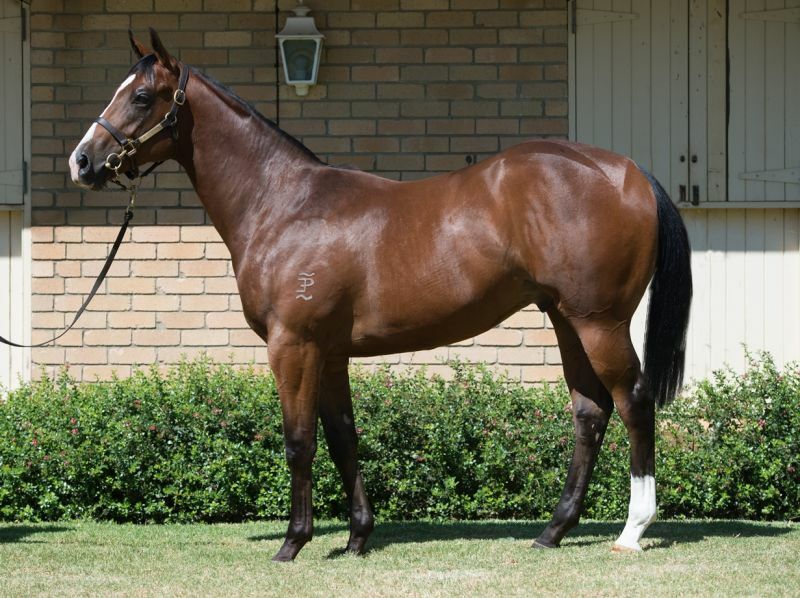 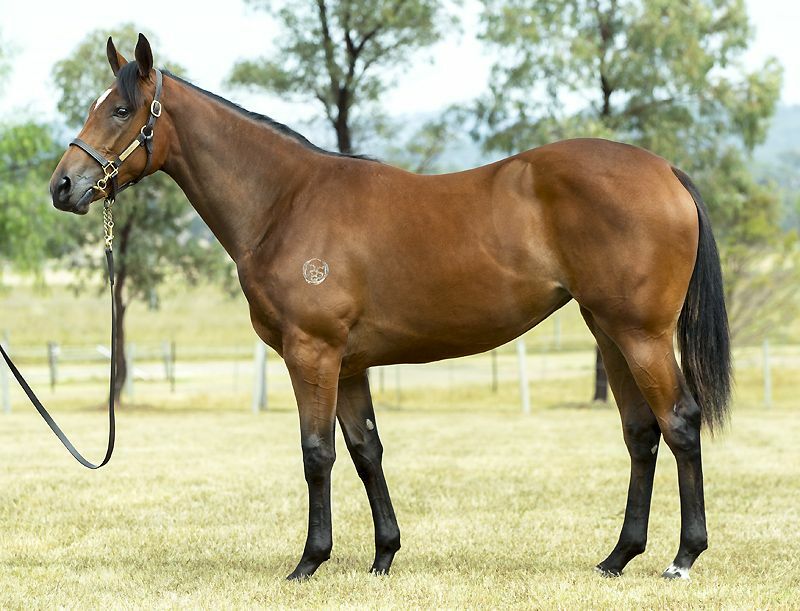 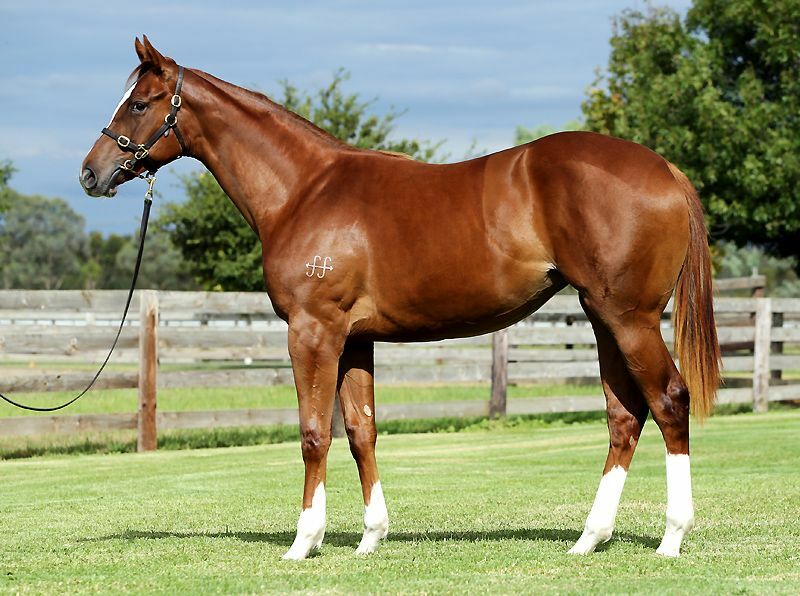 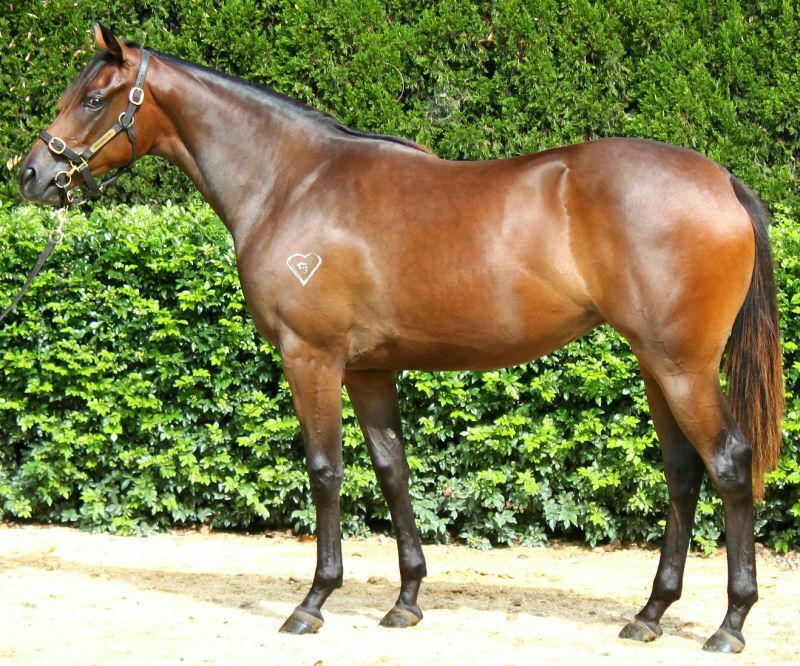 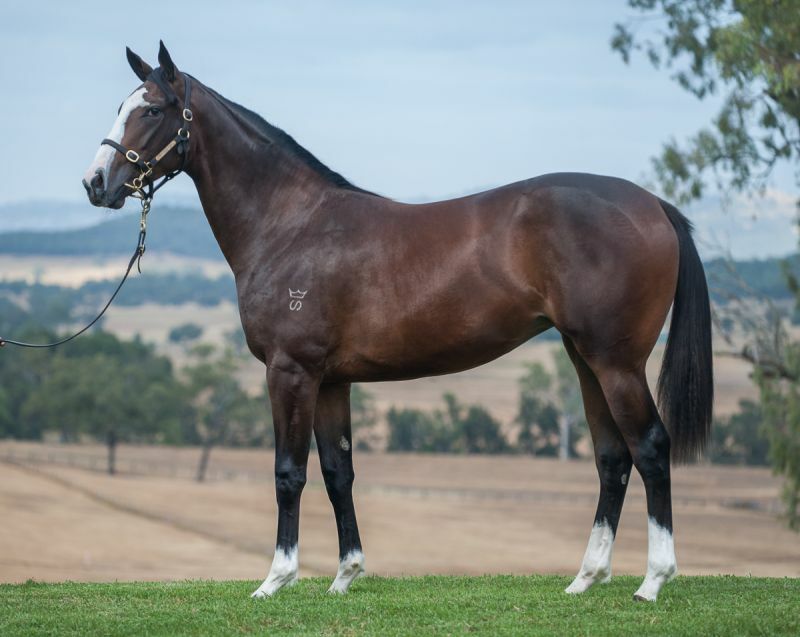 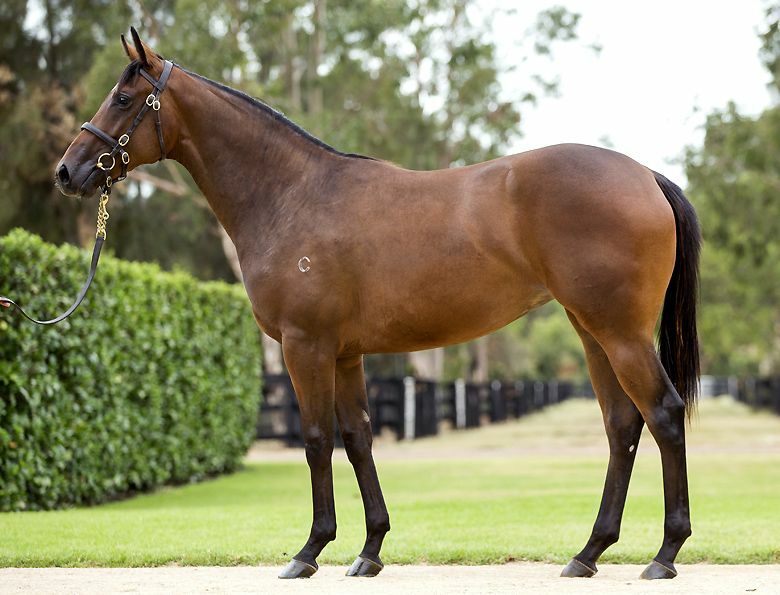 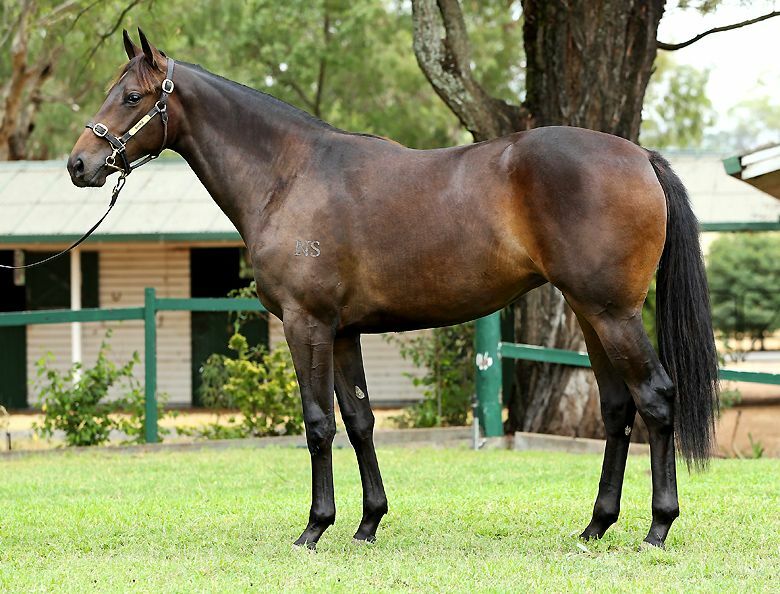 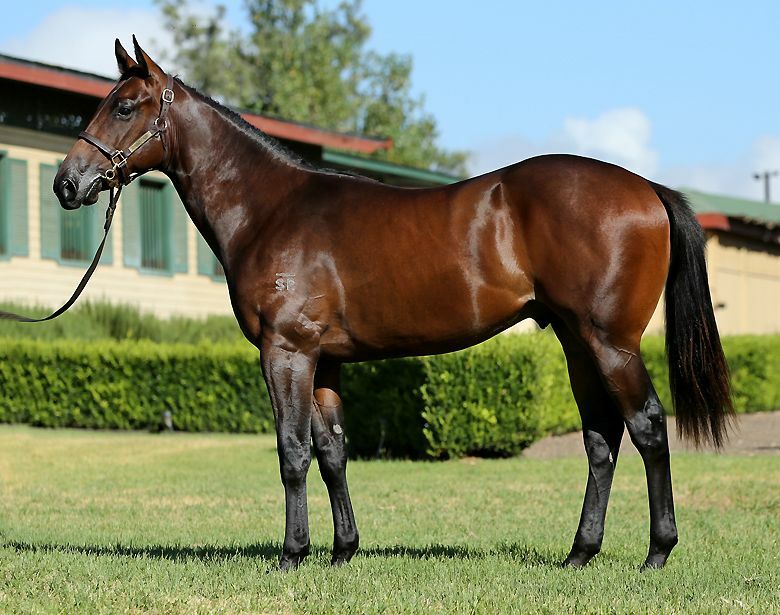 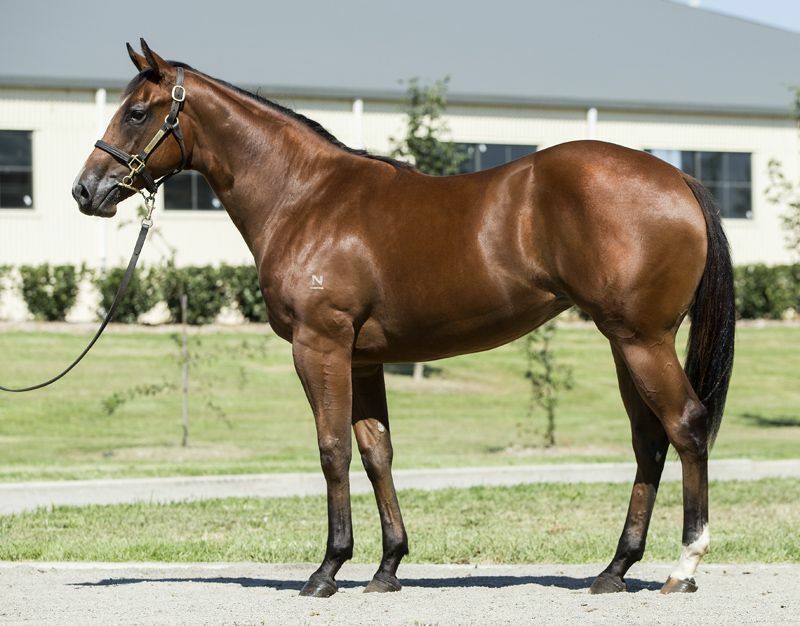 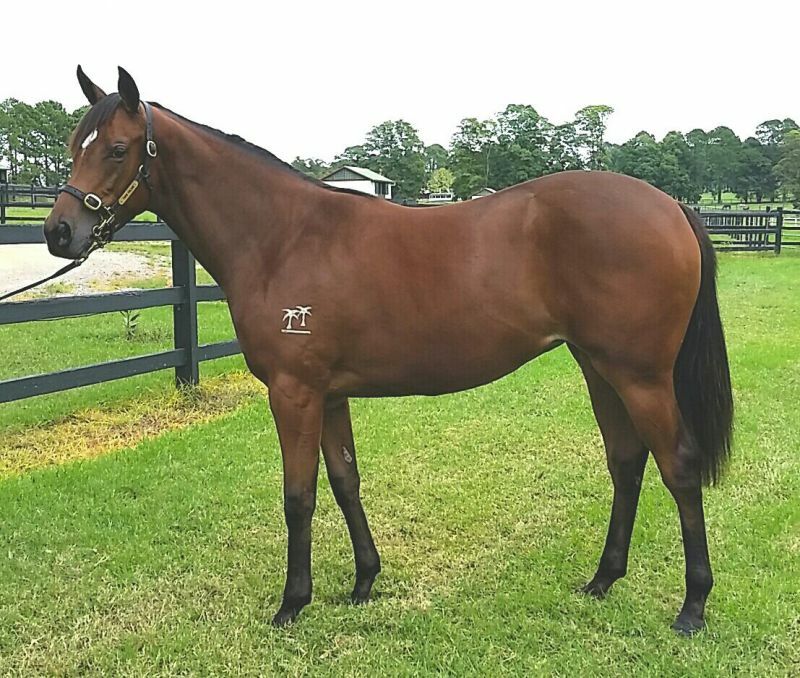 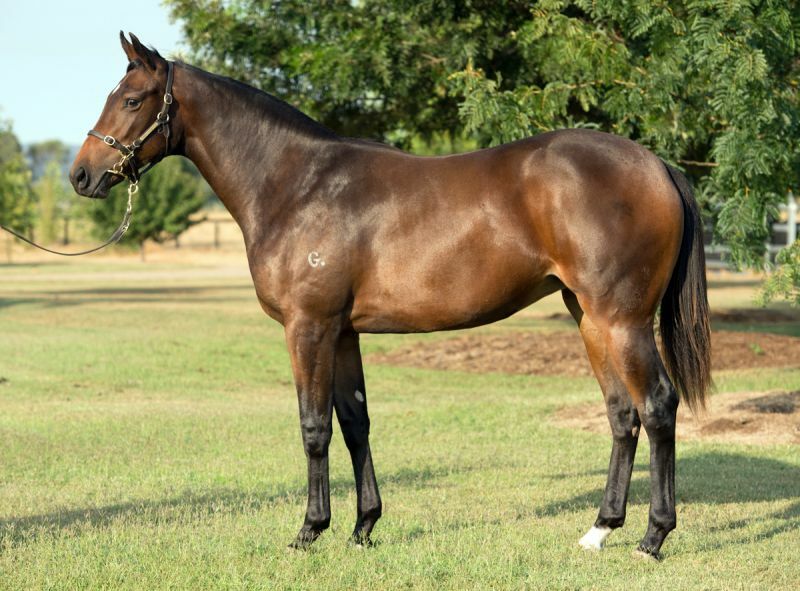 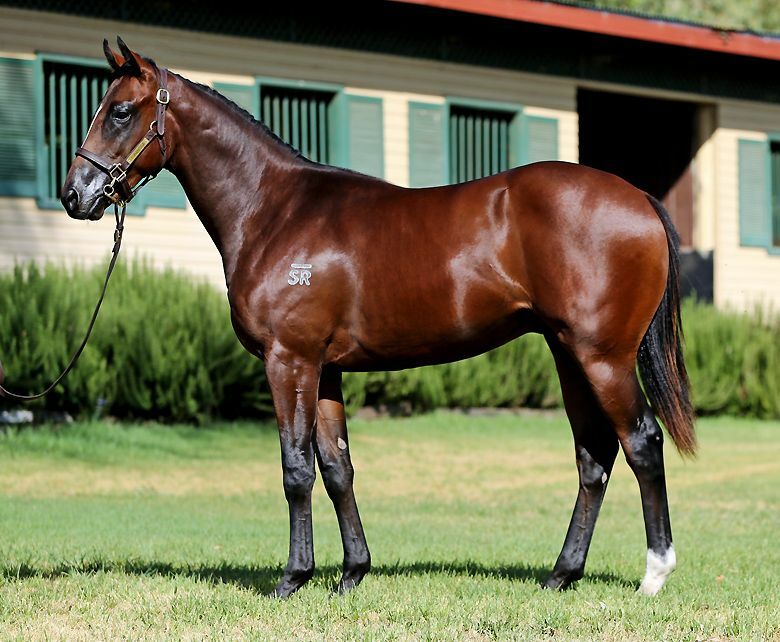 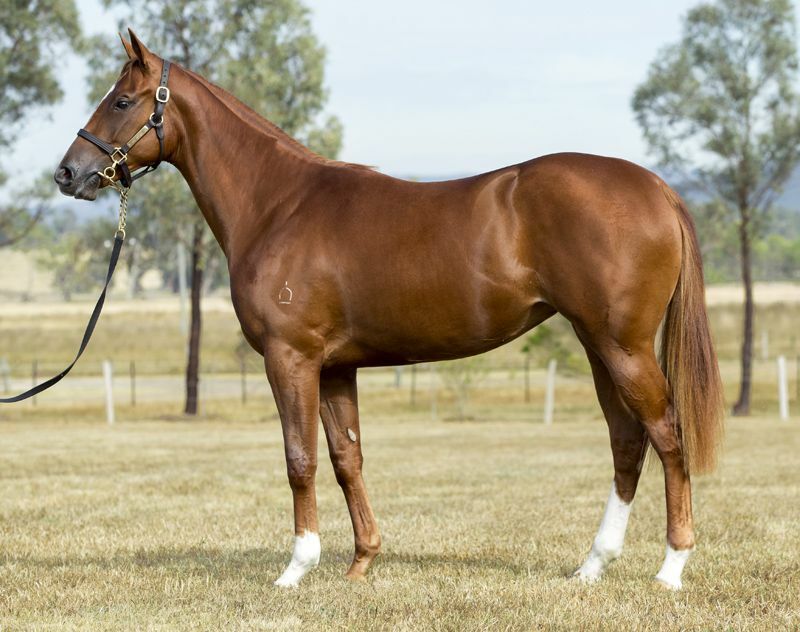 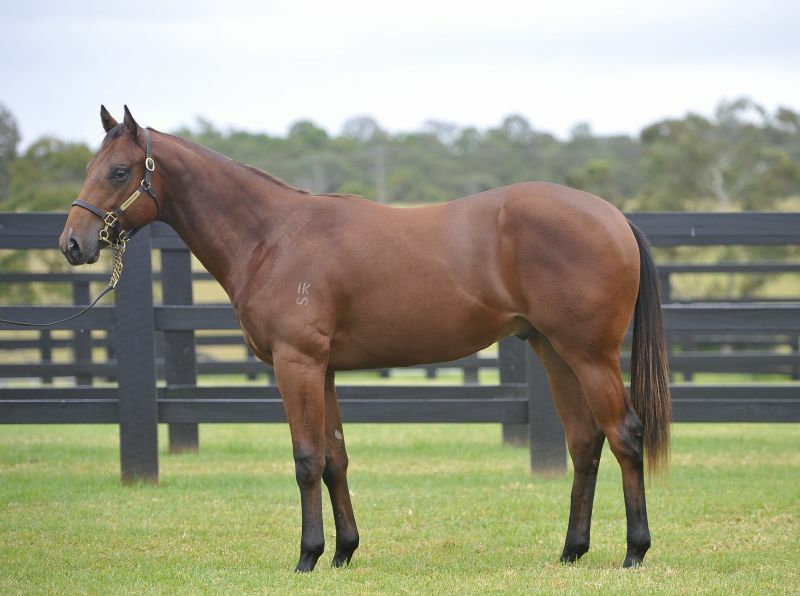 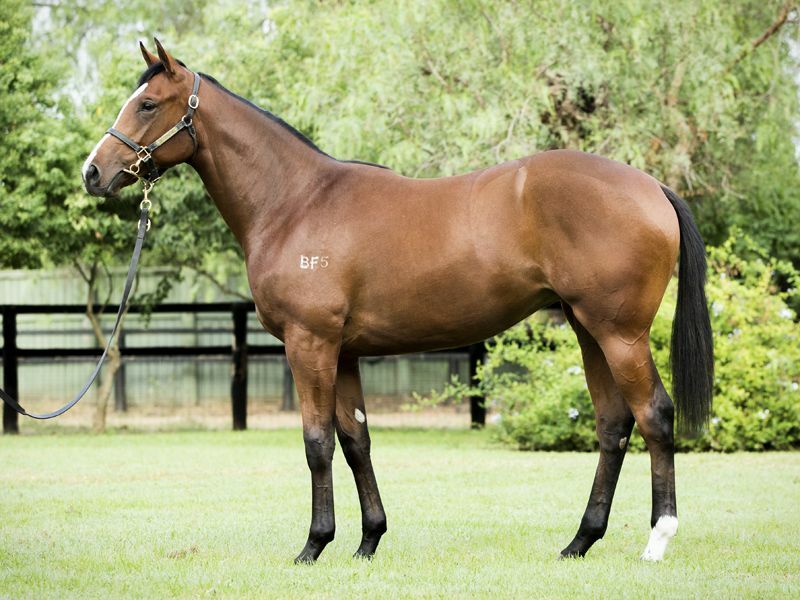 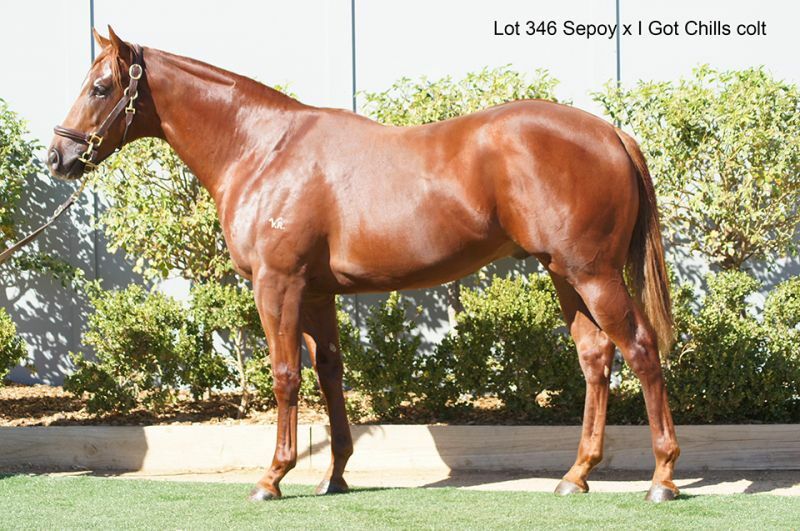 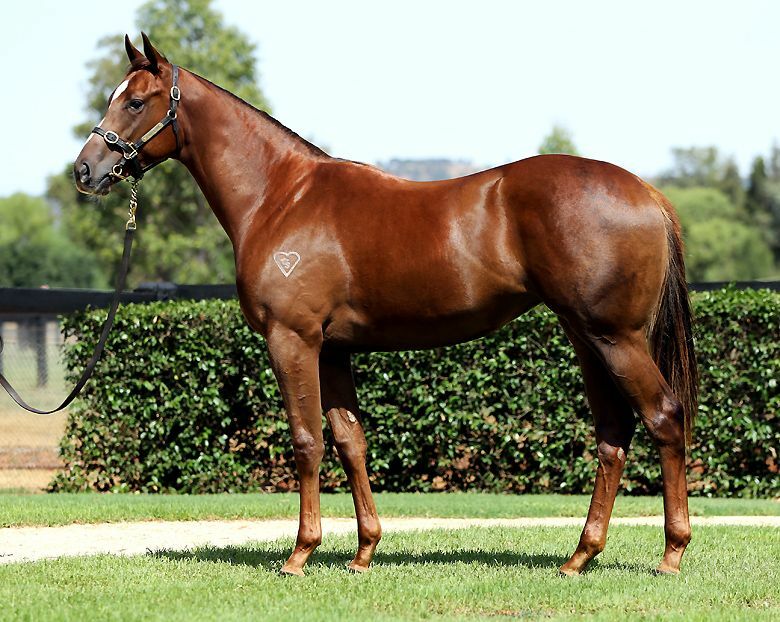 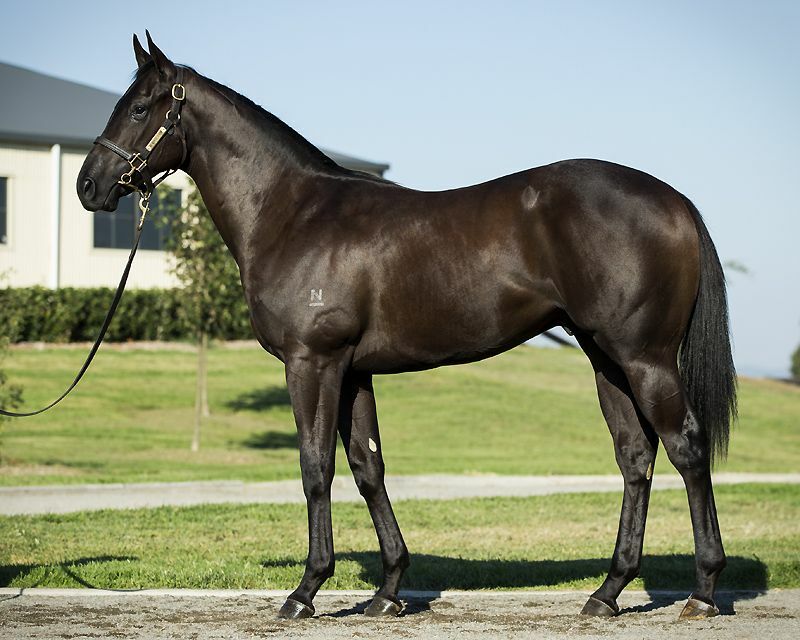 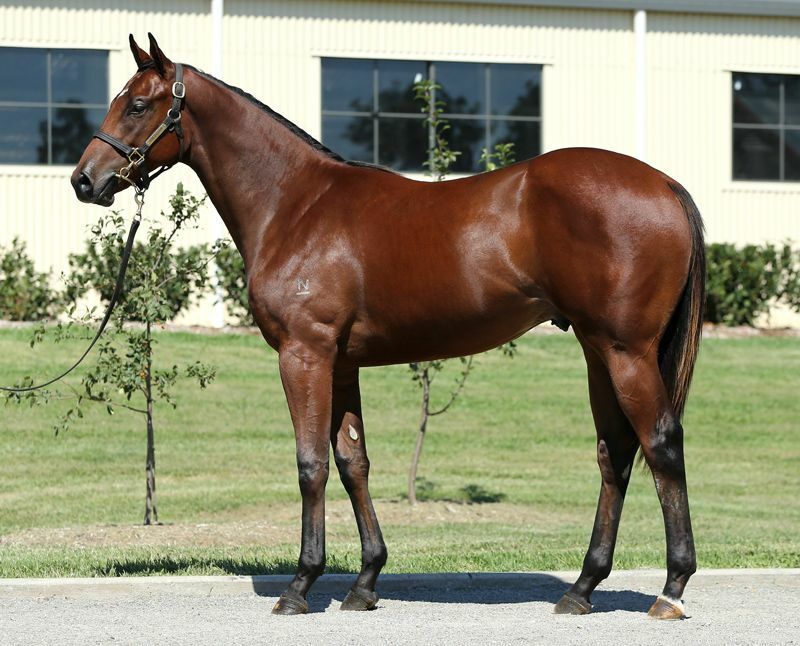 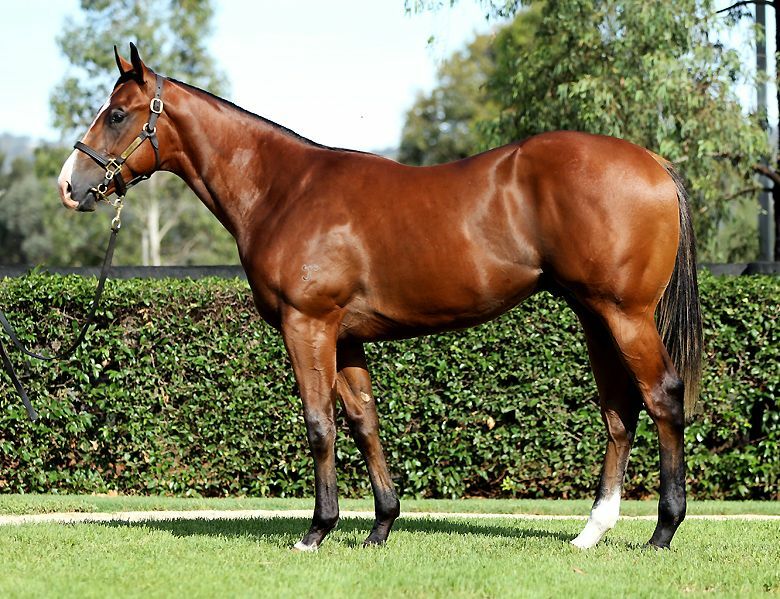 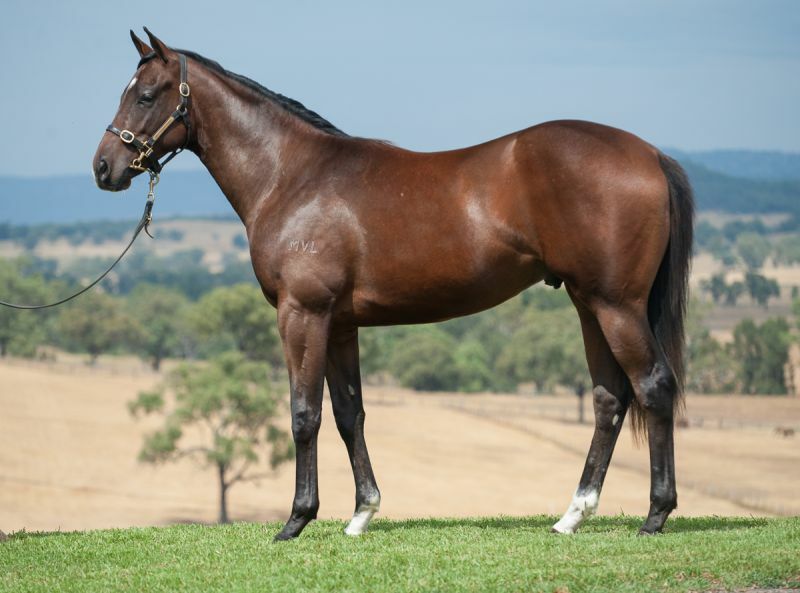 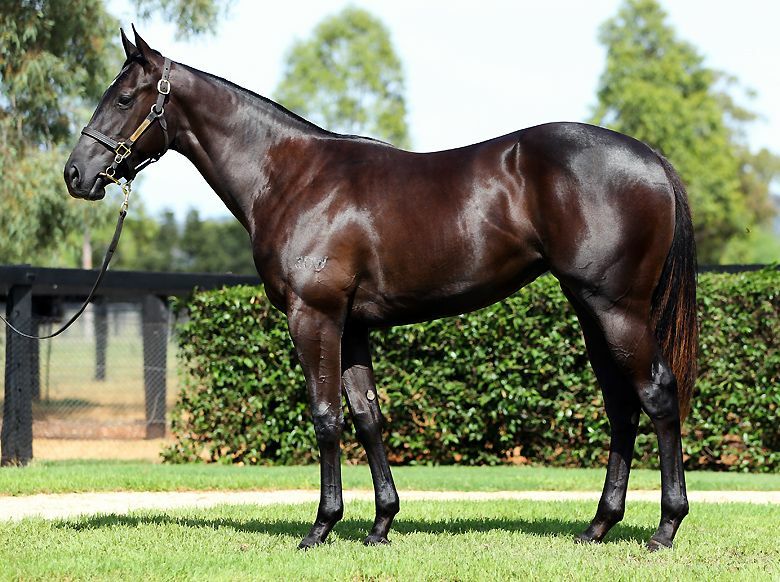 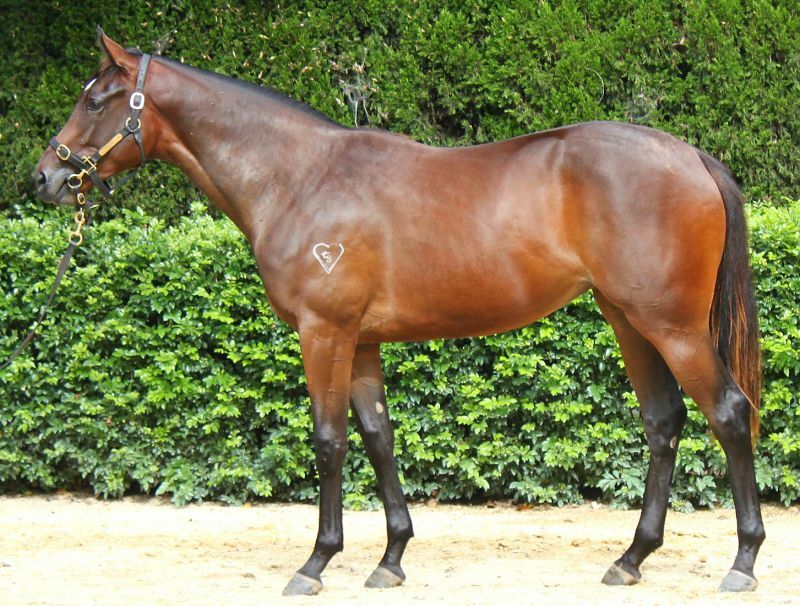 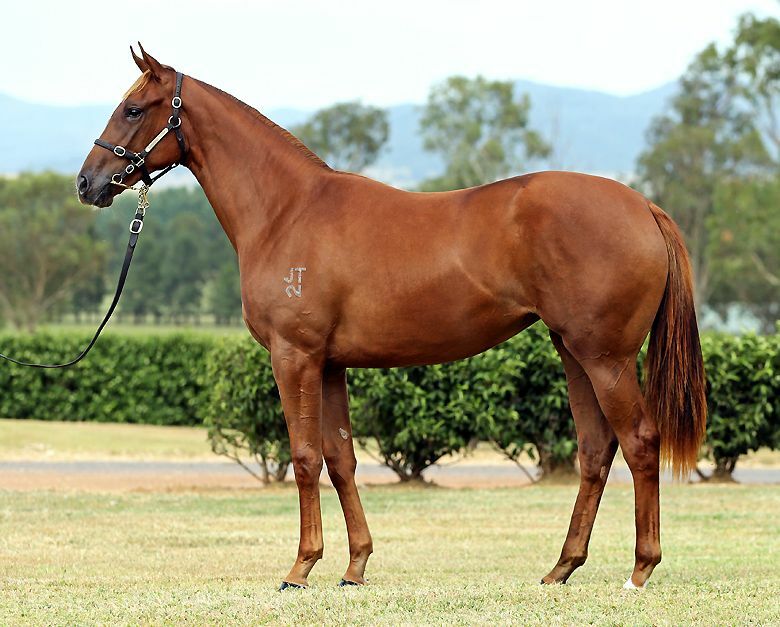 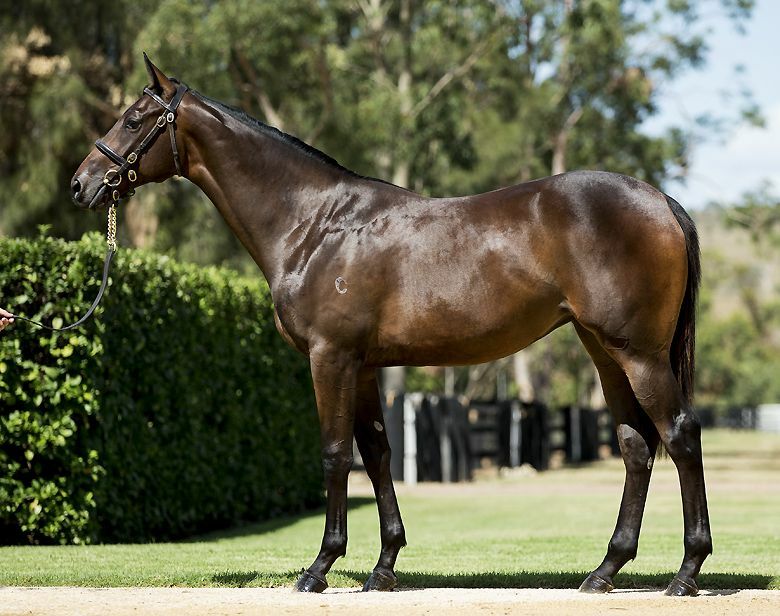 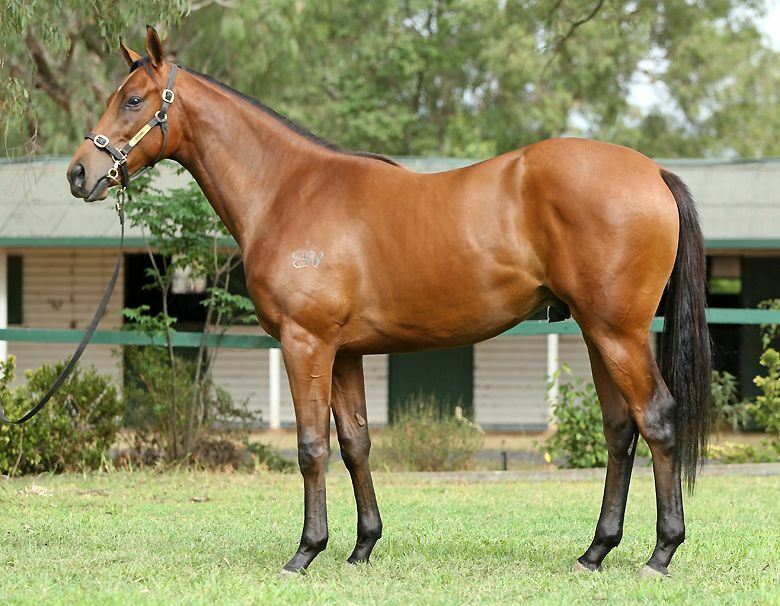 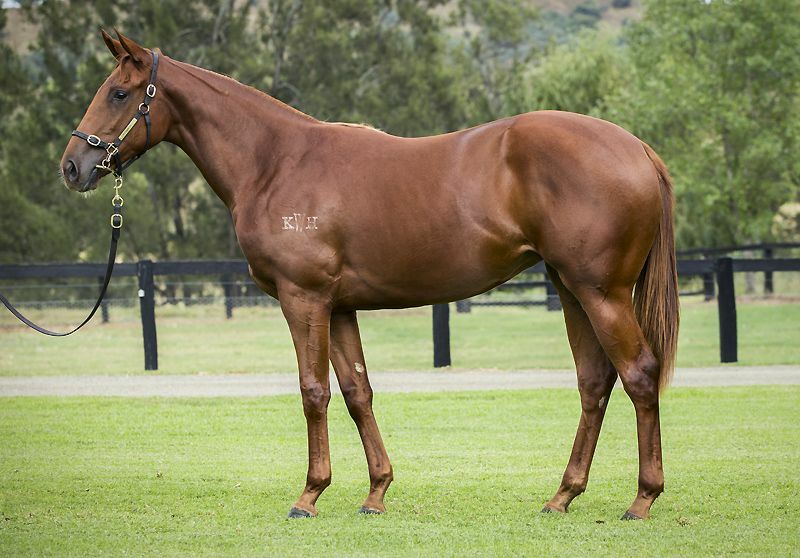 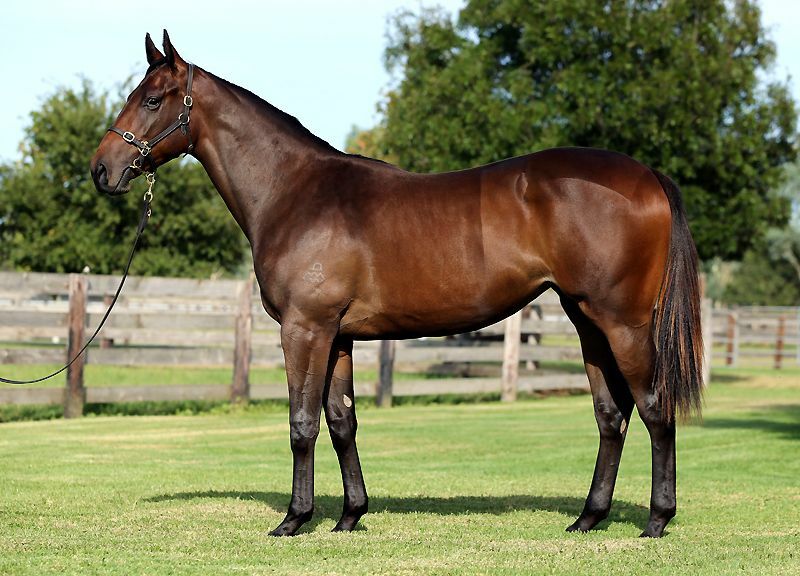 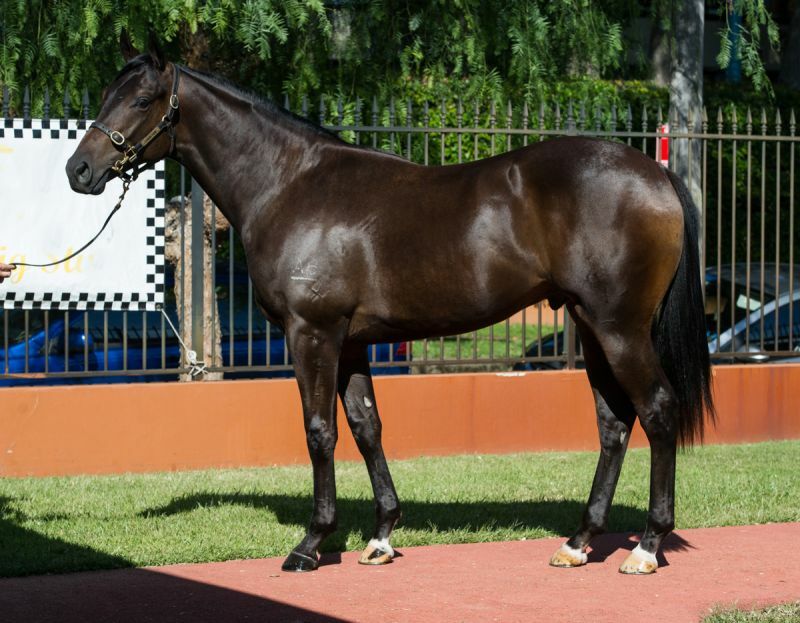 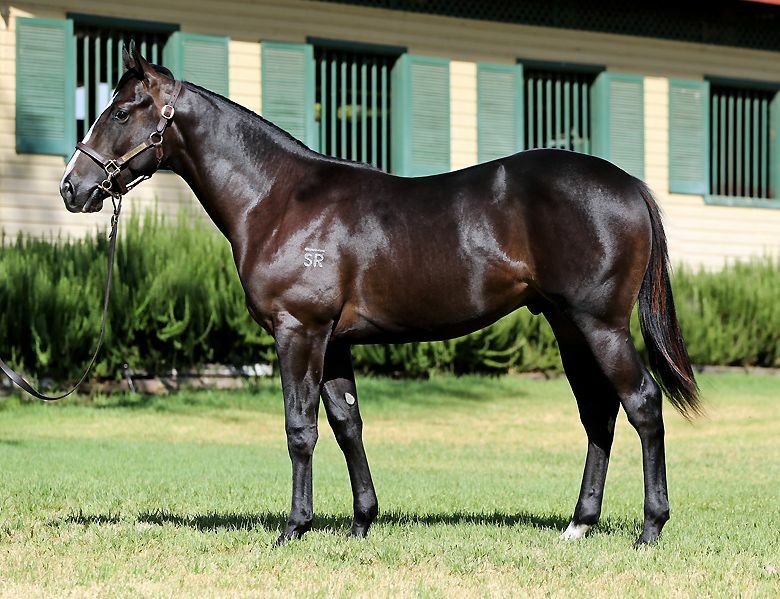 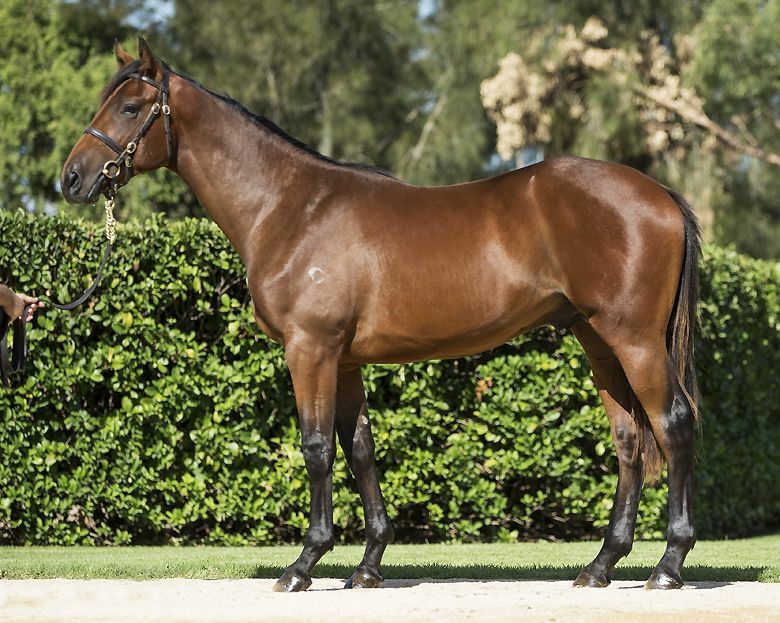 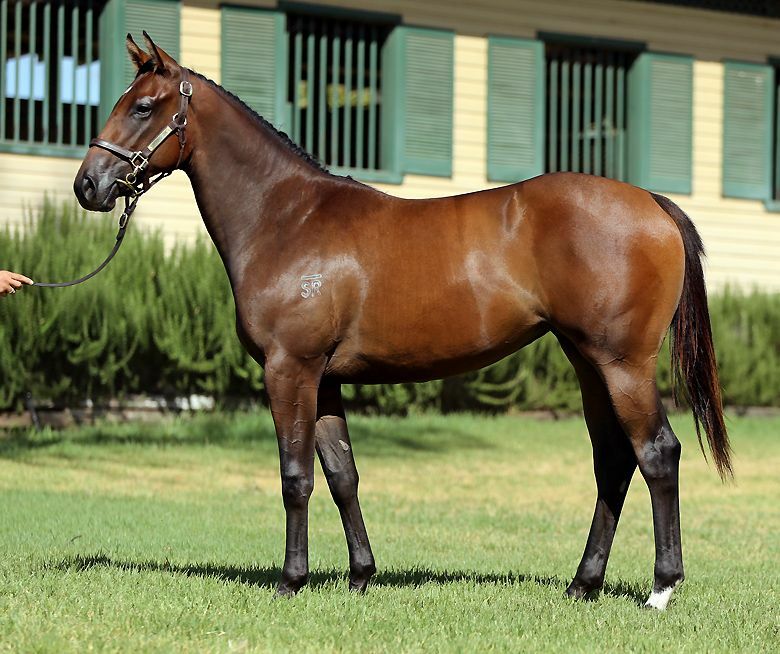 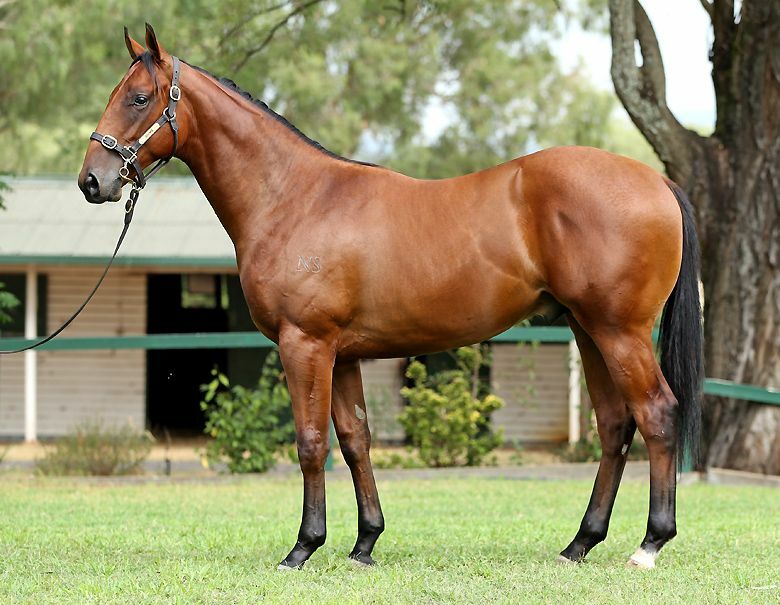 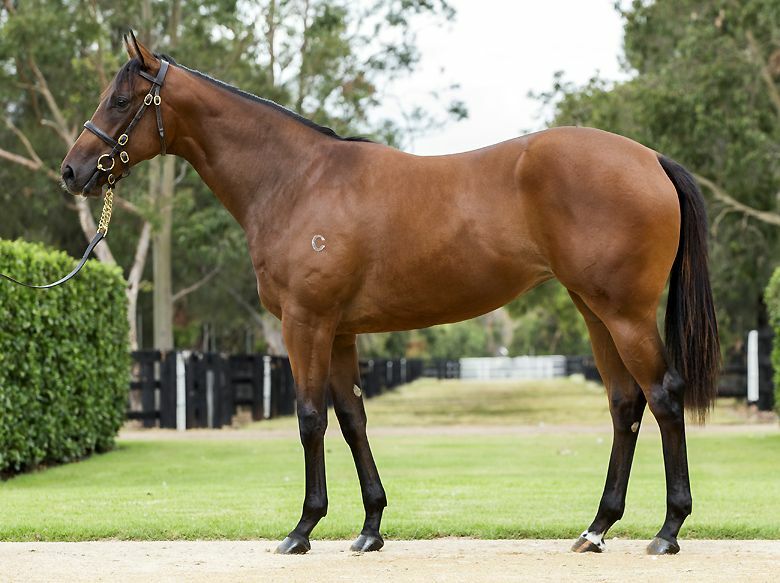 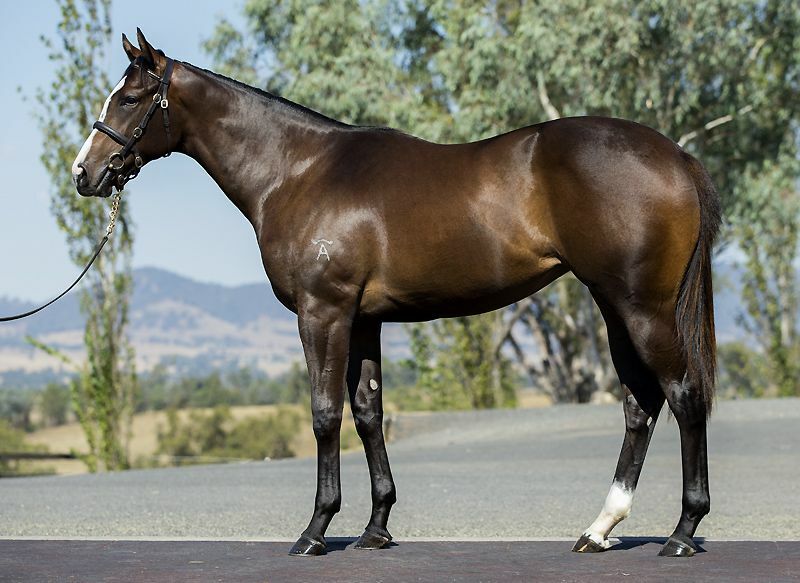 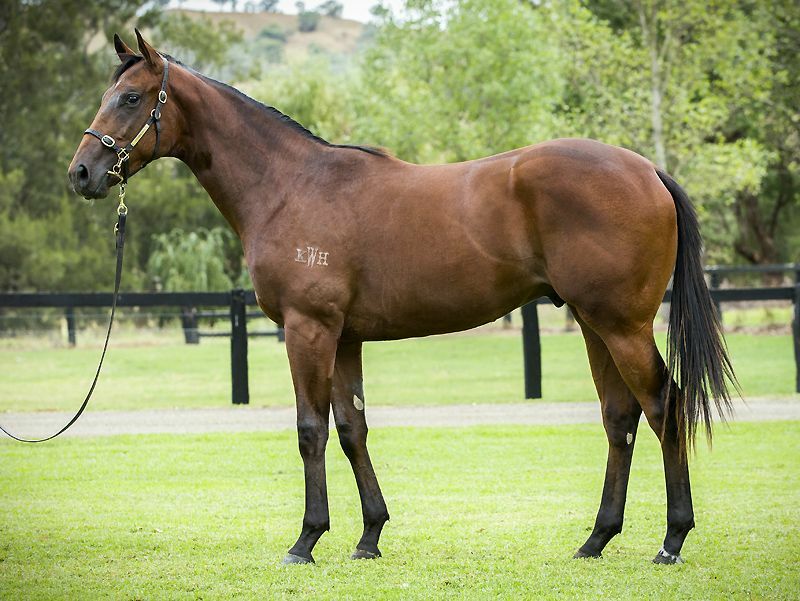 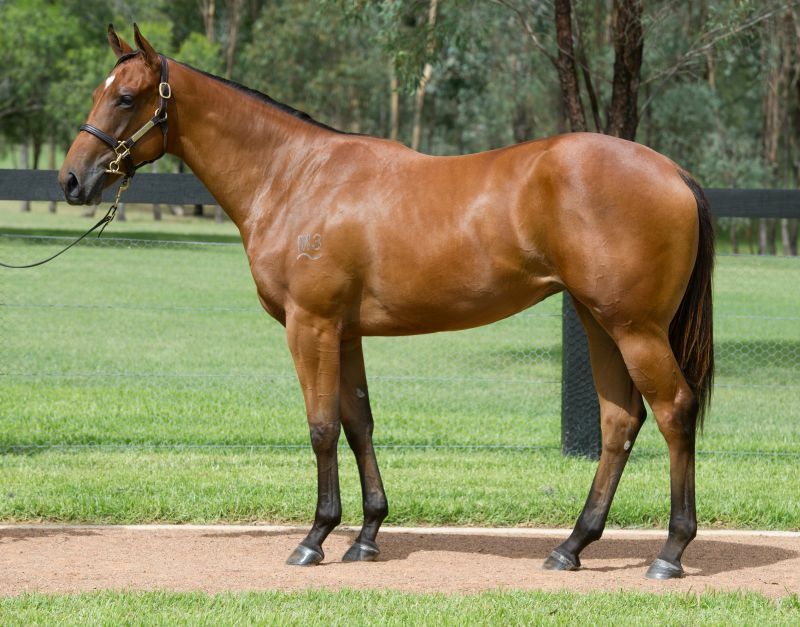 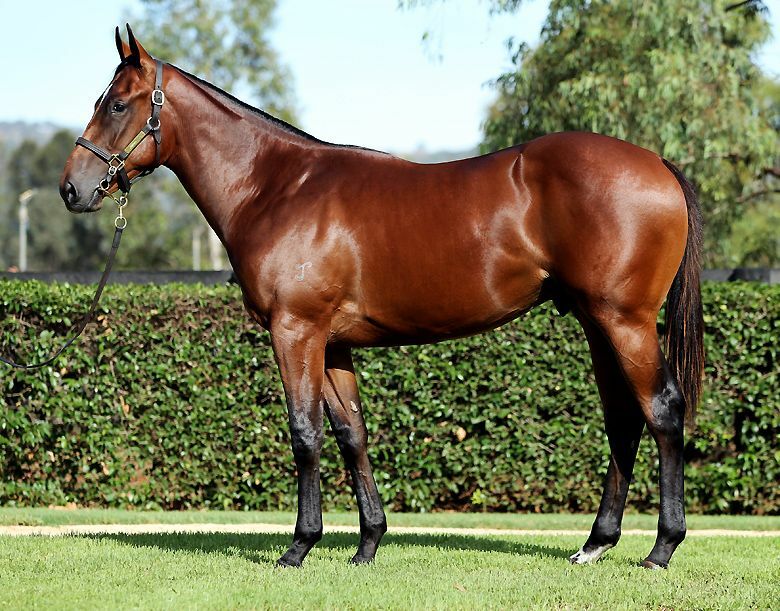 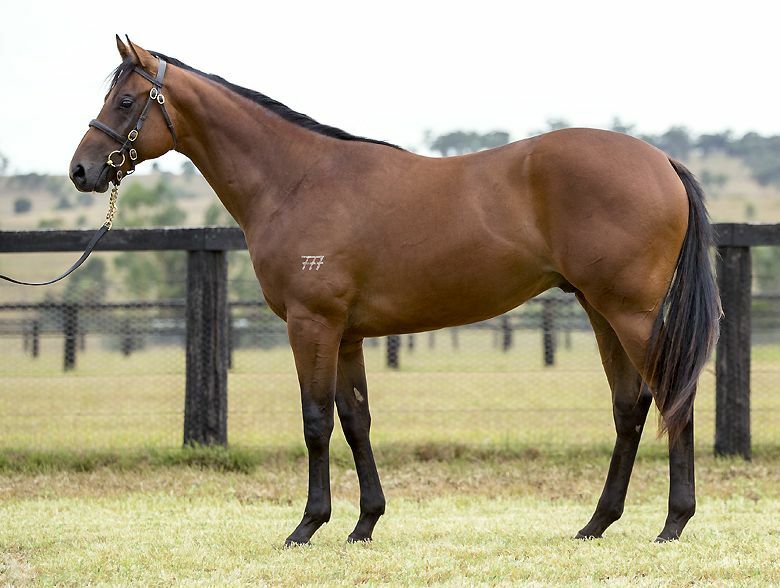 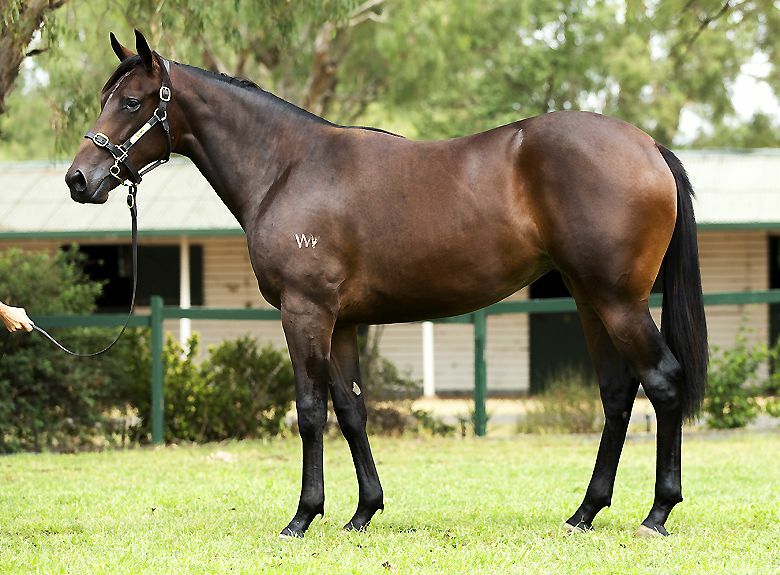 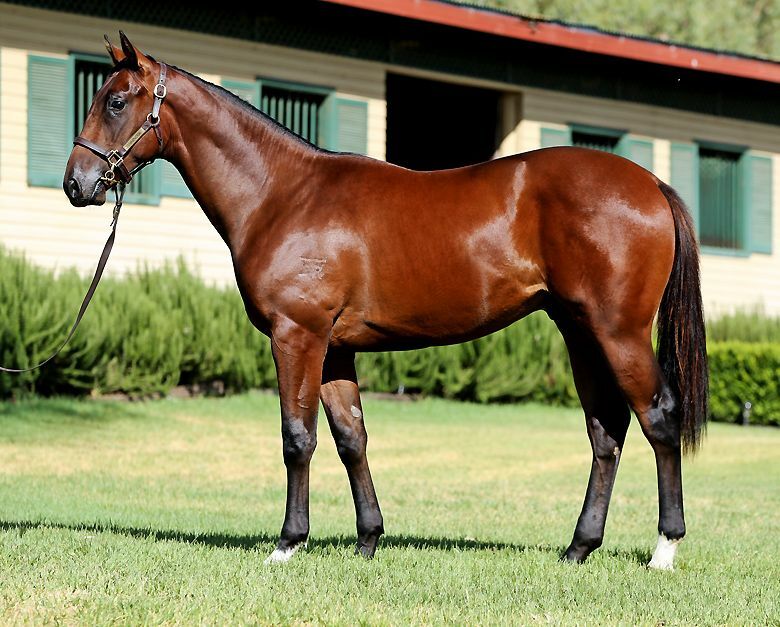 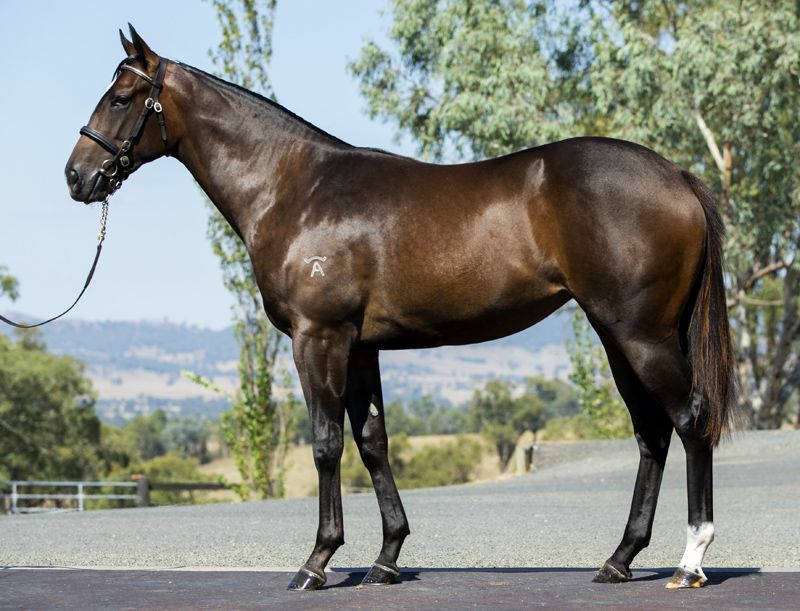 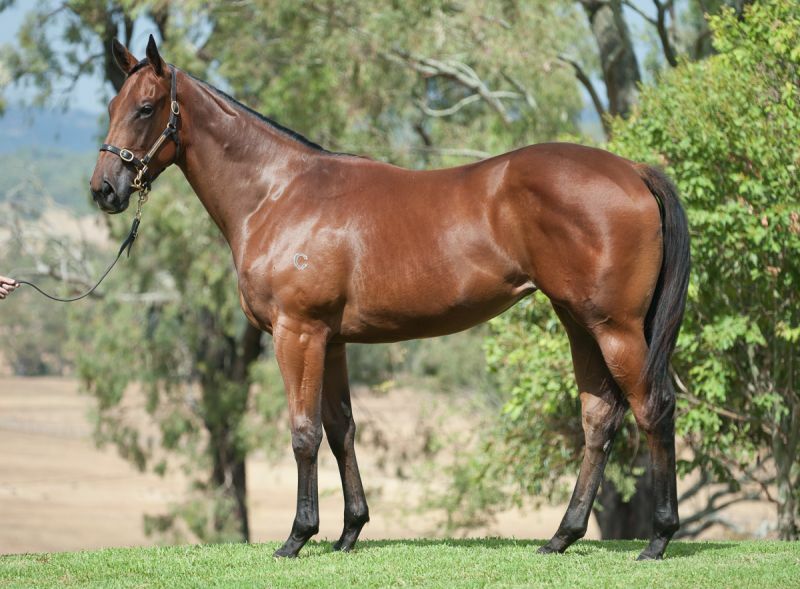 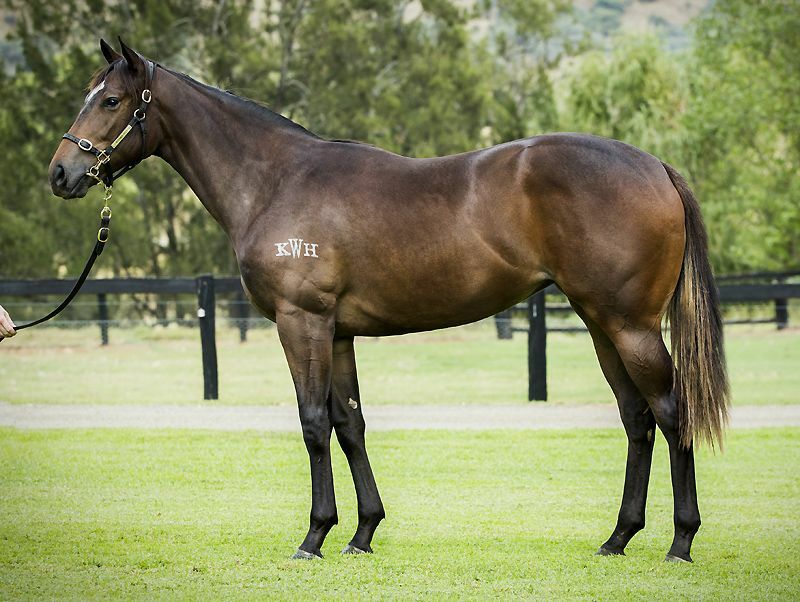 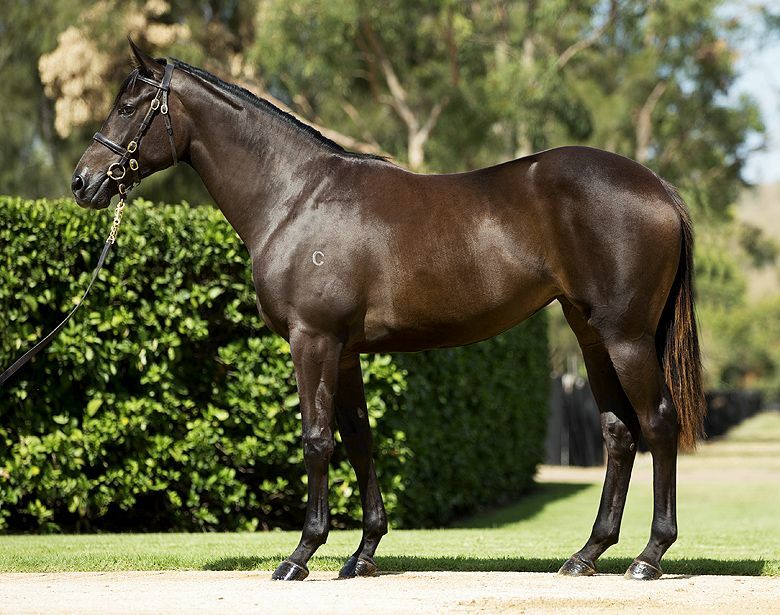 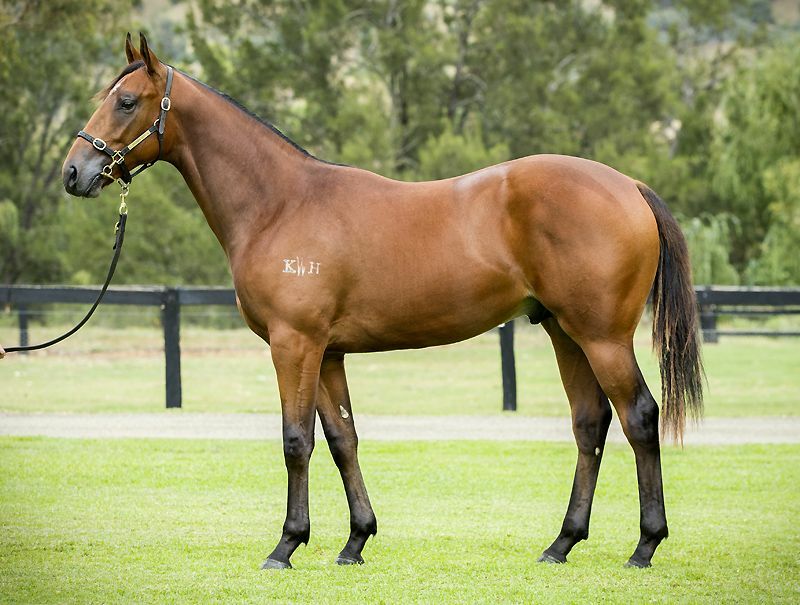 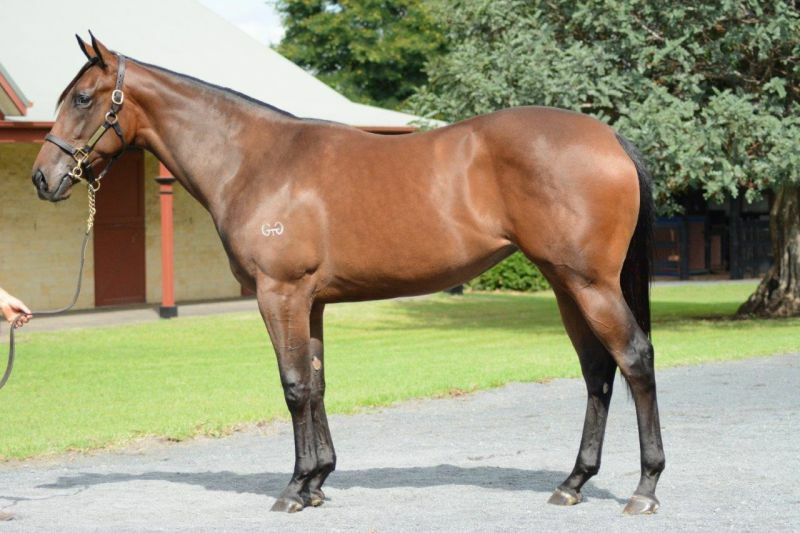 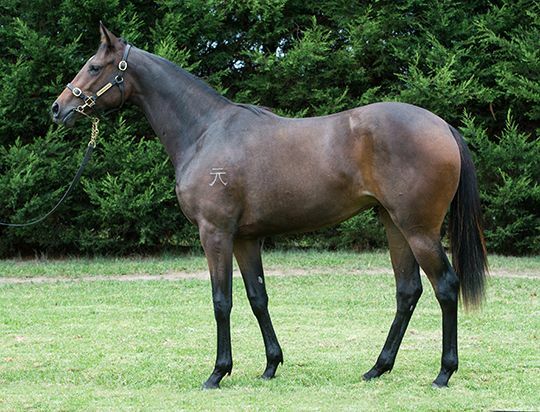 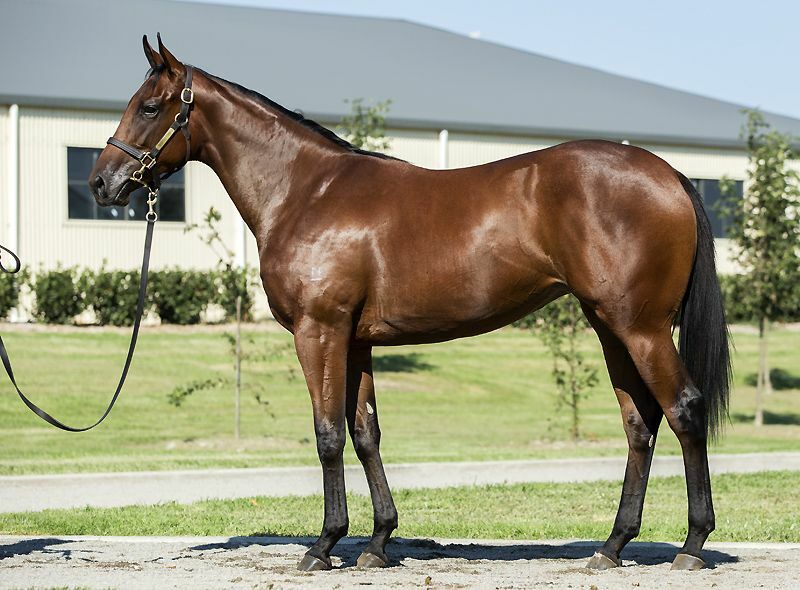 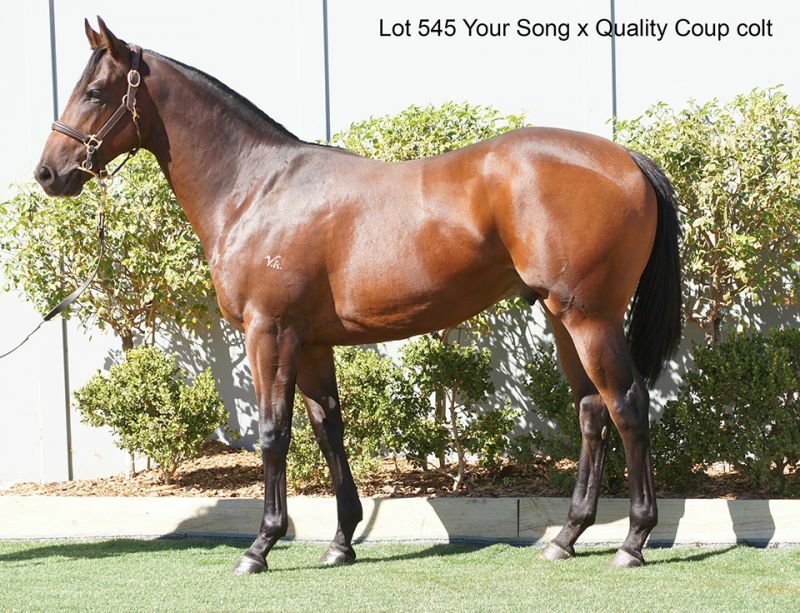 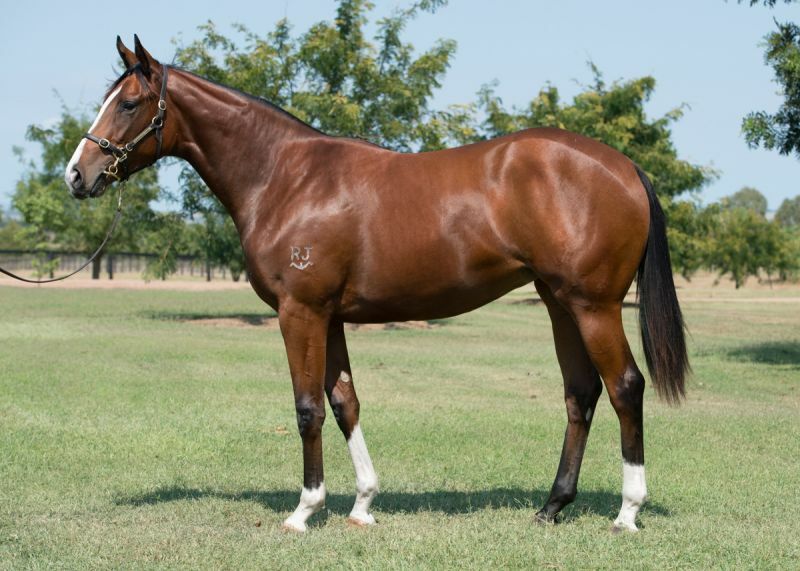 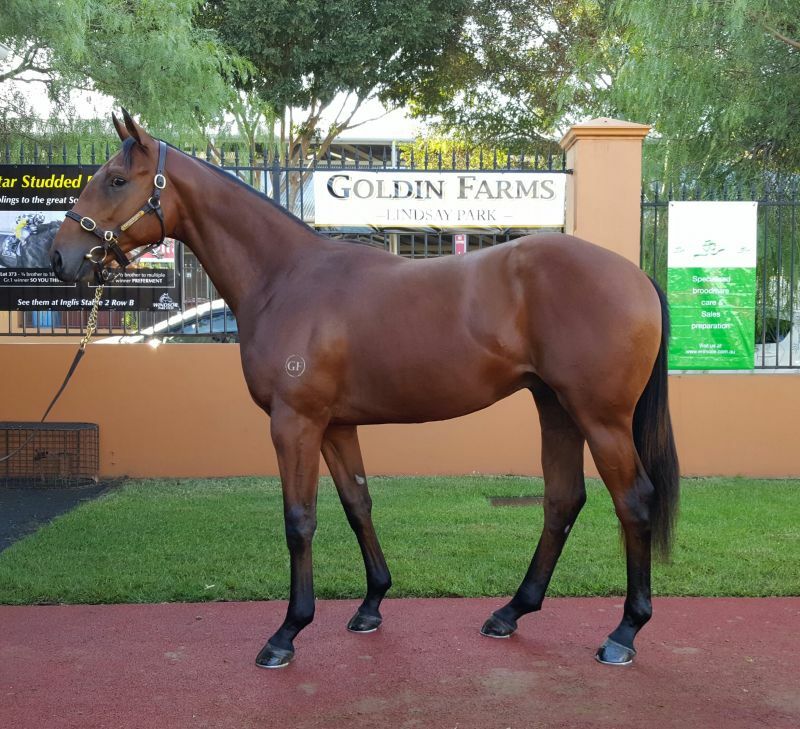 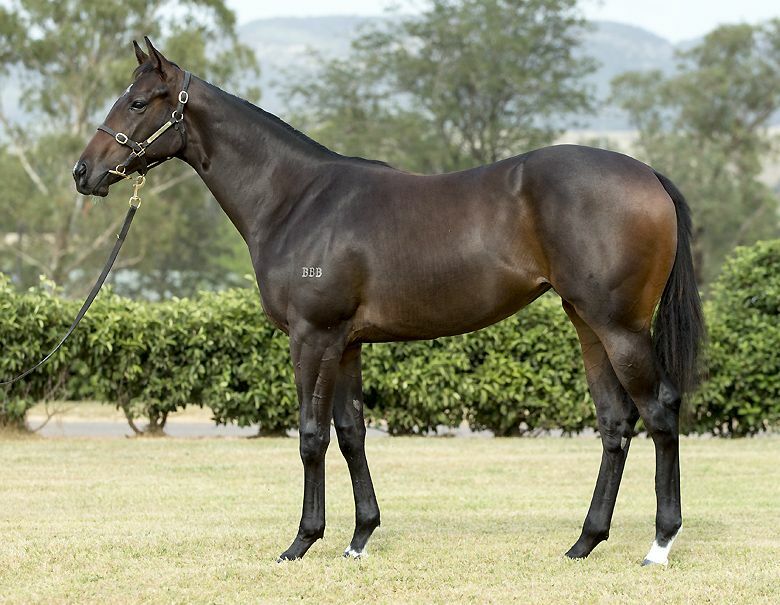 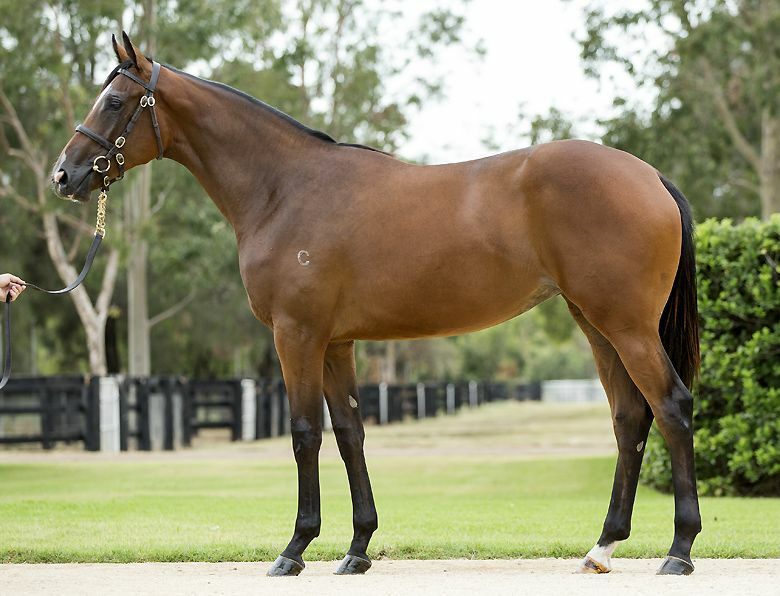 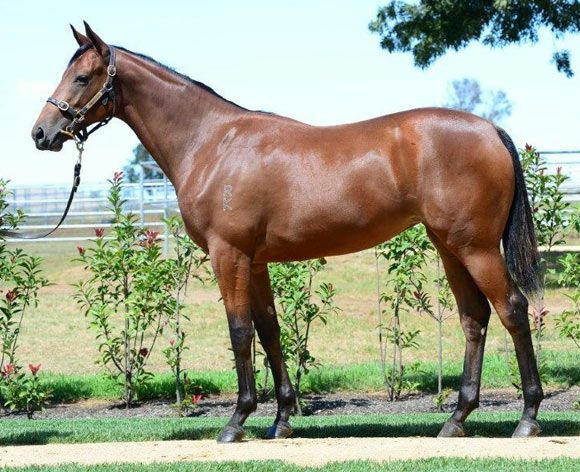 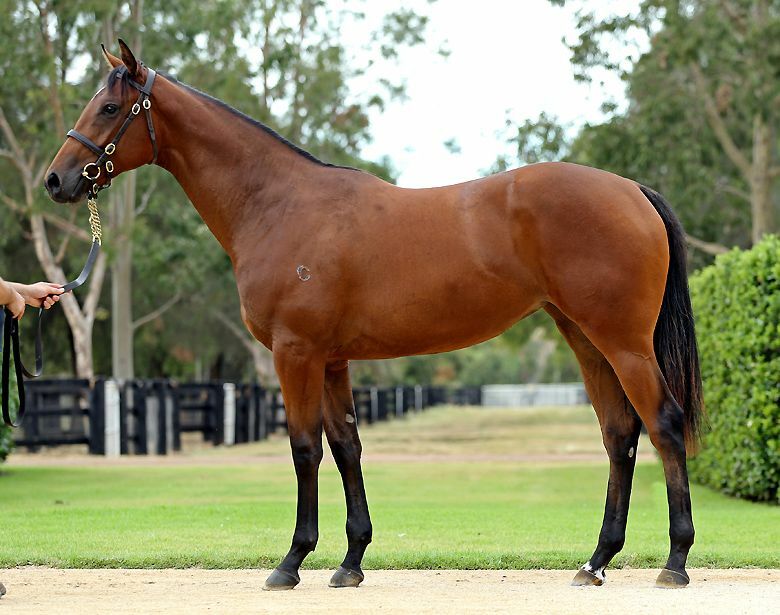 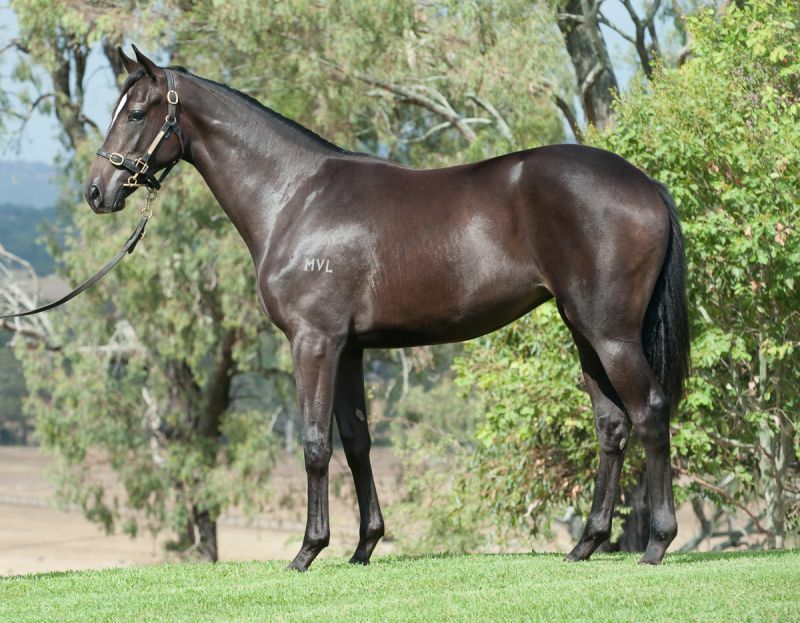 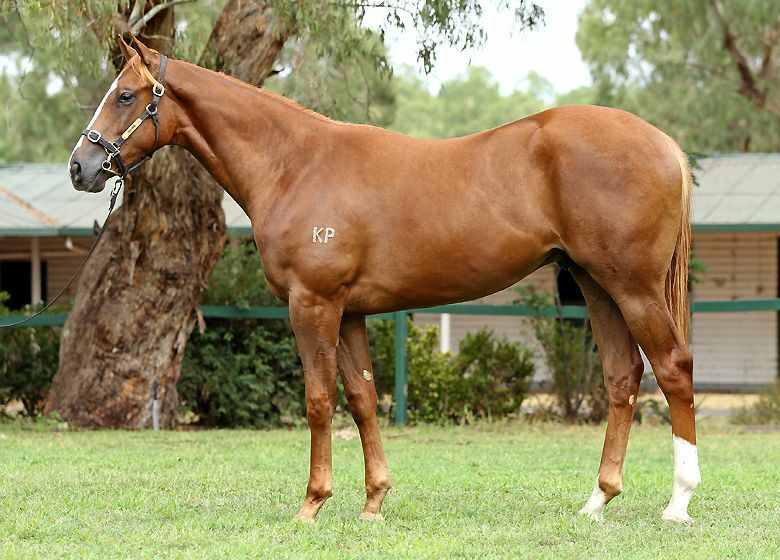 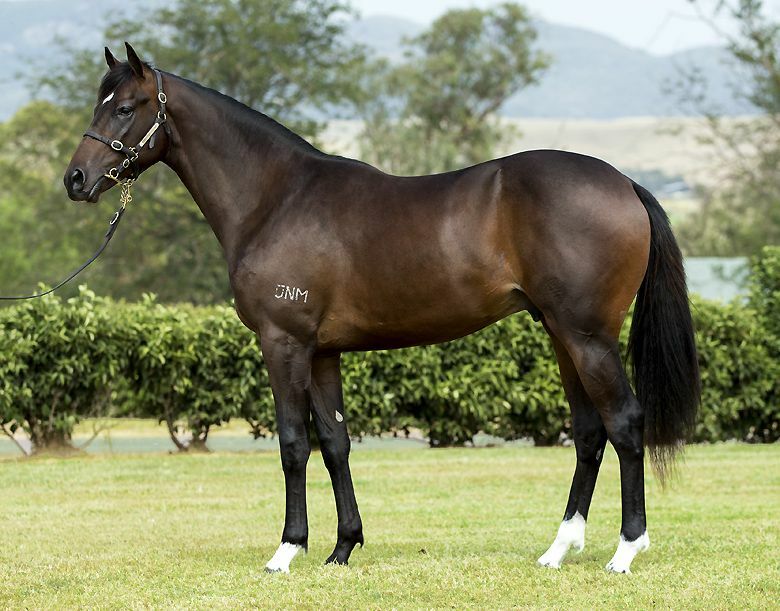 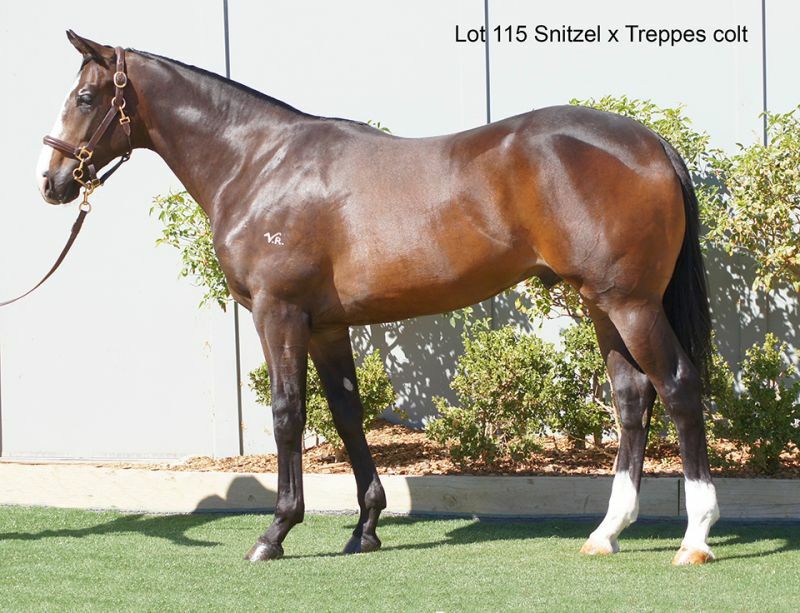 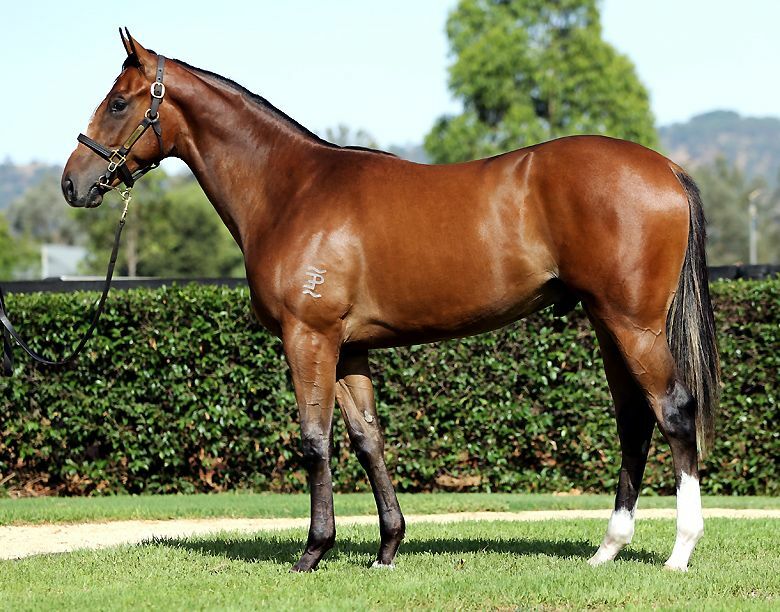 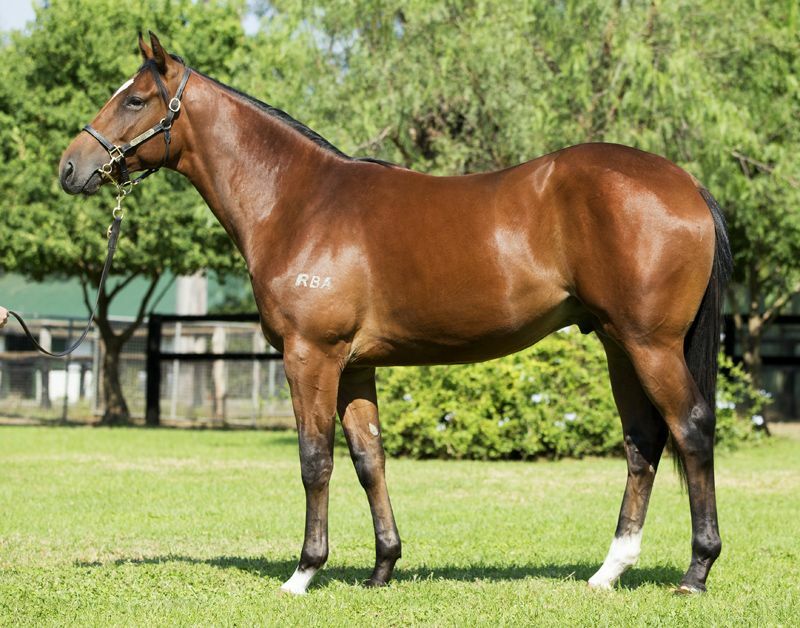 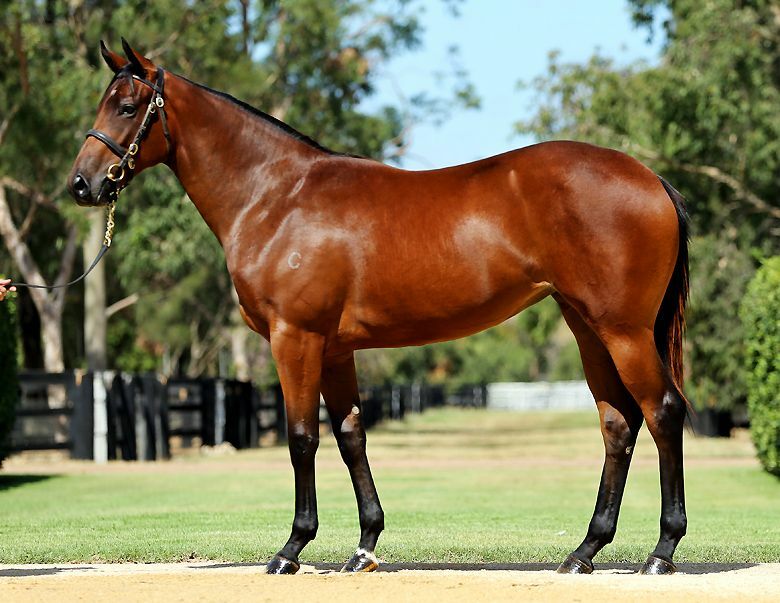 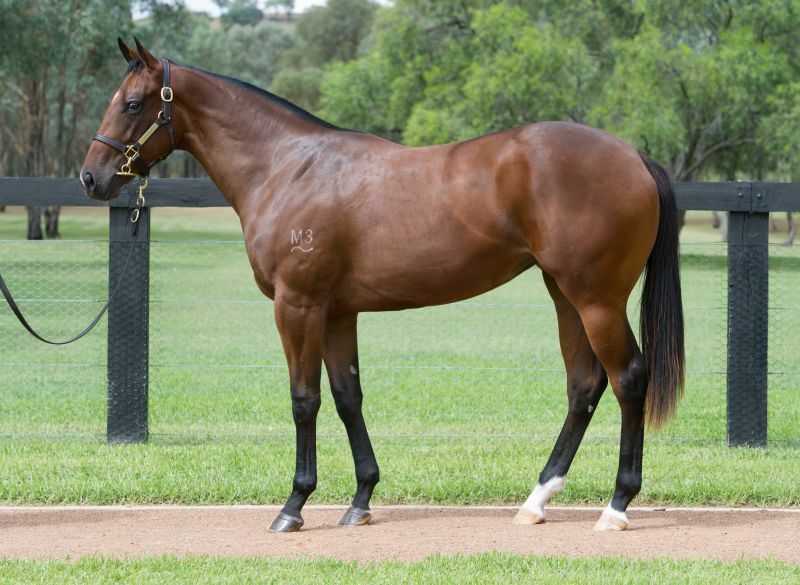 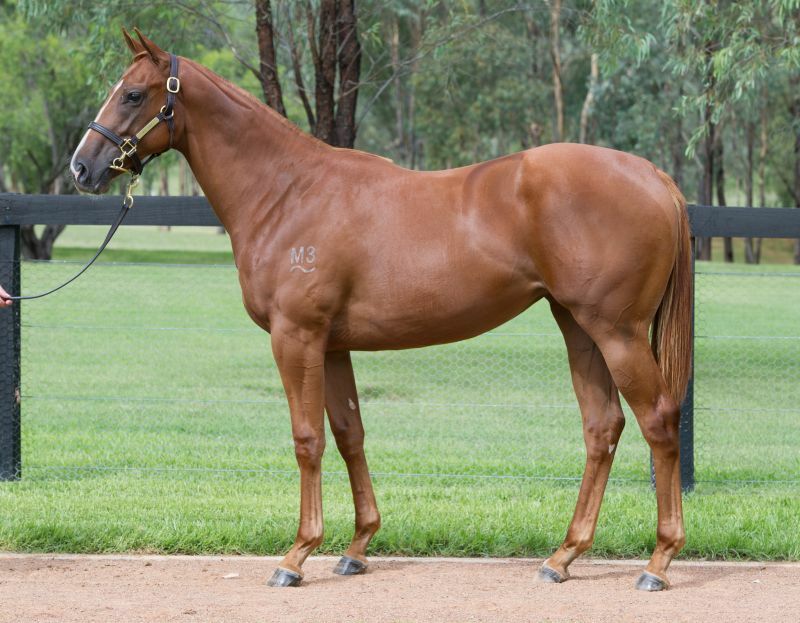 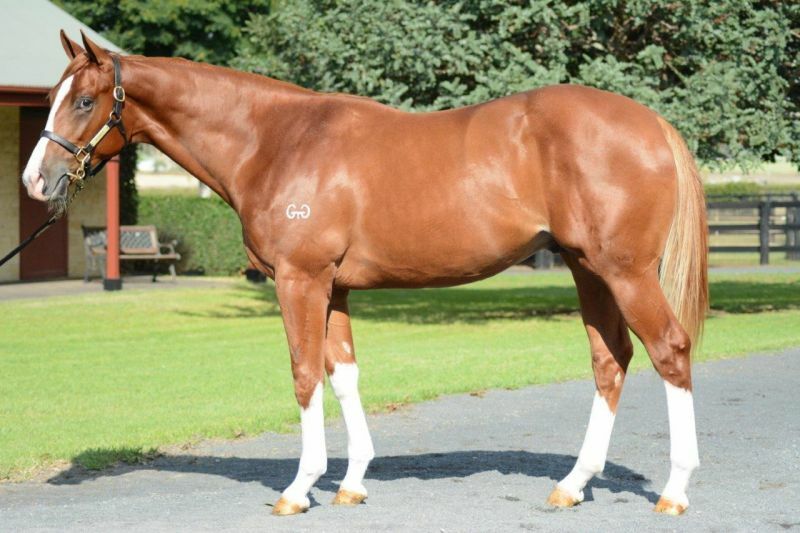 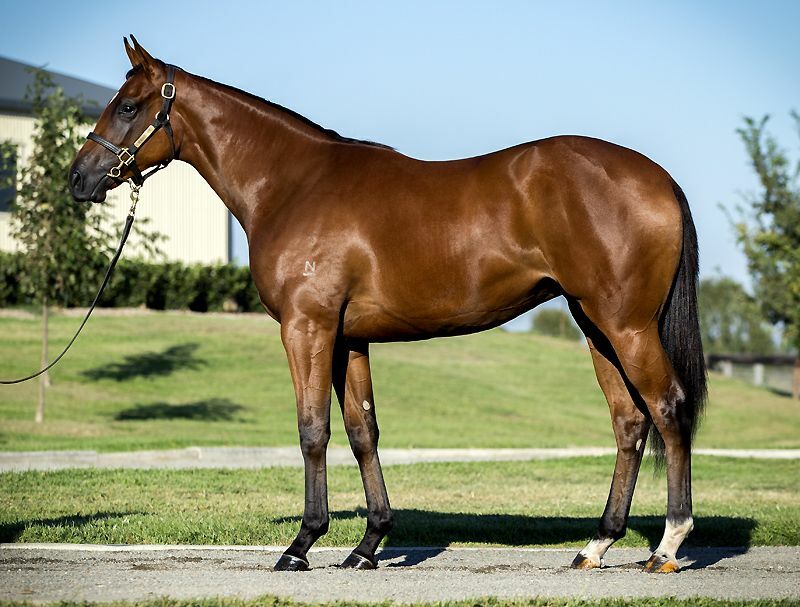 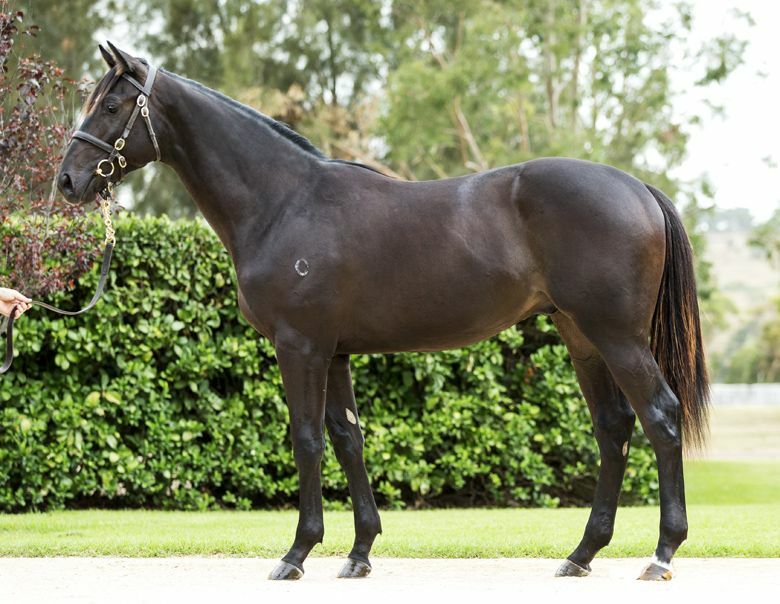 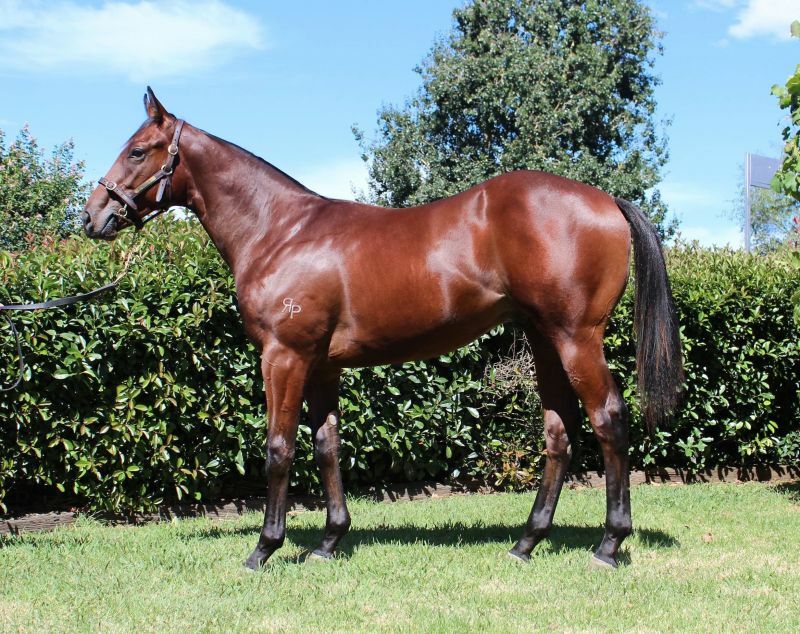 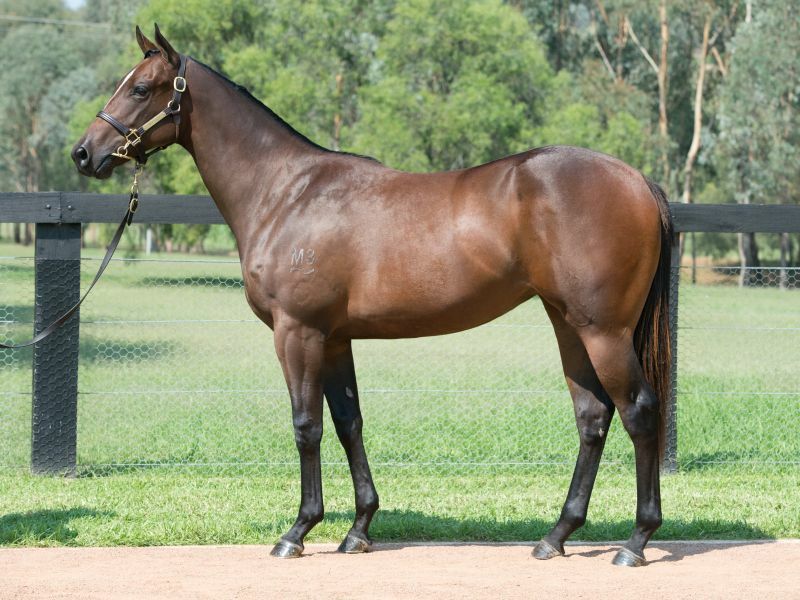 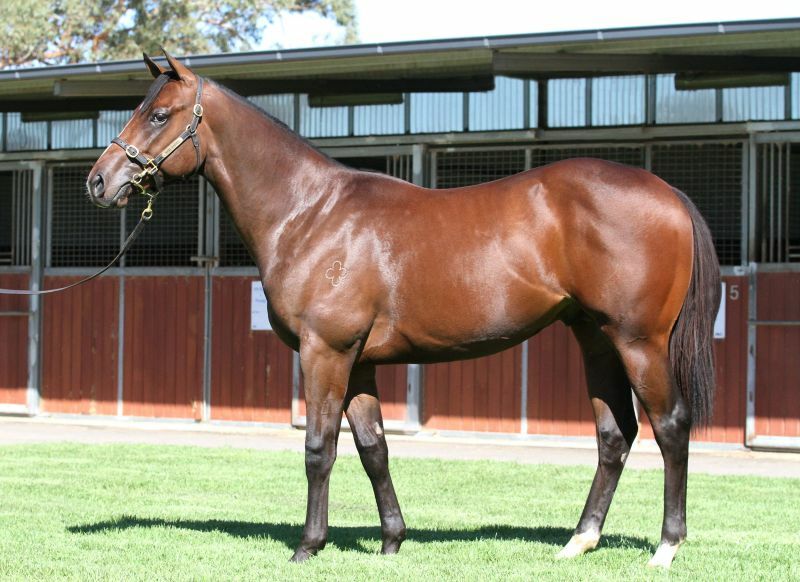 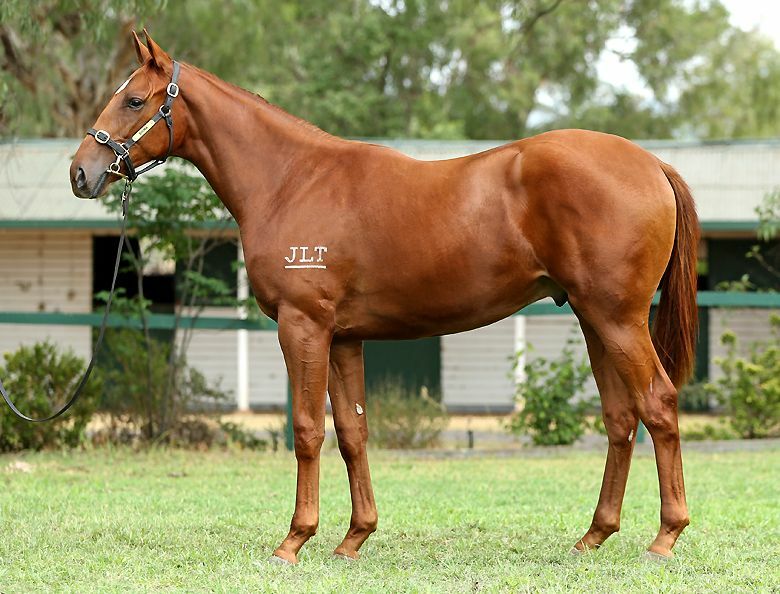 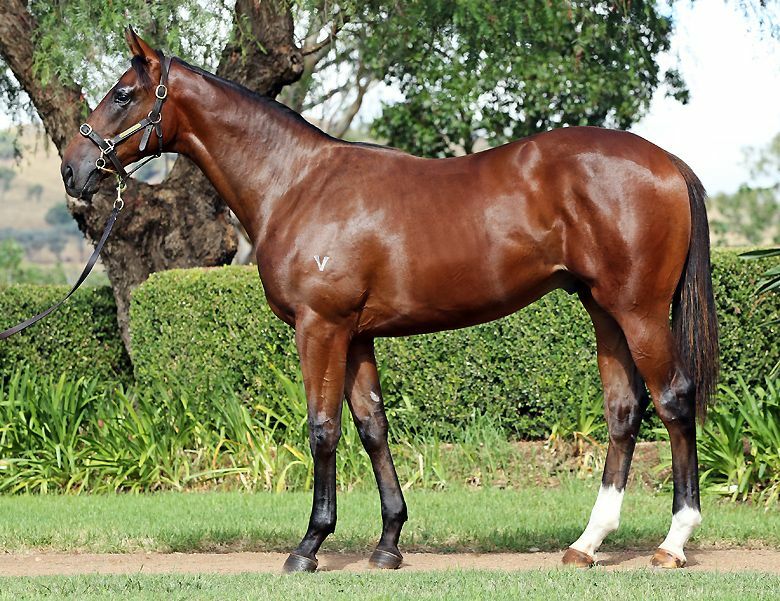 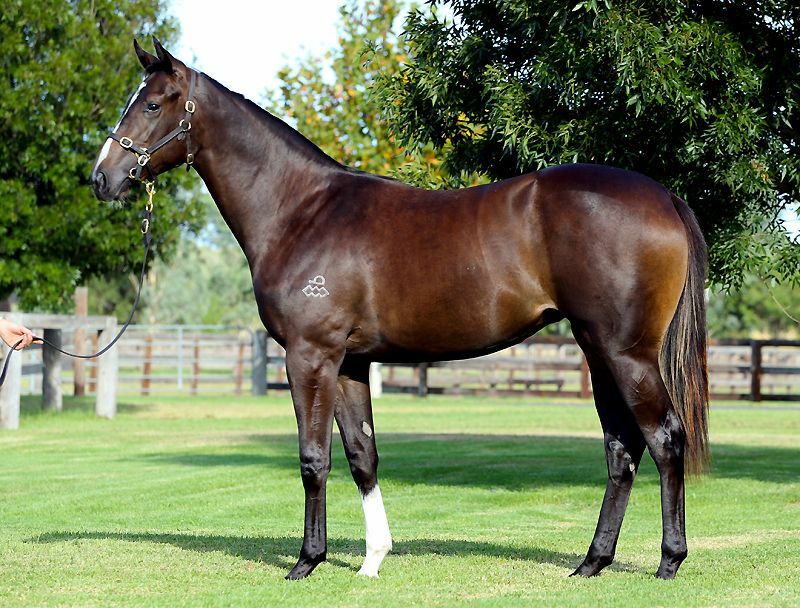 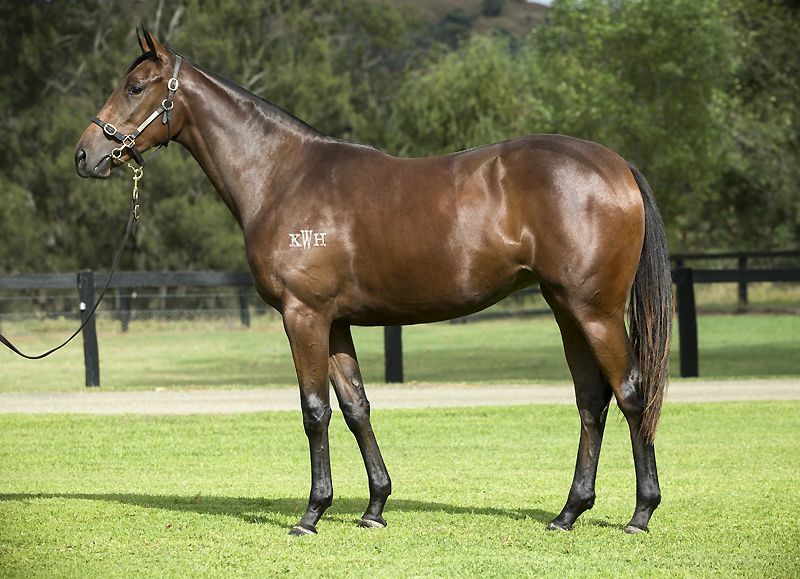 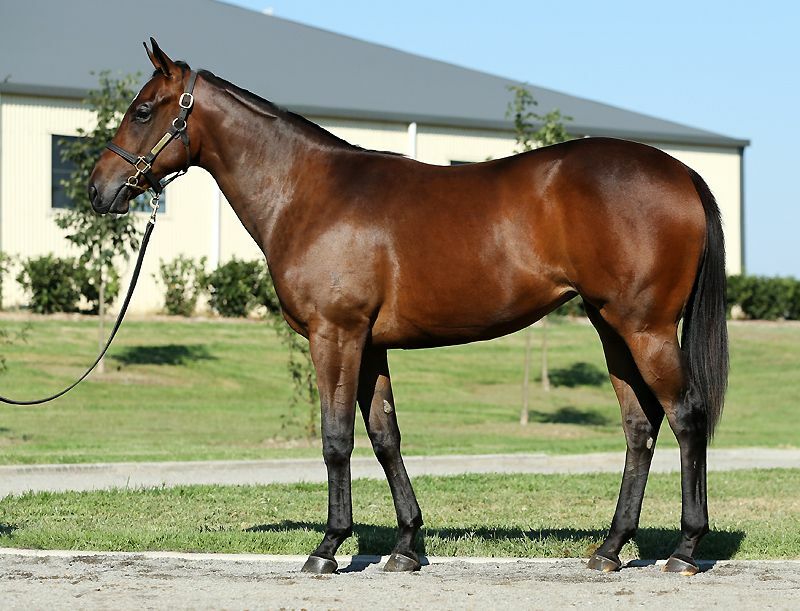 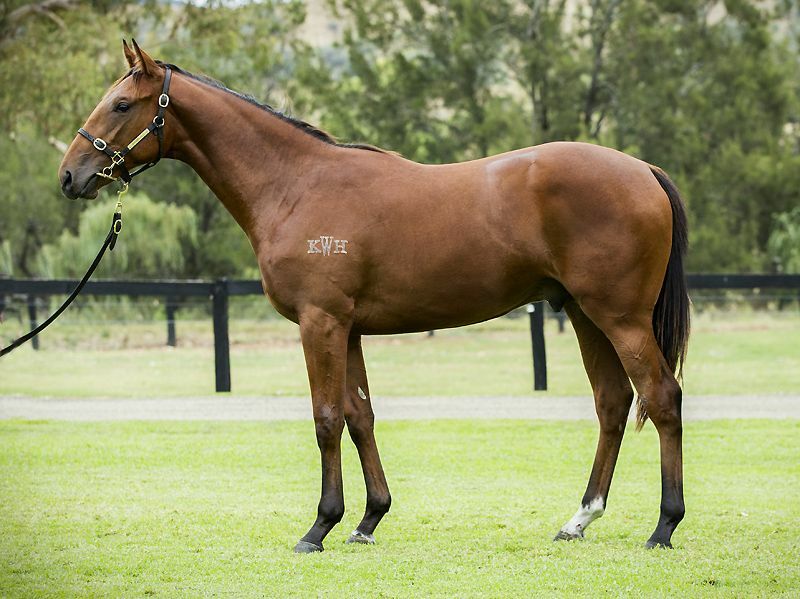 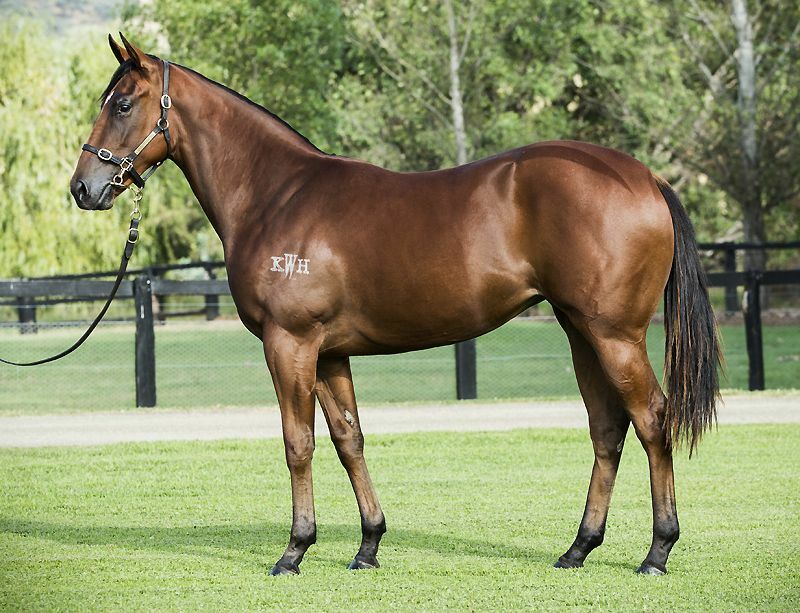 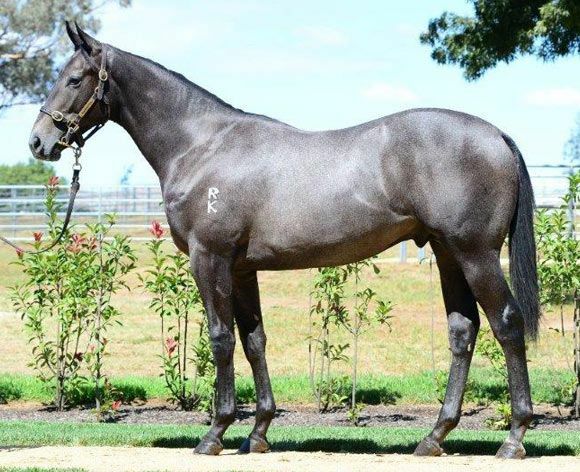 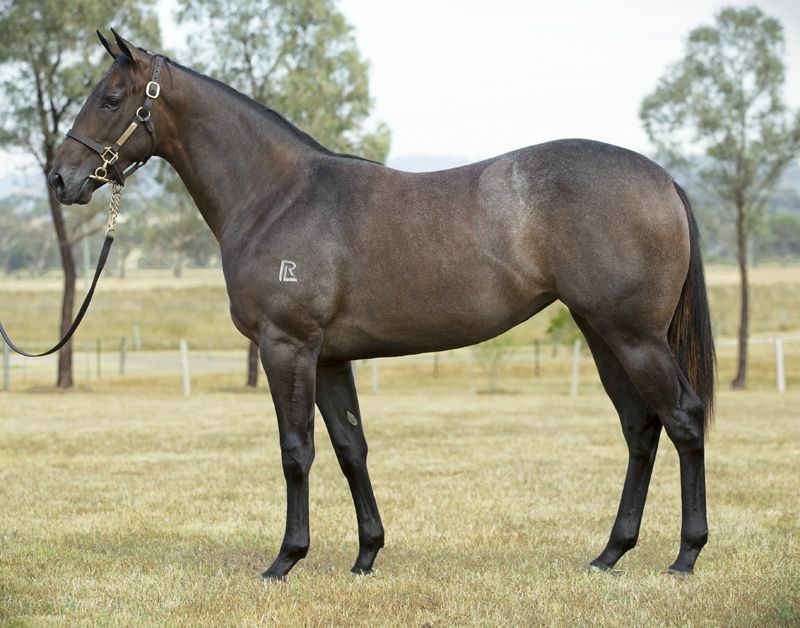 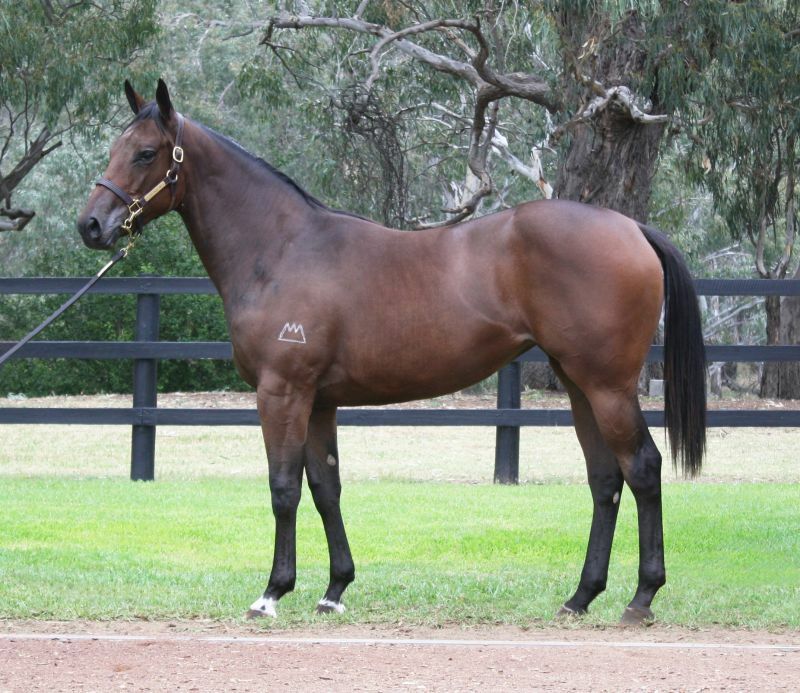 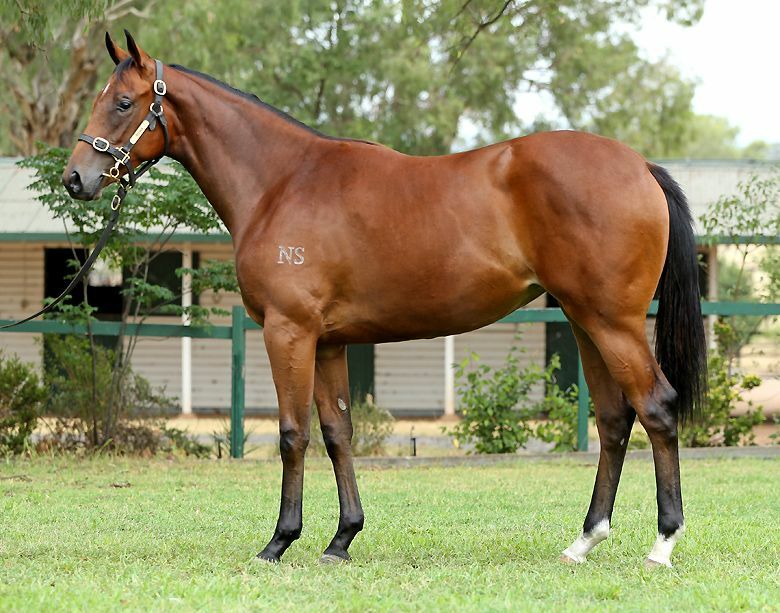 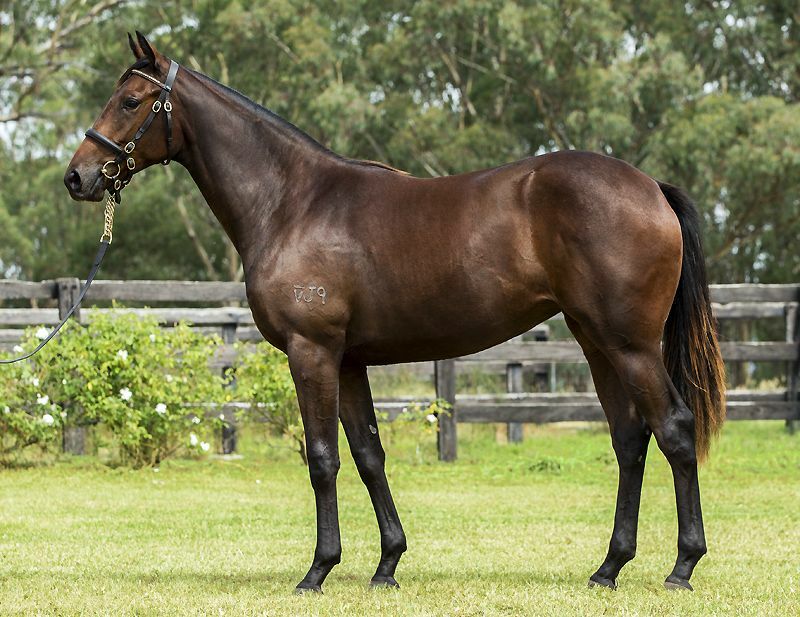 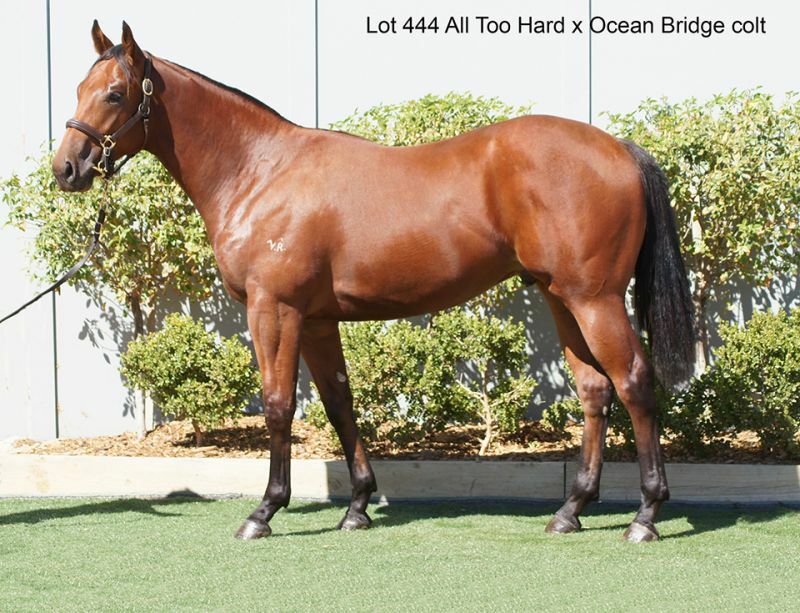 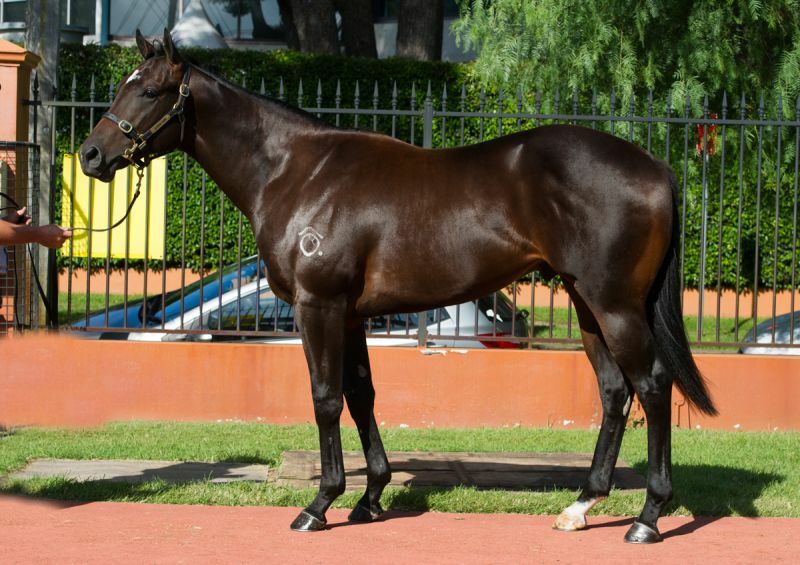 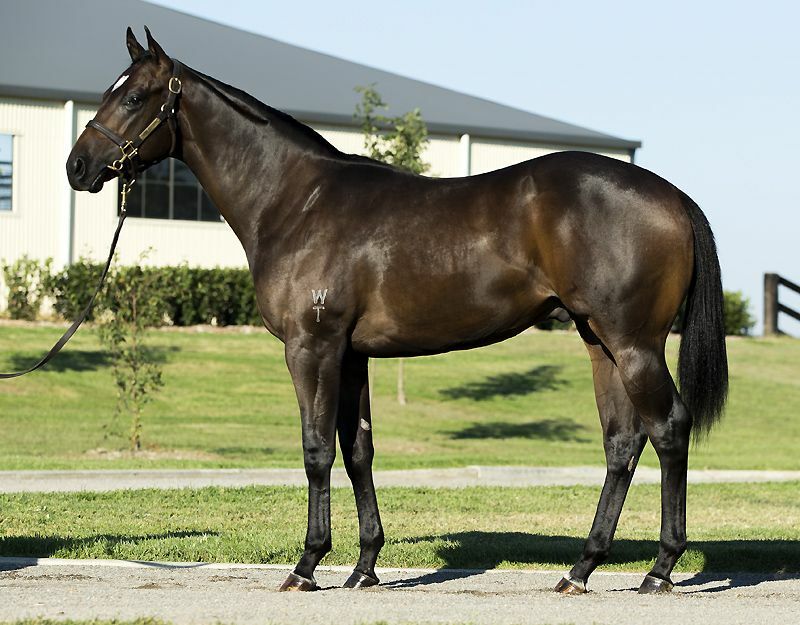 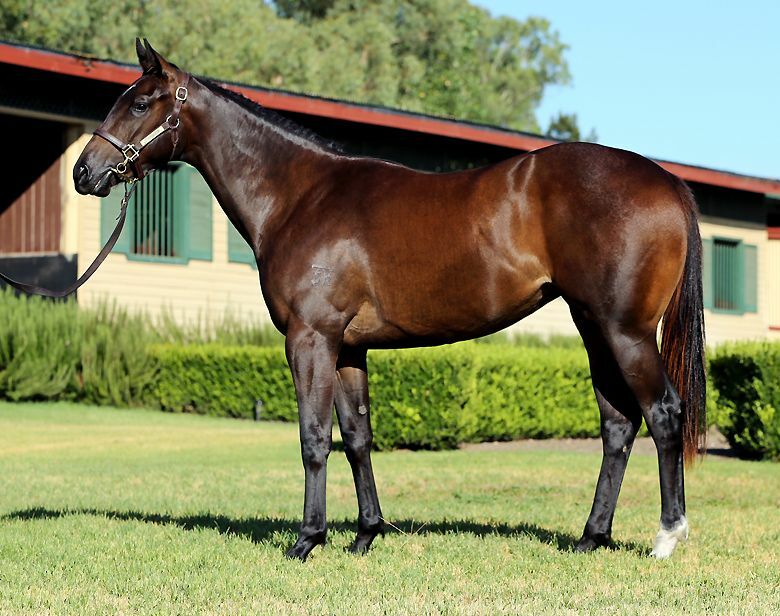 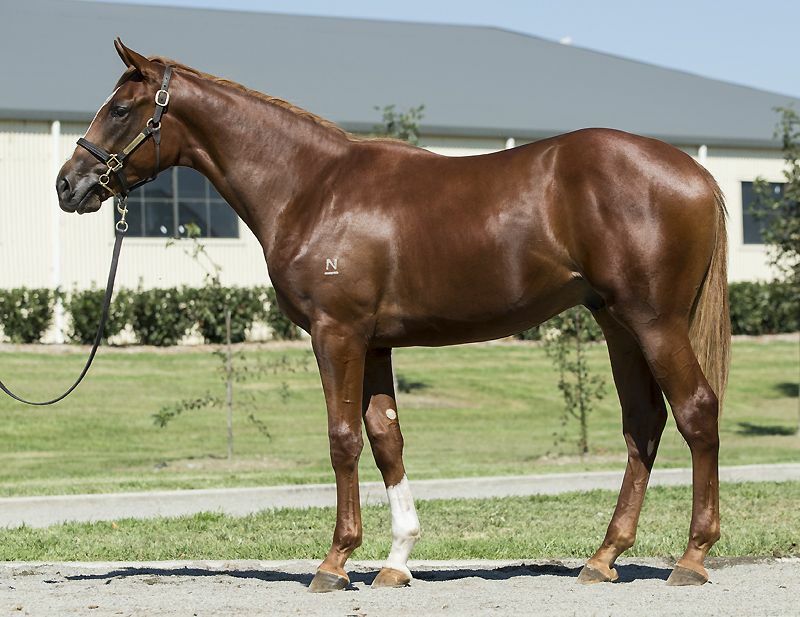 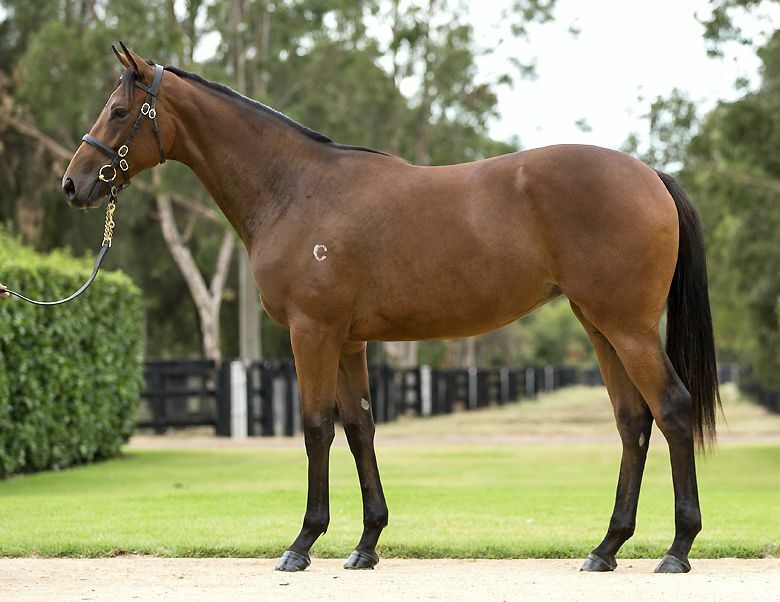 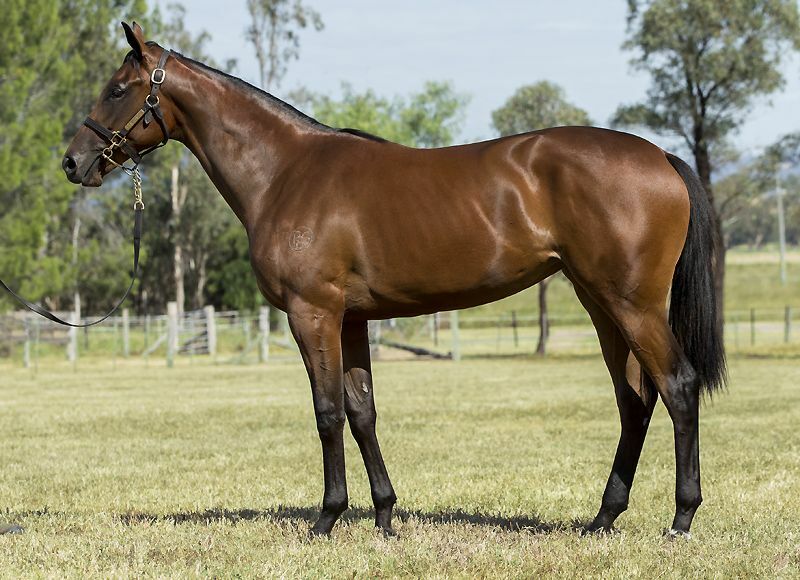 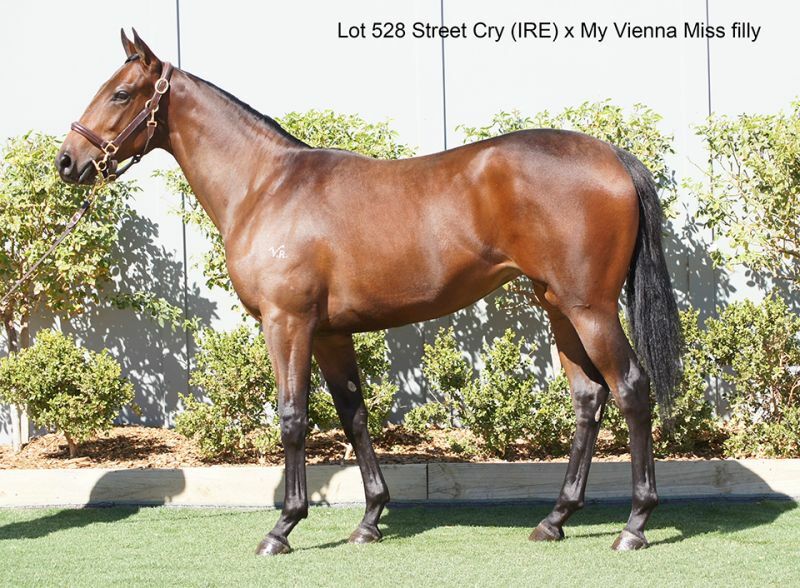 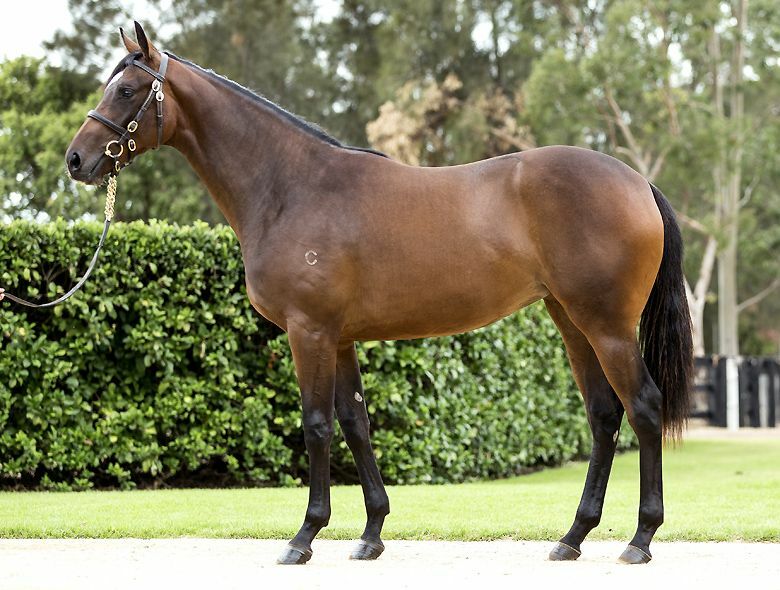 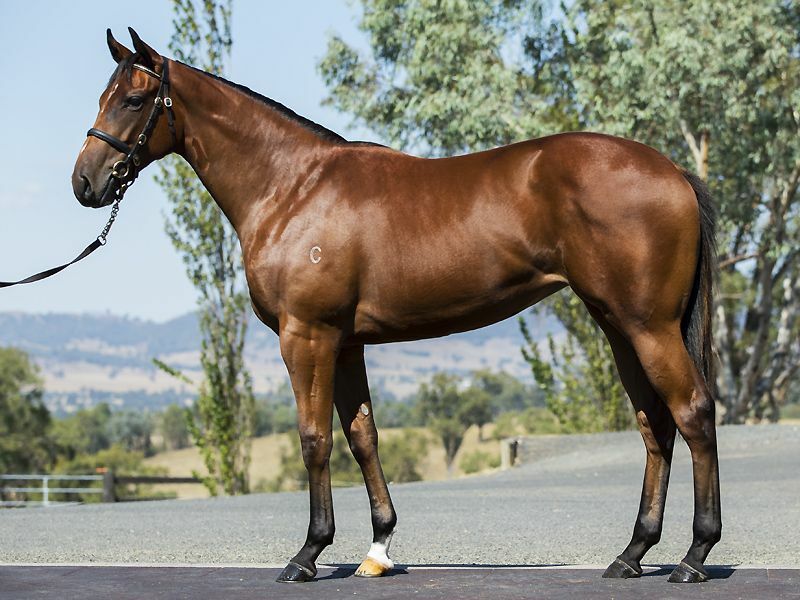 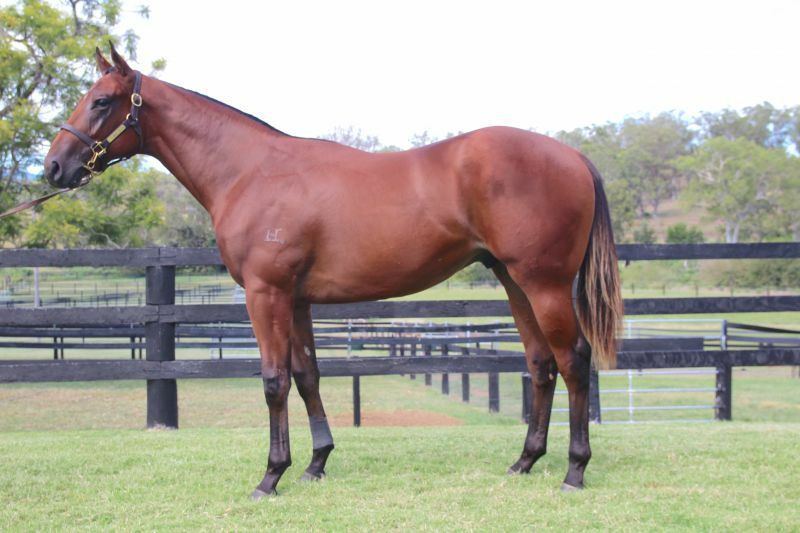 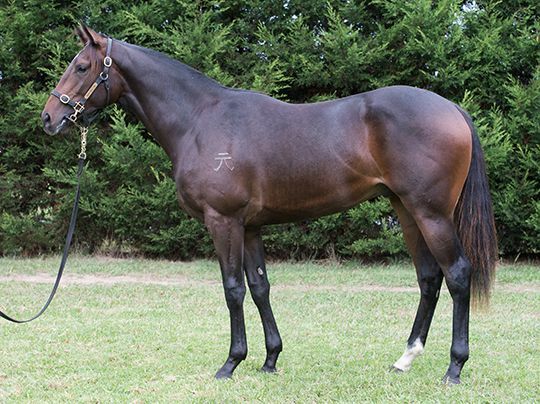 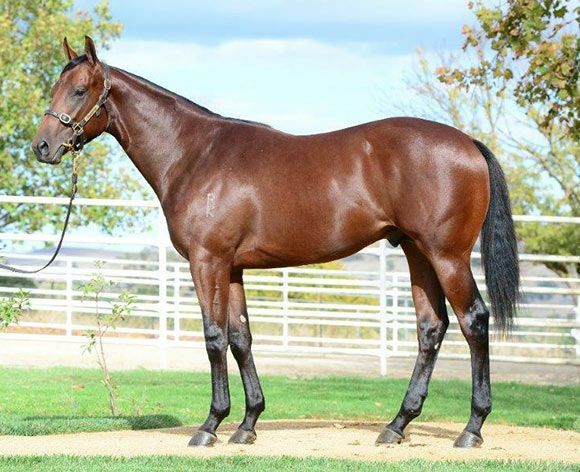 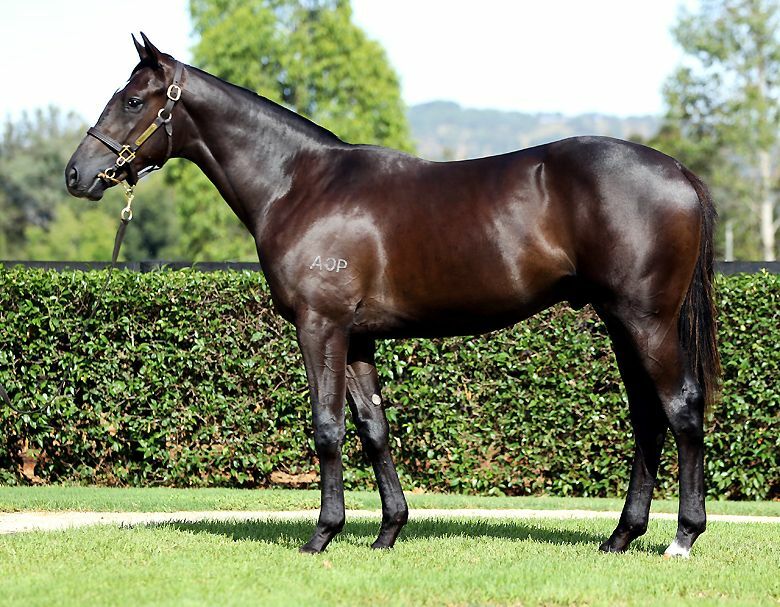 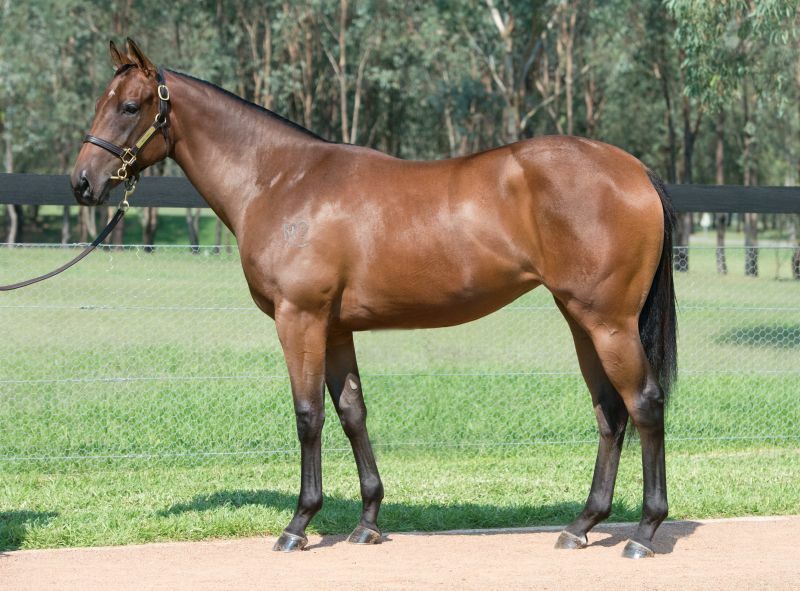 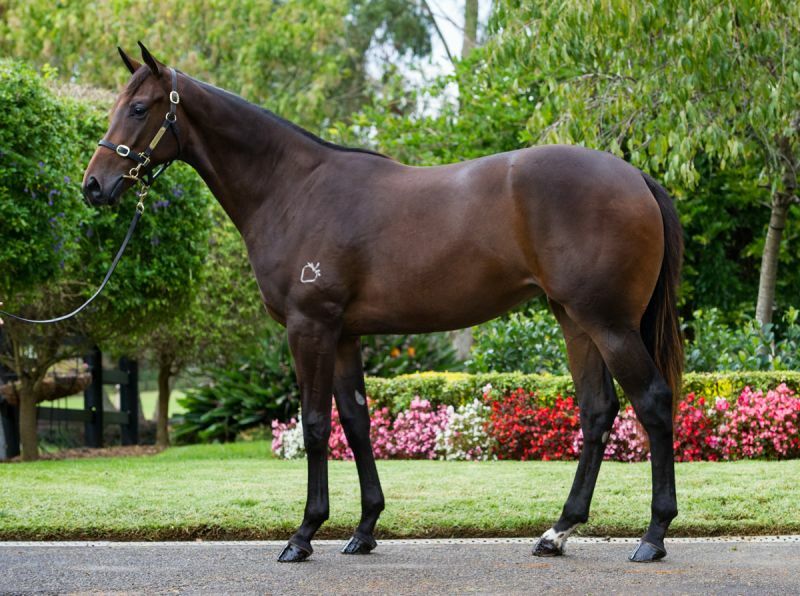 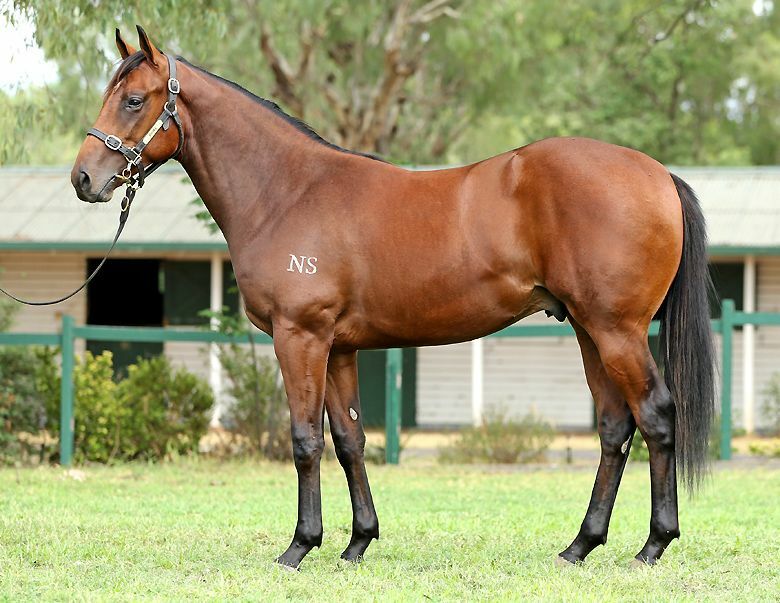 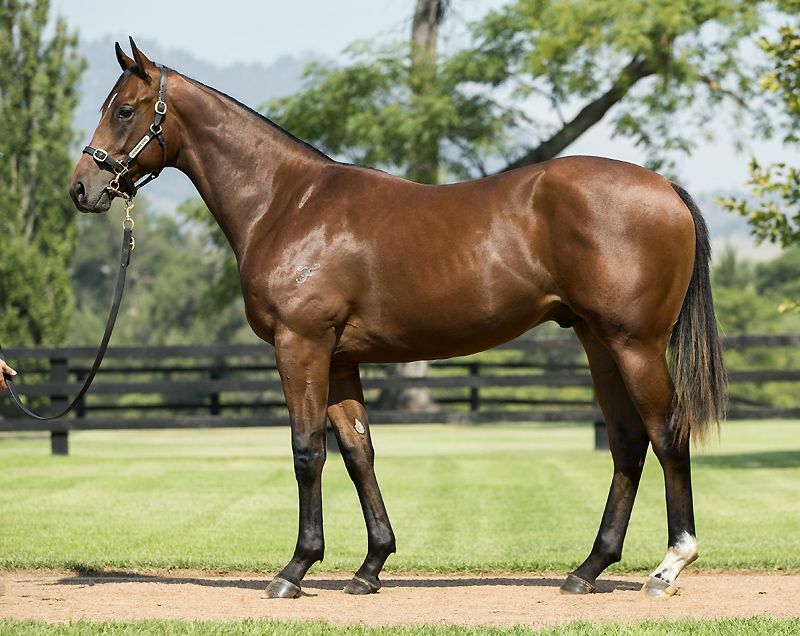 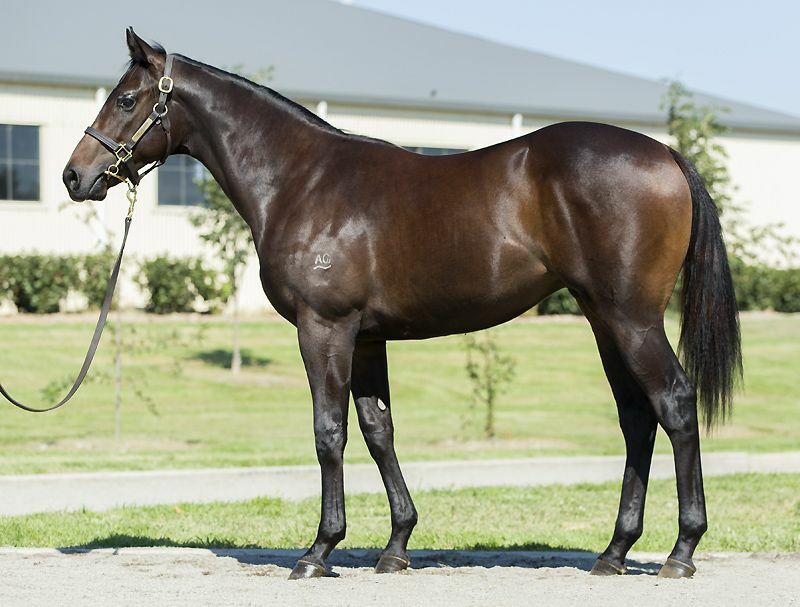 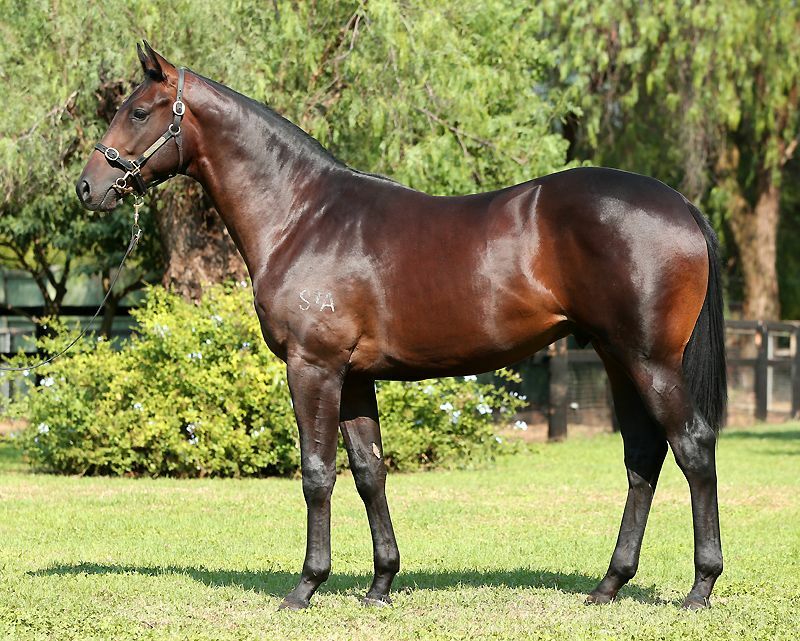 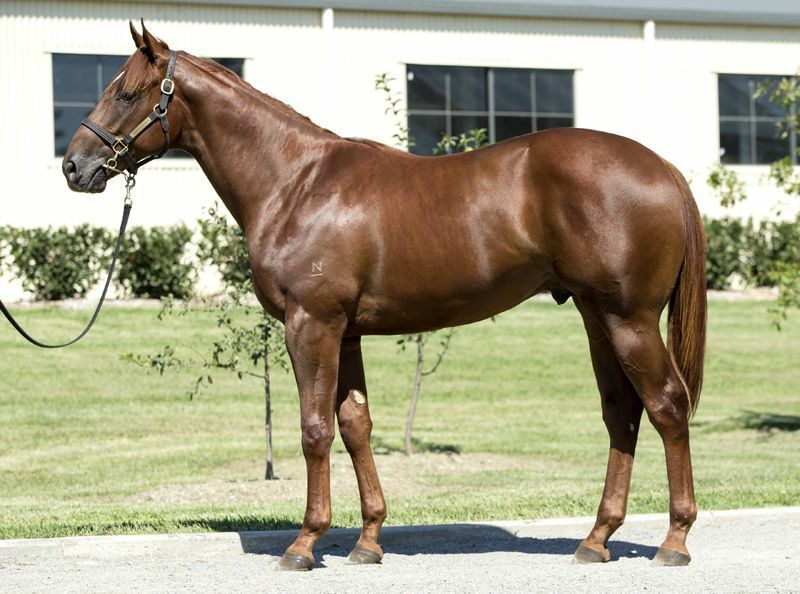 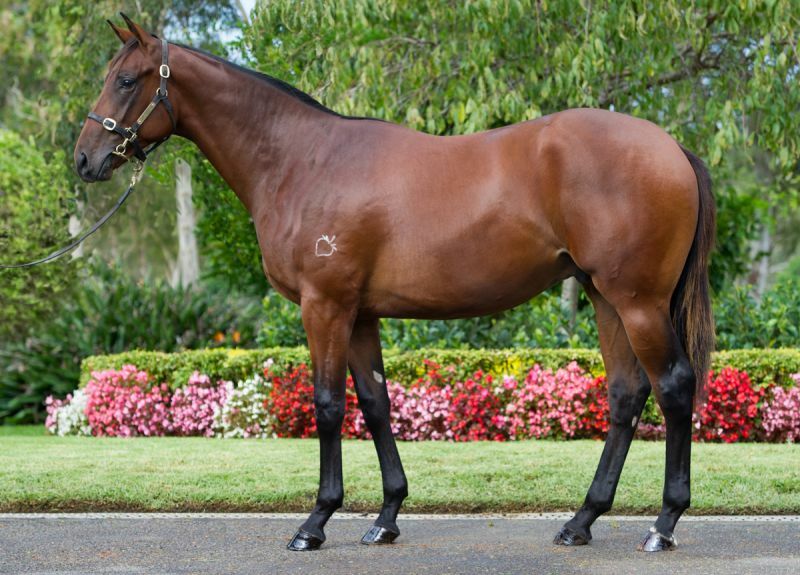 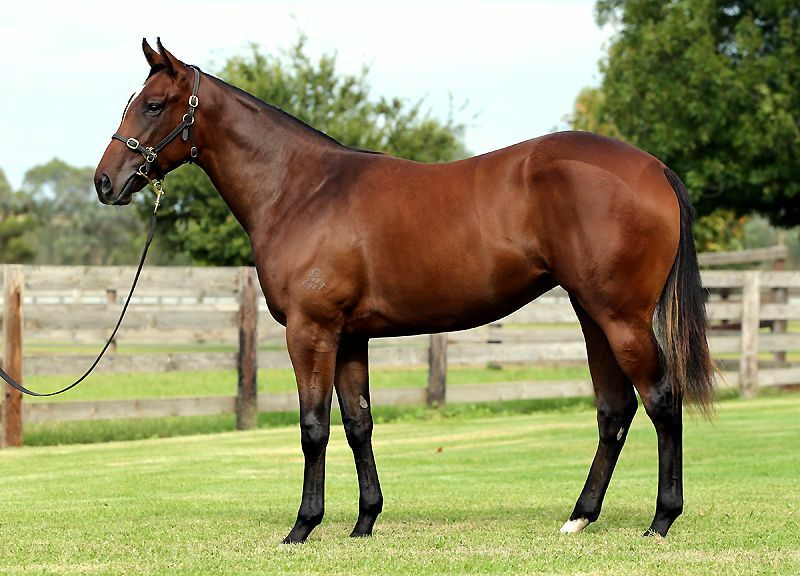 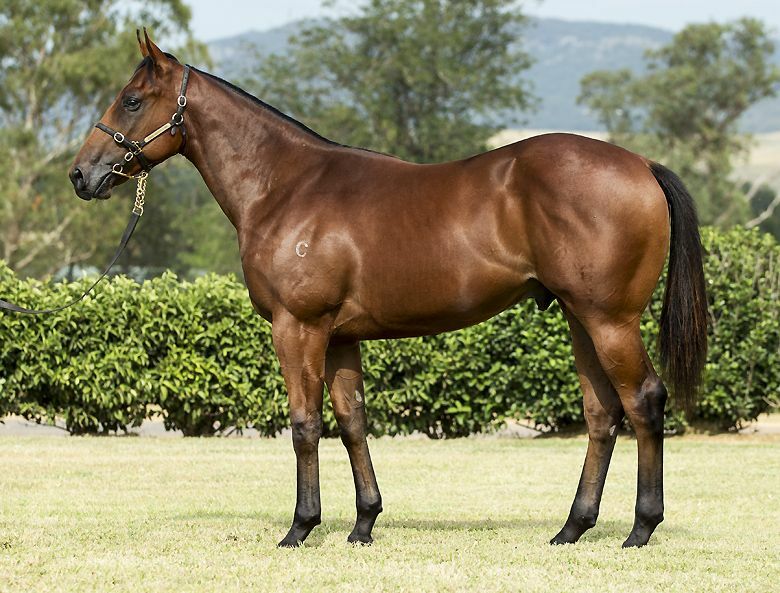 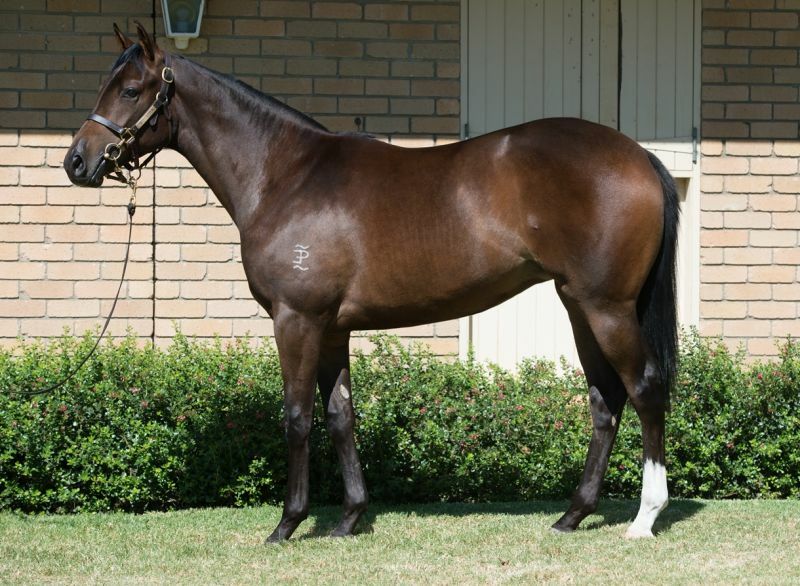 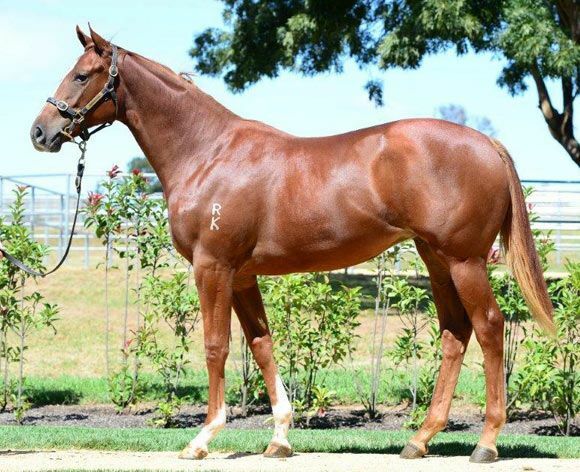 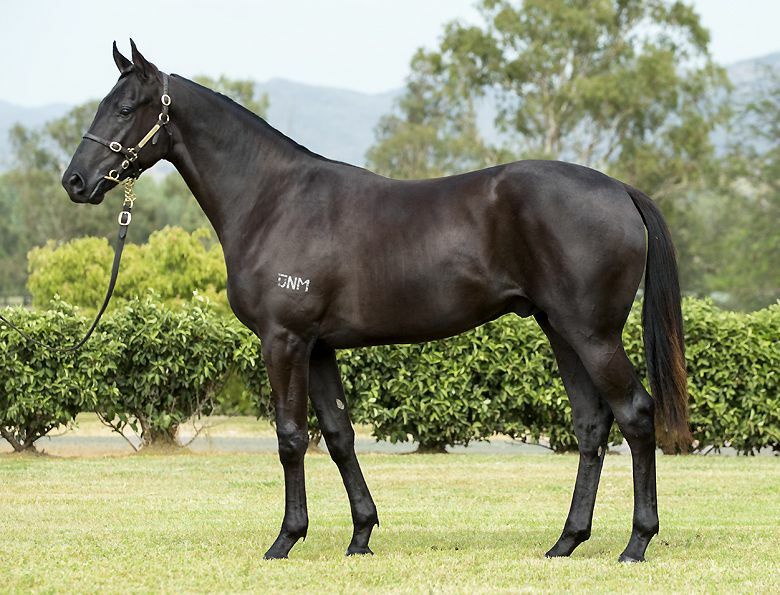 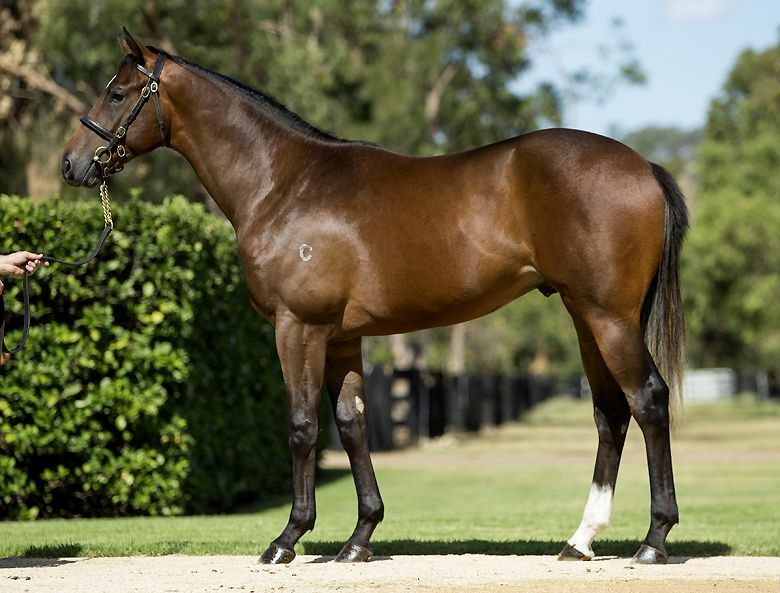 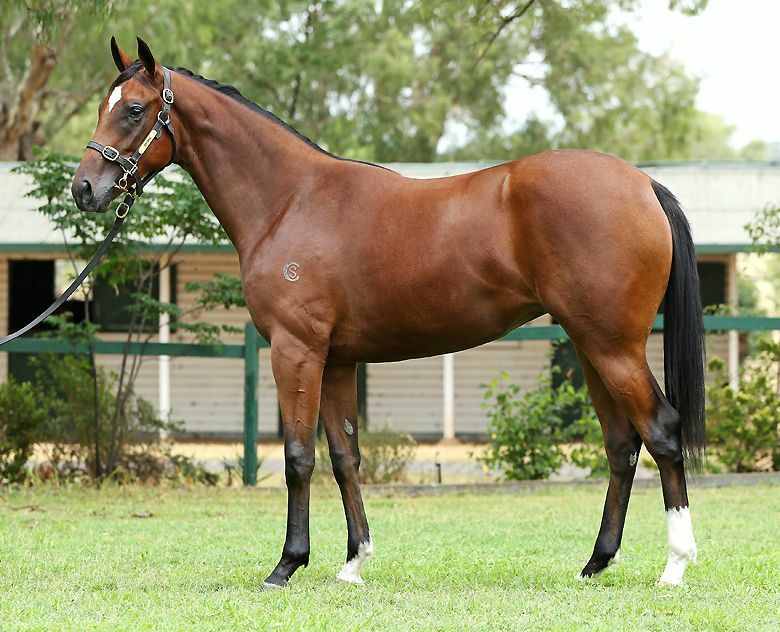 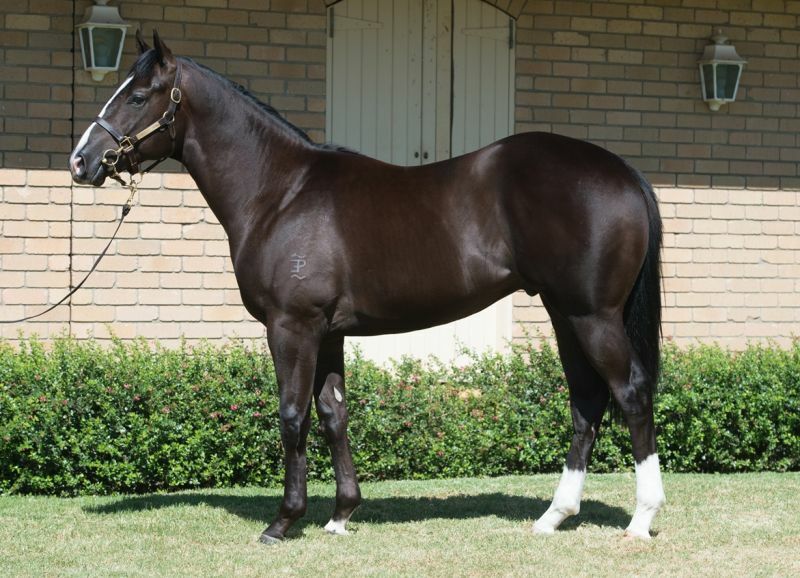 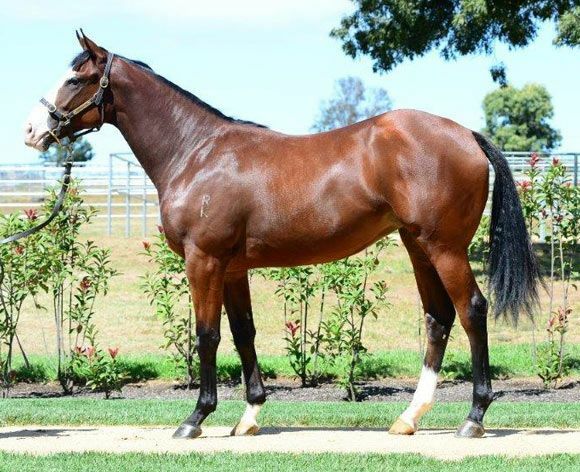 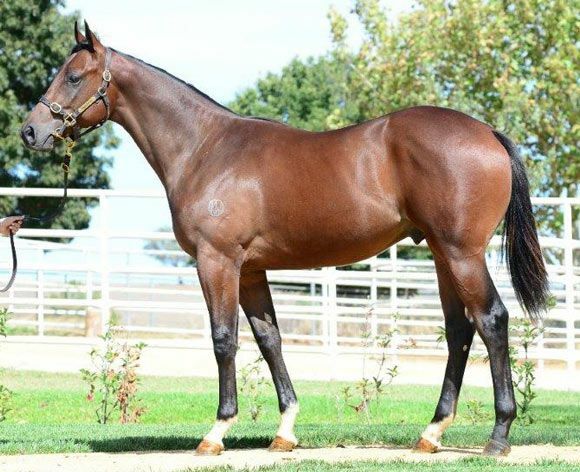 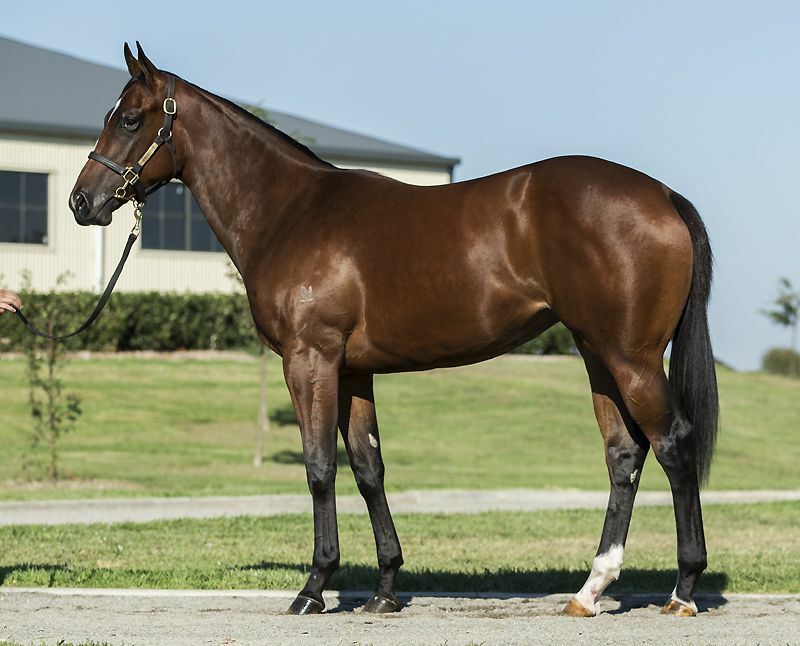 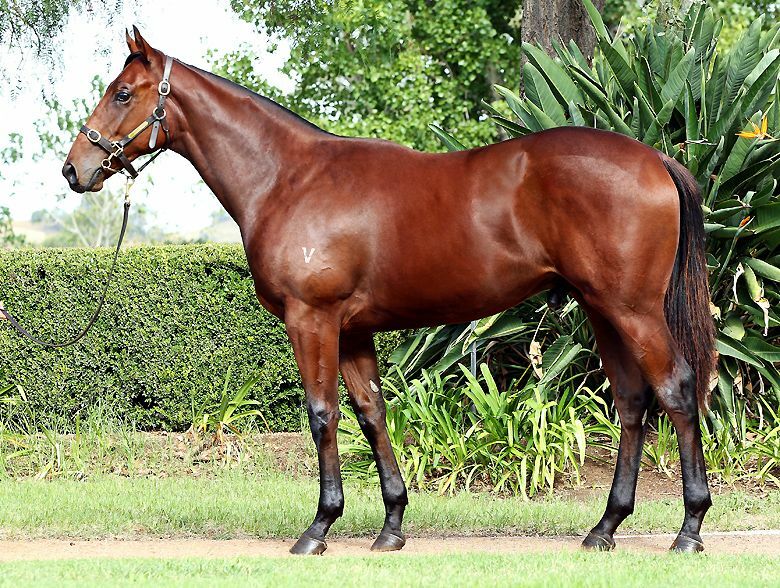 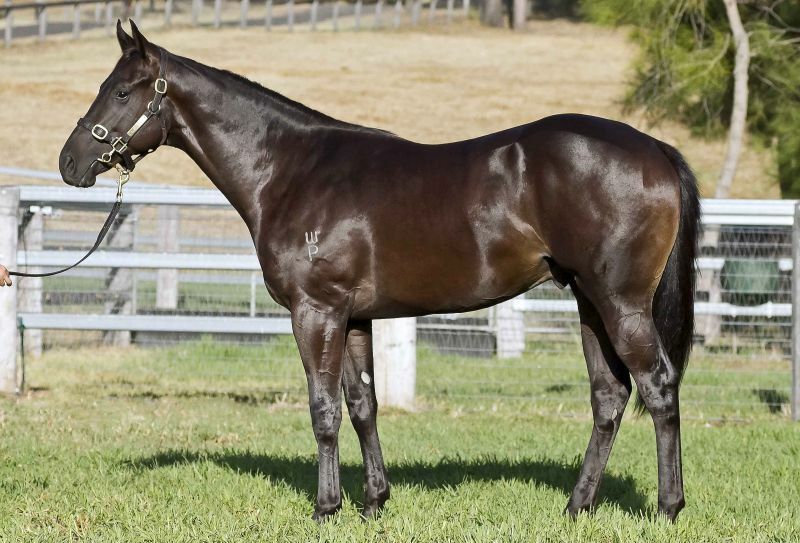 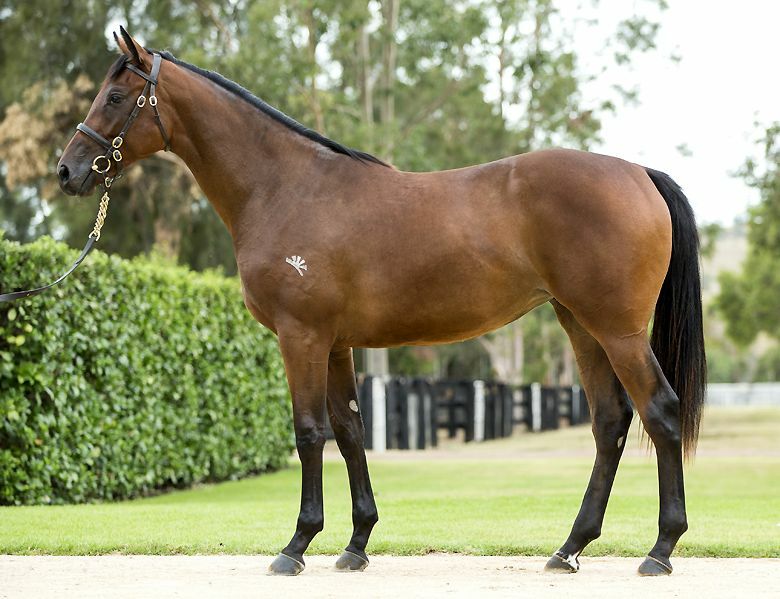 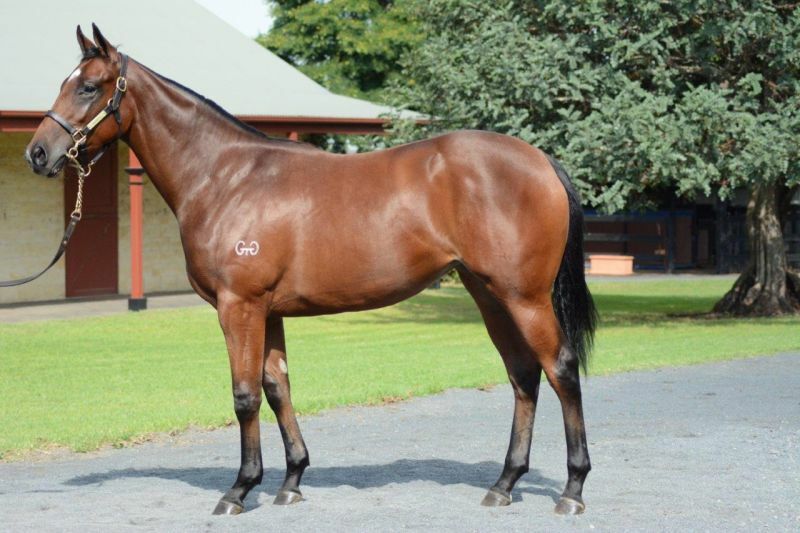 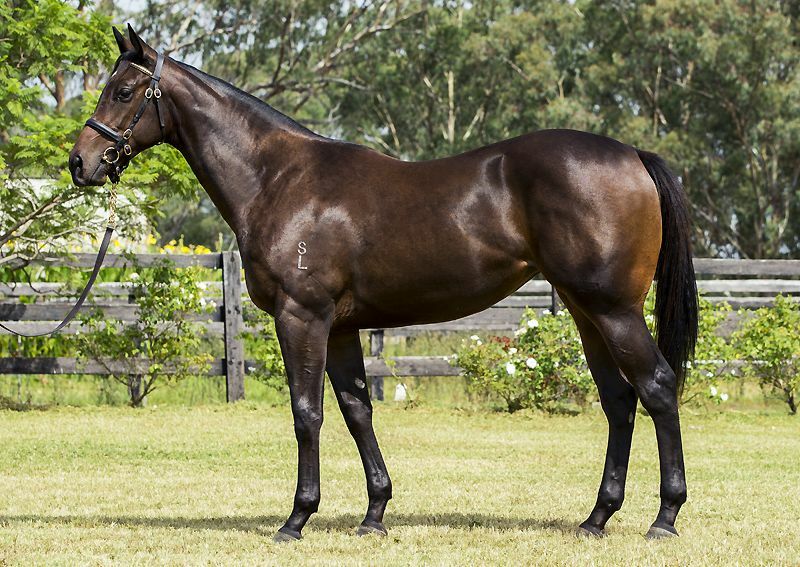 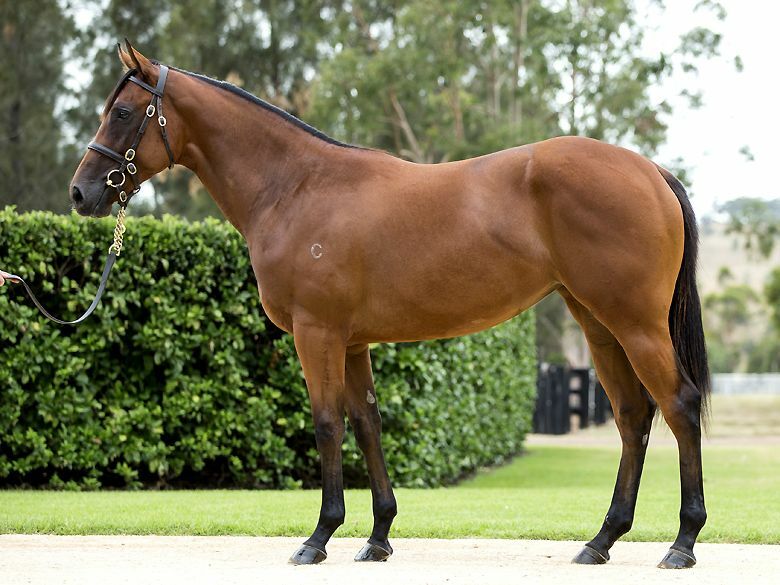 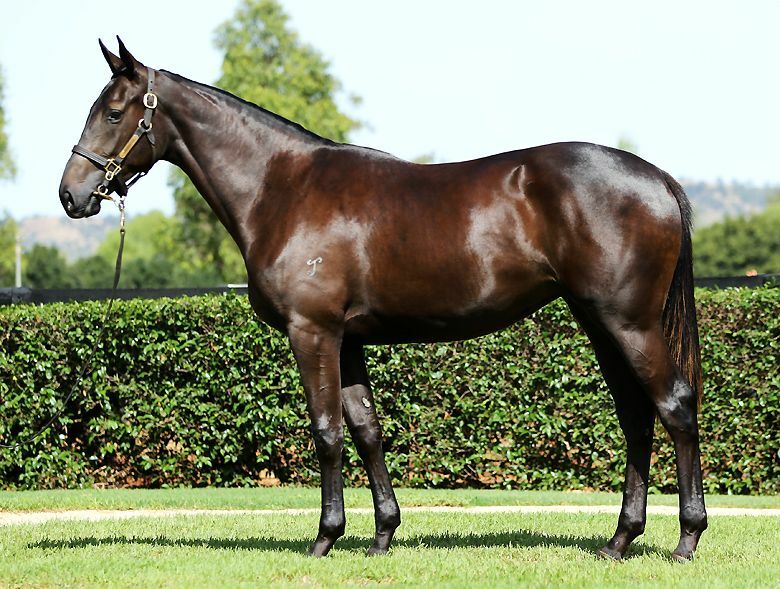 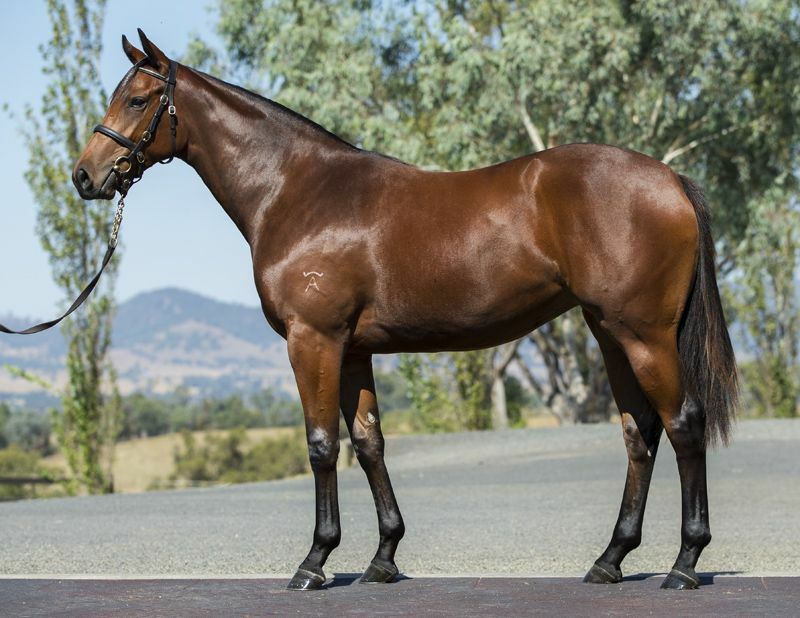 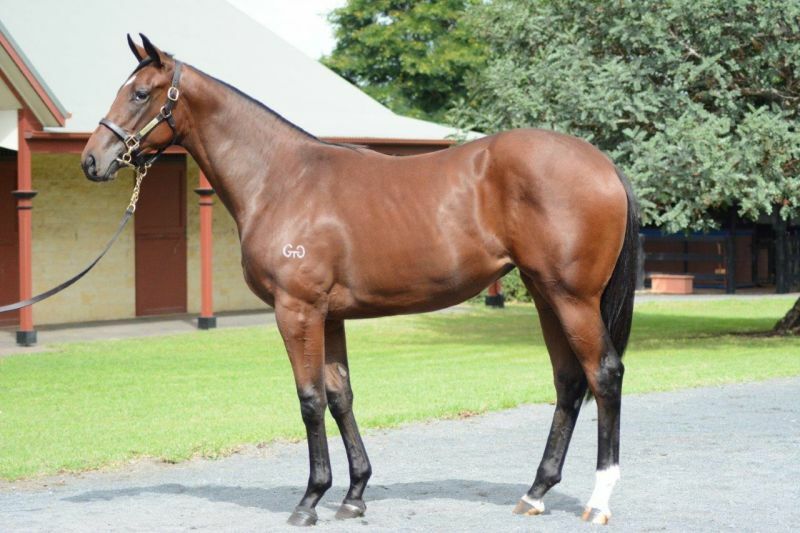 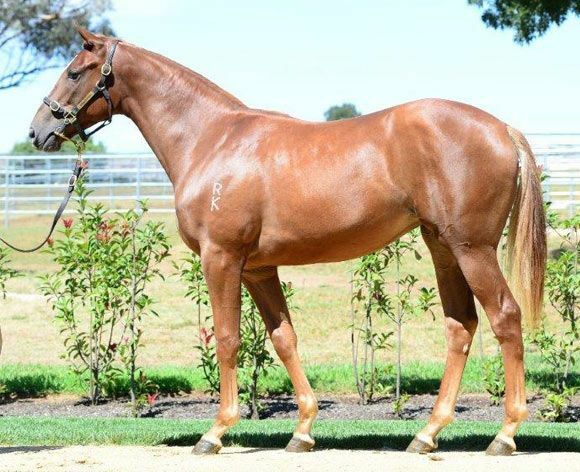 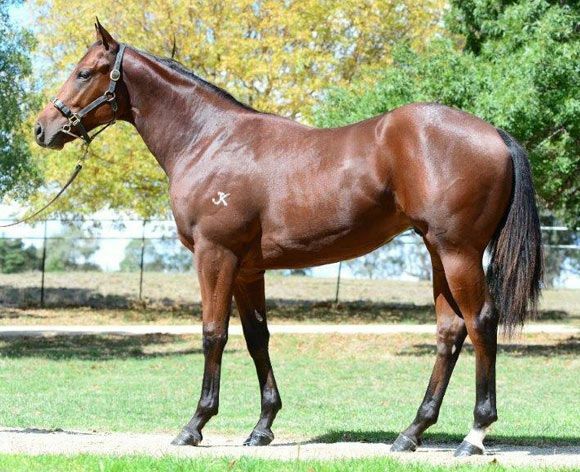 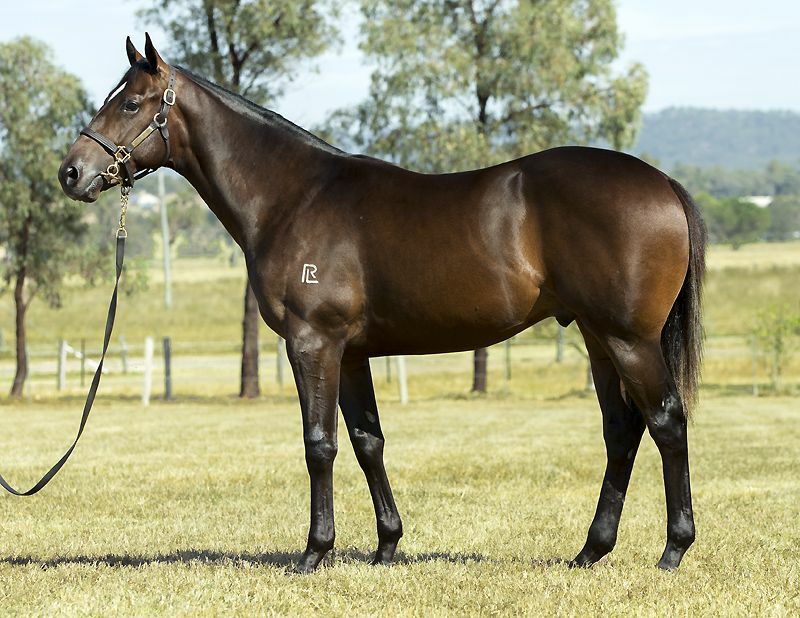 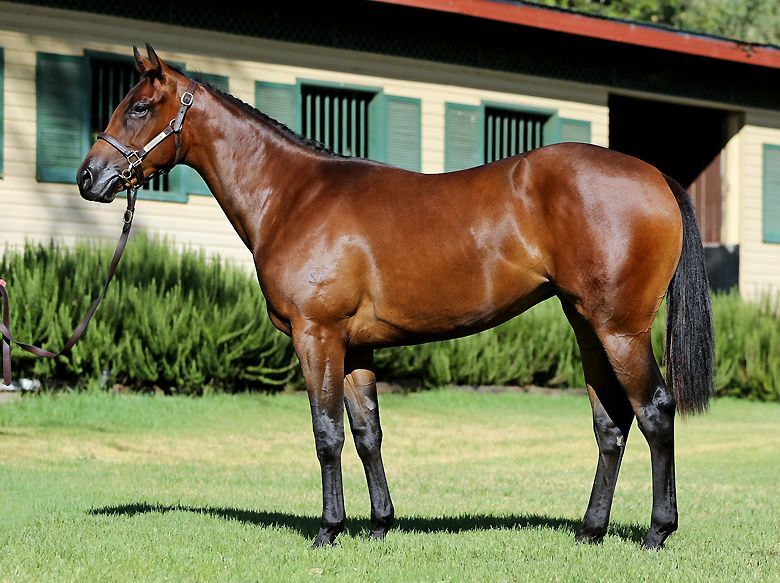 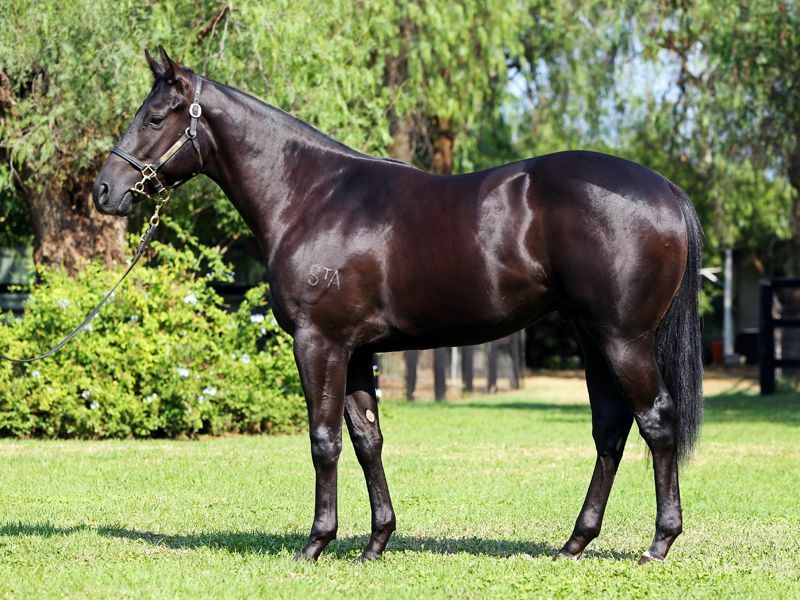 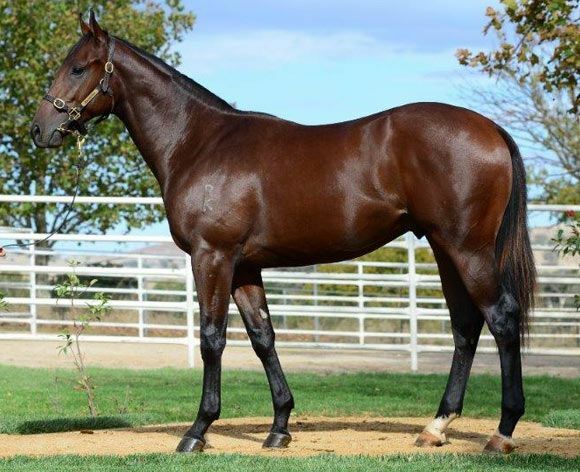 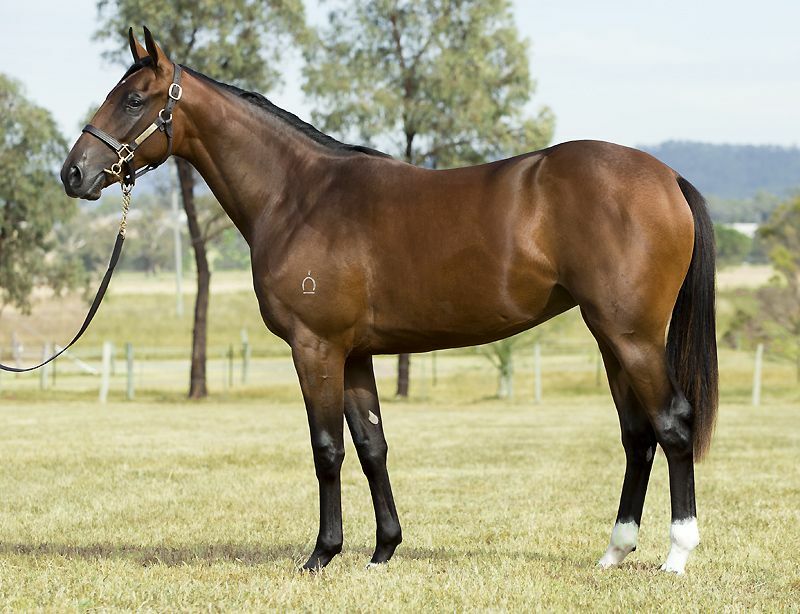 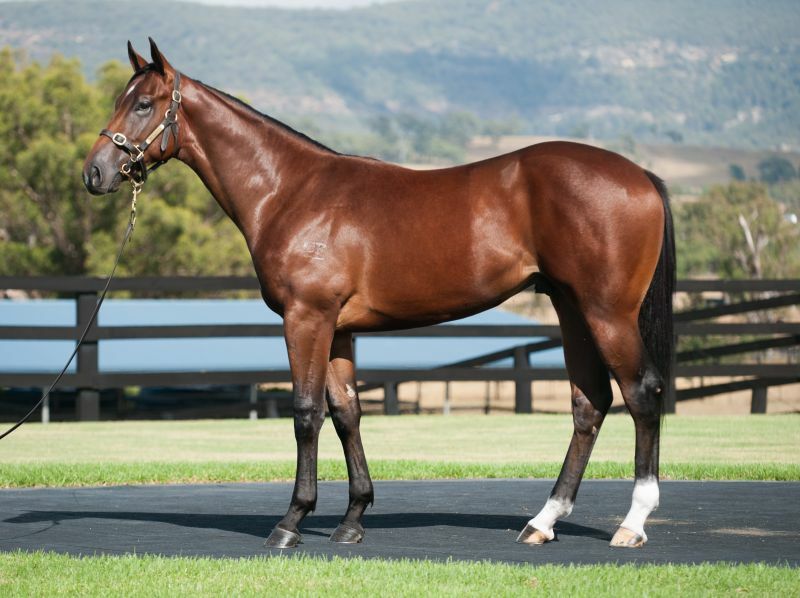 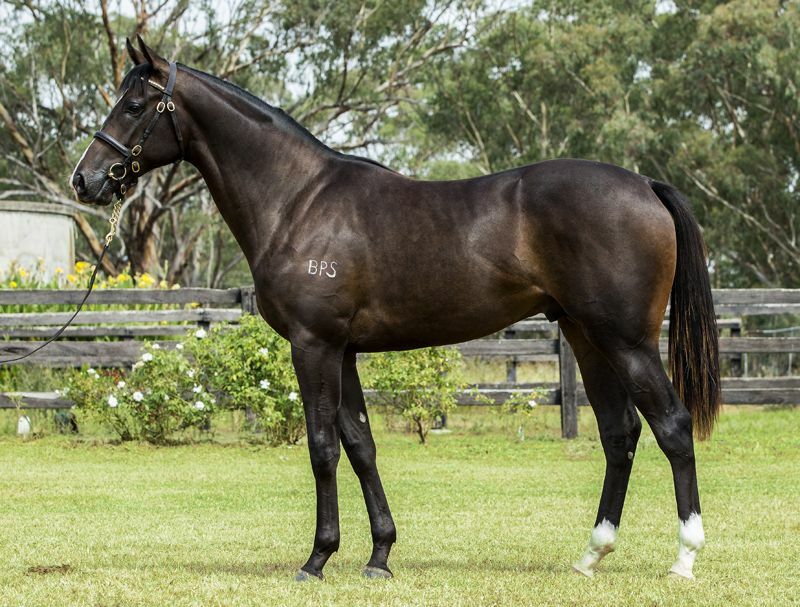 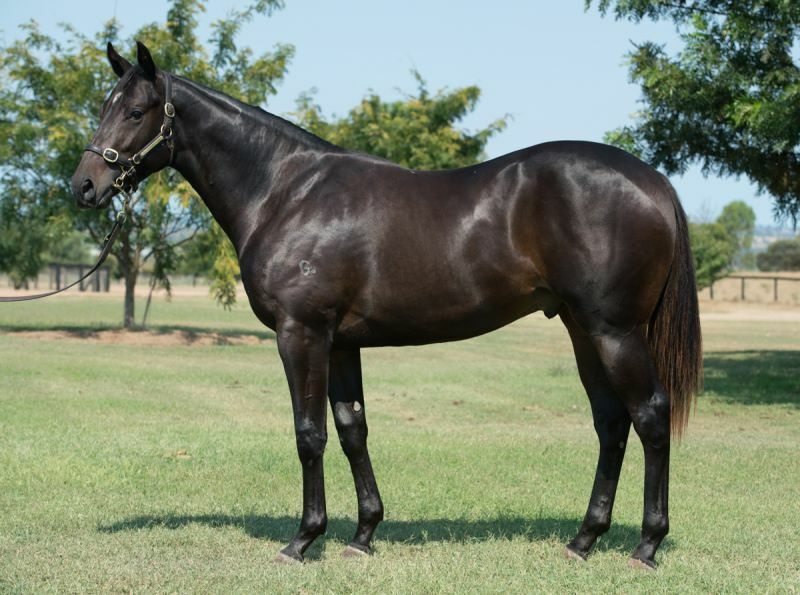 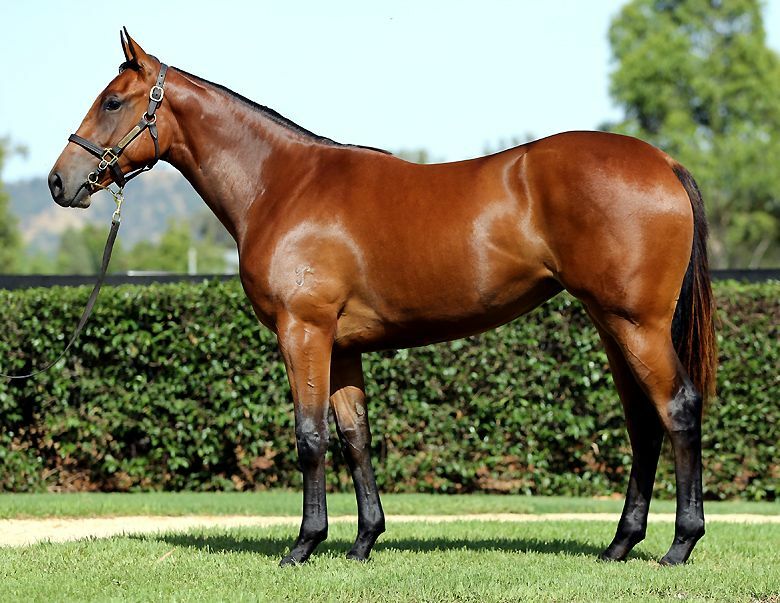 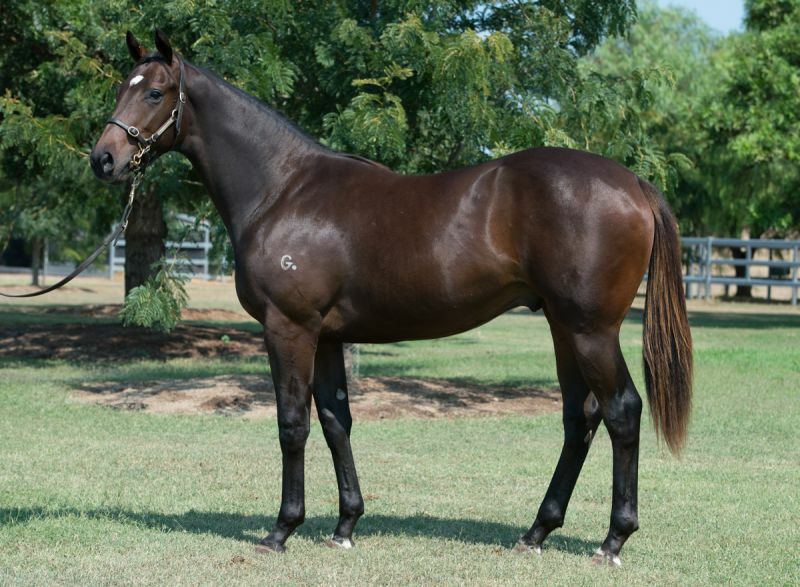 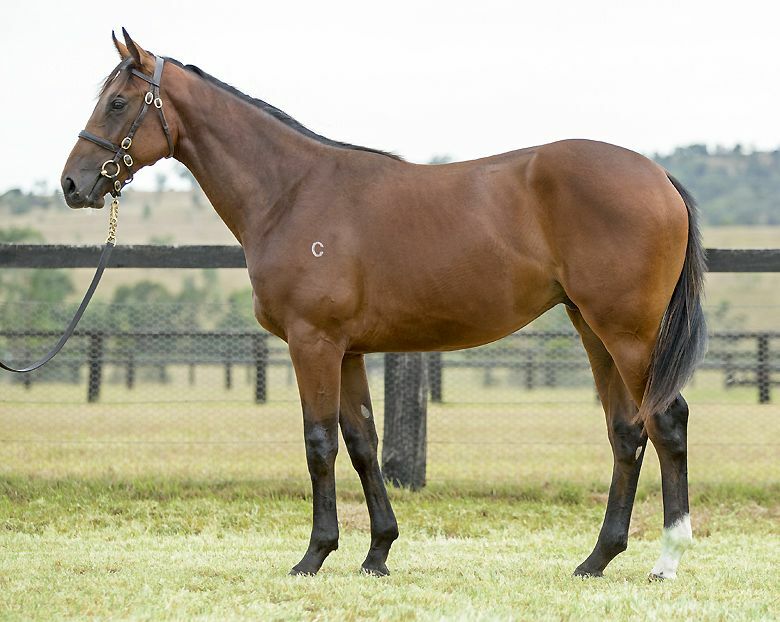 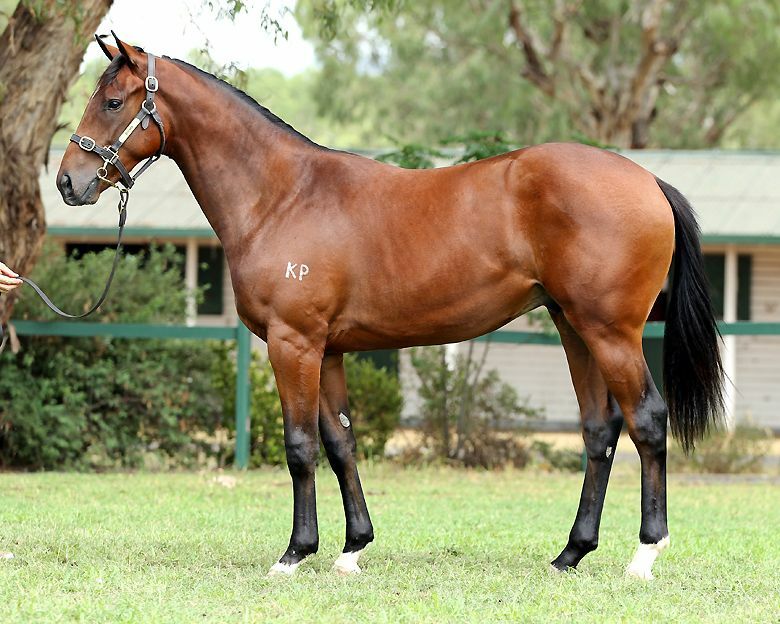 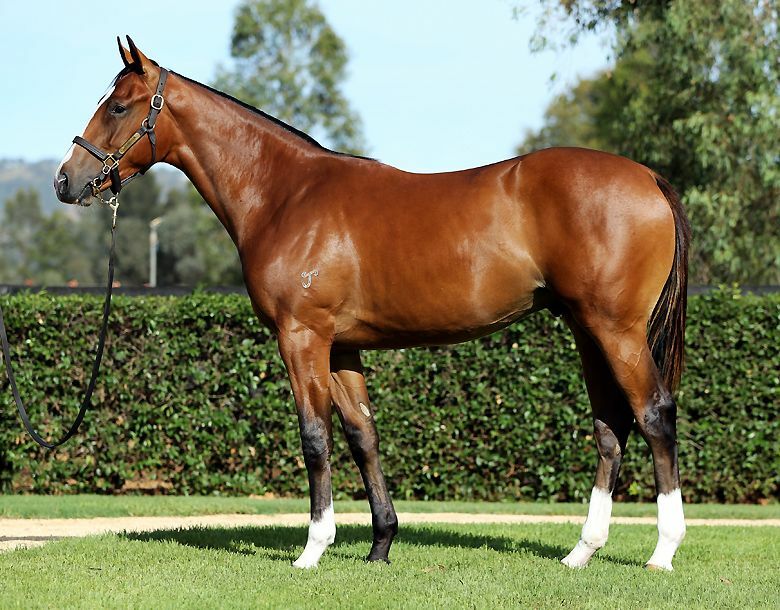 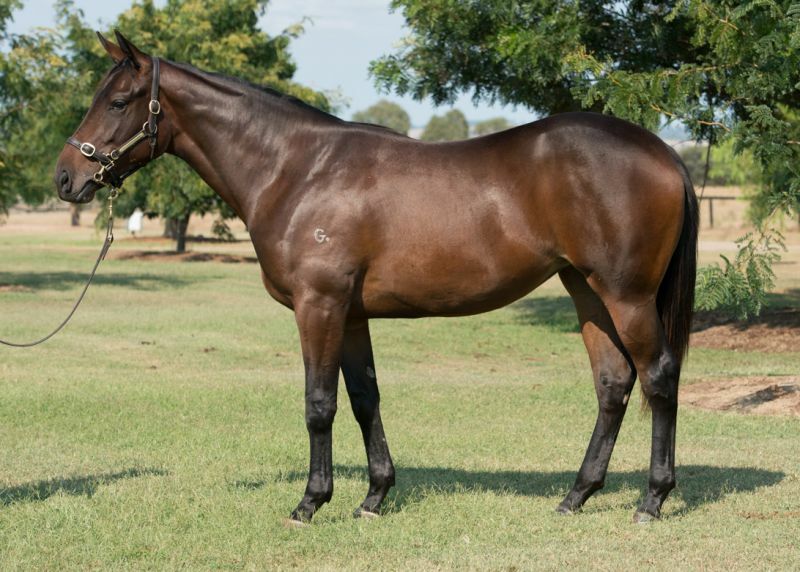 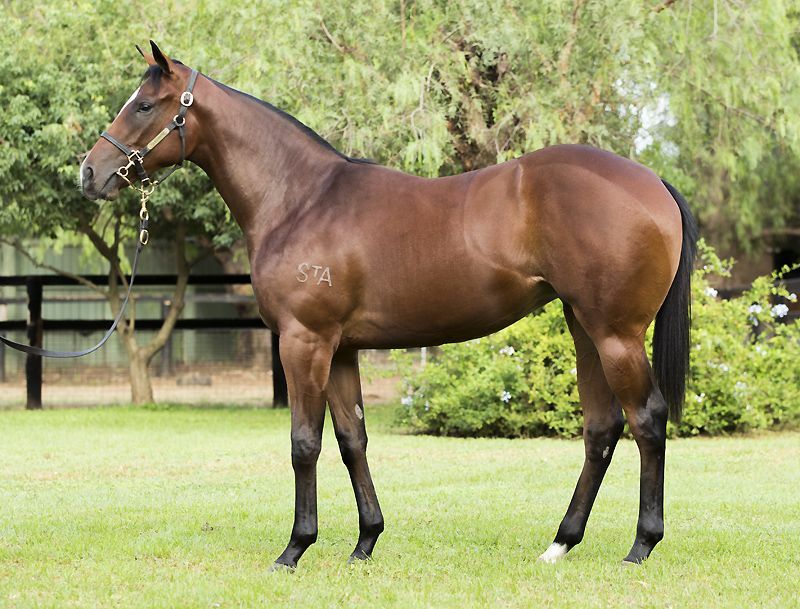 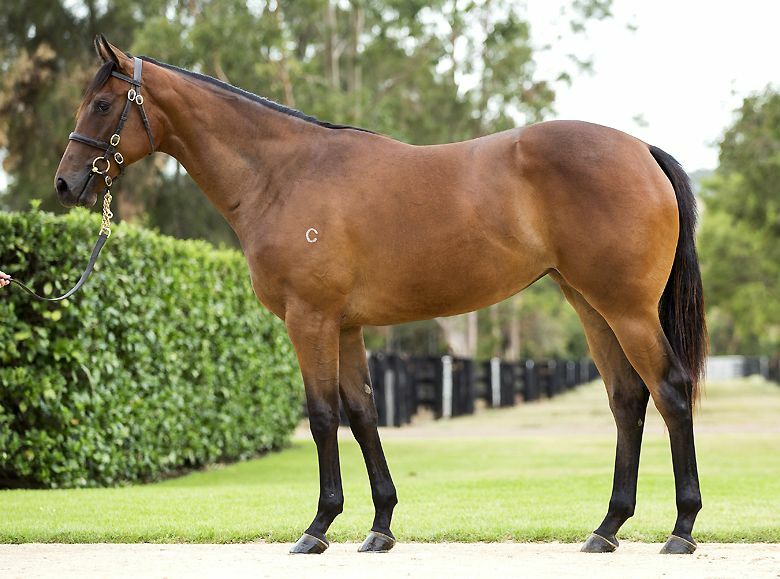 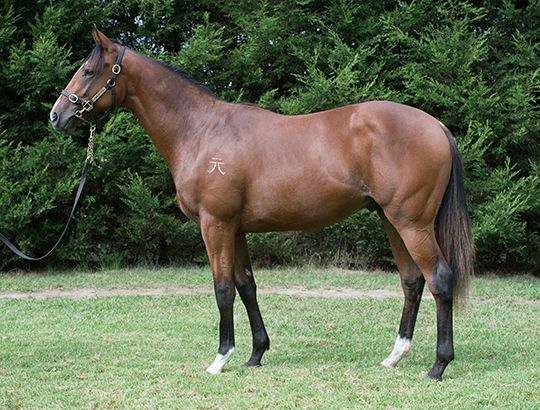 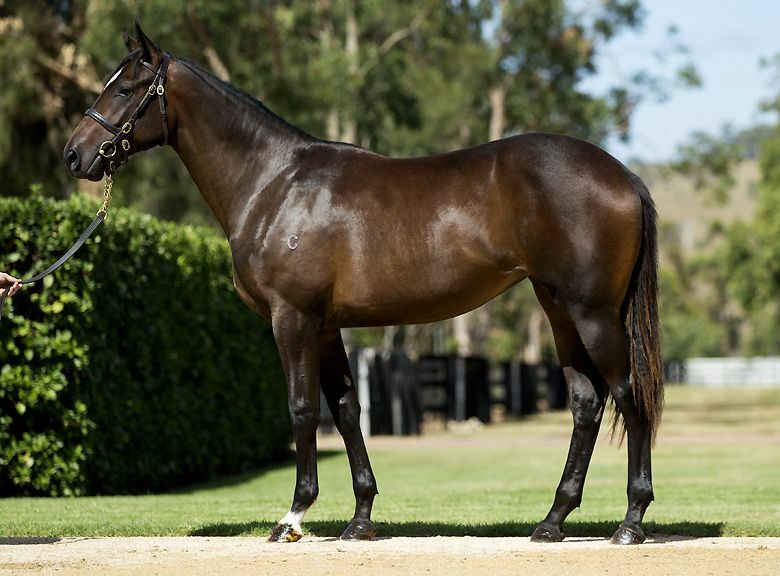 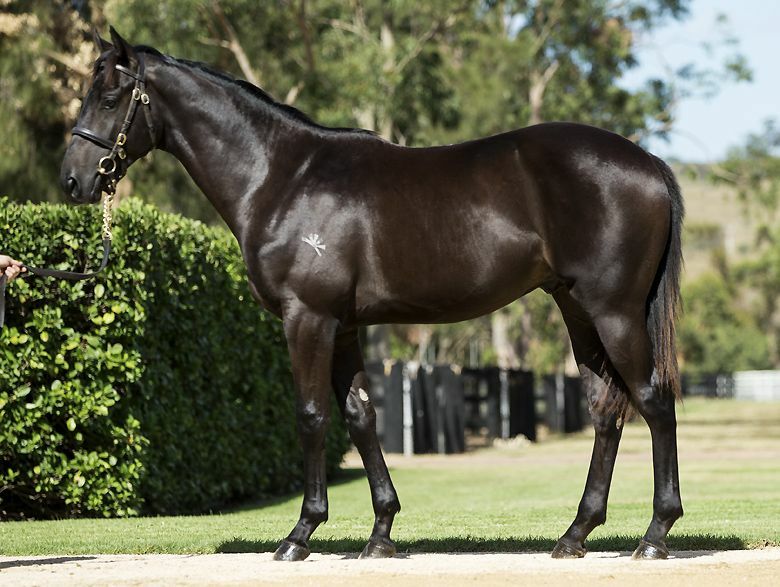 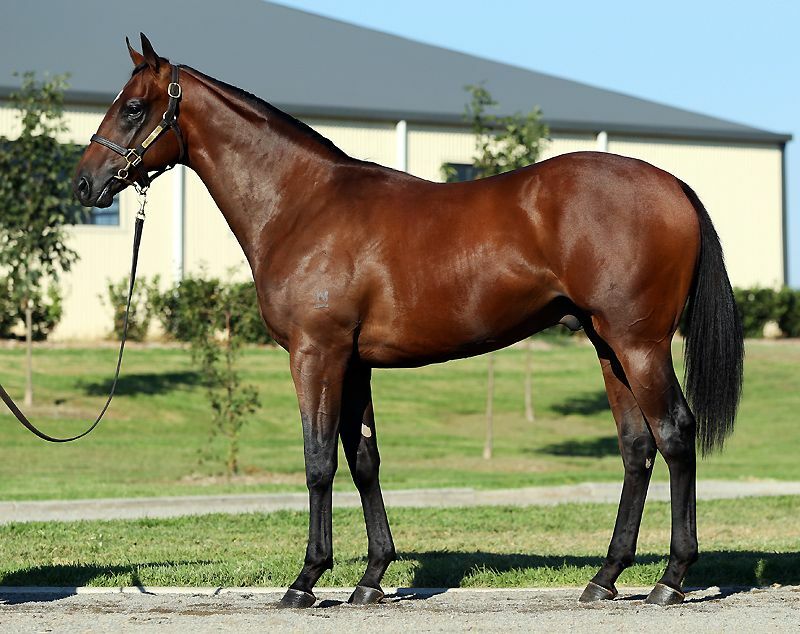 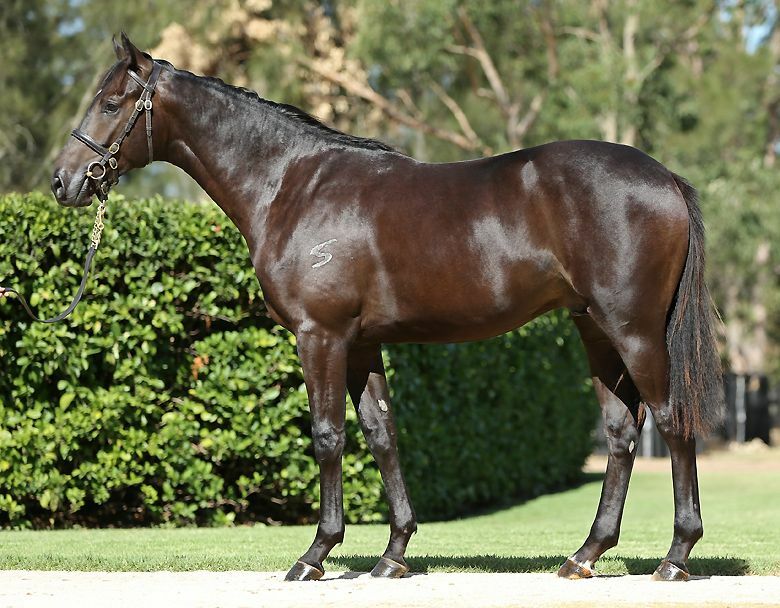 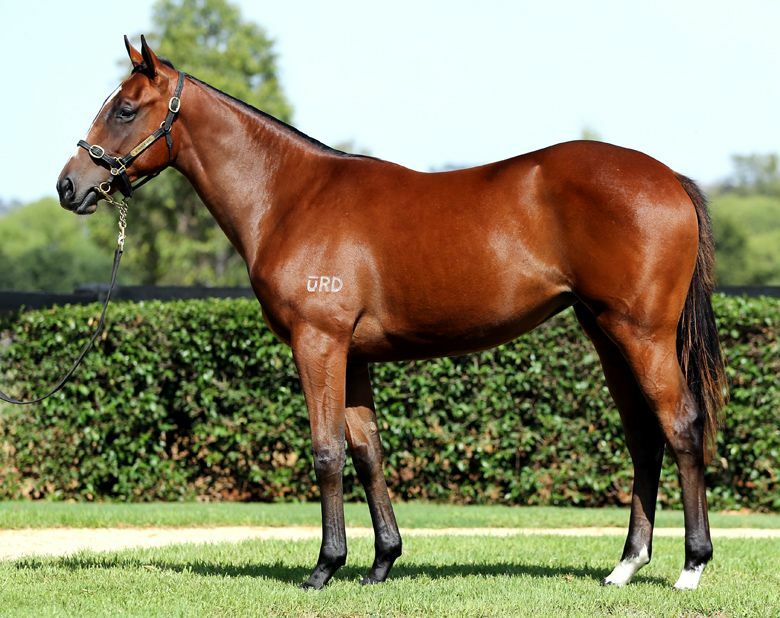 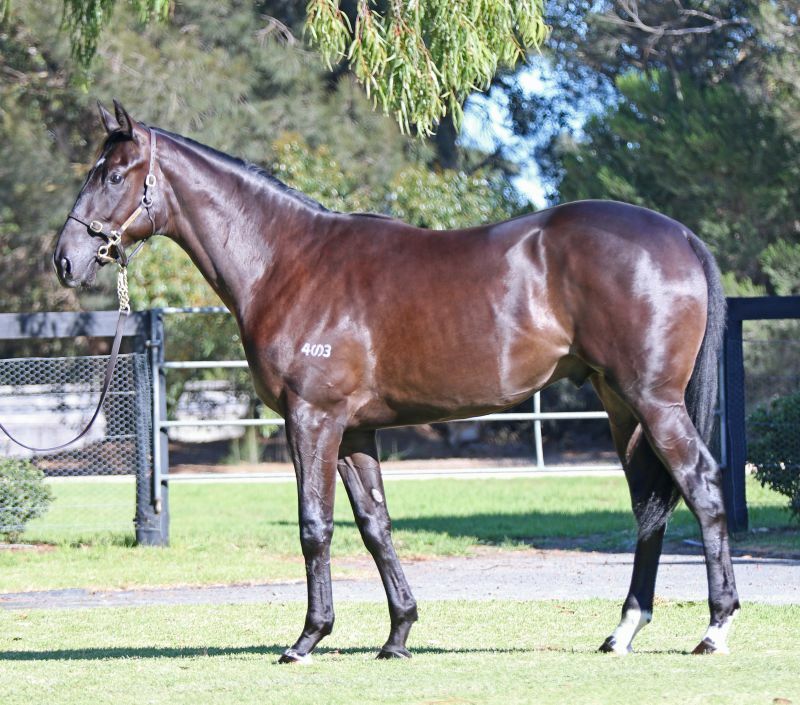 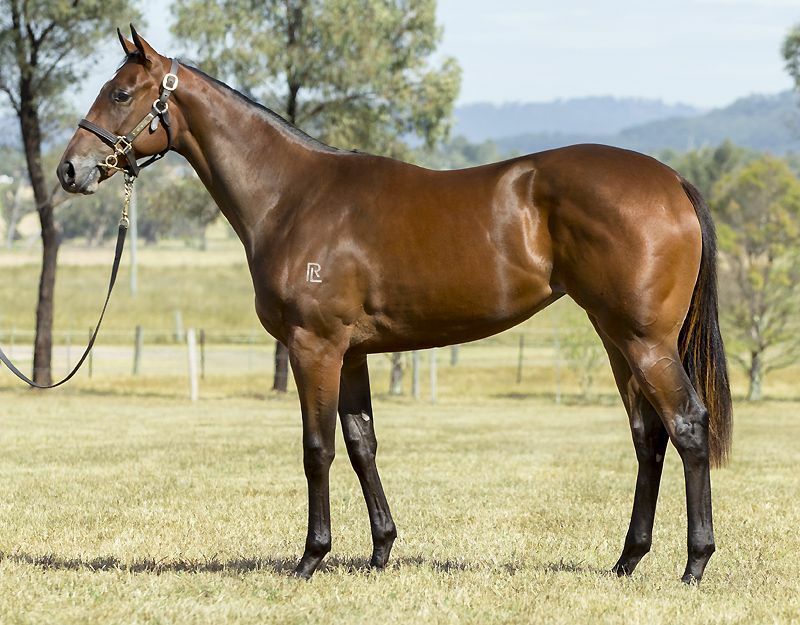 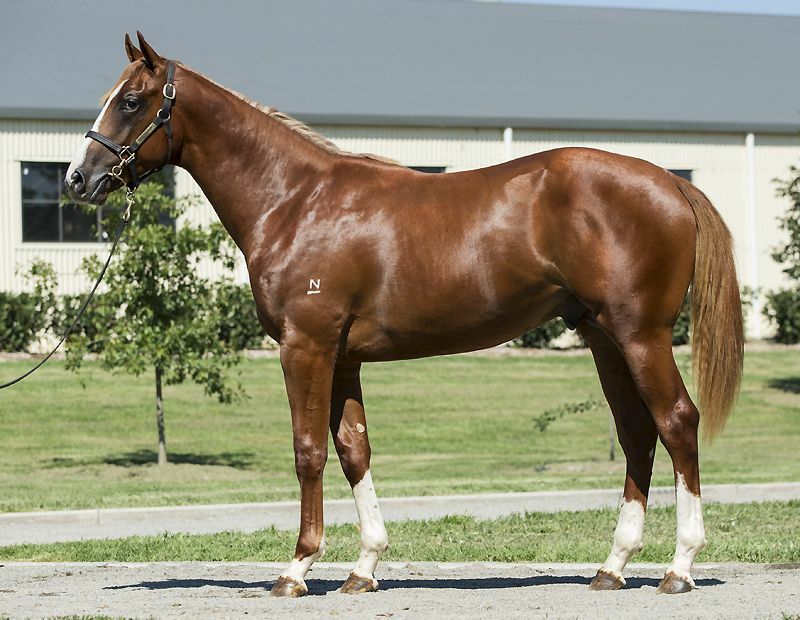 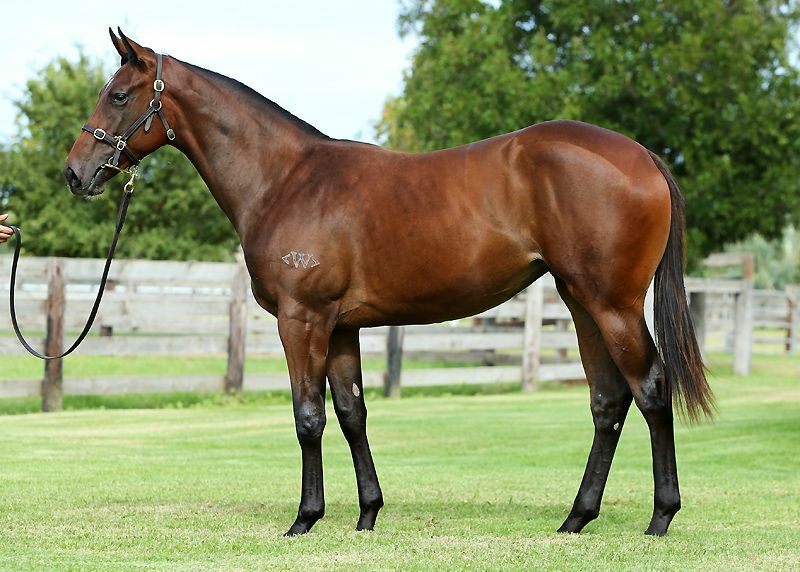 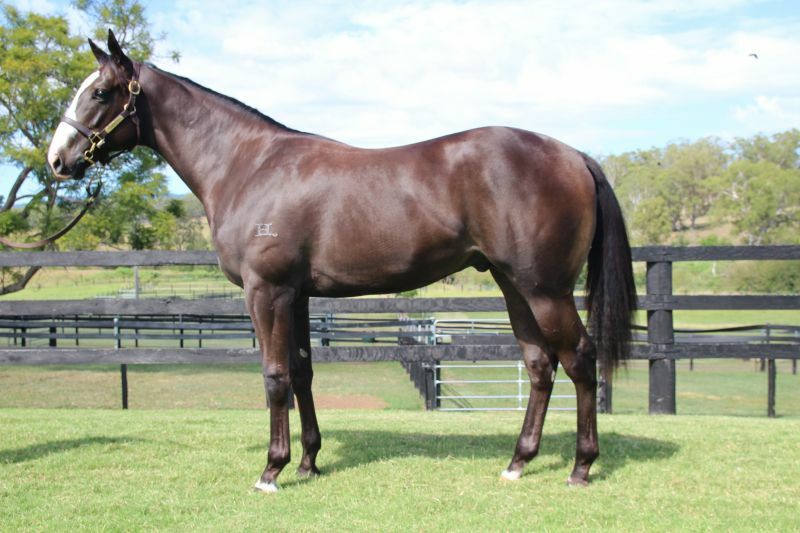 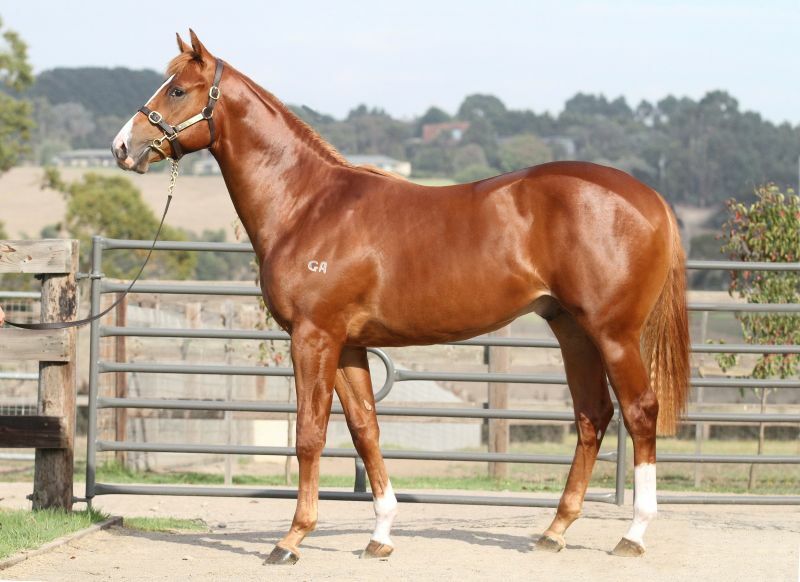 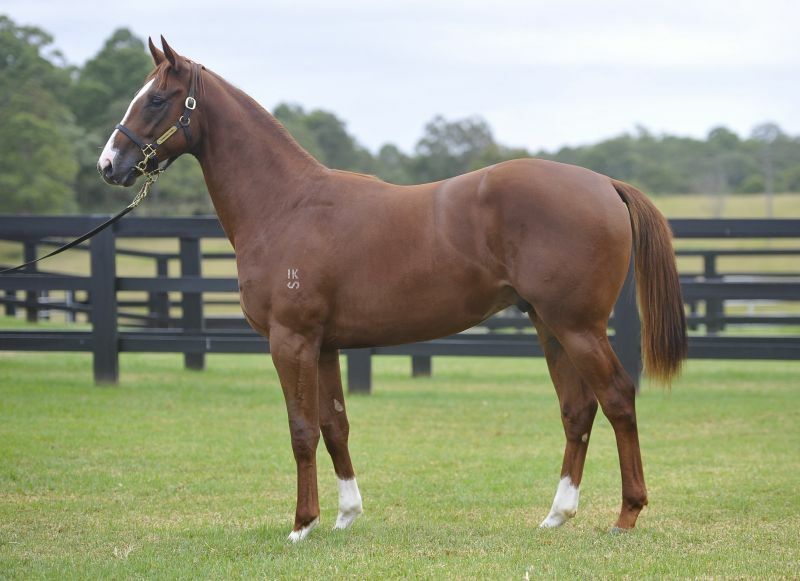 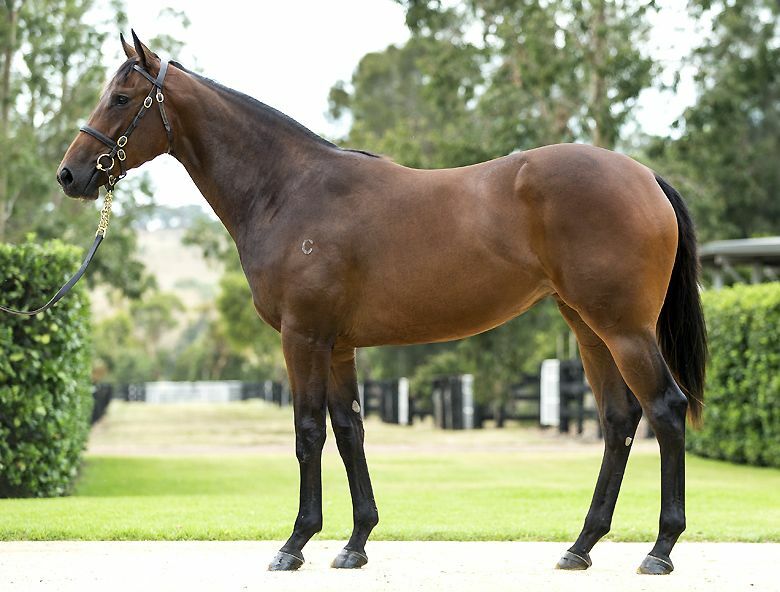 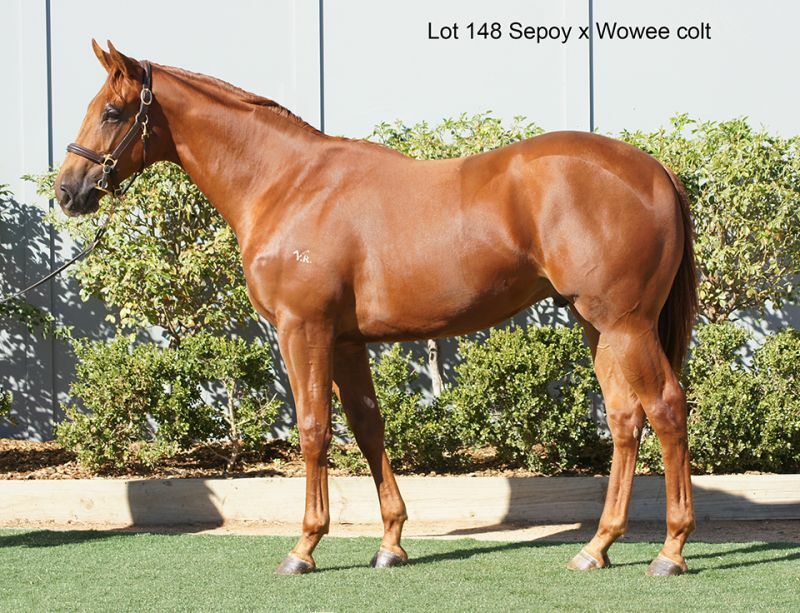 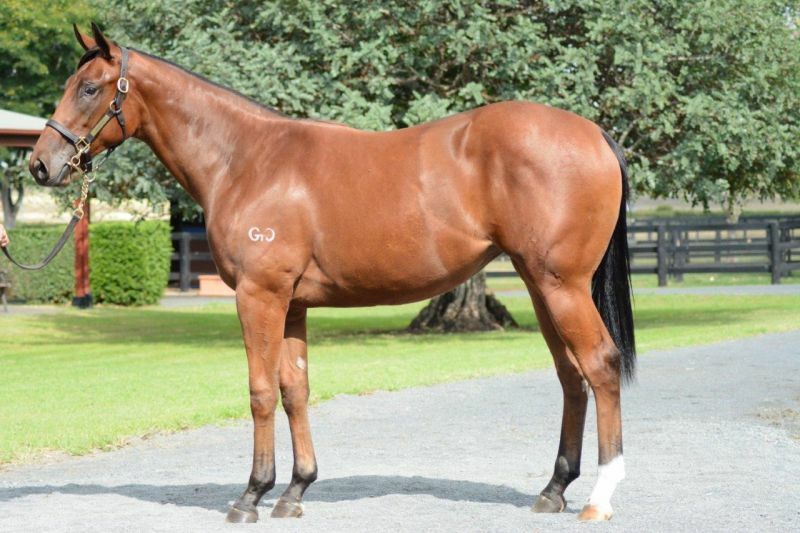 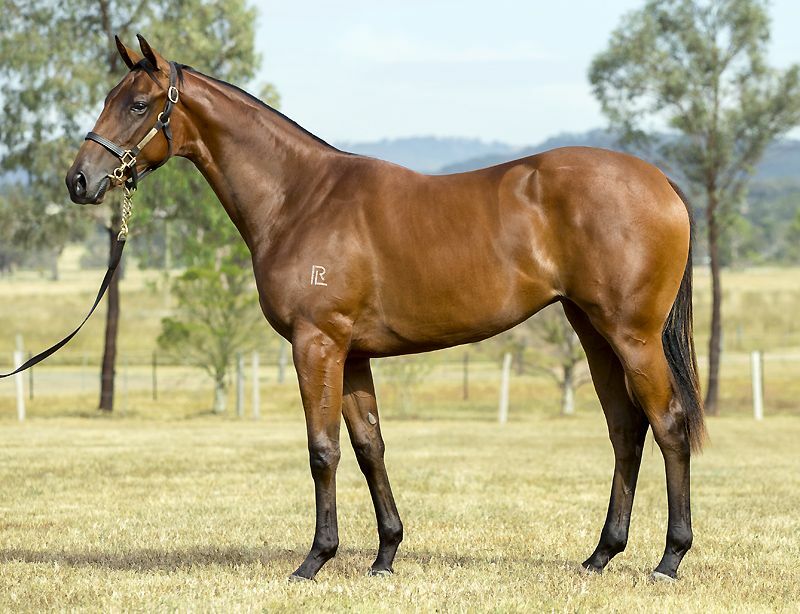 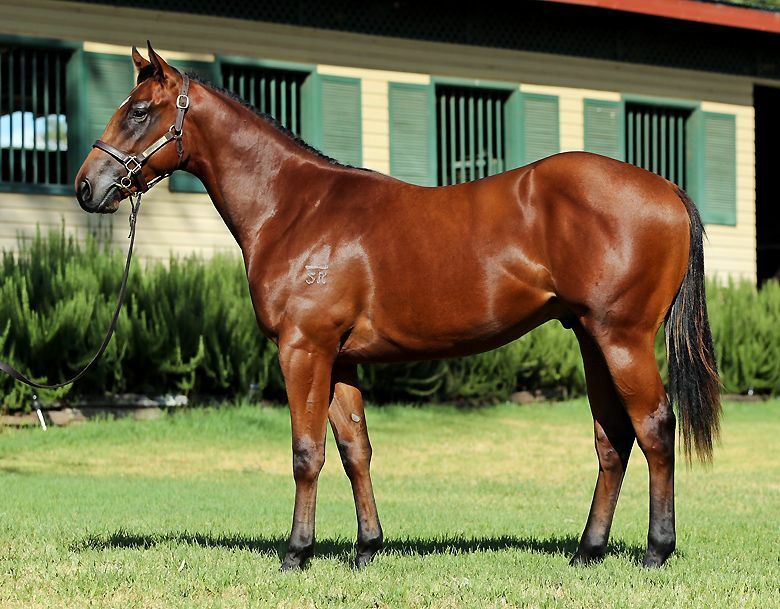 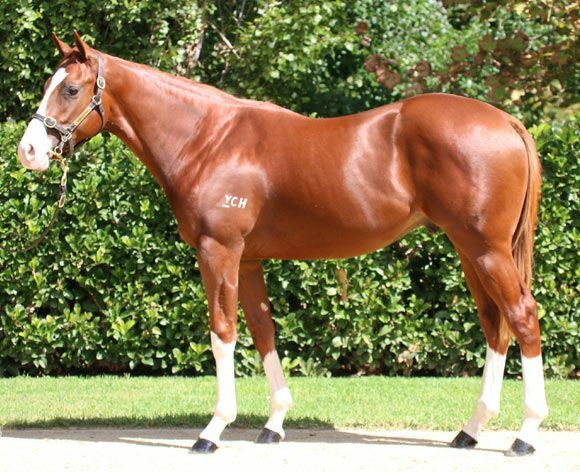 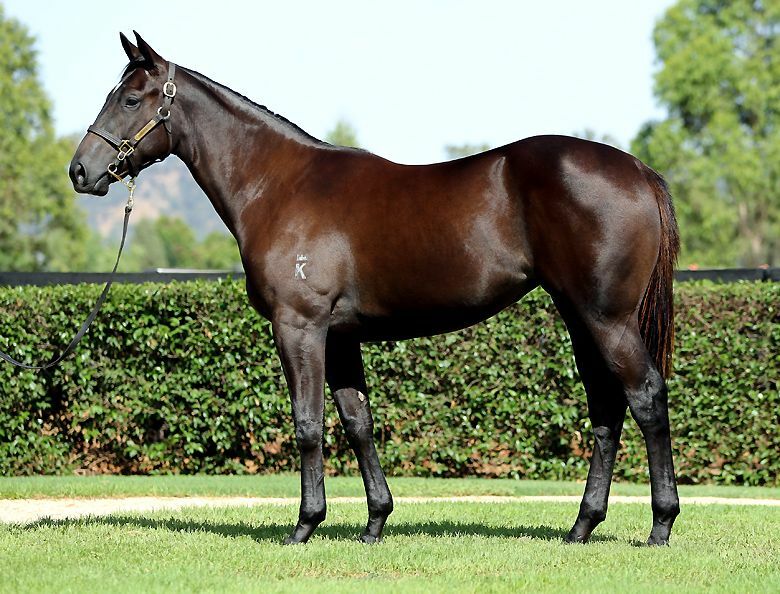 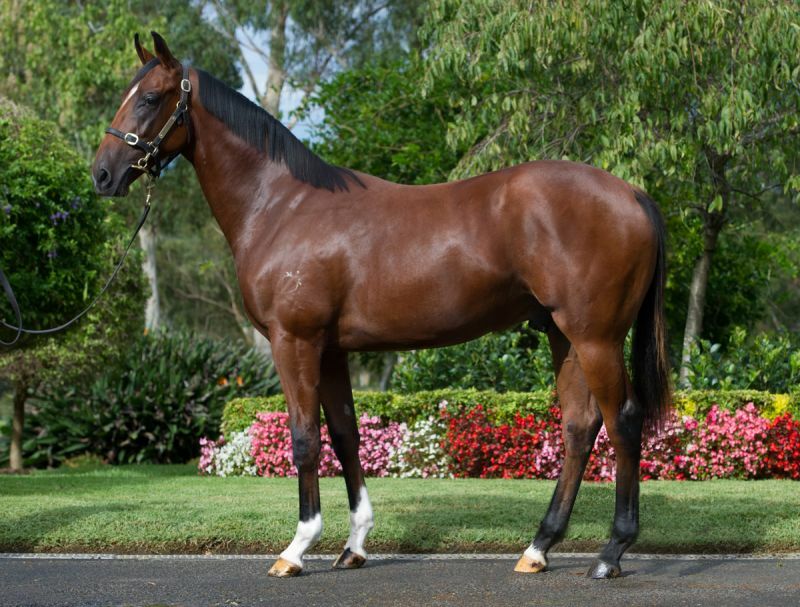 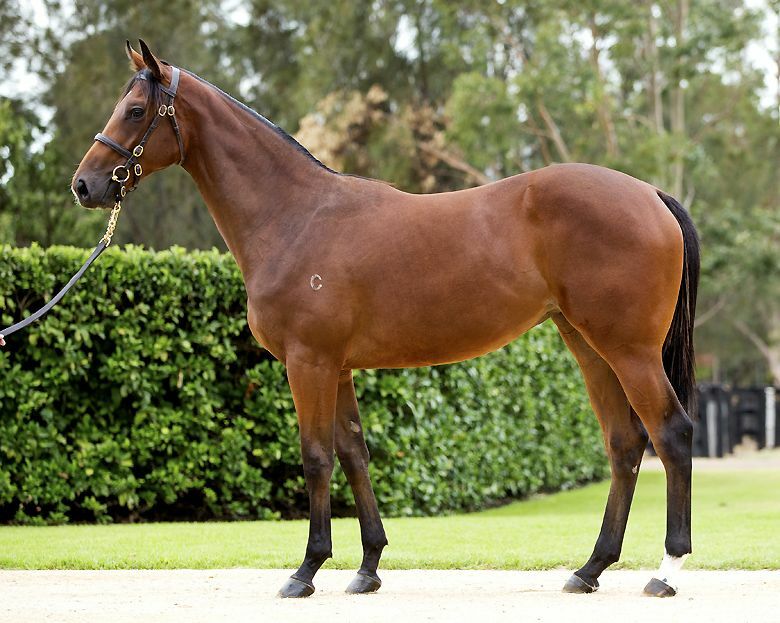 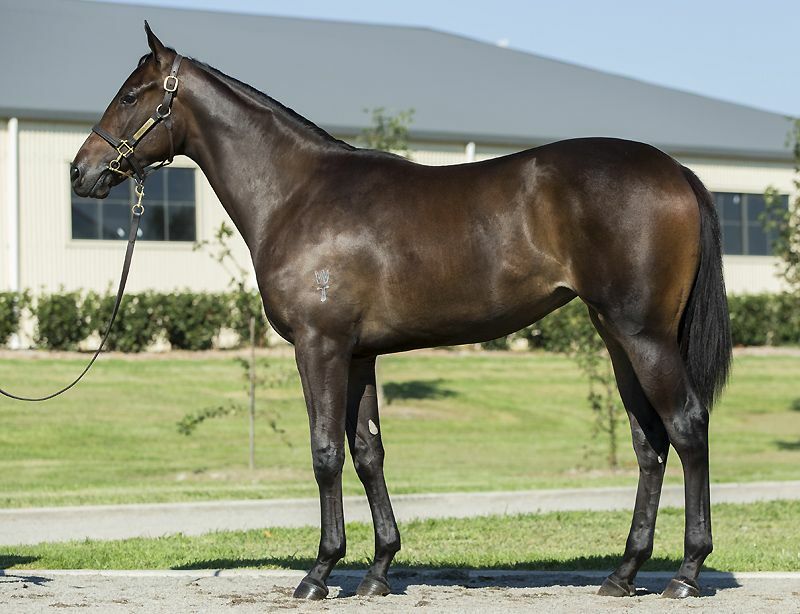 They were headed by Lot 423, a colt from More Strawberries which was sold by Strawberry Hill Stud for $1,600,000 to leading Sydney trainer Chris Waller. 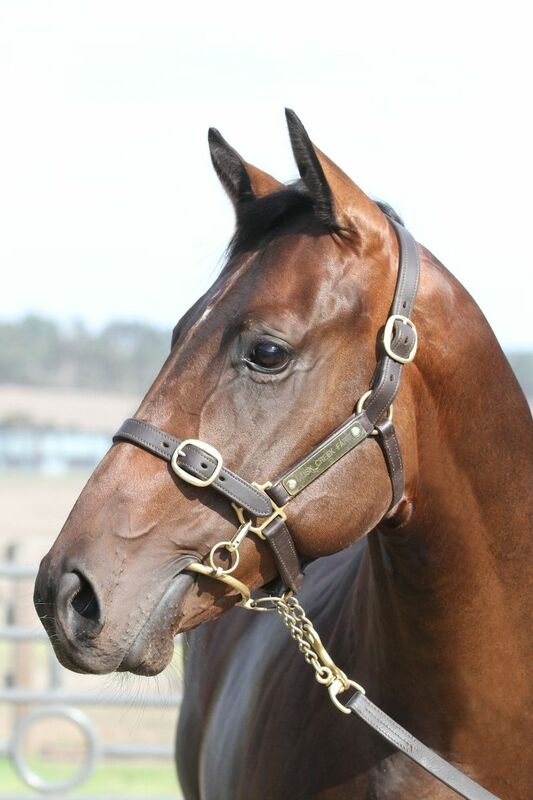 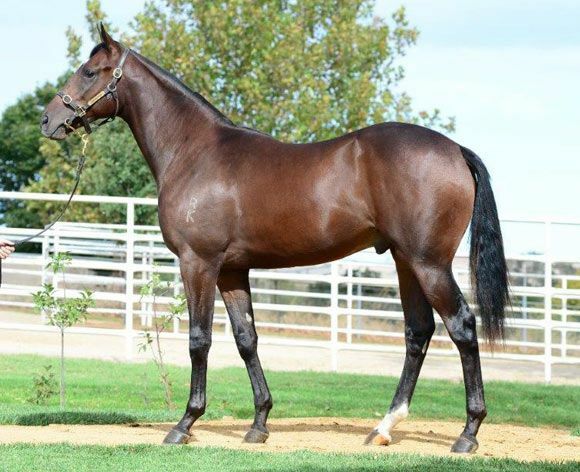 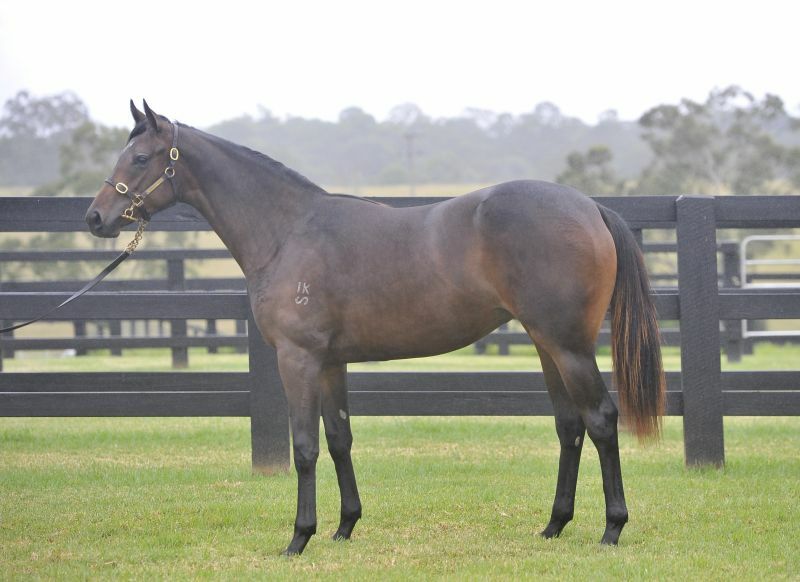 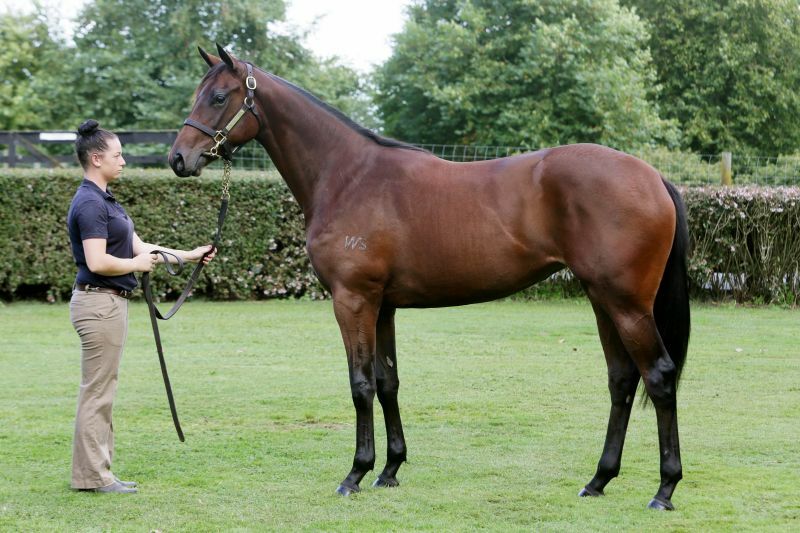 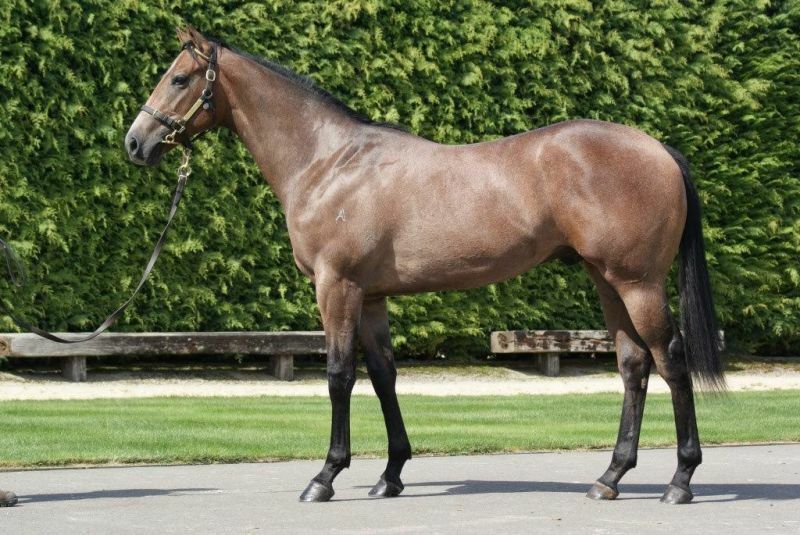 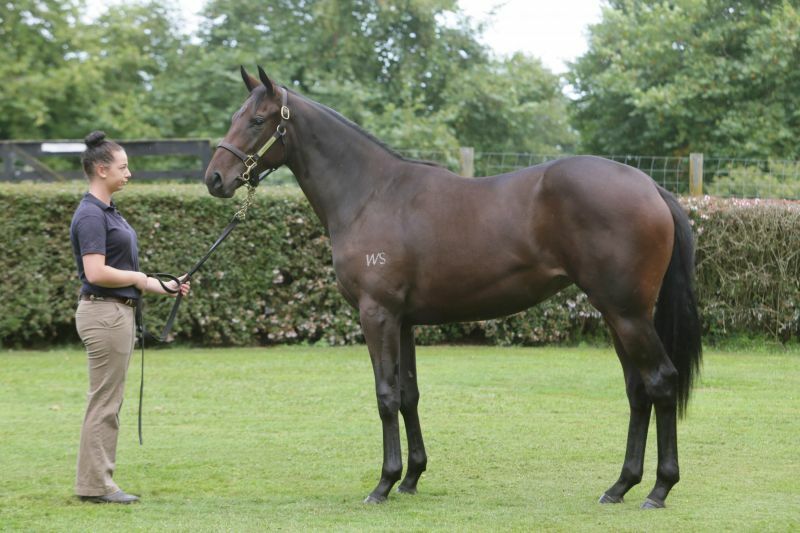 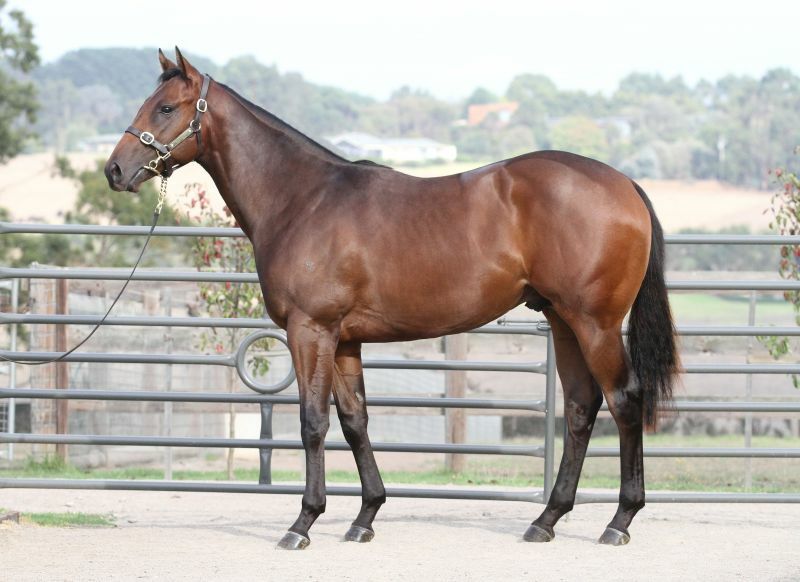 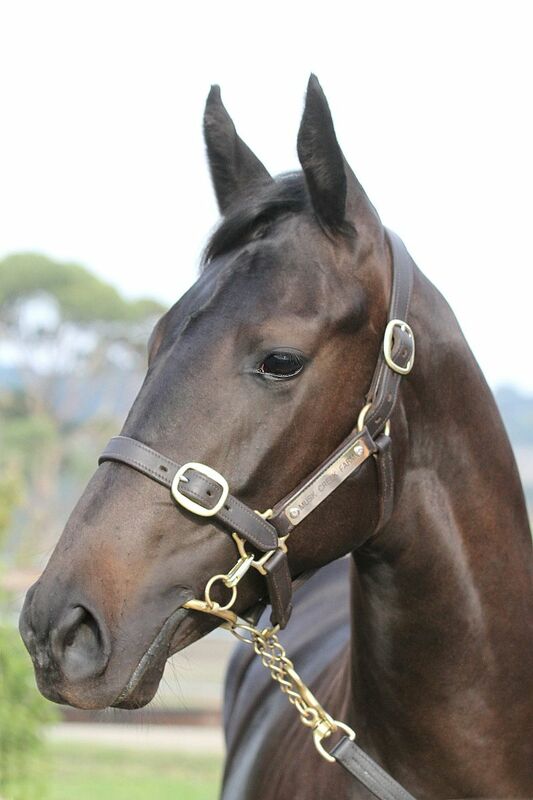 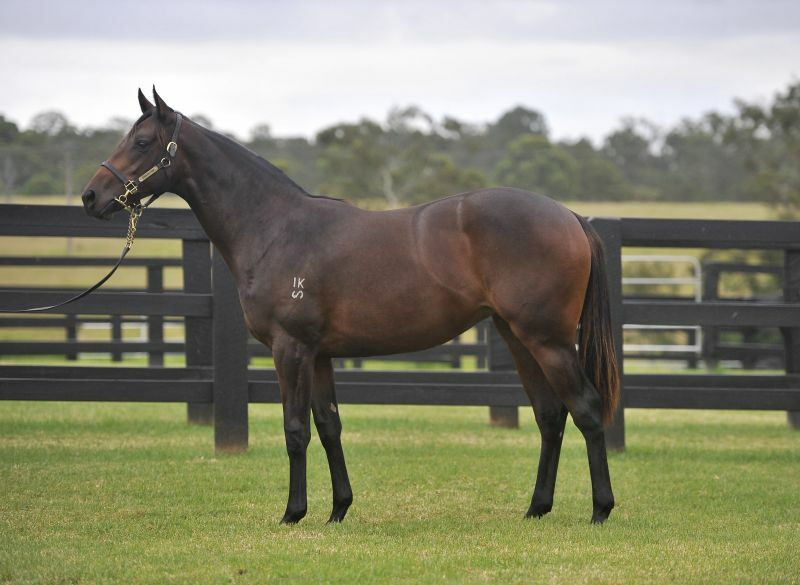 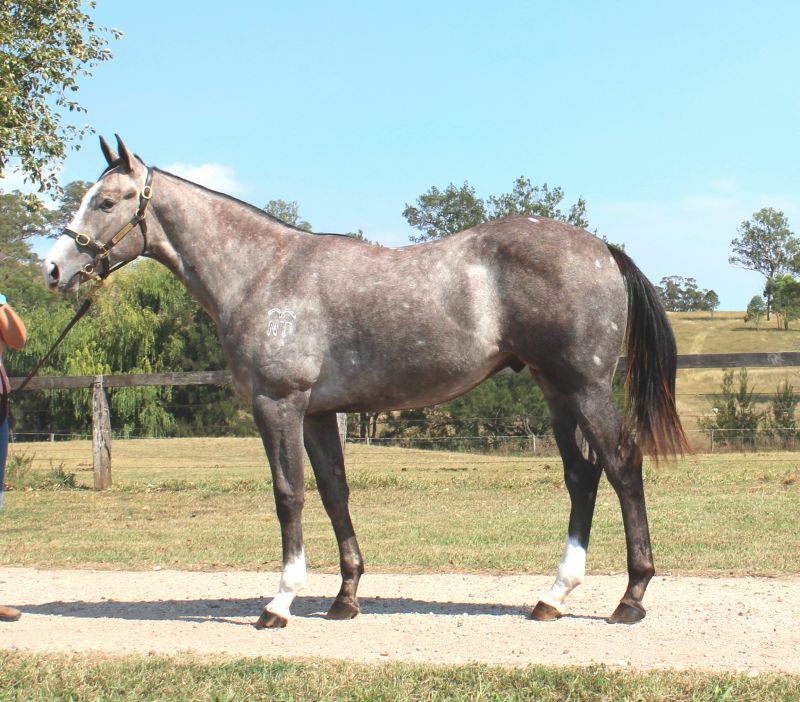 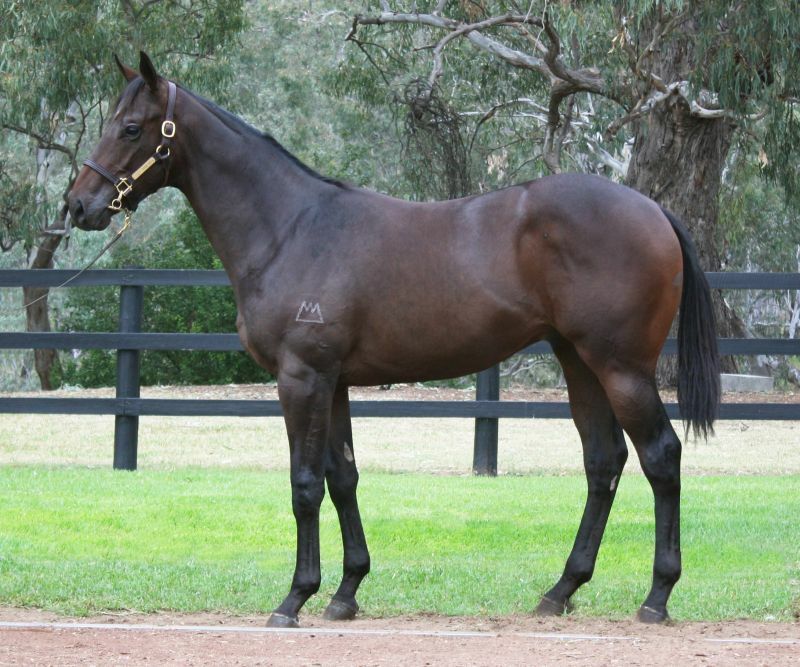 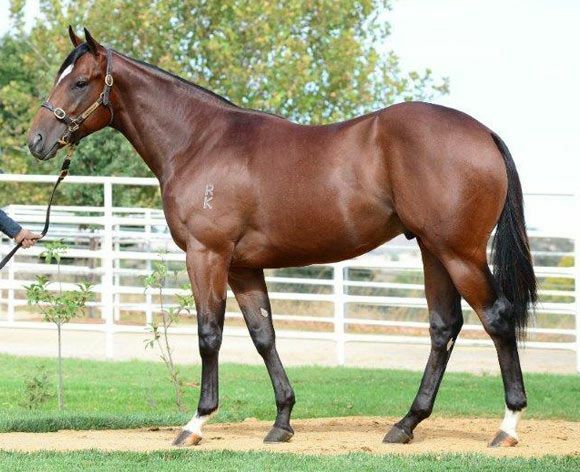 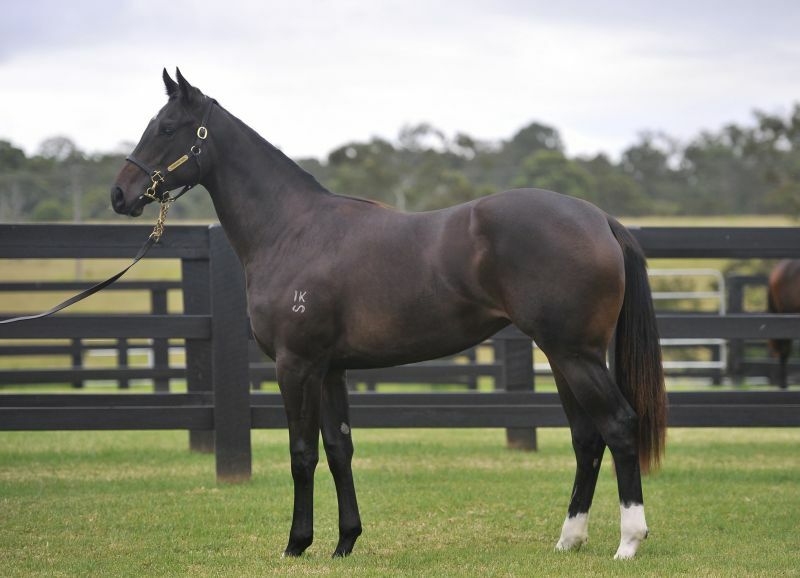 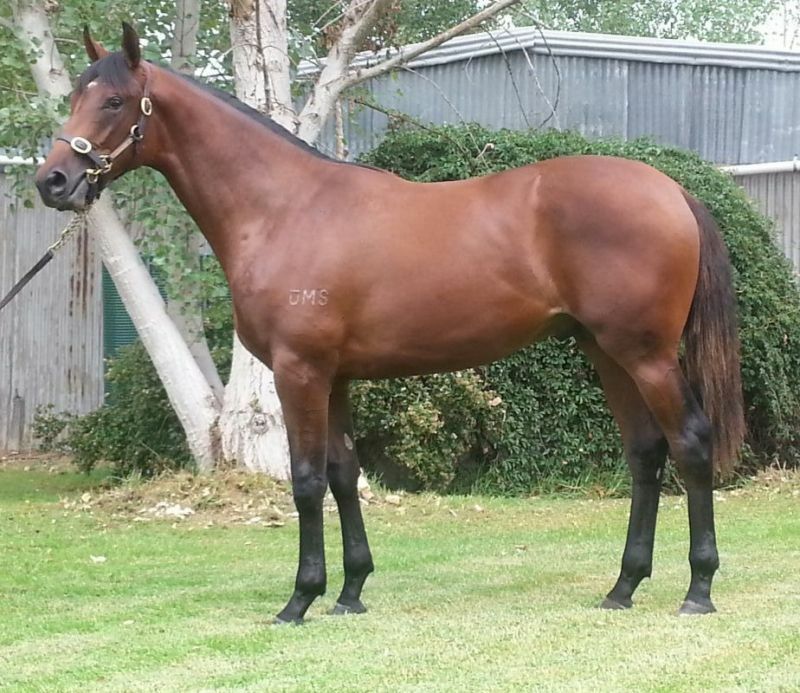 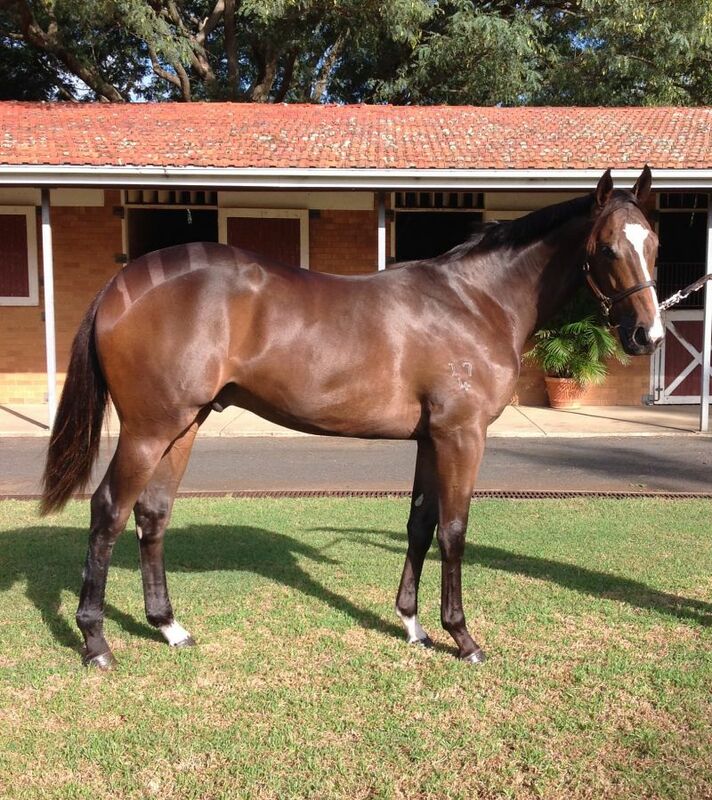 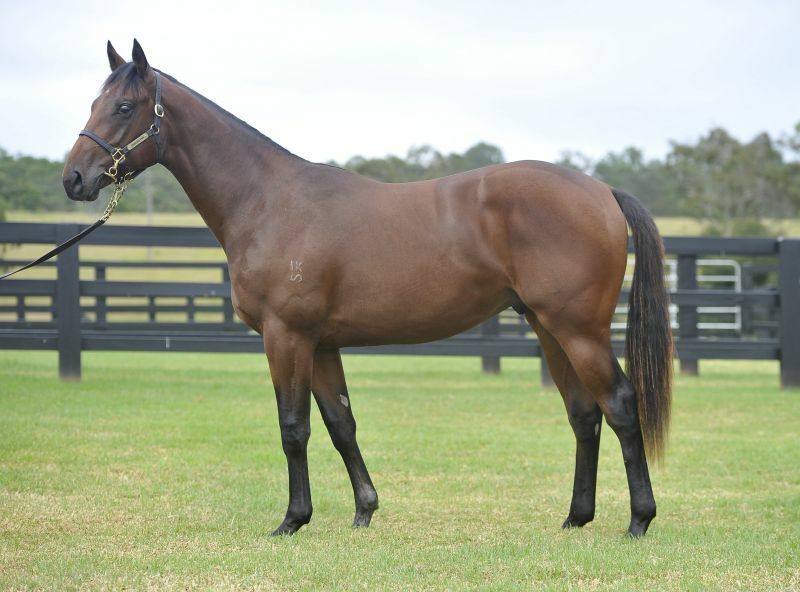 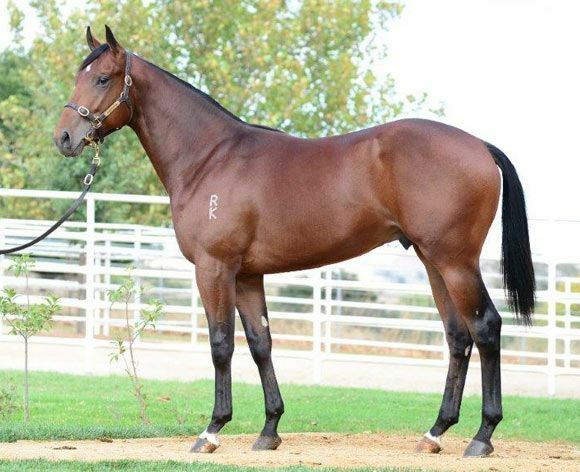 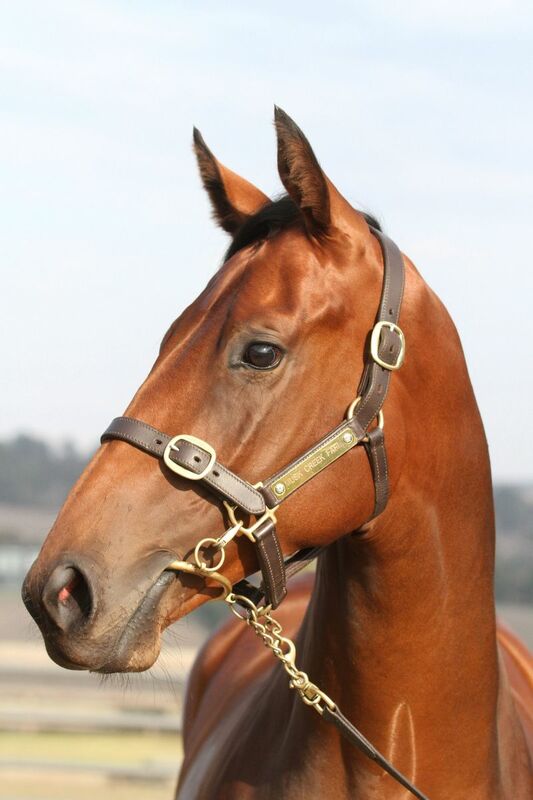 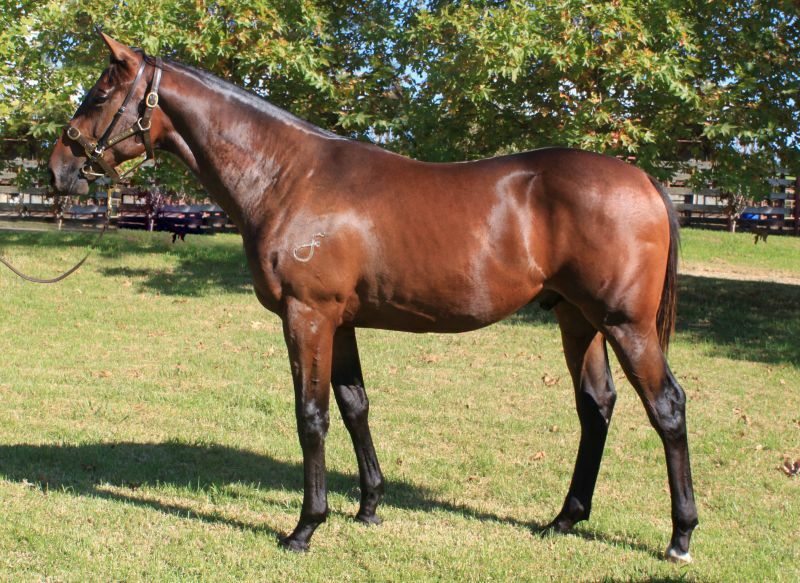 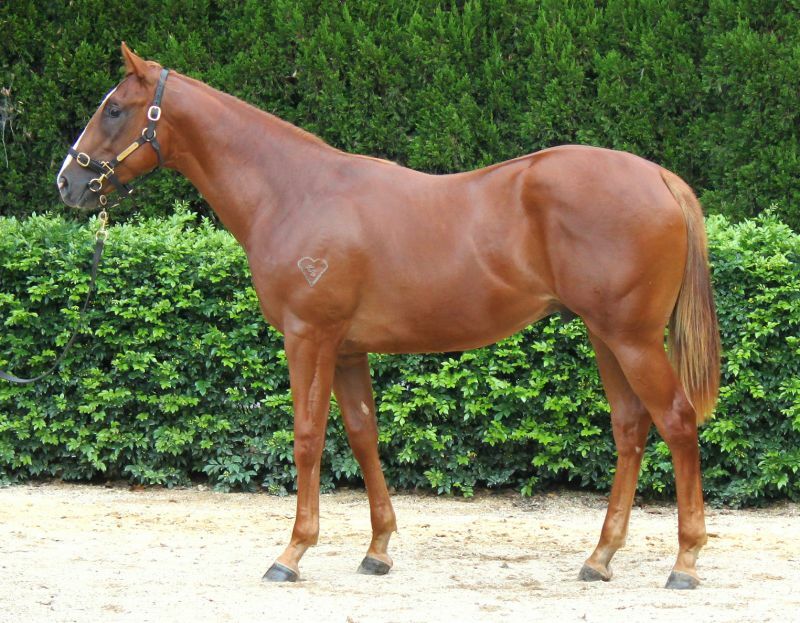 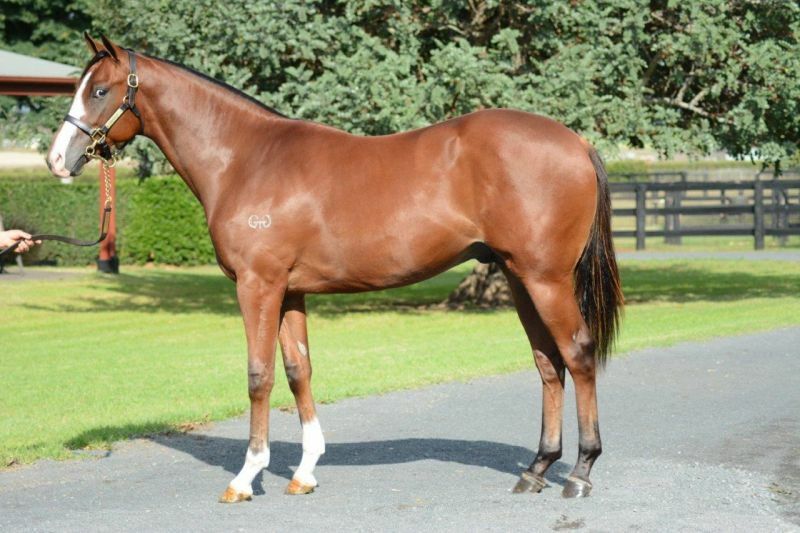 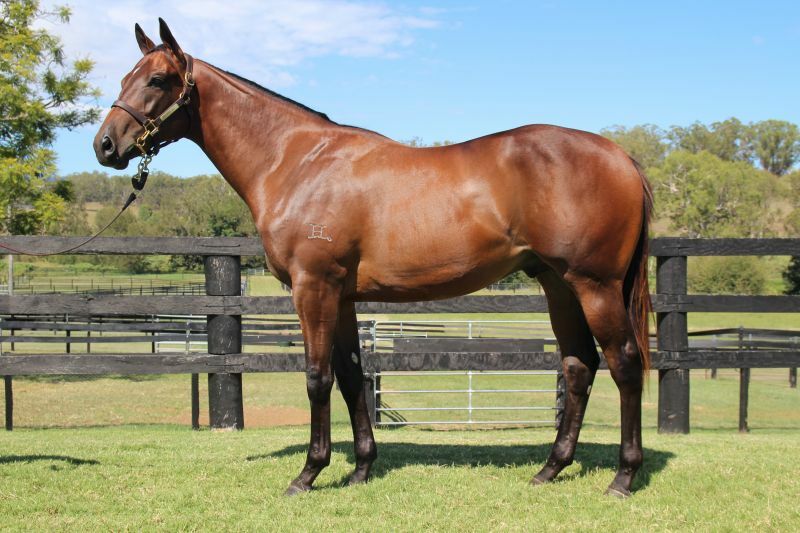 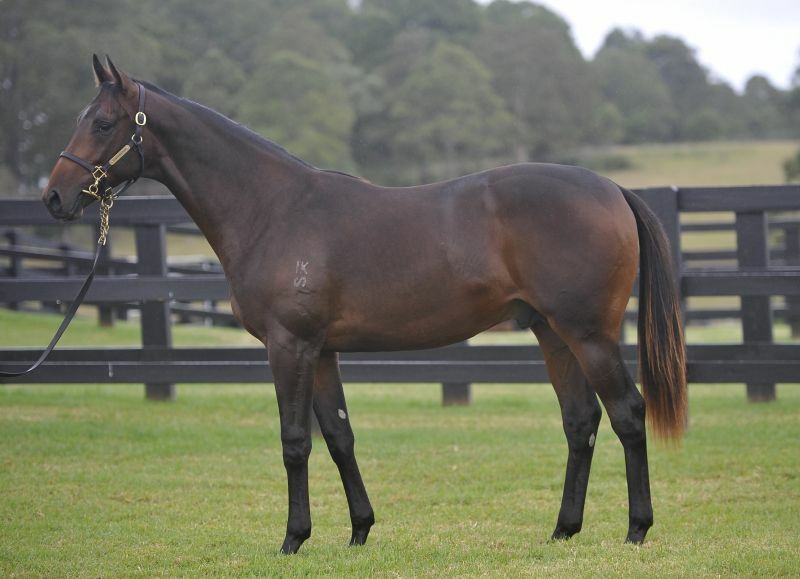 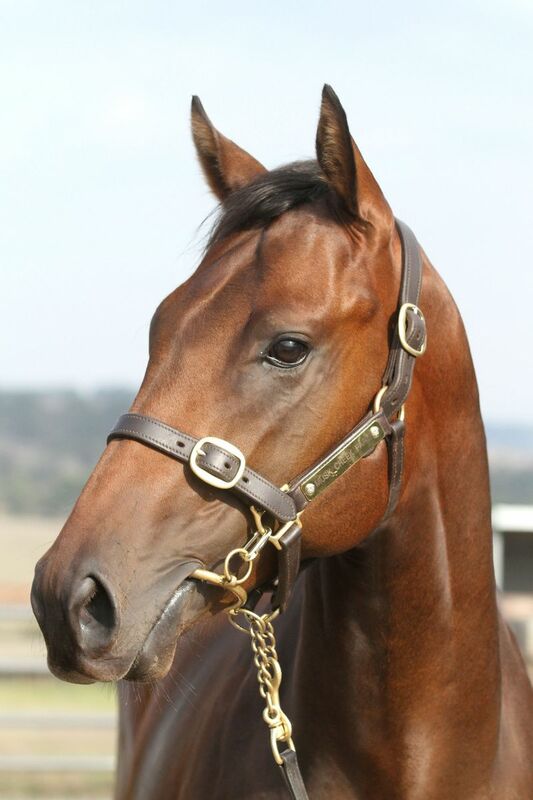 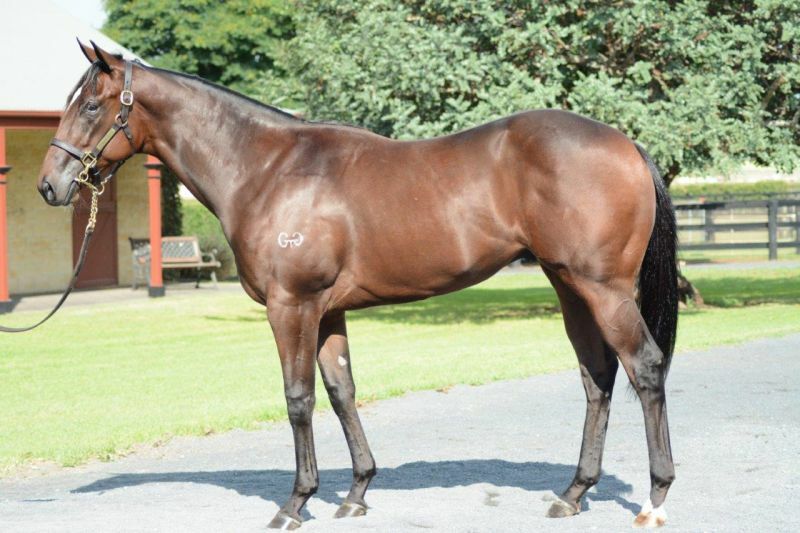 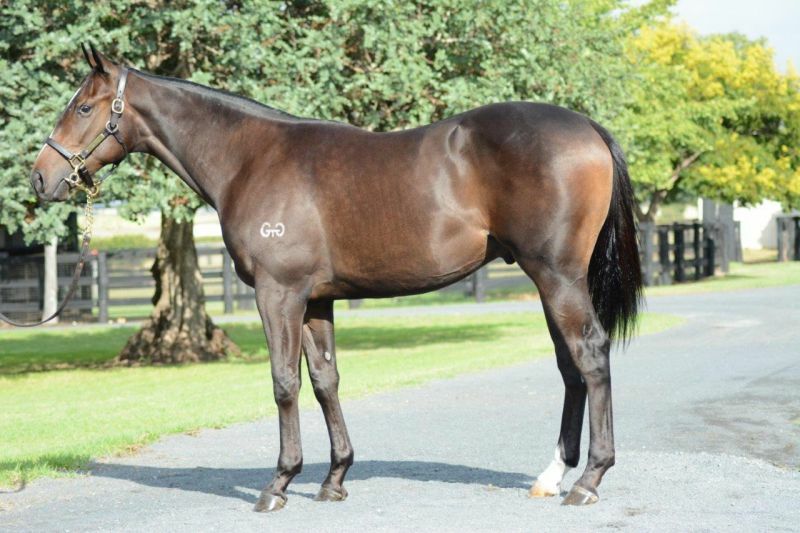 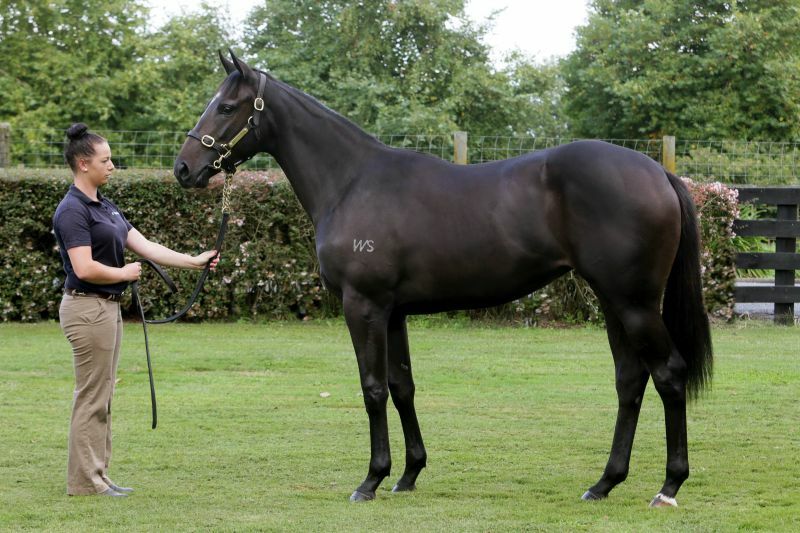 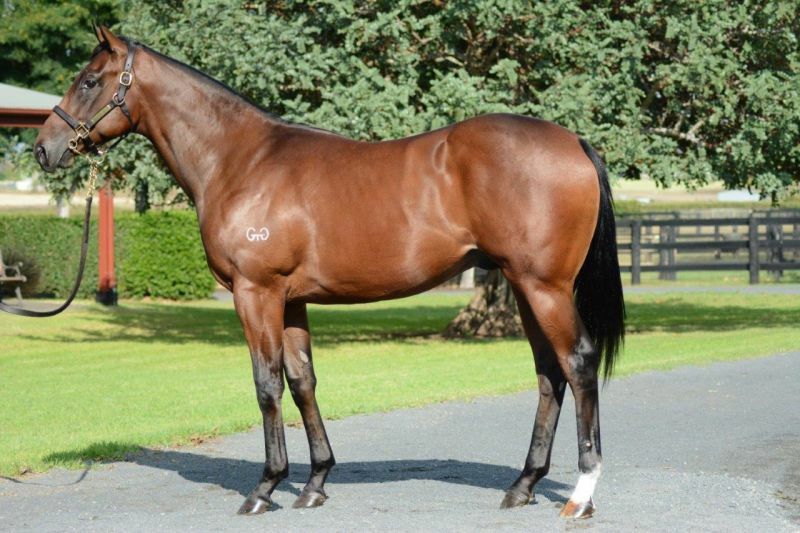 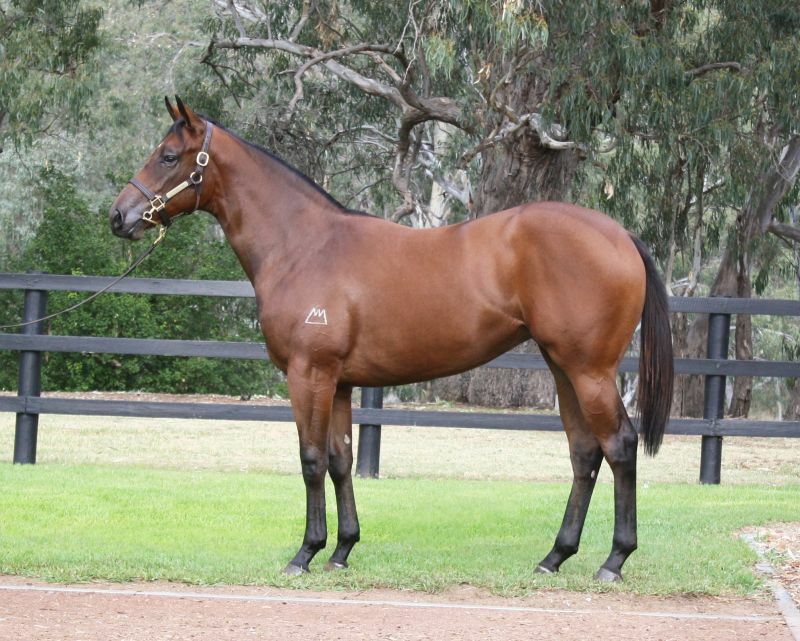 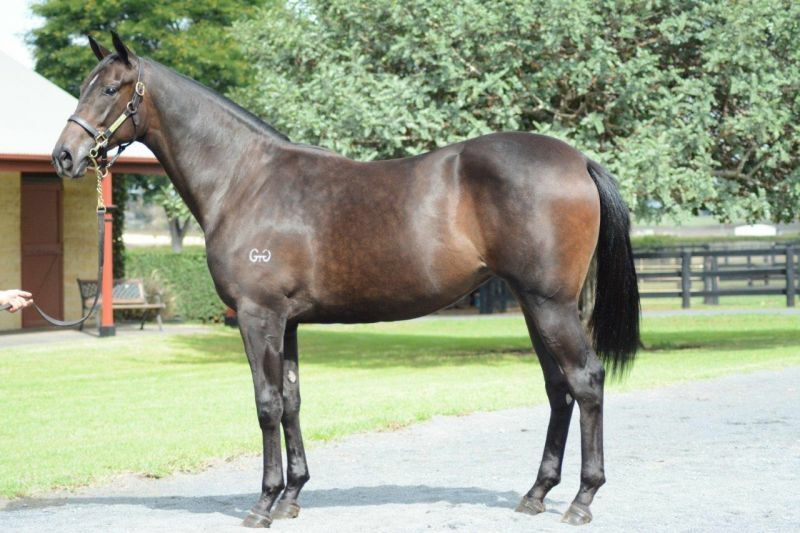 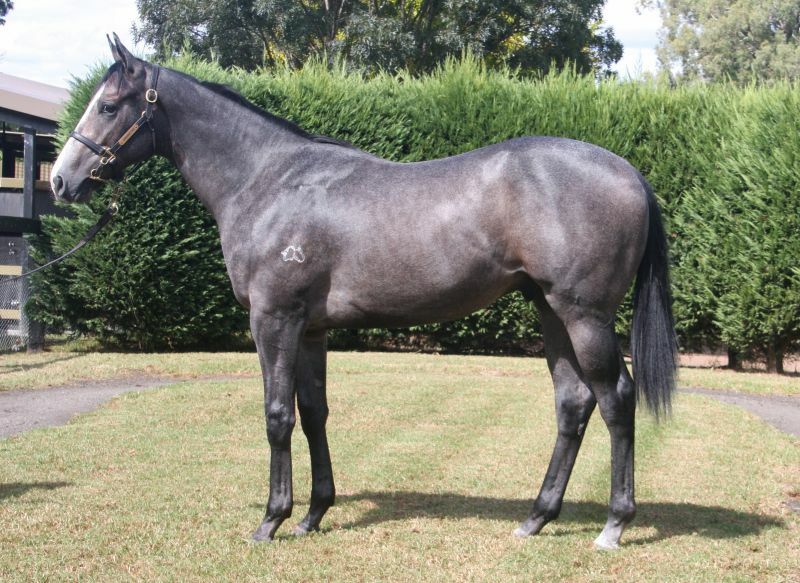 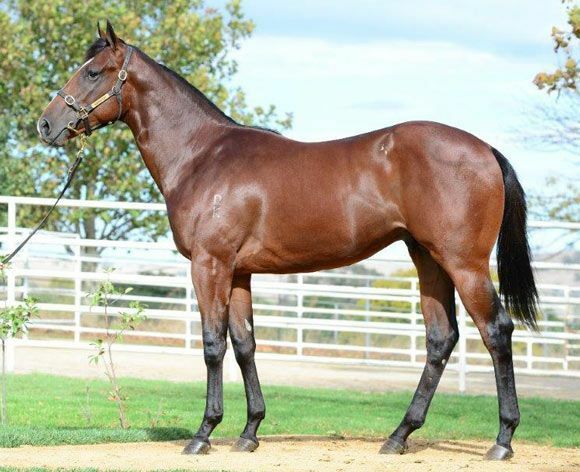 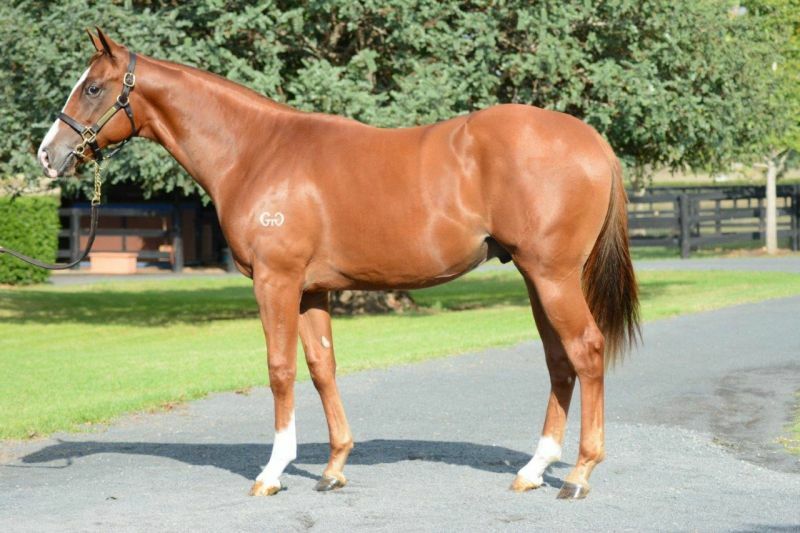 “We loved the colt, he really moved well so we’re really happy we bought him. 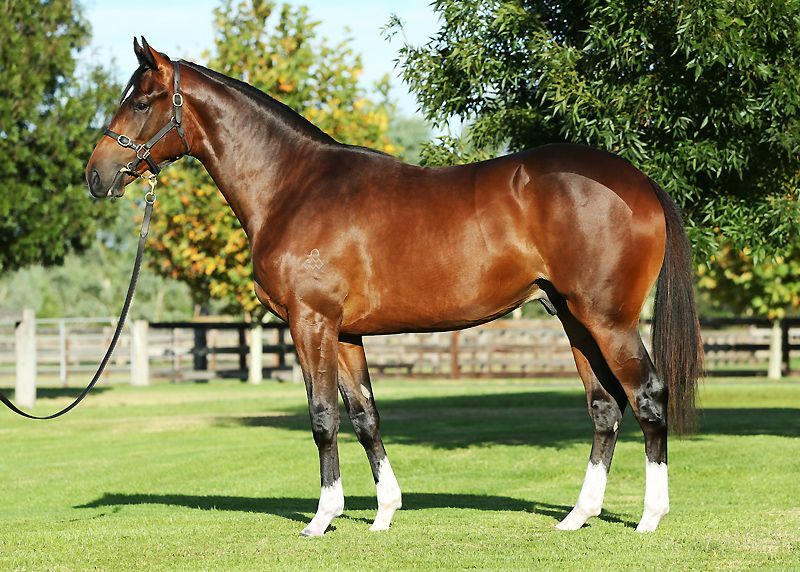 He’s the best Frankel we’ve seen,” said Waller's bloodstock agent Guy Mulcaster. 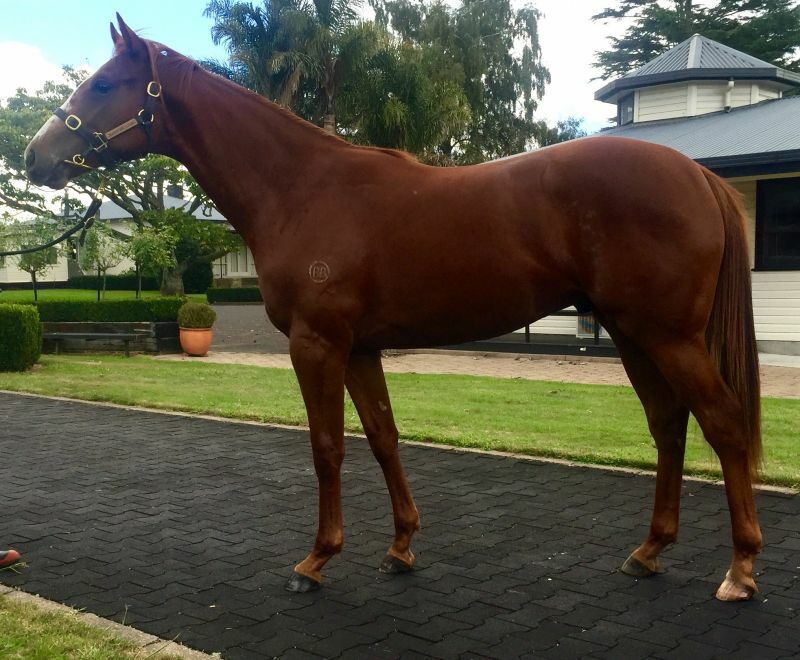 “We’ve got some good clients to go into him. 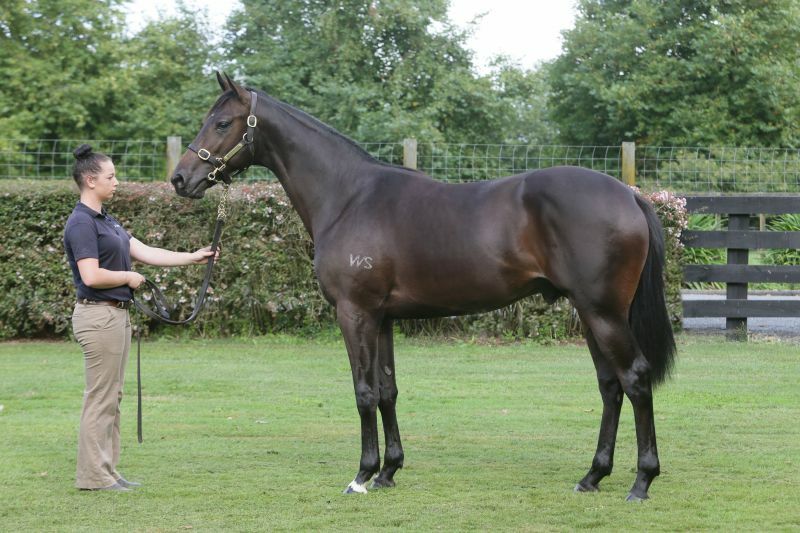 He’ll be a good syndicate horse, and fingers-crossed we’ll see him back winning good races. 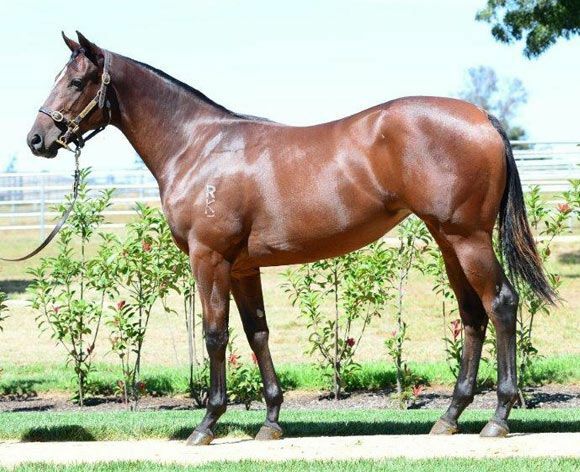 If he goes anywhere near as good as his dad did it will be pretty good, and his mum wasn’t too bad either,” added Mulcaster. 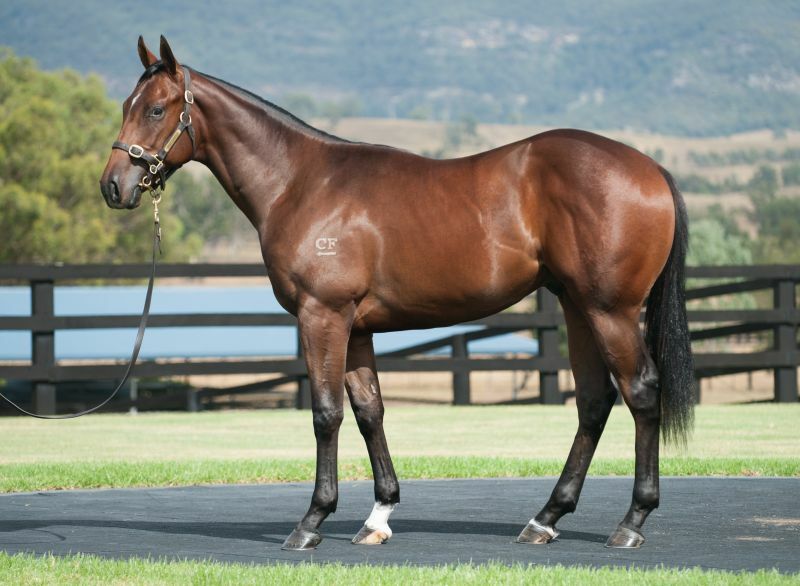 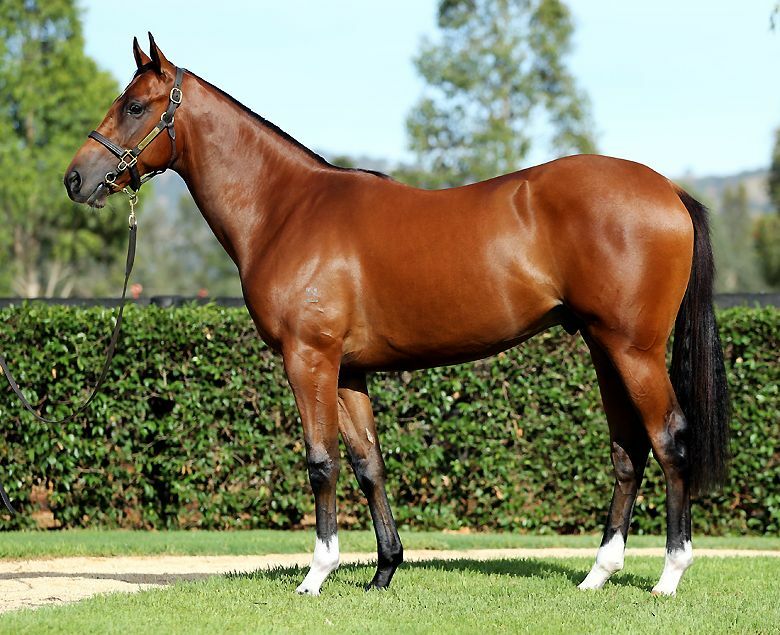 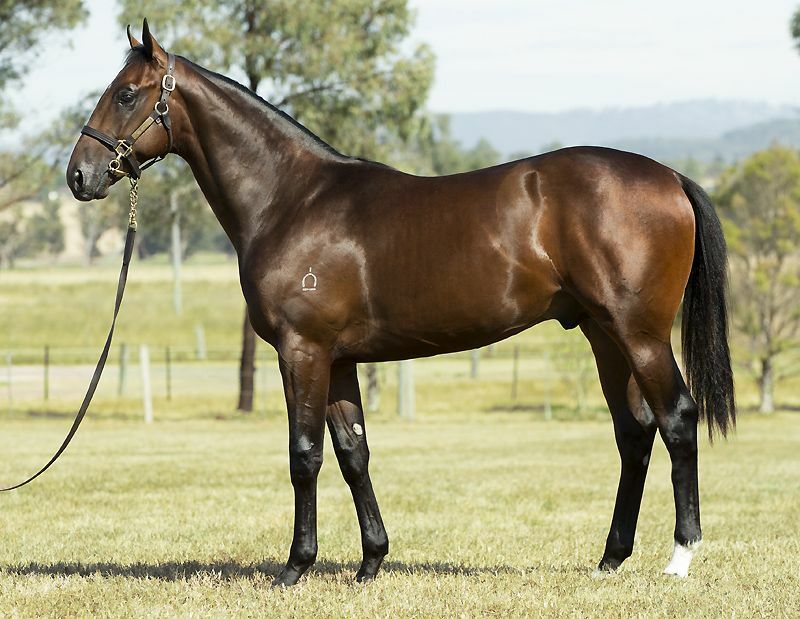 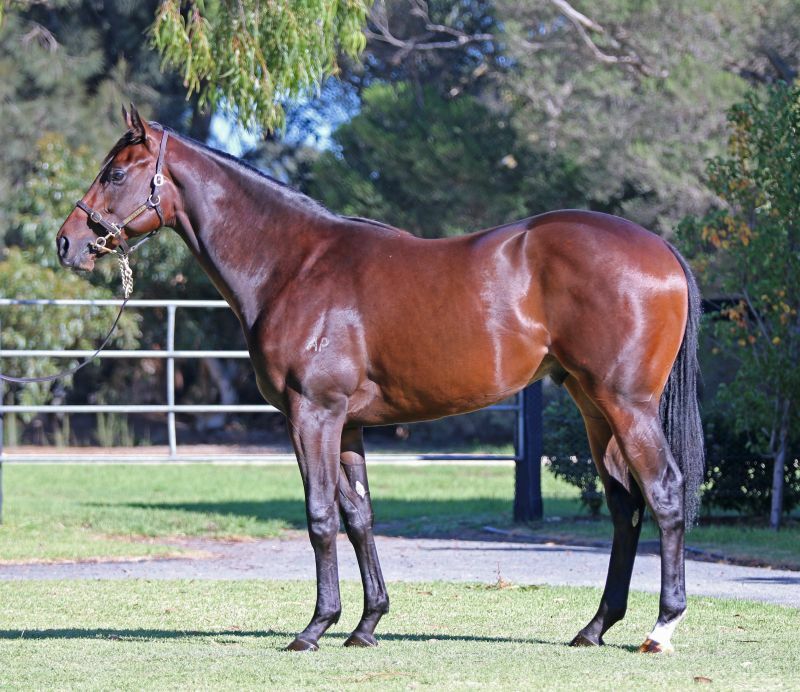 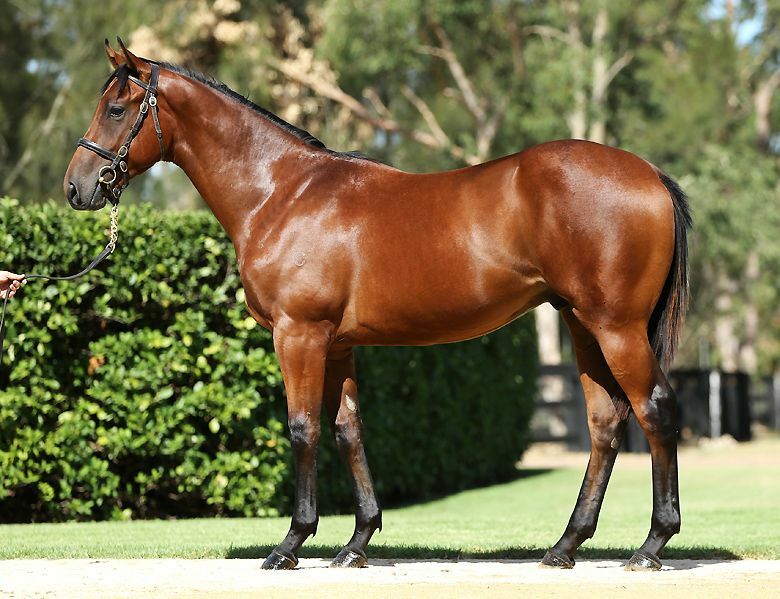 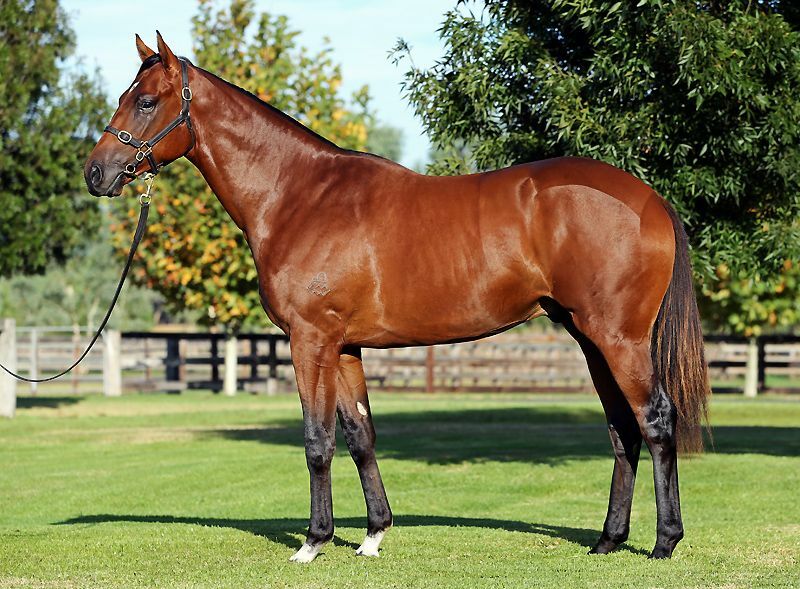 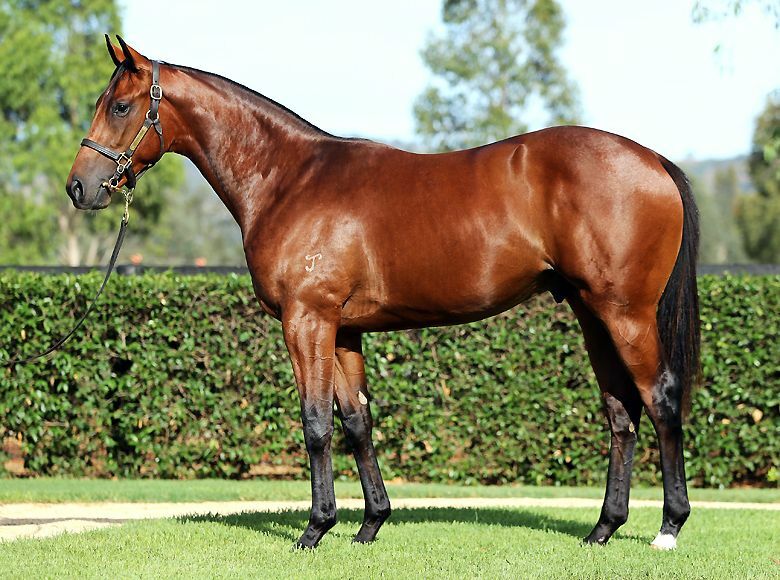 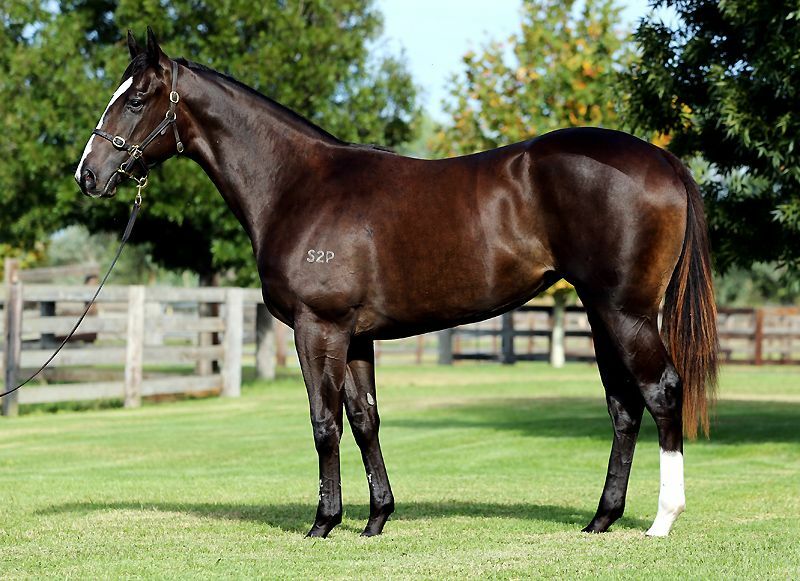 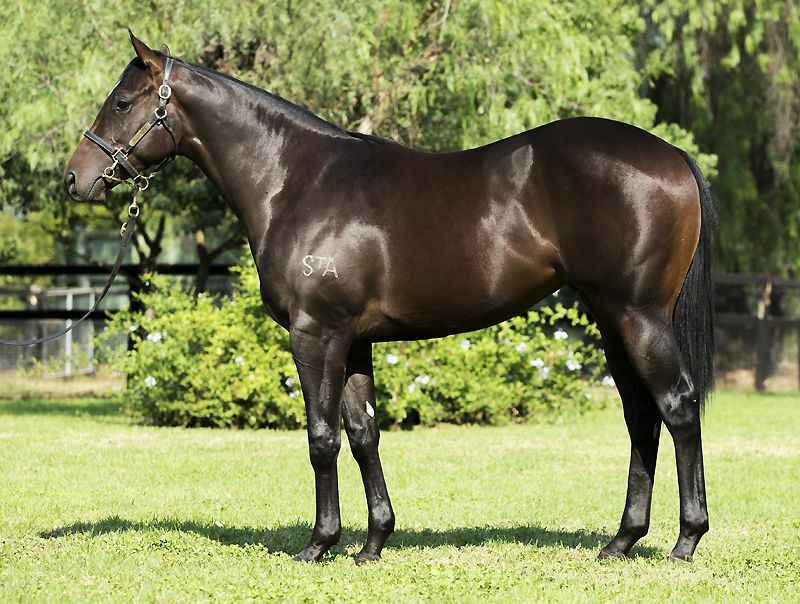 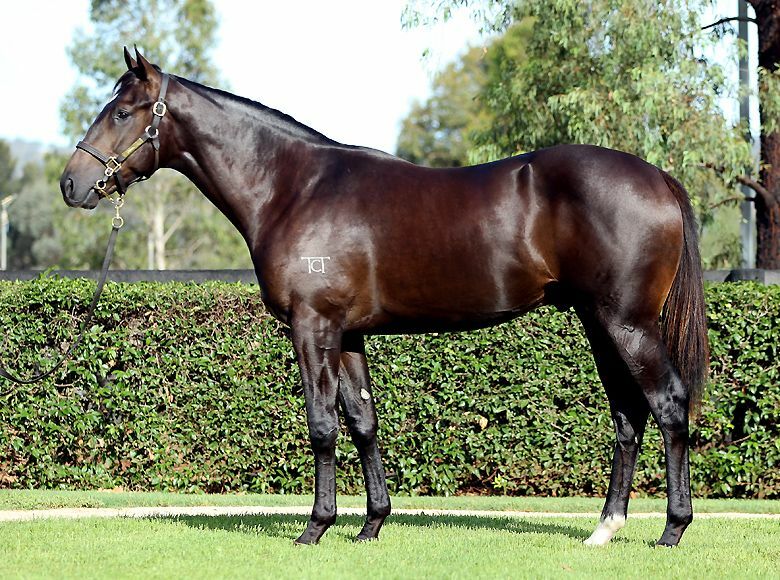 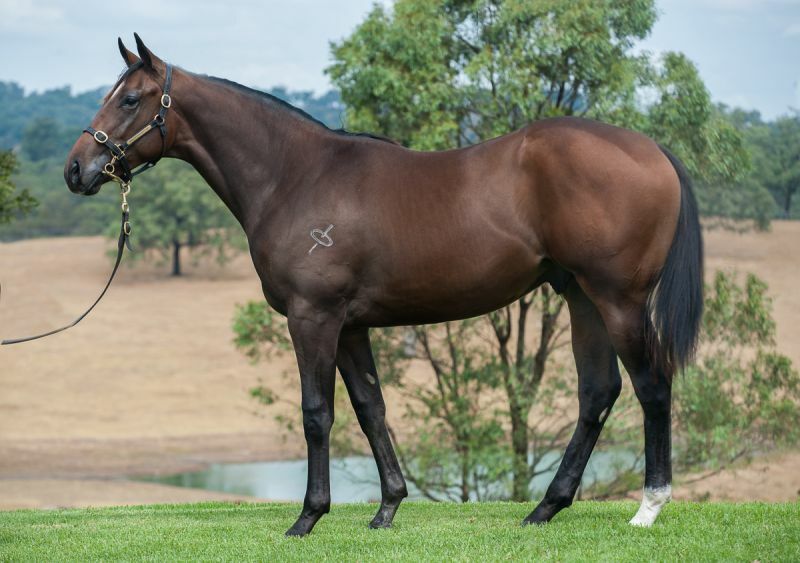 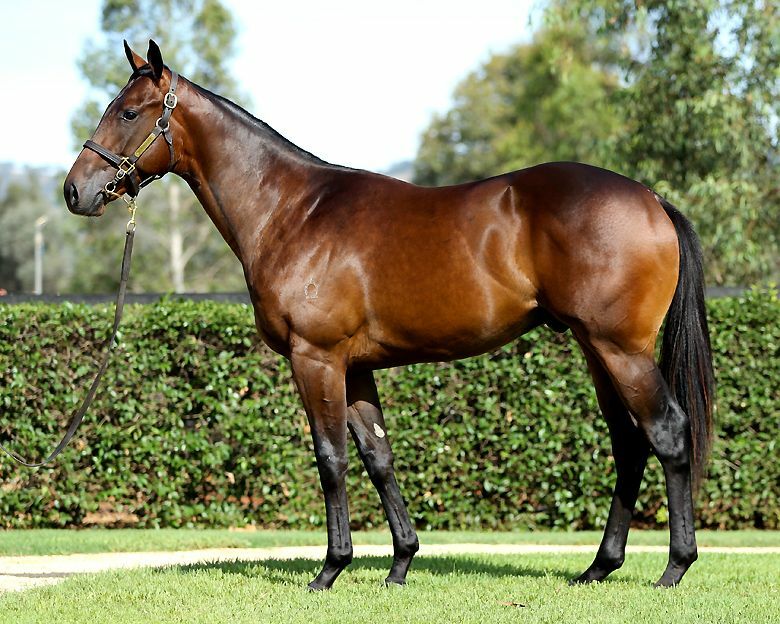 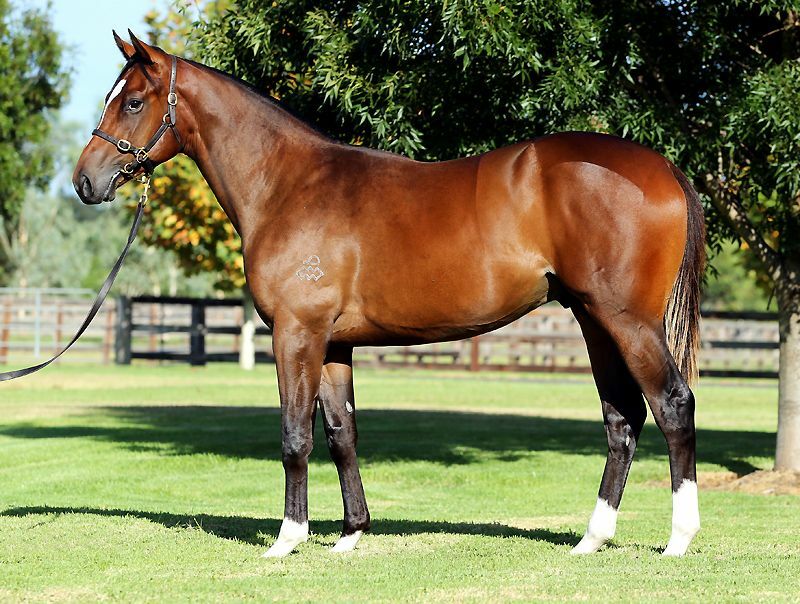 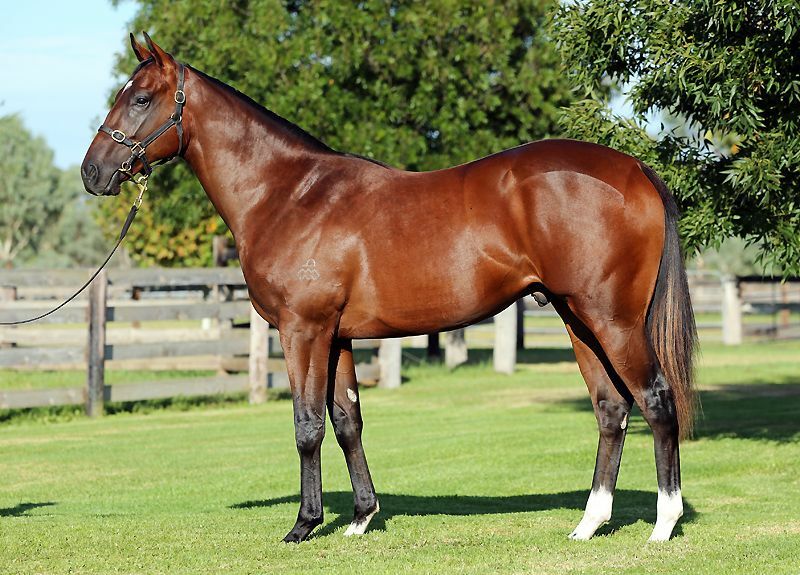 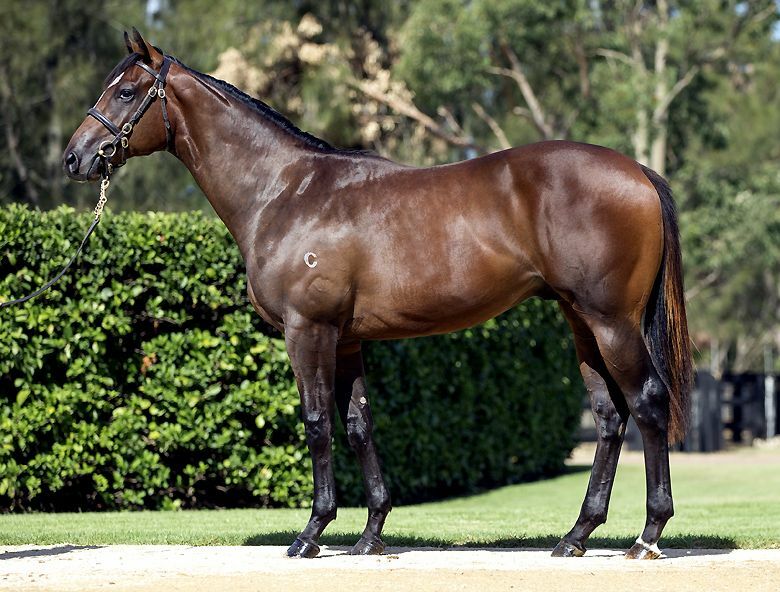 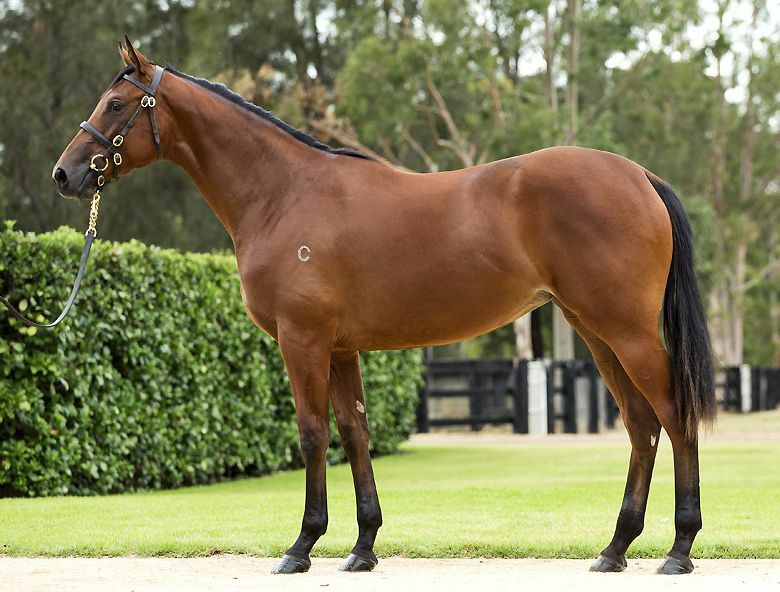 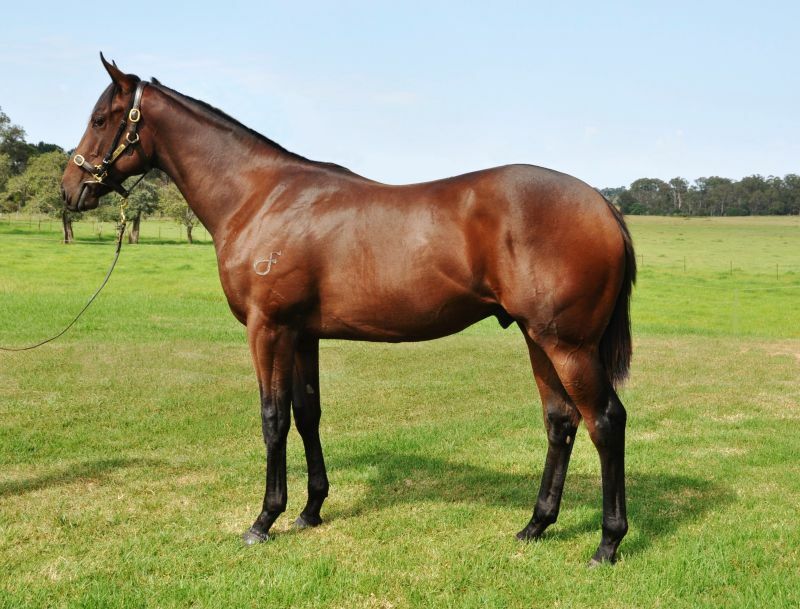 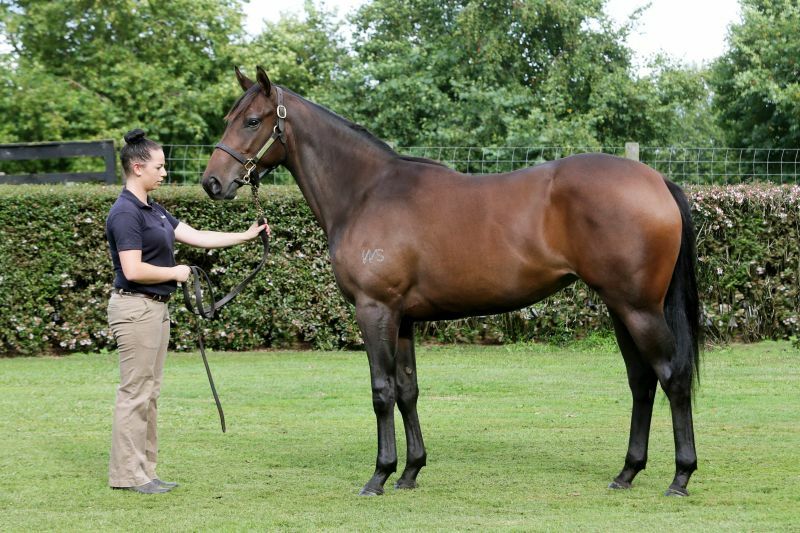 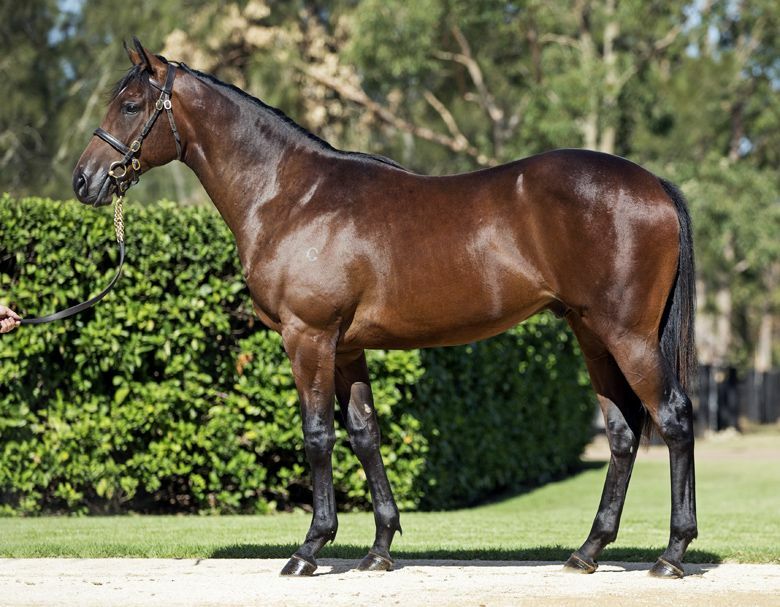 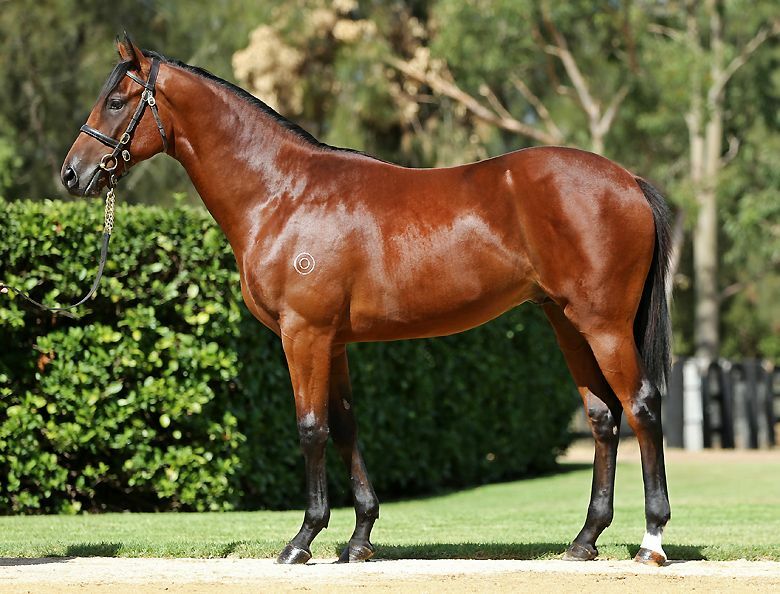 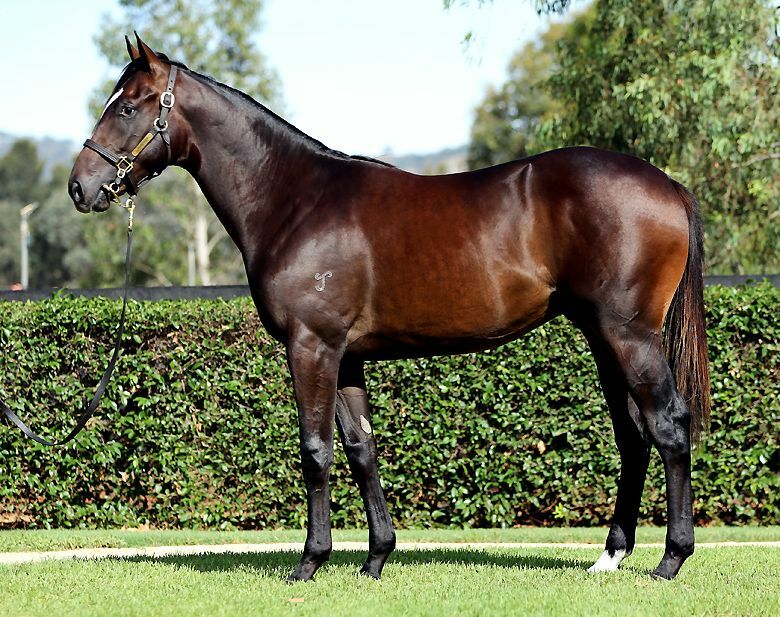 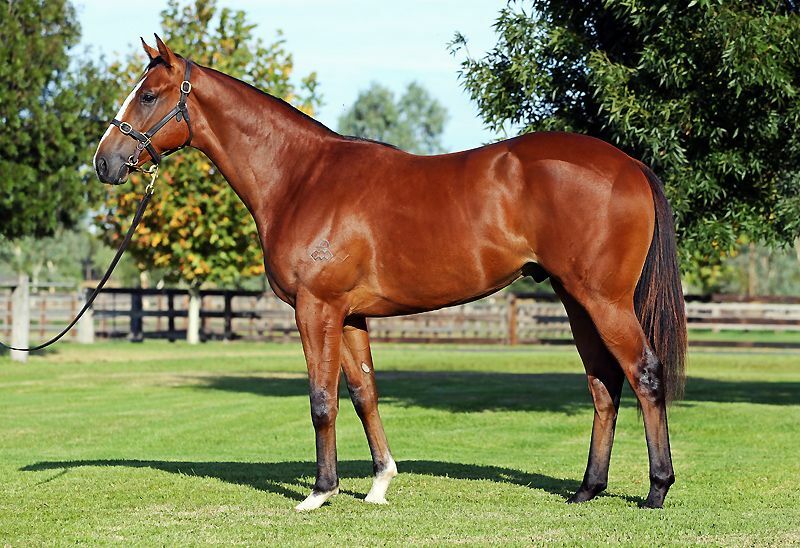 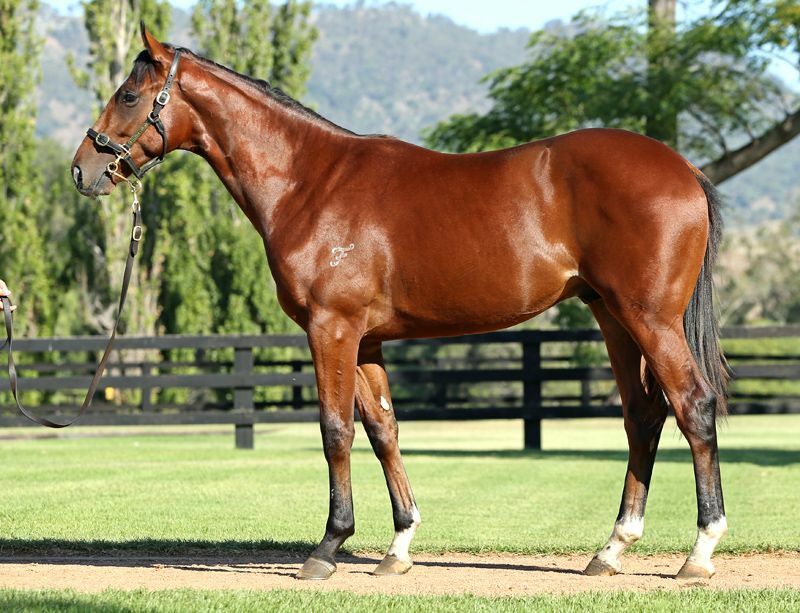 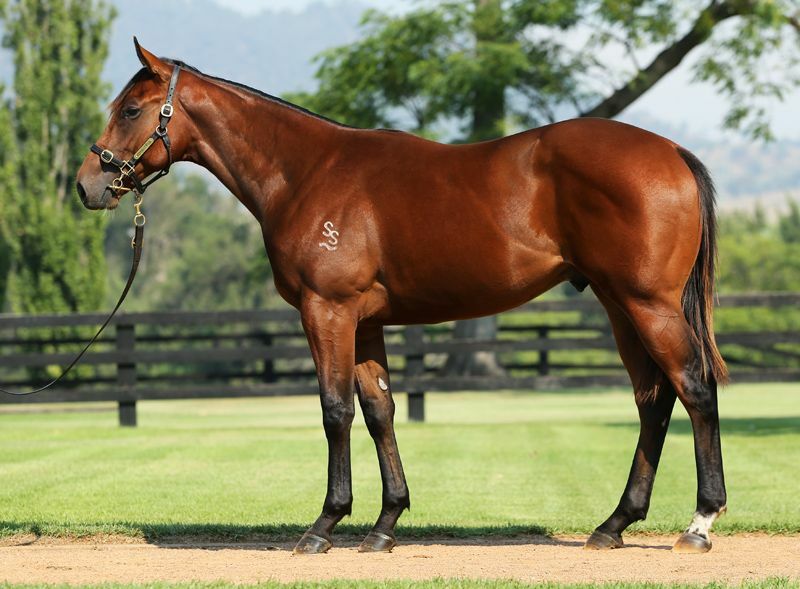 Redoute’s Choice’s Session I average of $573,250 is more than double what he achieved at any other Australian yearling sale this year, and he was one of 20 stallions to average in excess of $200,000 at Easter (two or more sold). 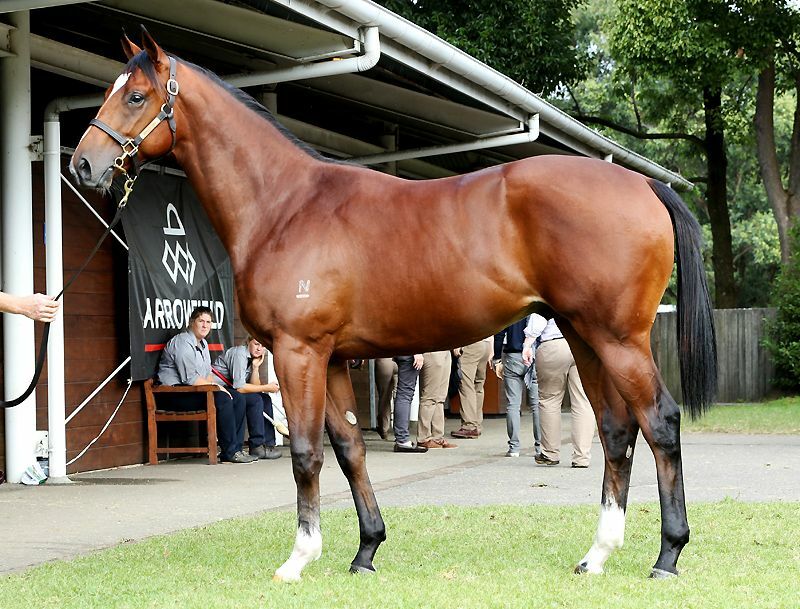 In total, eight stallions recorded their highest-priced Southern Hemisphere yearling at the 2016 Easter Sale, including Snitzel ($2.3 million), Frankel ($1.6 million), Hinchinbrook ($1 million), Medaglia d’Oro ($875,000), Not A Single Doubt ($850,000), Dalakhani ($620,000), All Too Hard ($600,000) and Choisir ($560,000). 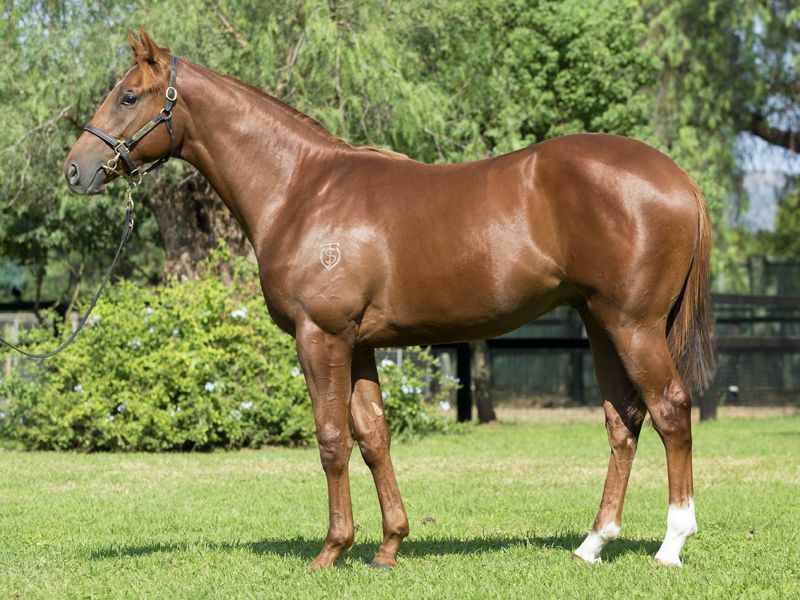 Arrowfield Stud, the home of Redoute’s Choice, Snitzel, Not A Single Doubt and Animal Kingdom, finished the Easter Sale as the leading vendor having sold 21 of their yearlings for $9.51 million. 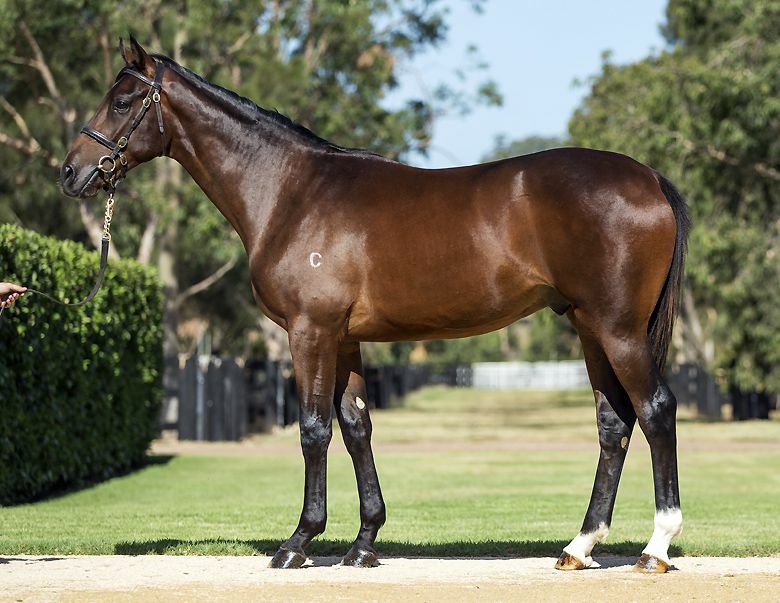 Coolmore Stud, Segenhoe Stud, Widden Stud, Newgate Farm and Yarraman Park Stud also returned gross receipts of $5 million or more for their Easter offerings. 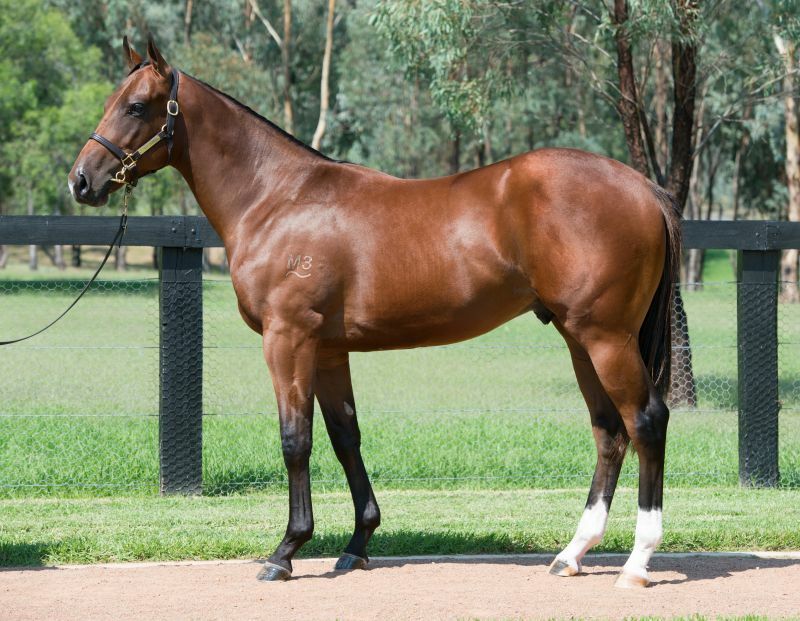 The sale of their Frankel colt helped Strawberry Hill Stud top the vendor table by average with $893,333 in Session I (3 or more sold). 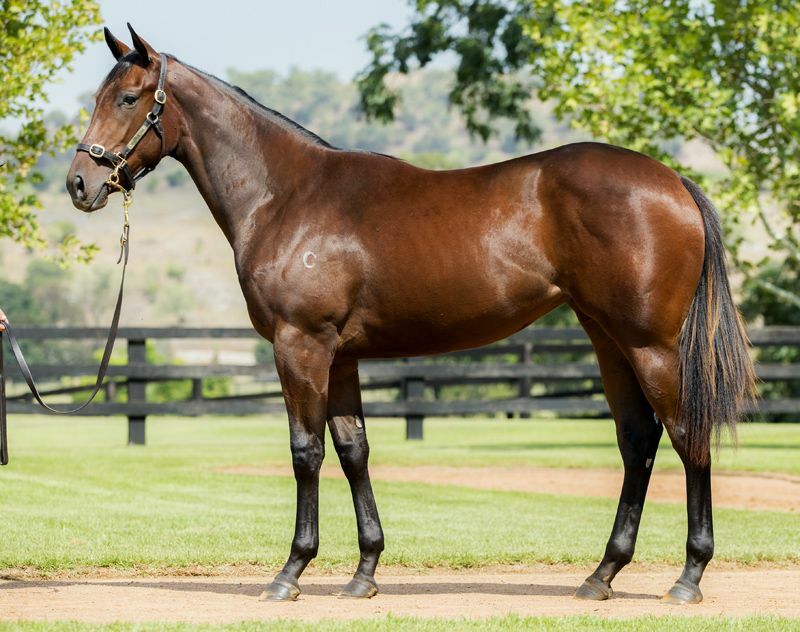 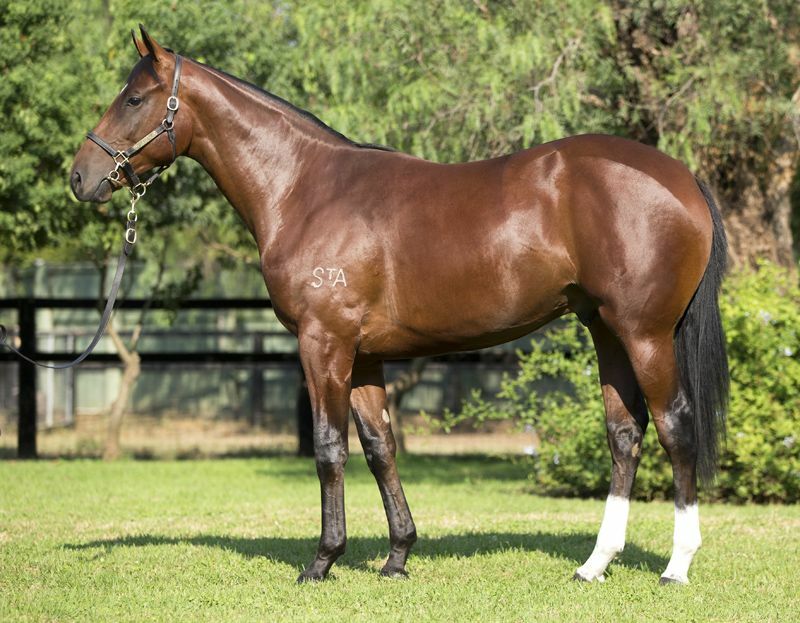 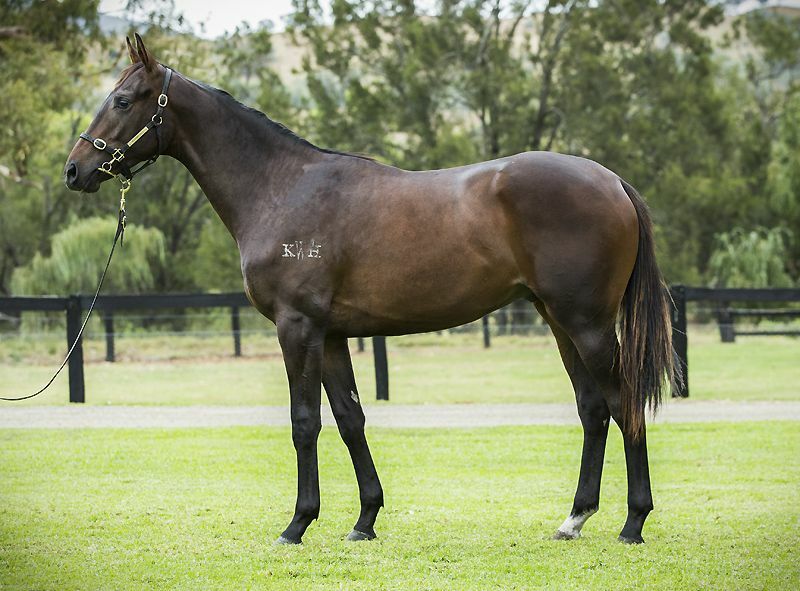 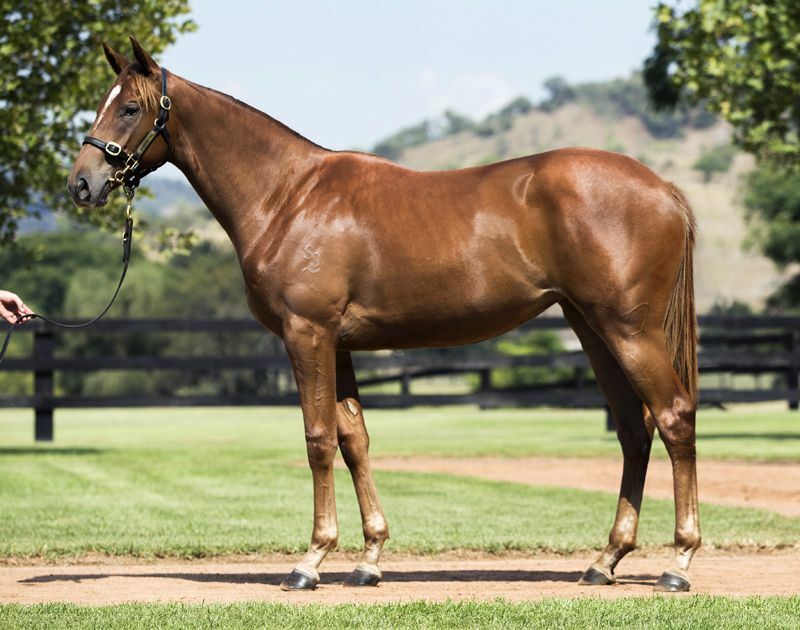 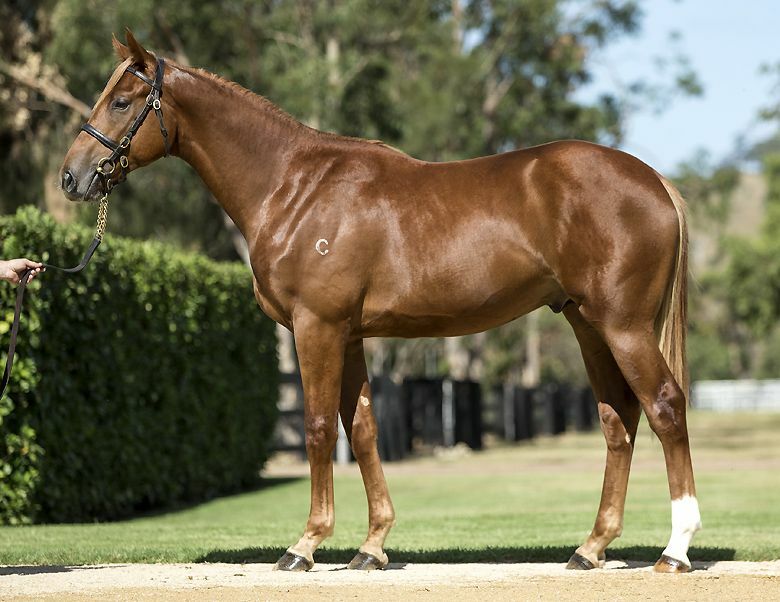 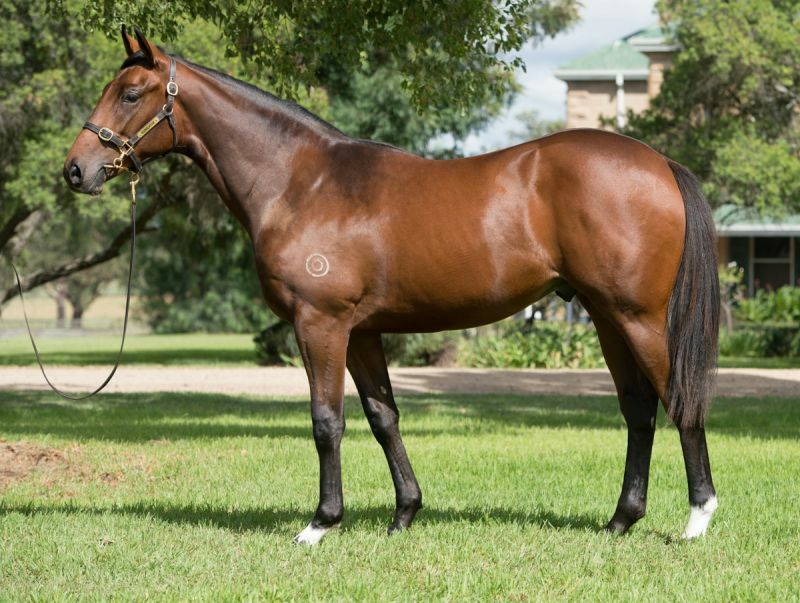 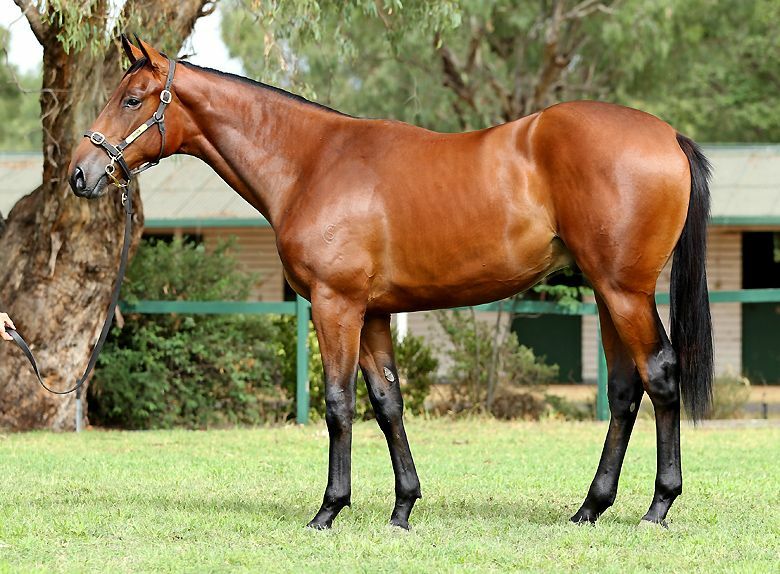 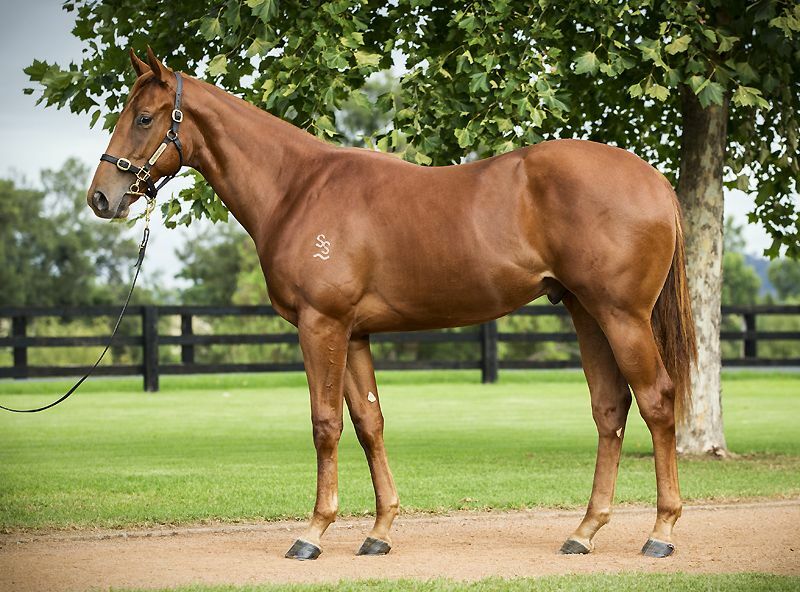 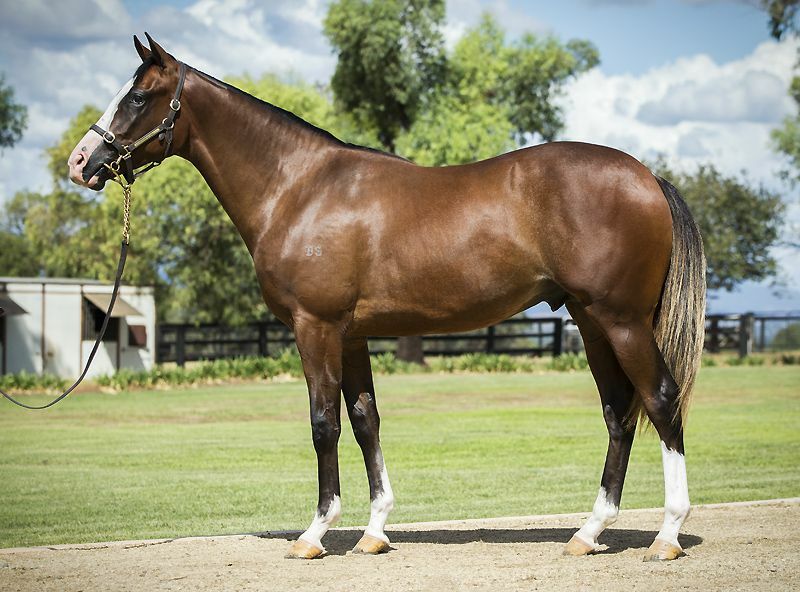 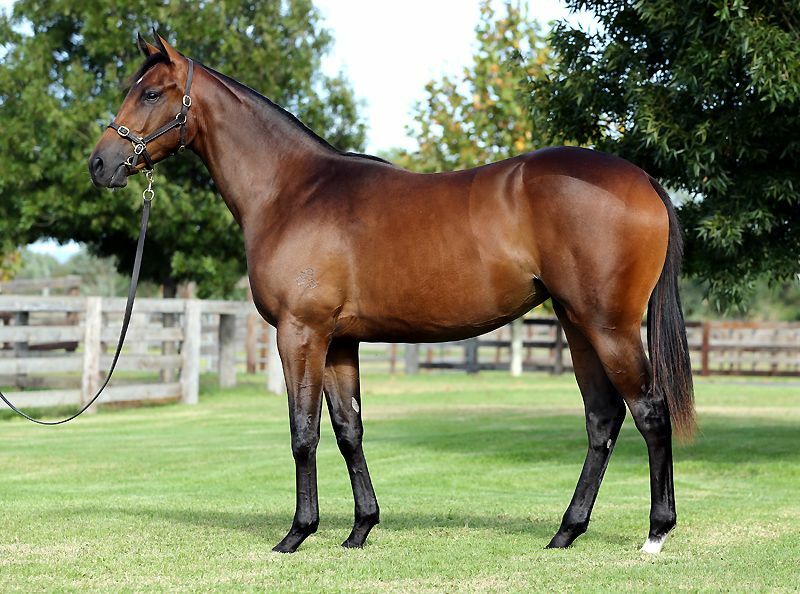 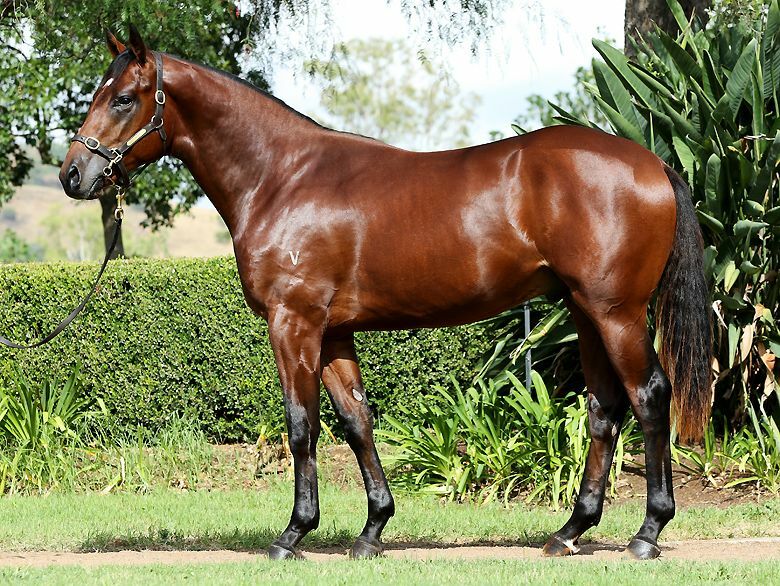 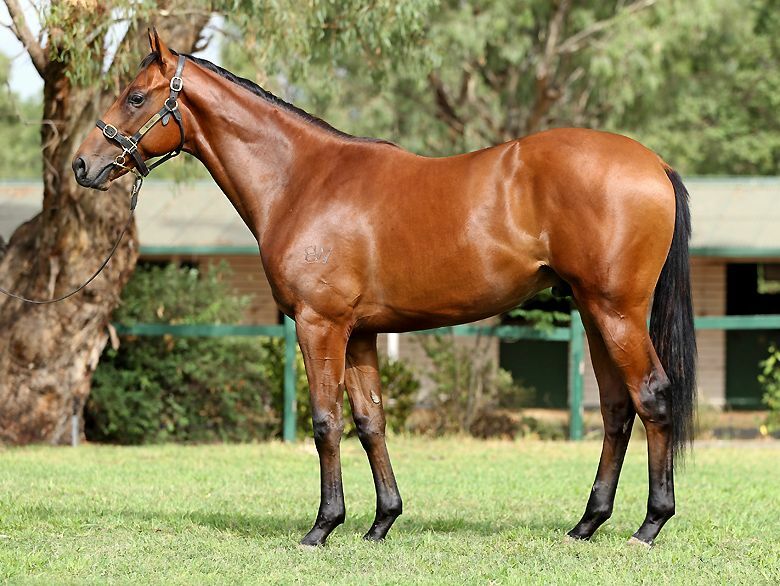 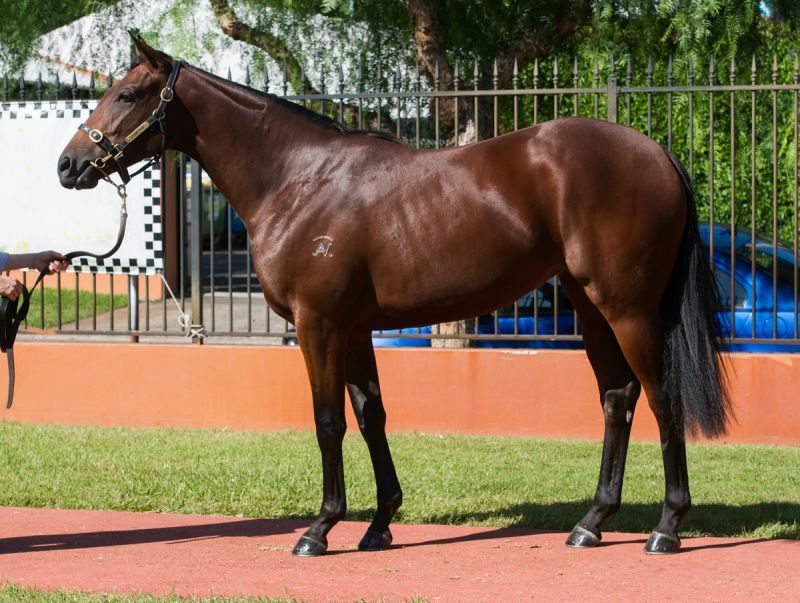 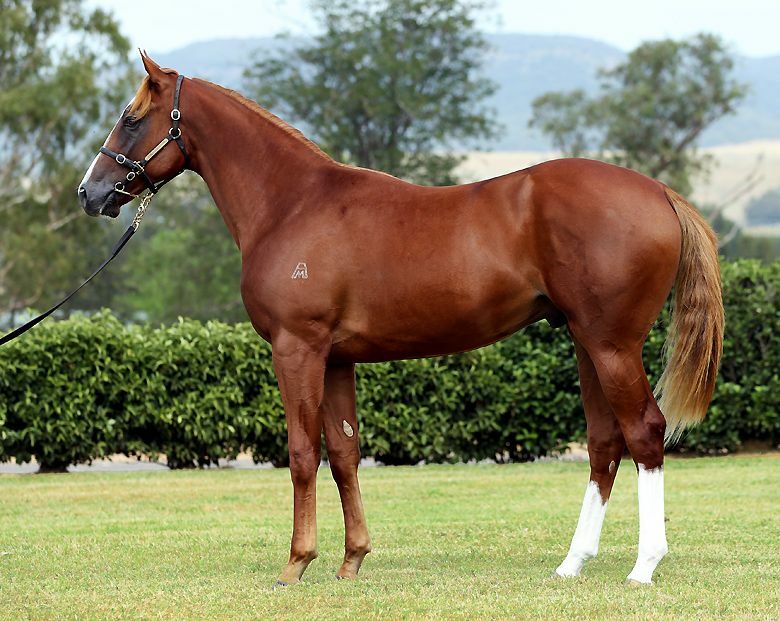 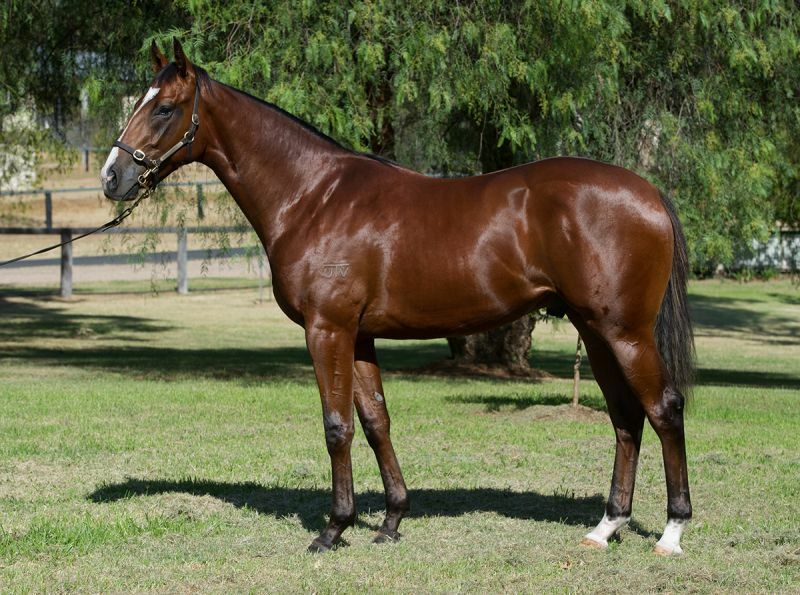 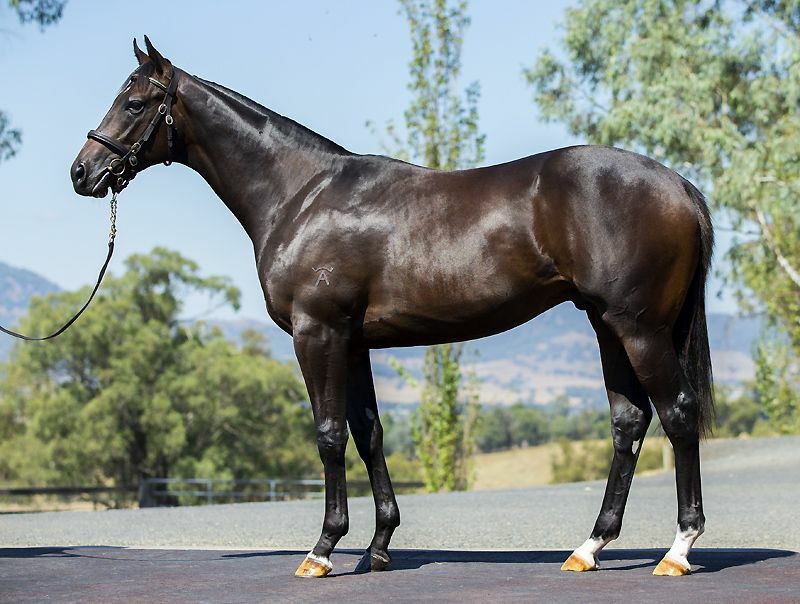 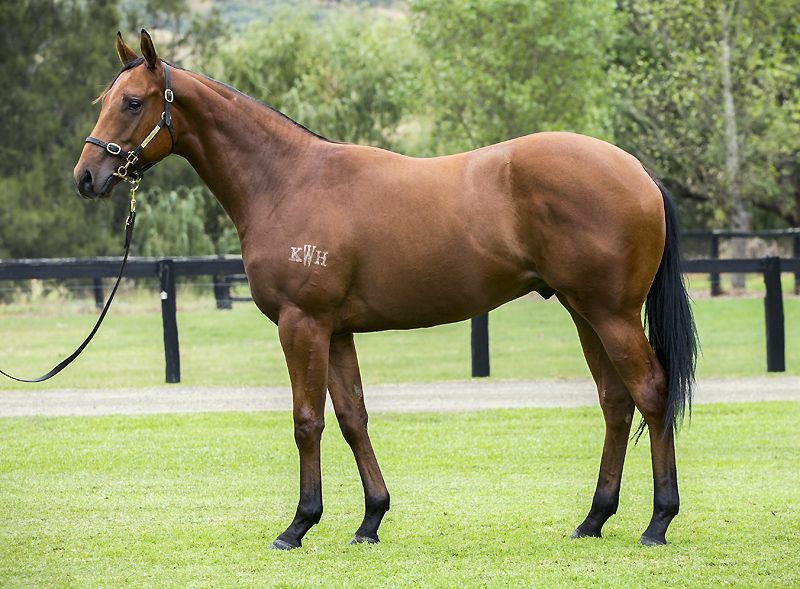 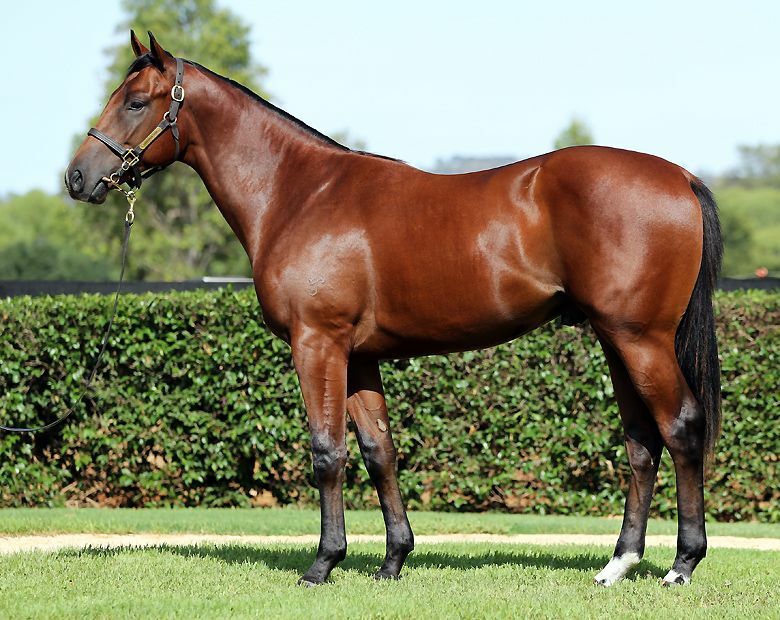 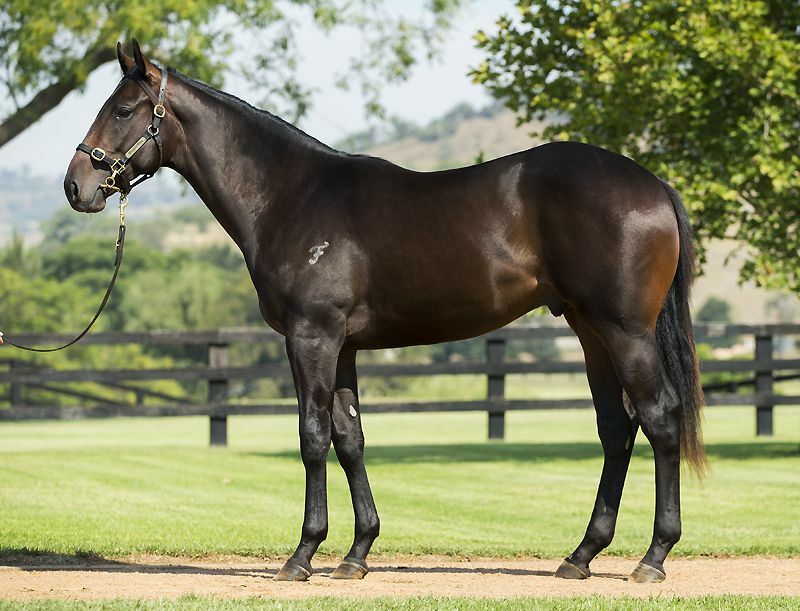 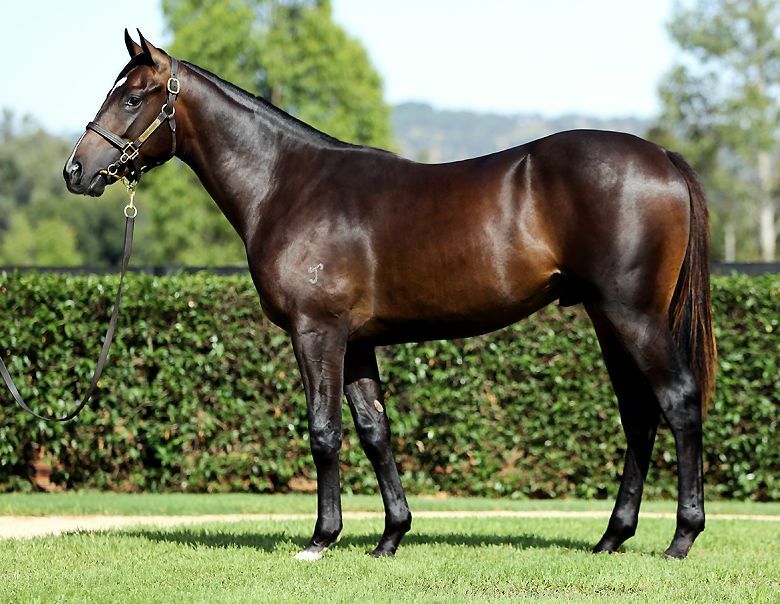 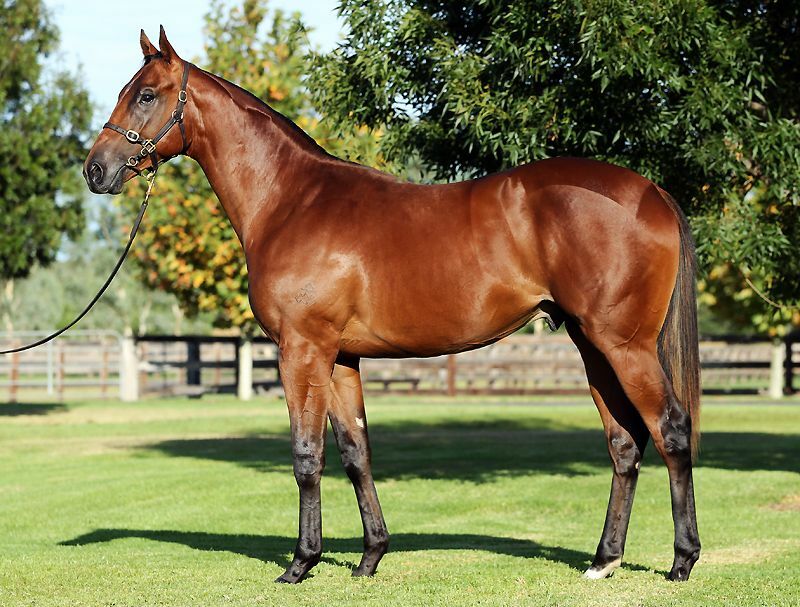 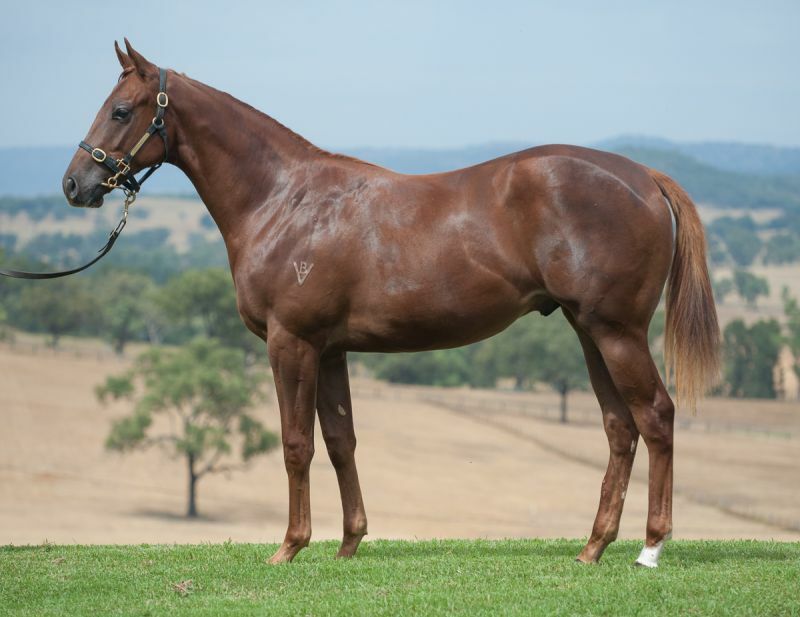 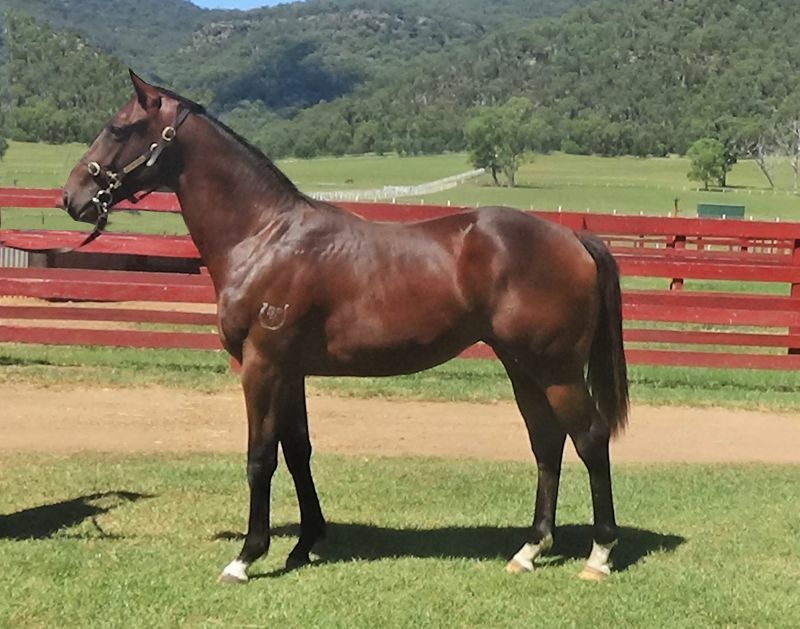 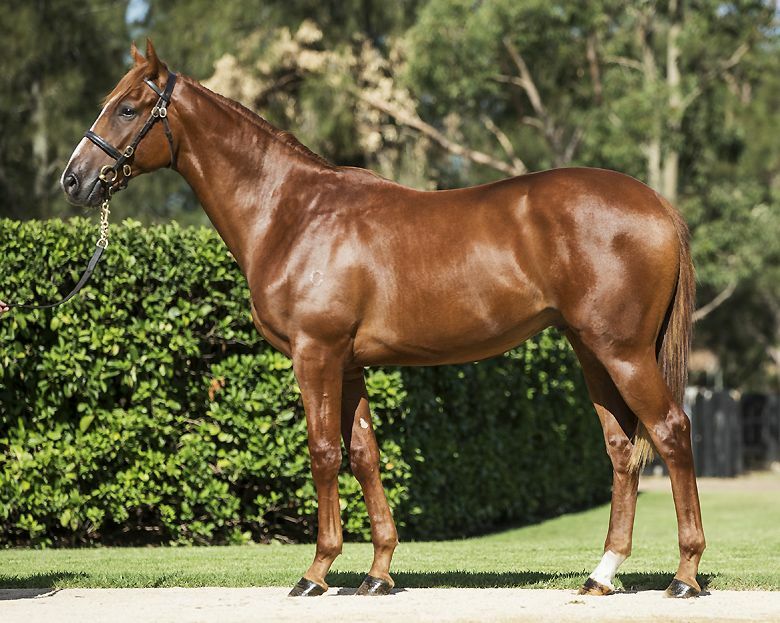 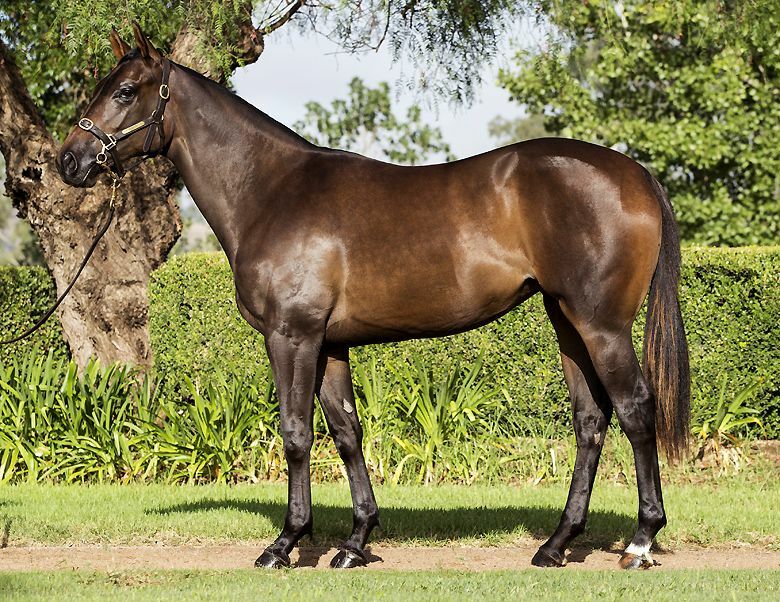 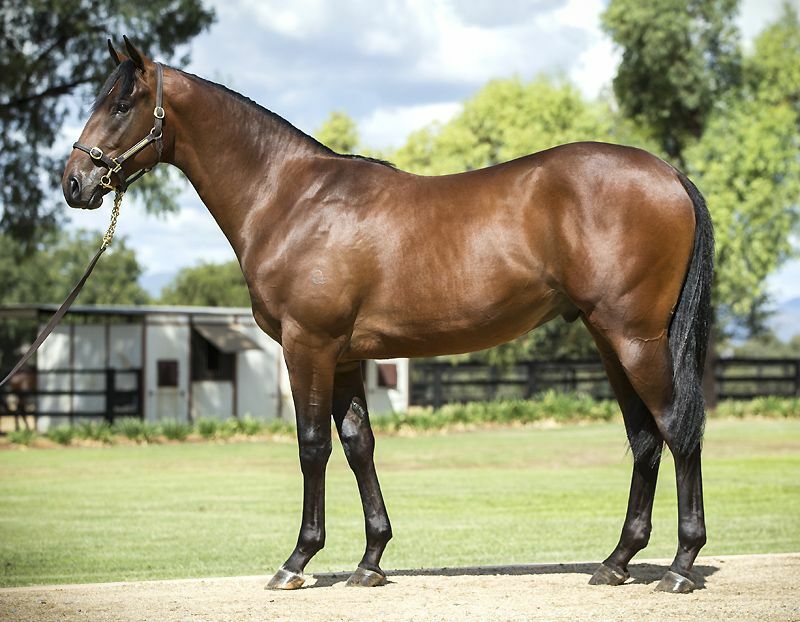 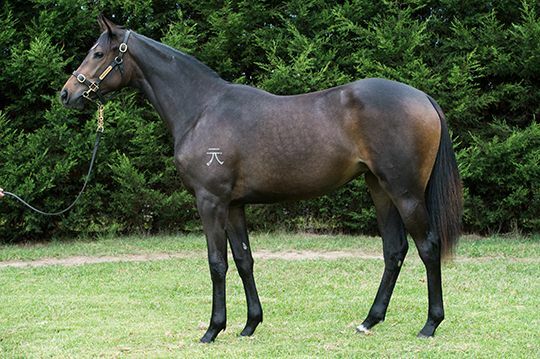 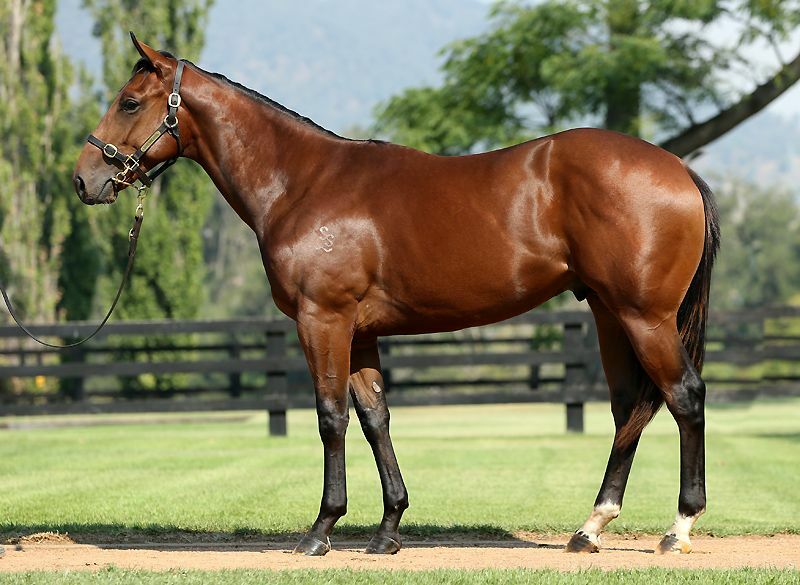 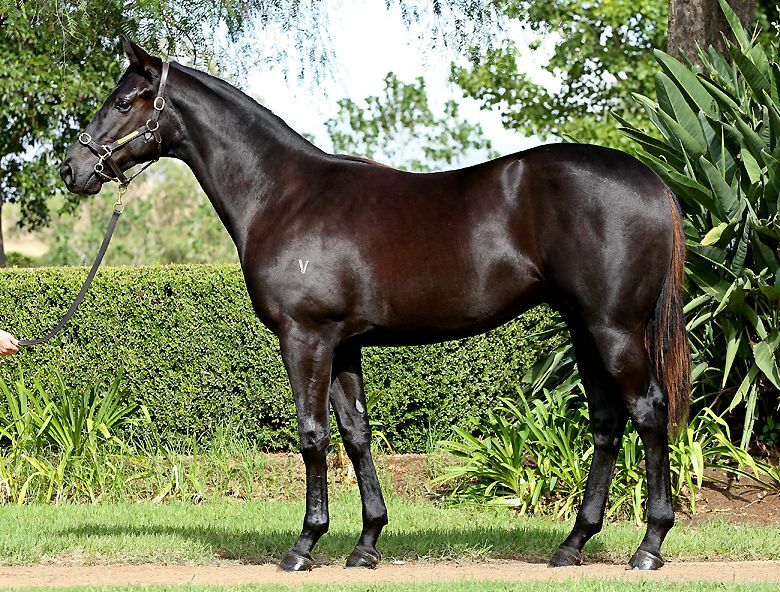 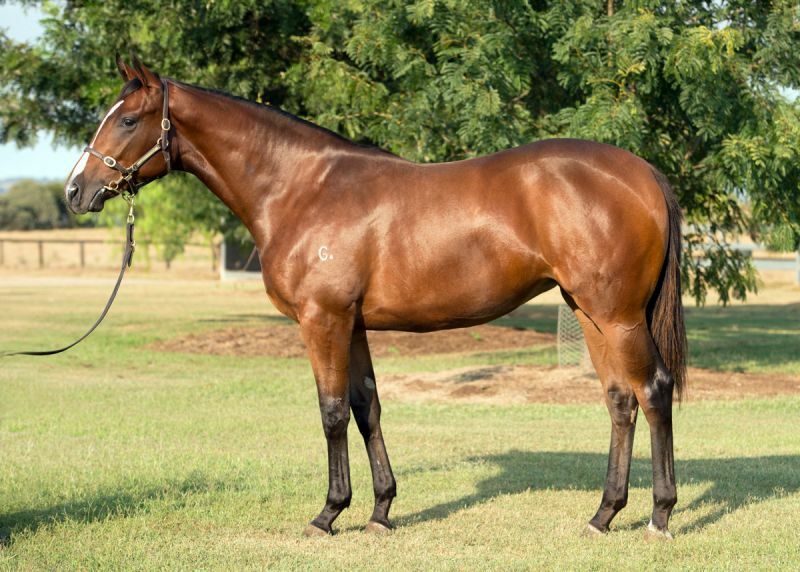 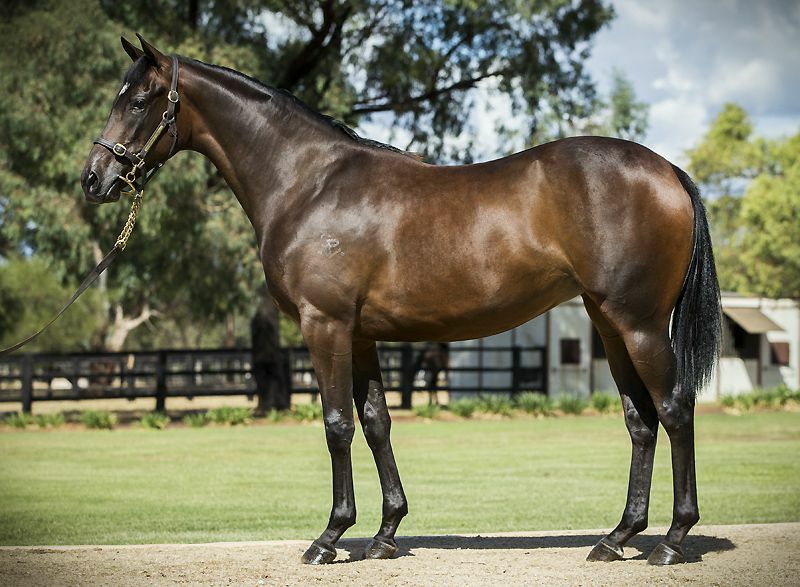 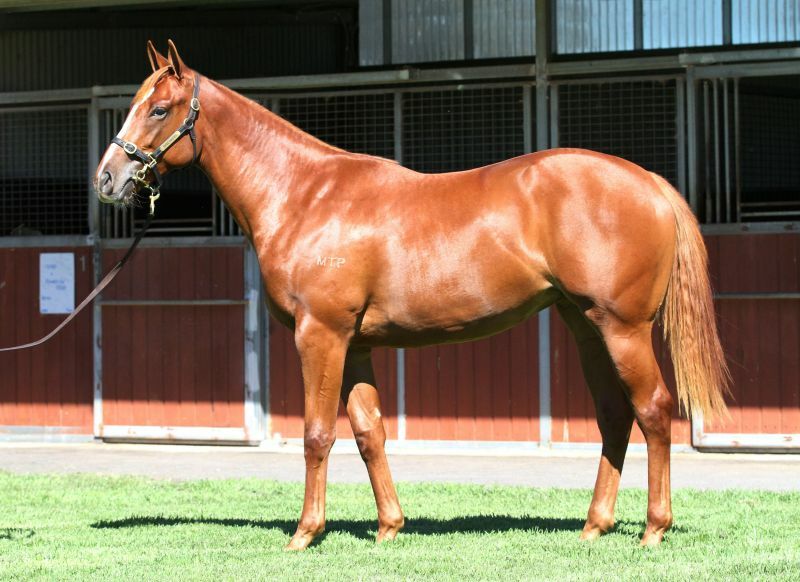 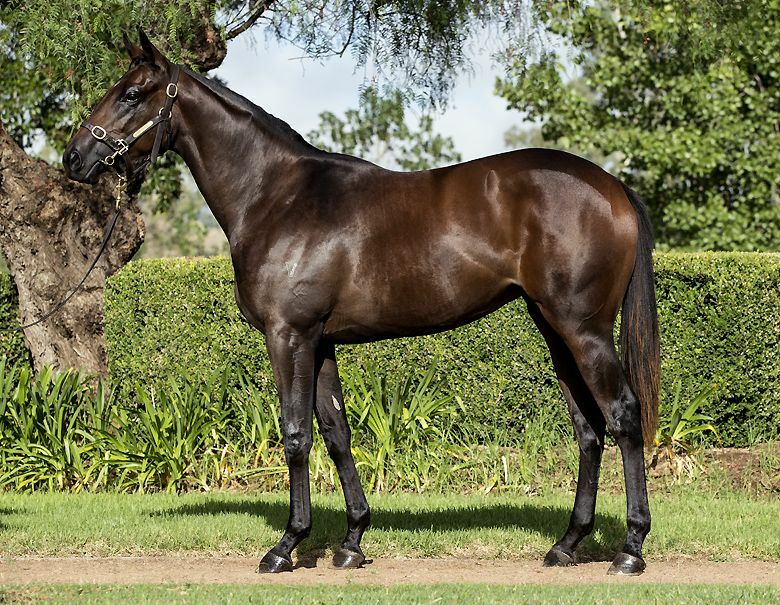 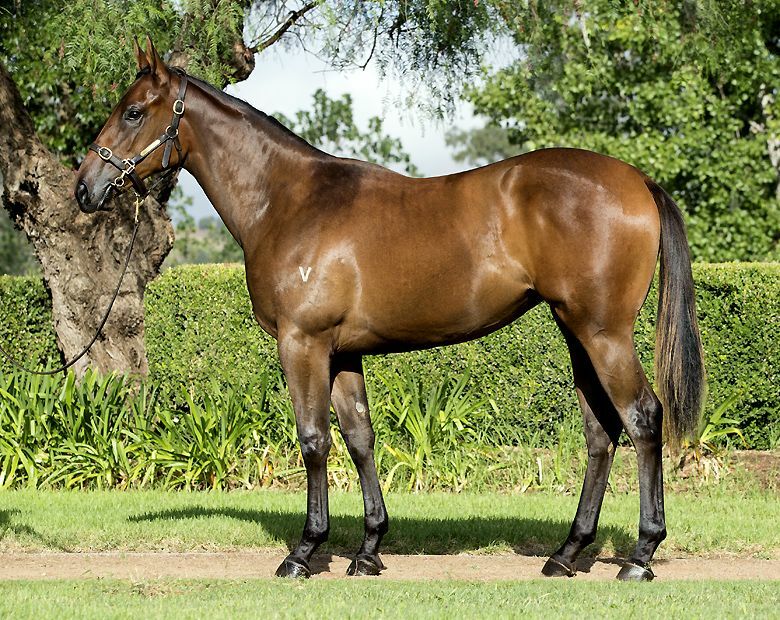 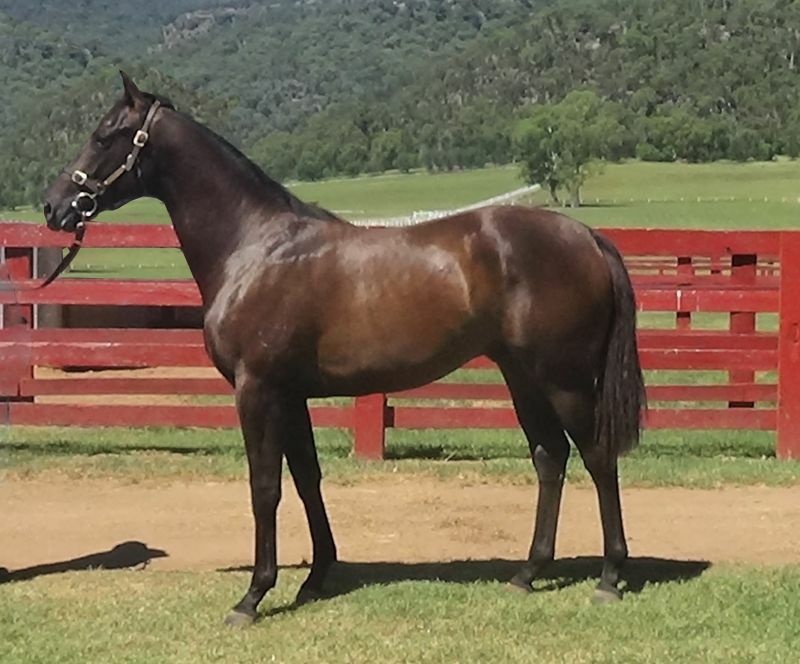 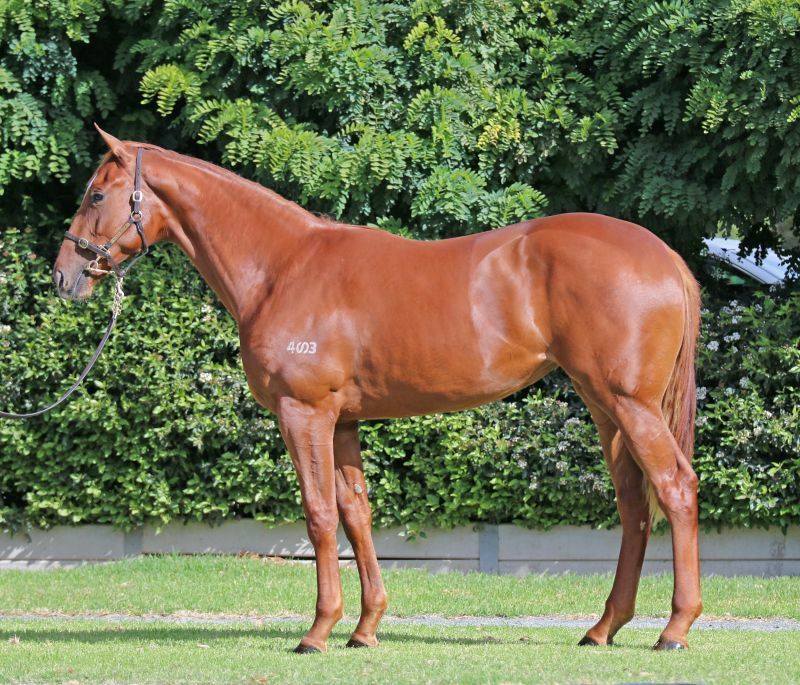 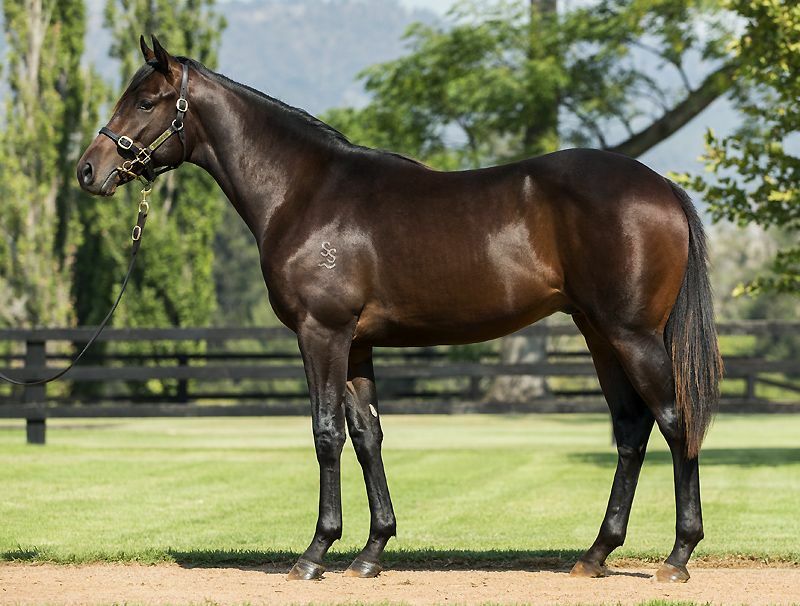 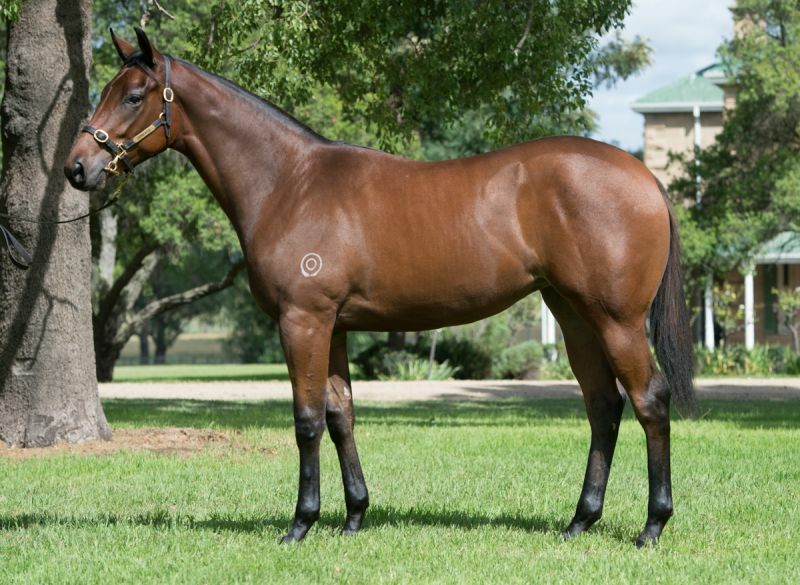 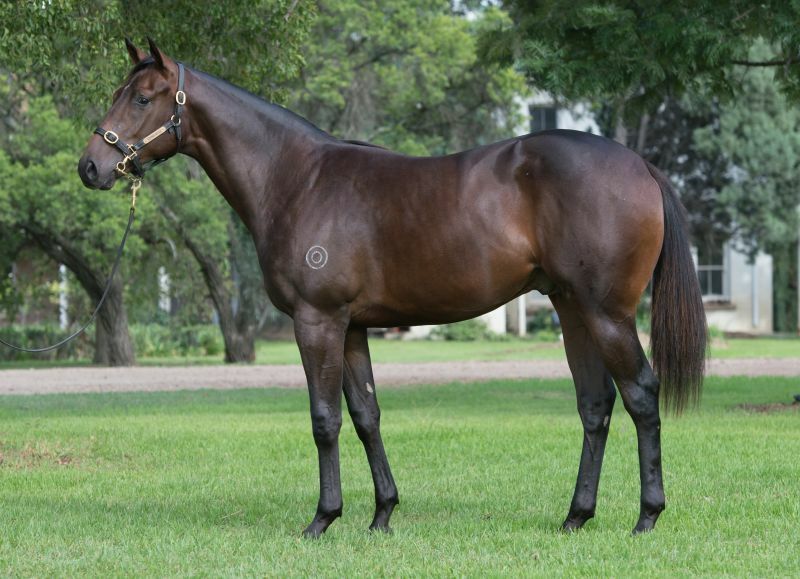 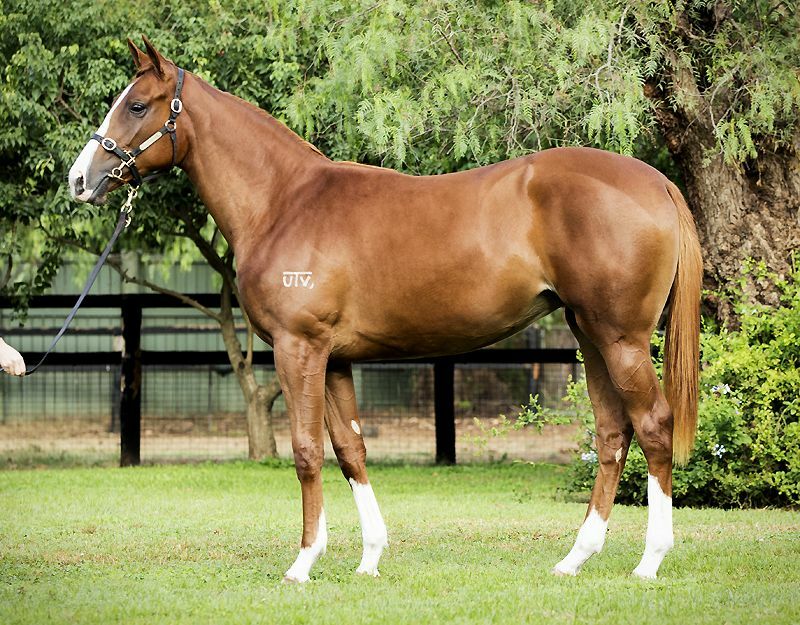 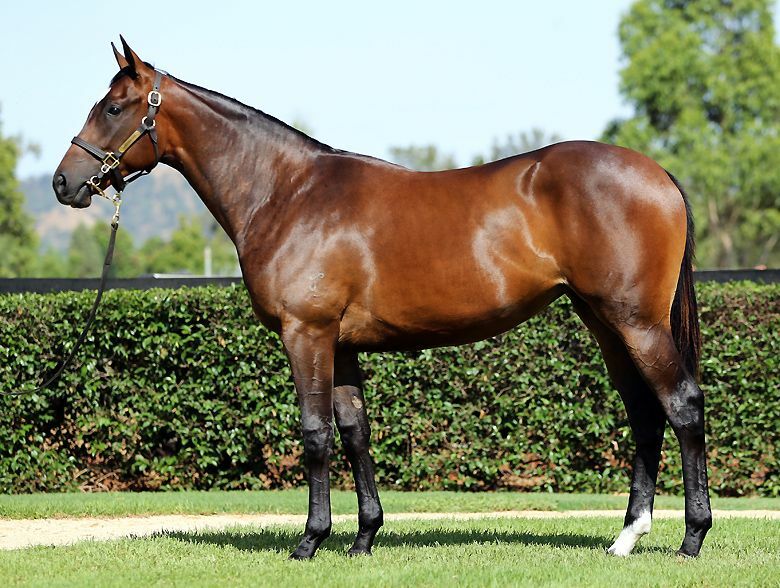 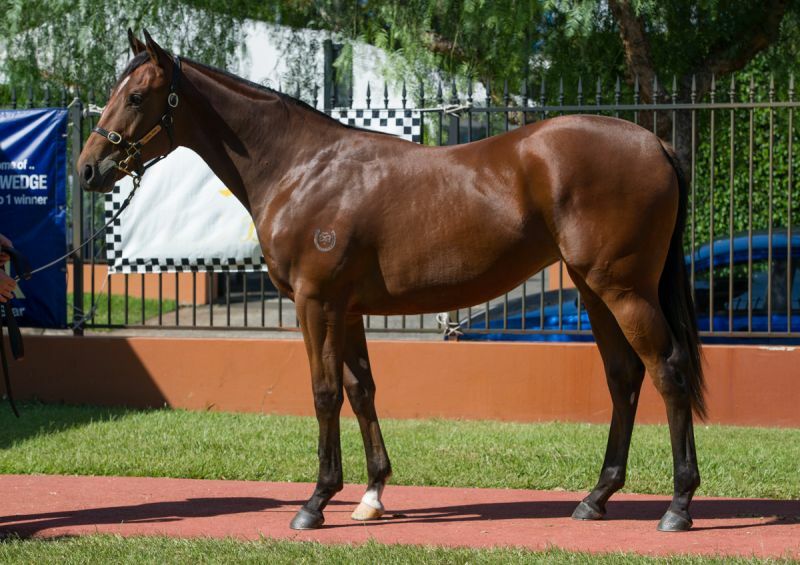 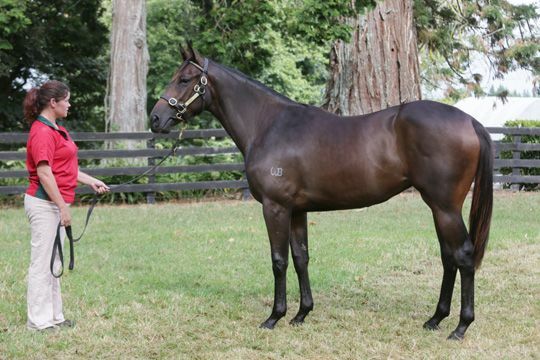 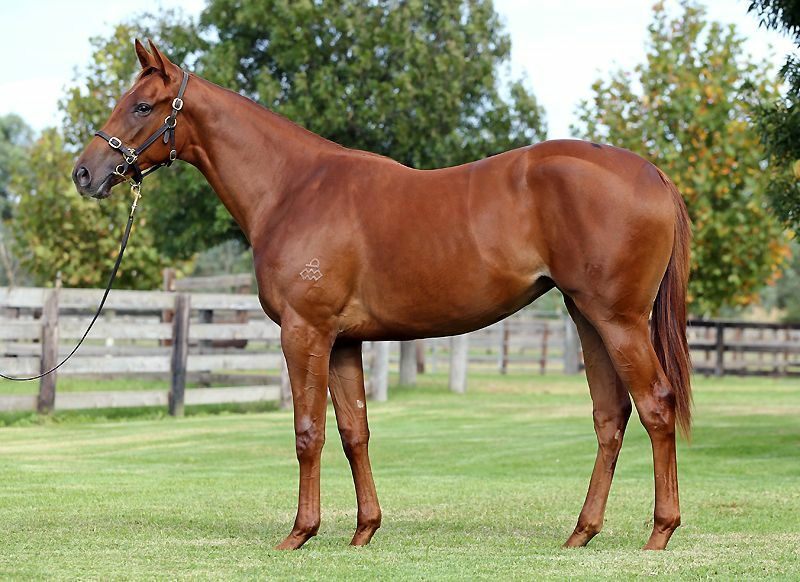 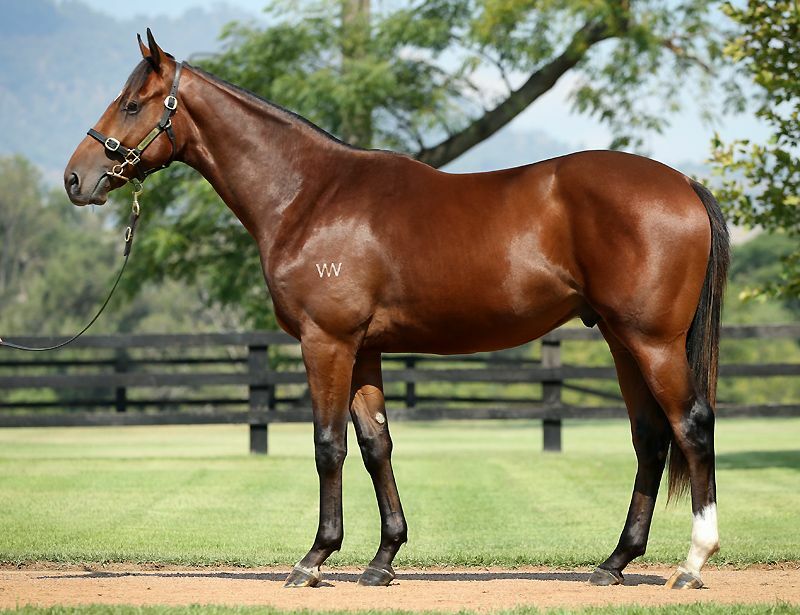 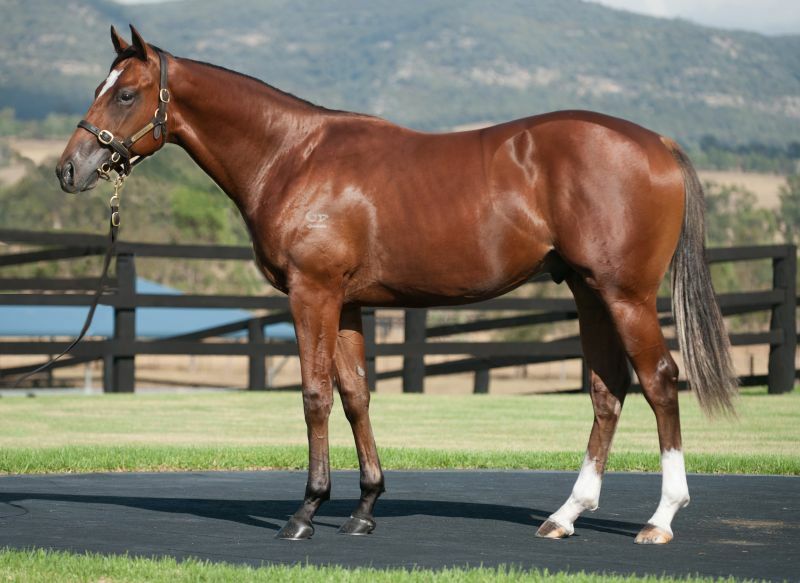 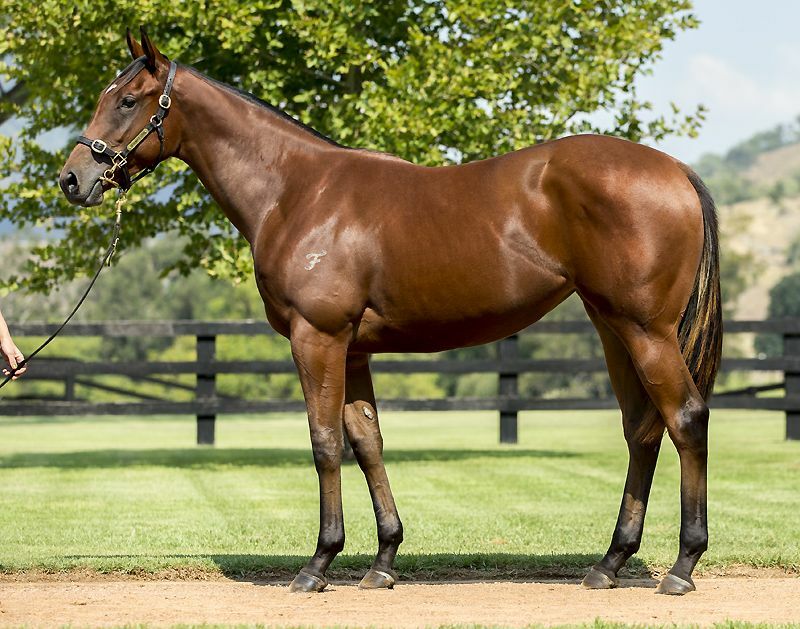 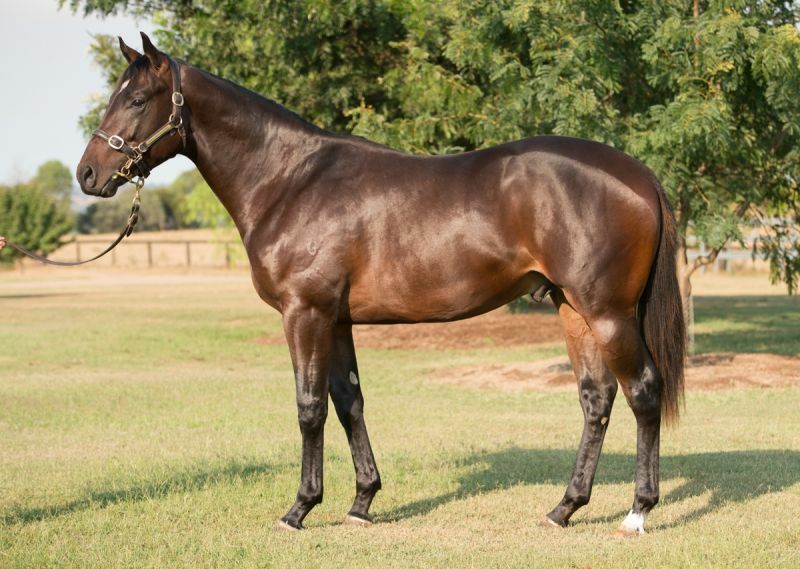 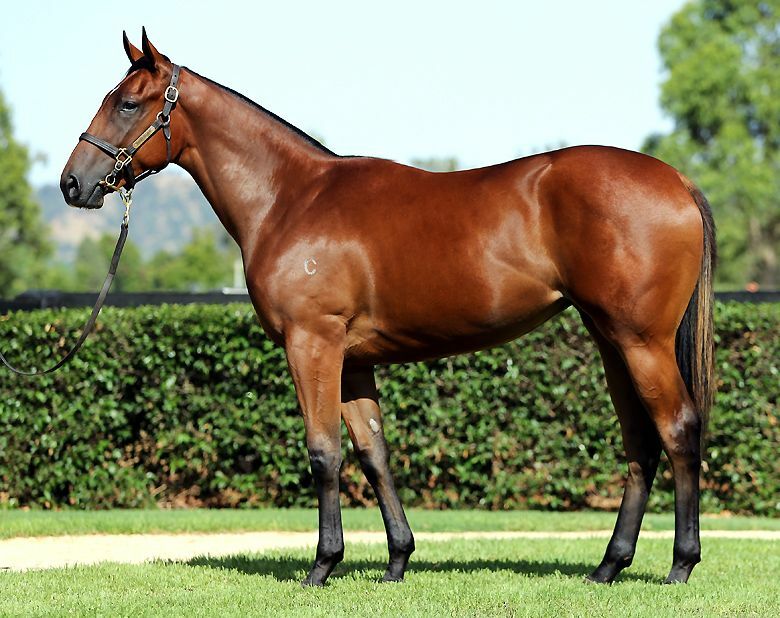 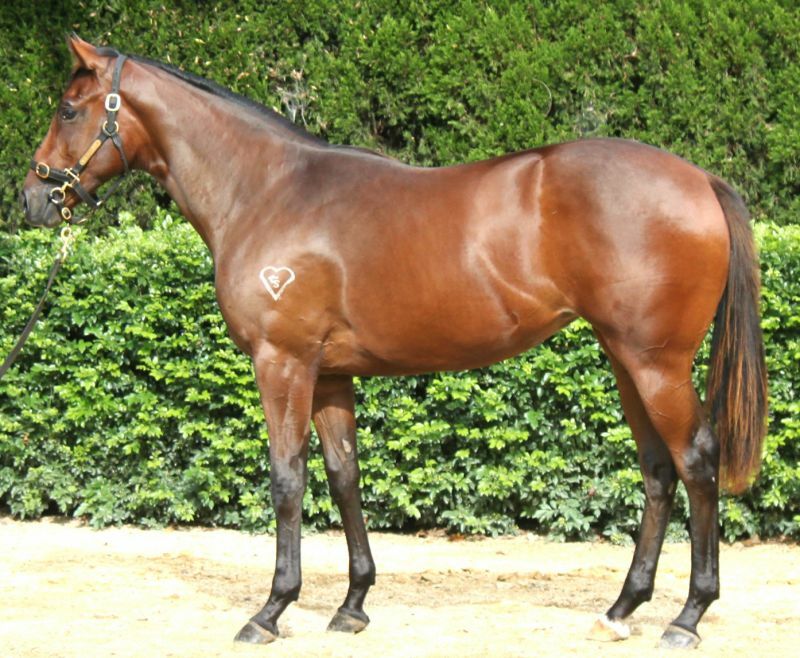 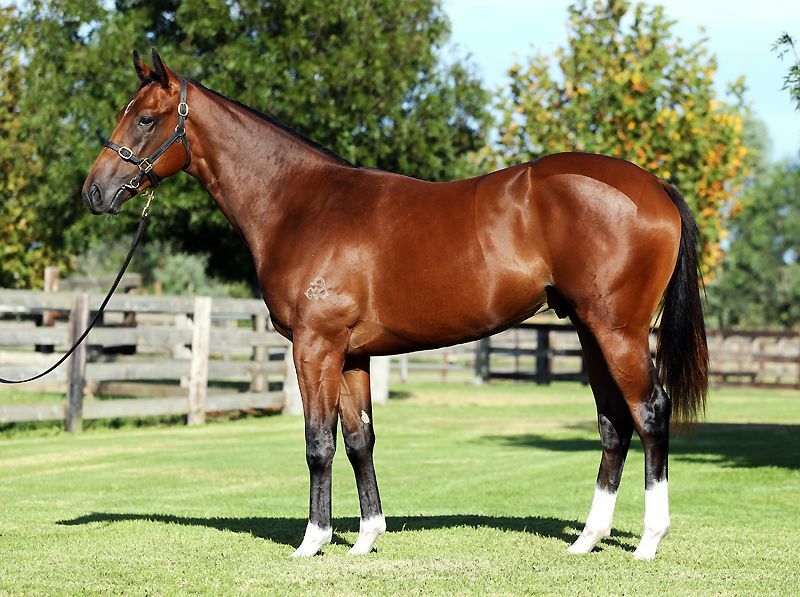 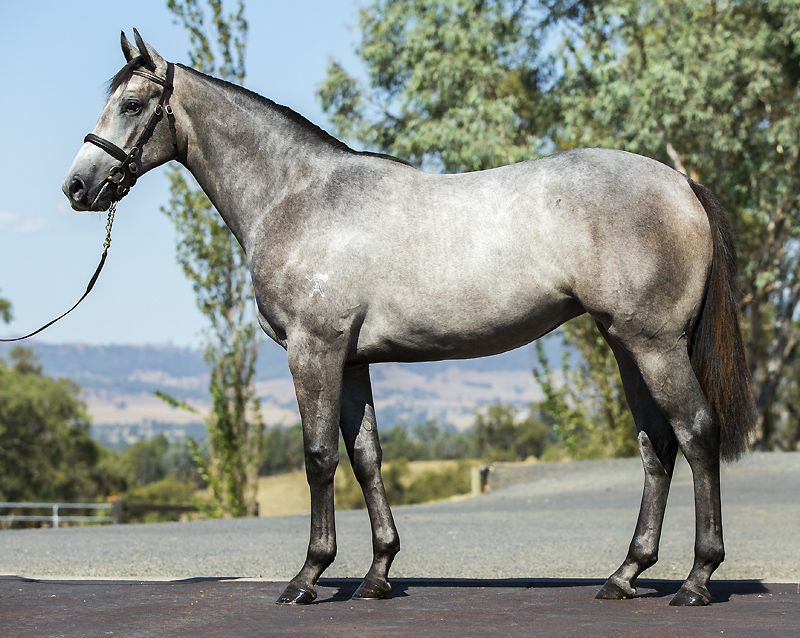 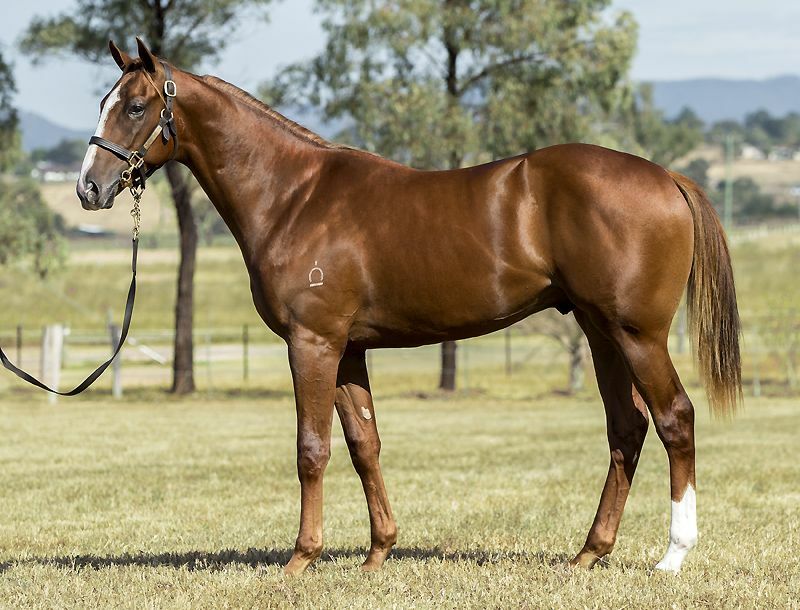 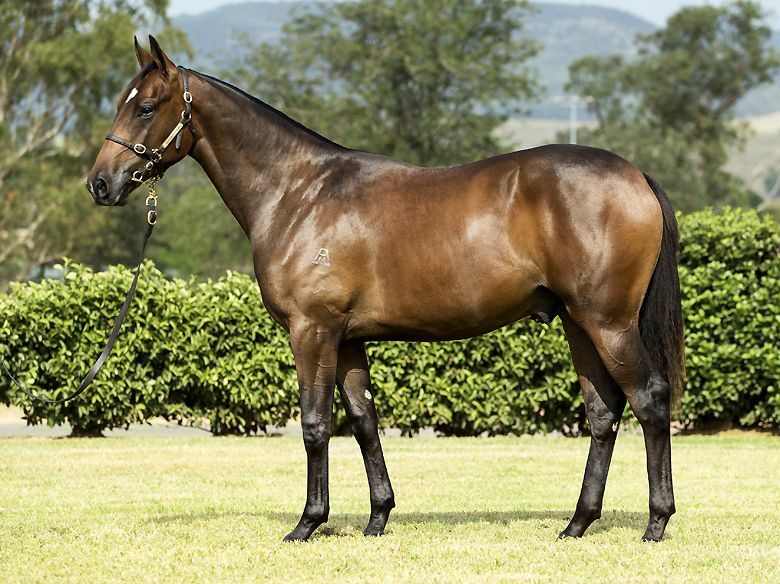 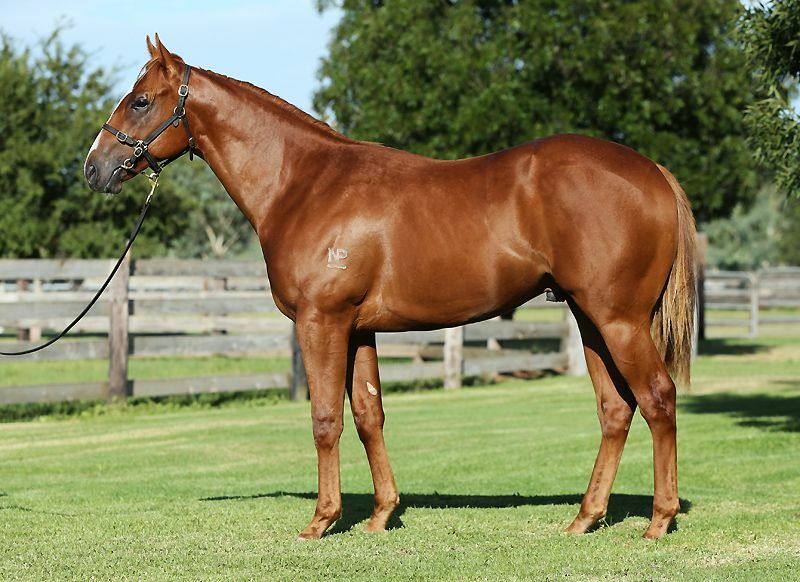 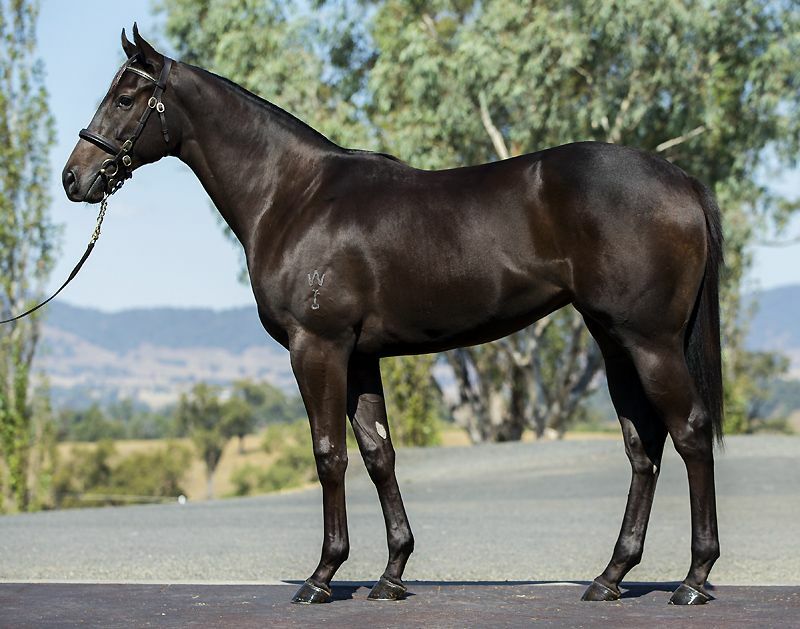 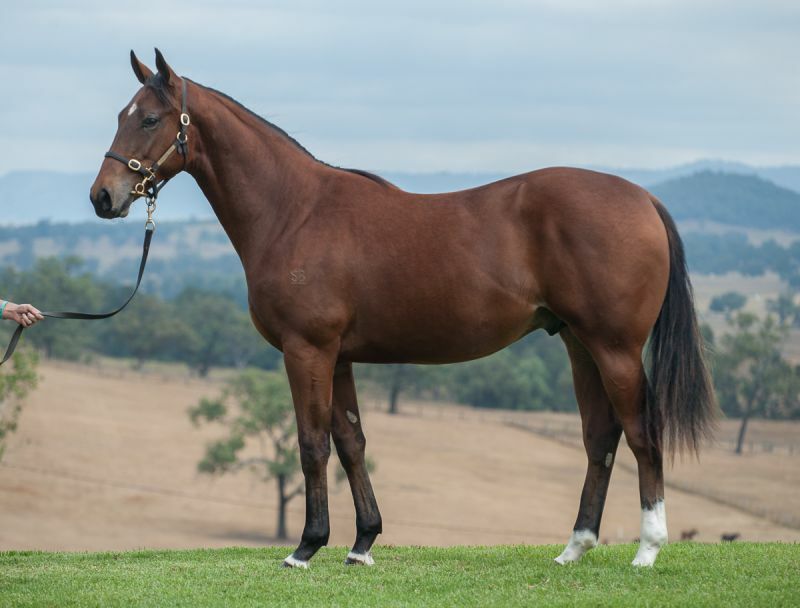 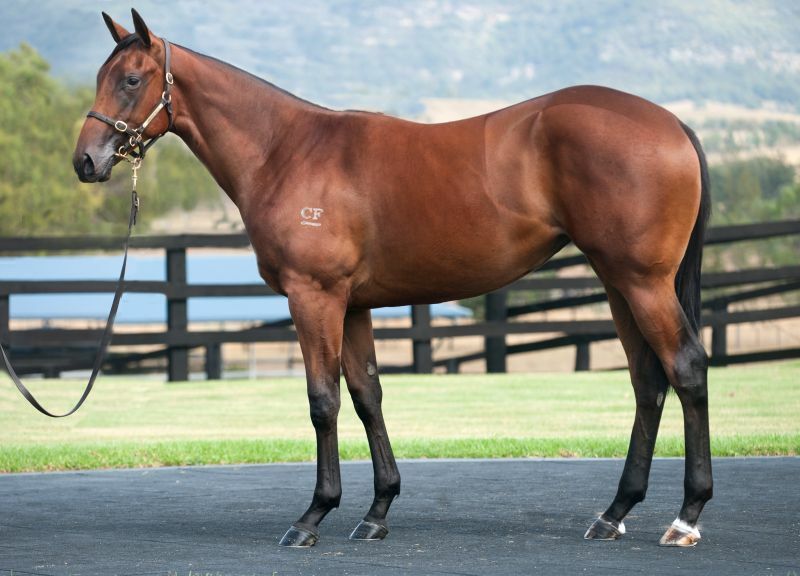 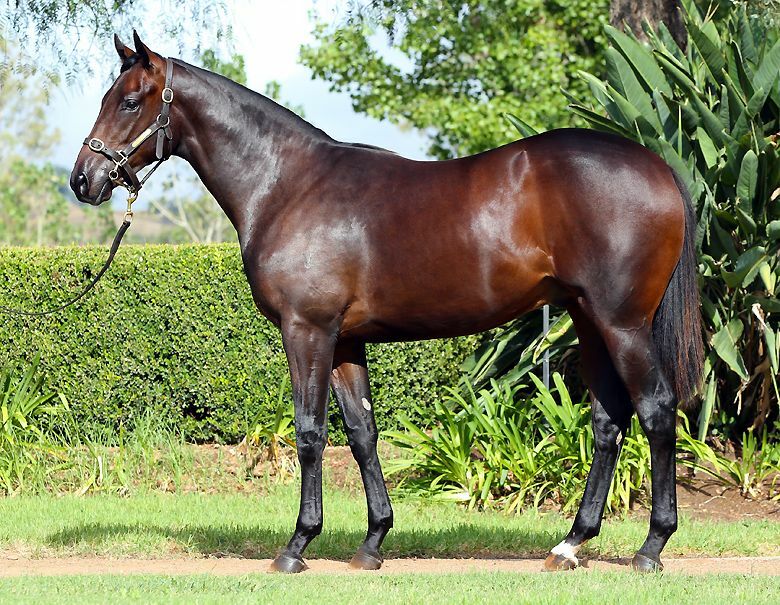 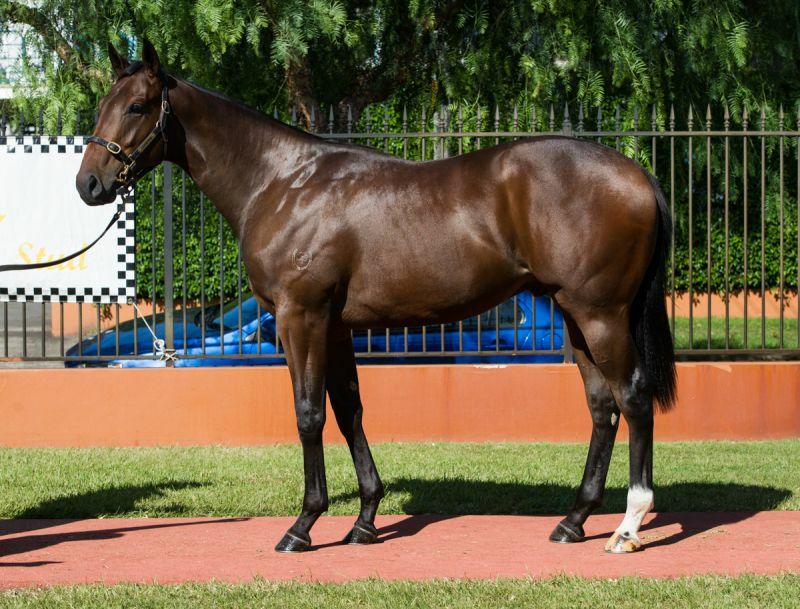 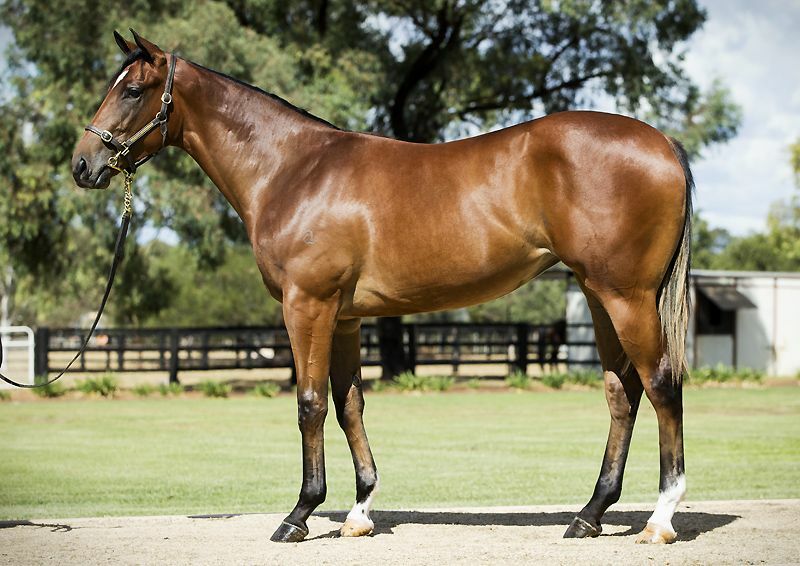 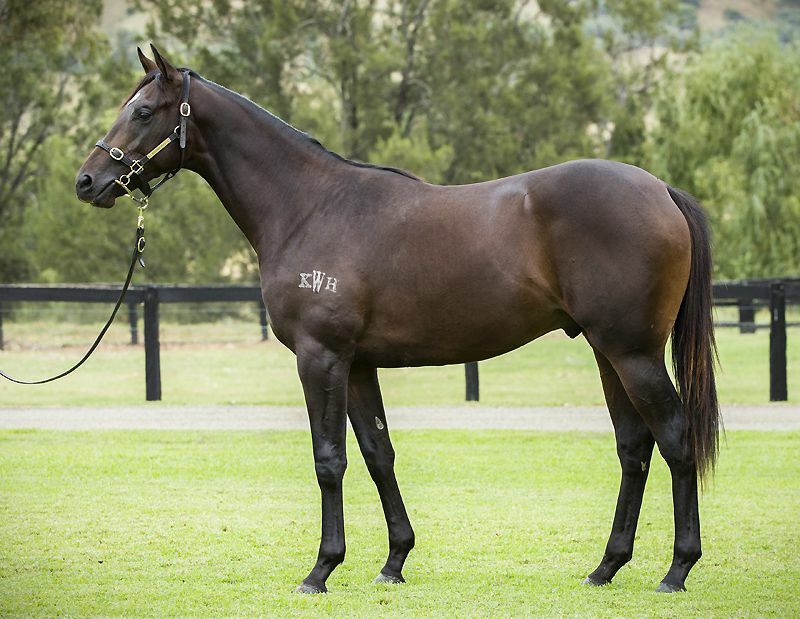 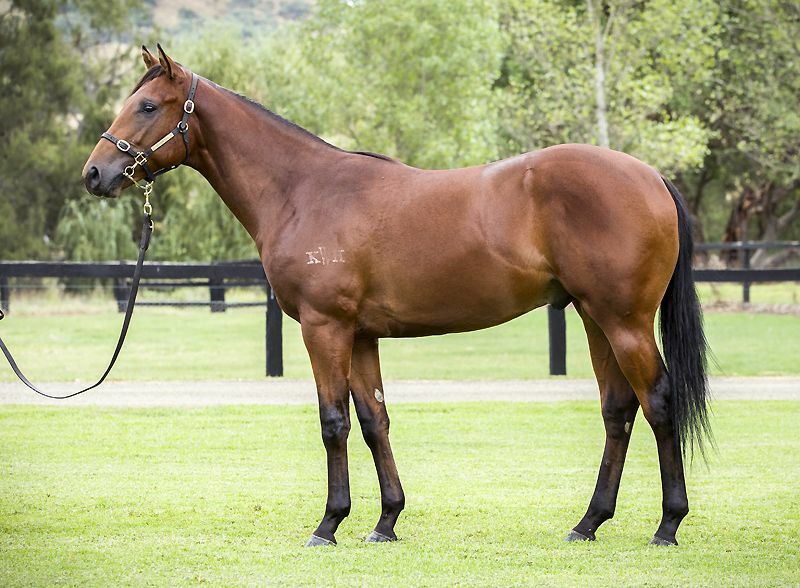 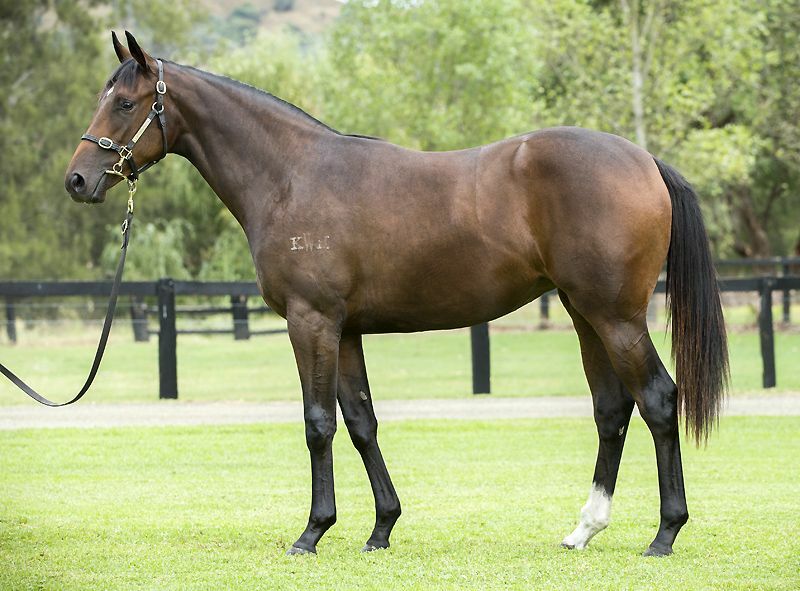 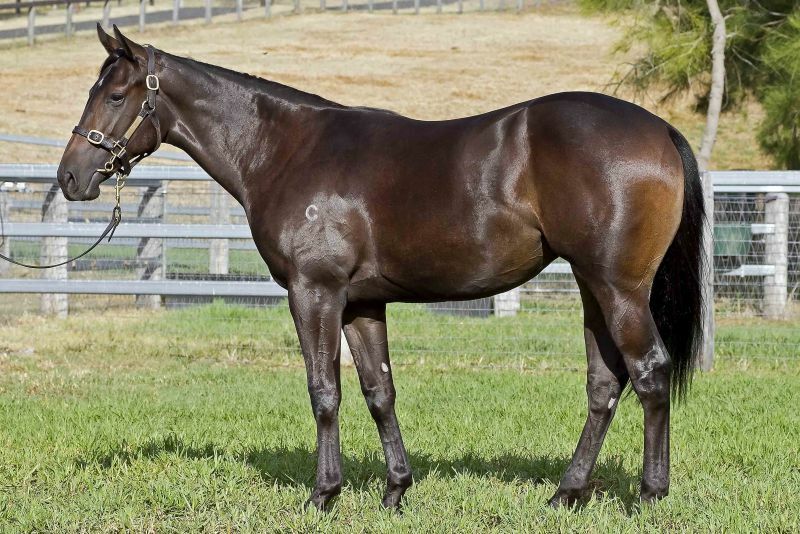 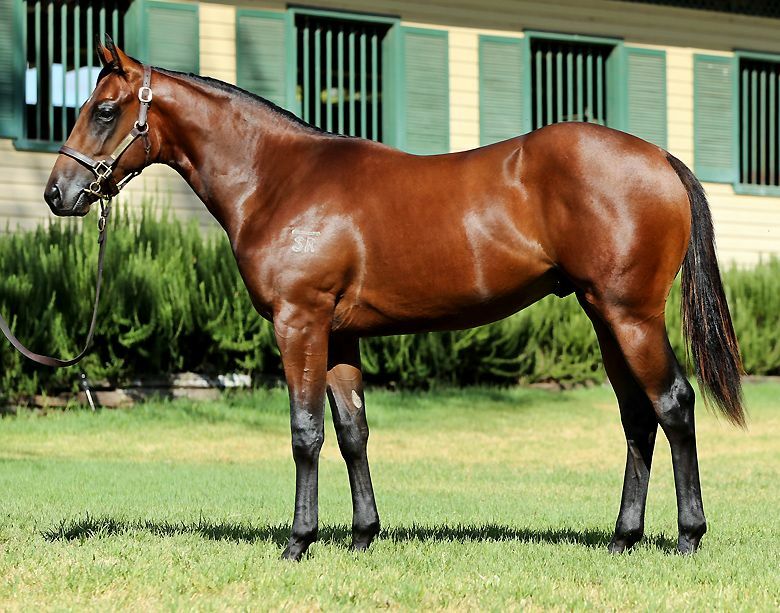 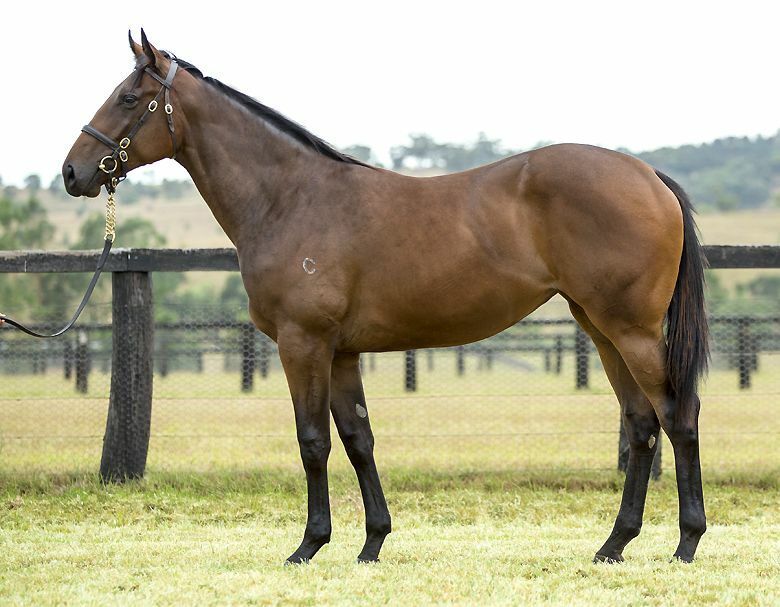 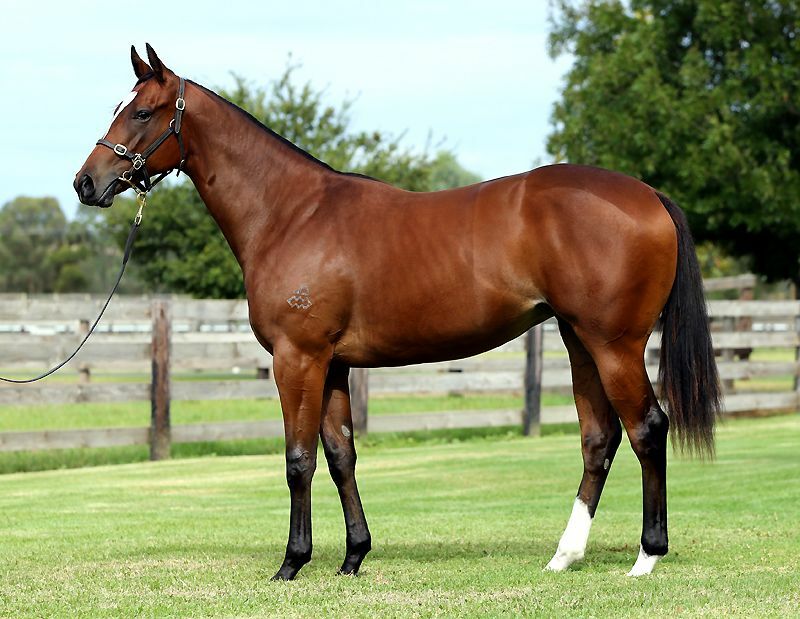 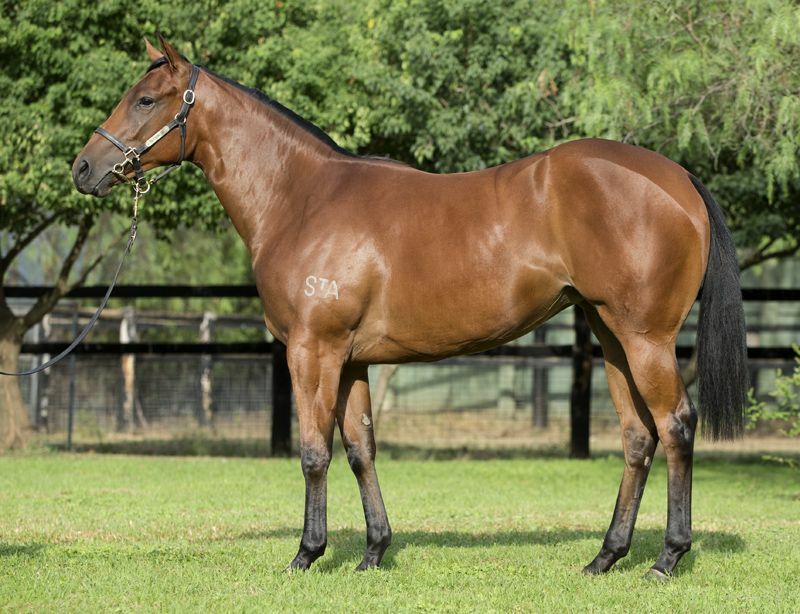 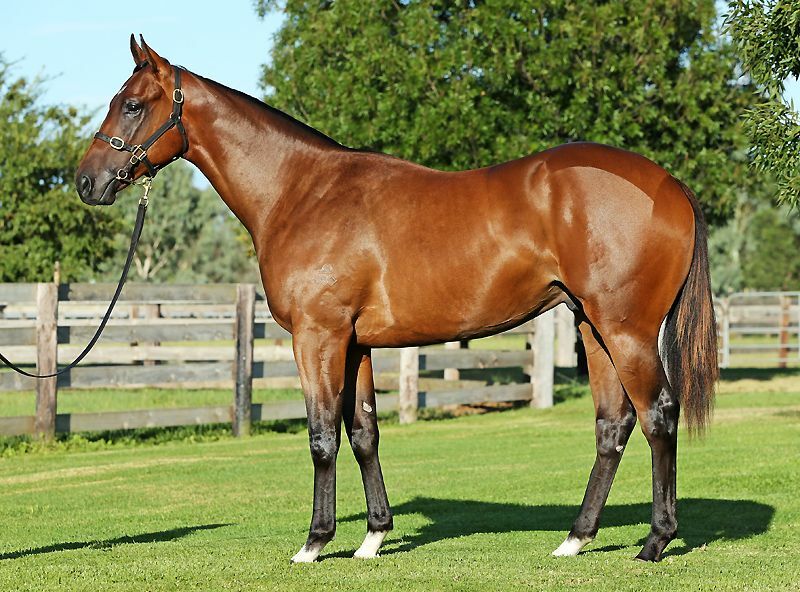 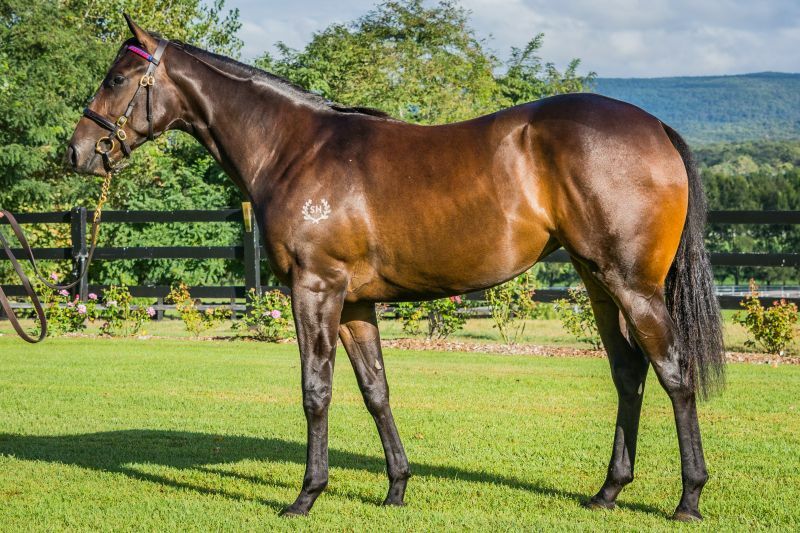 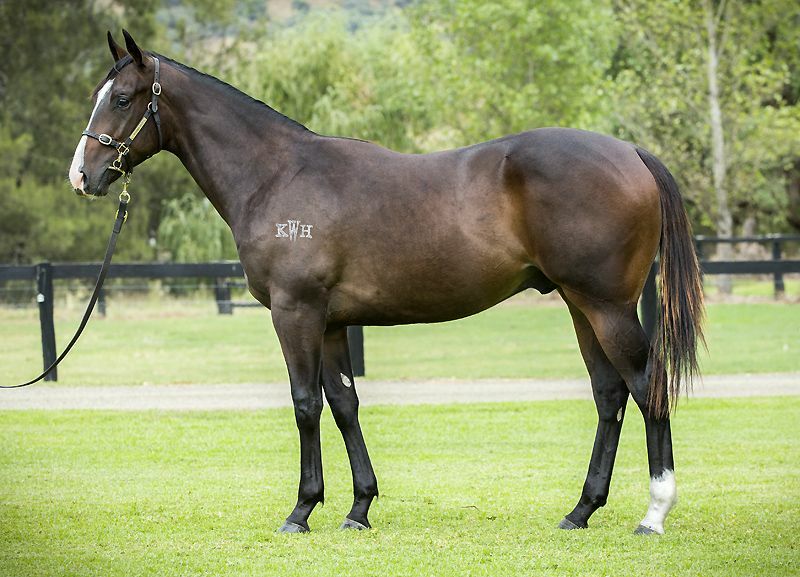 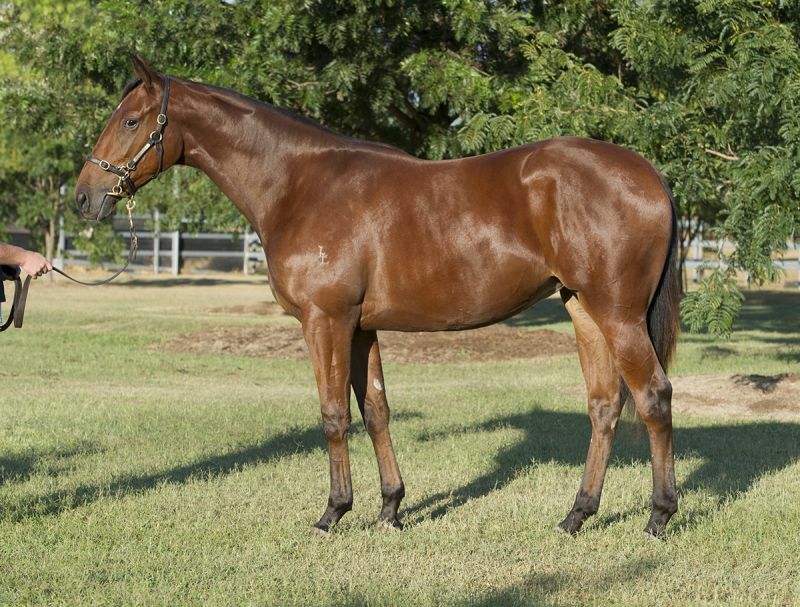 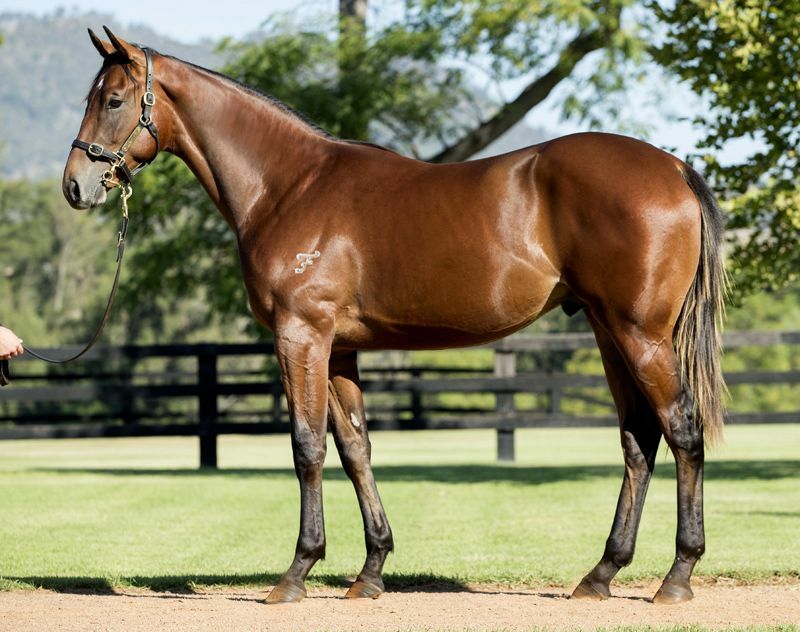 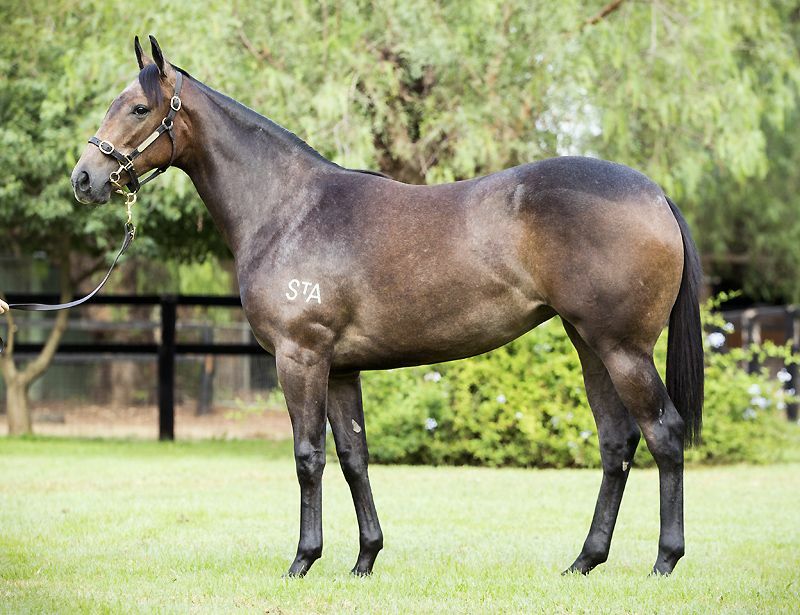 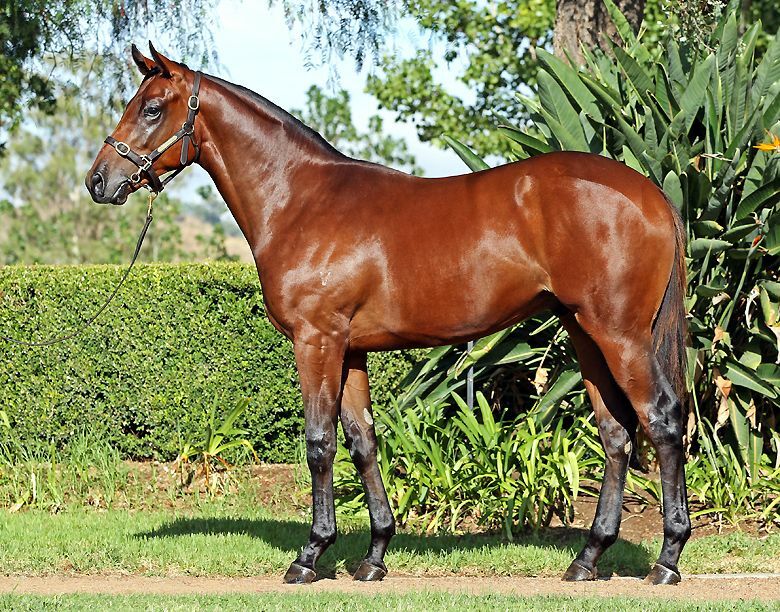 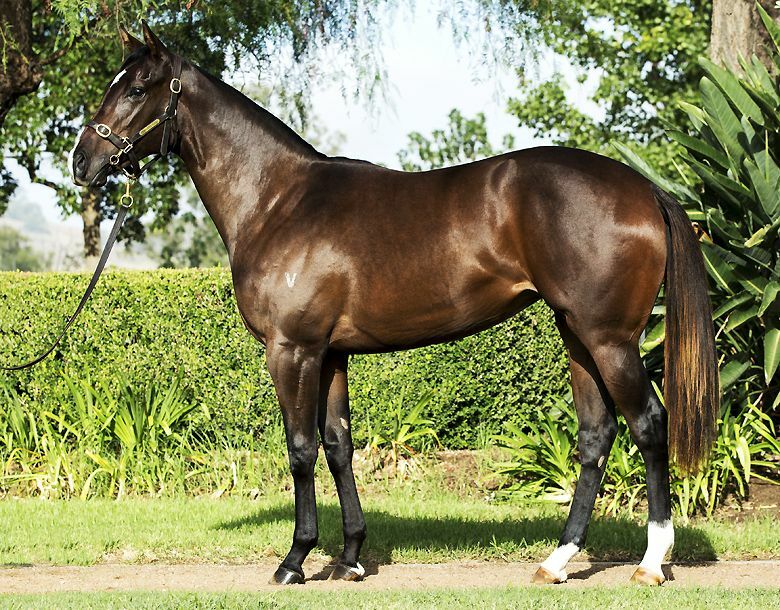 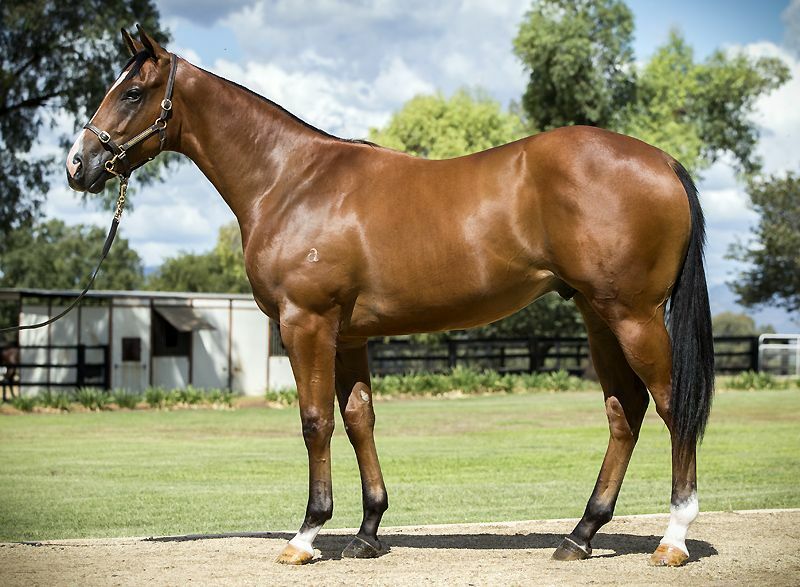 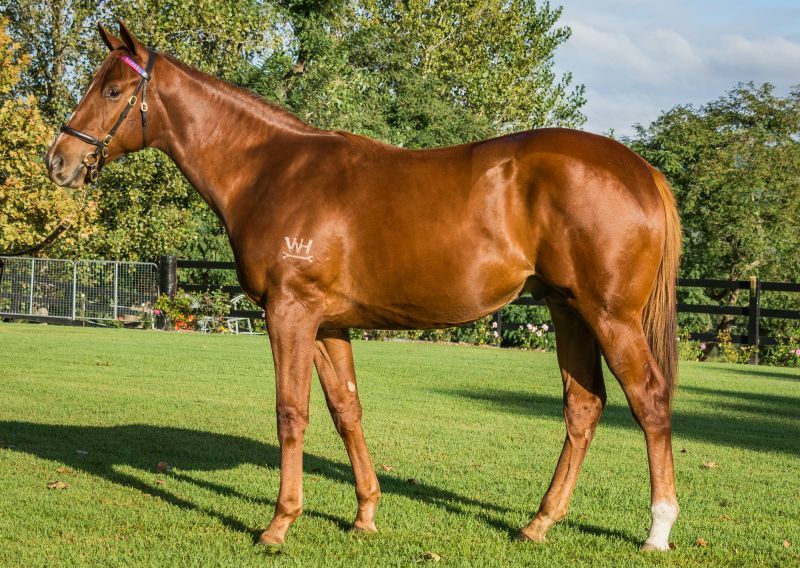 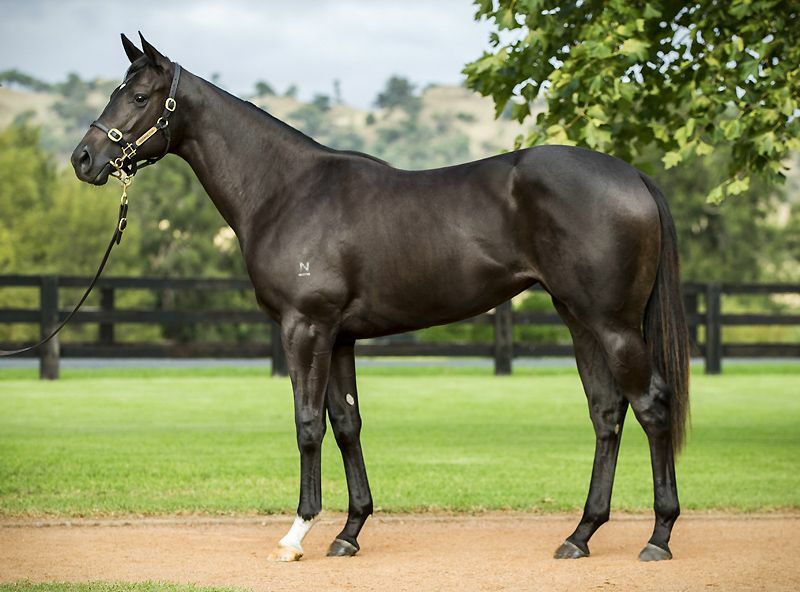 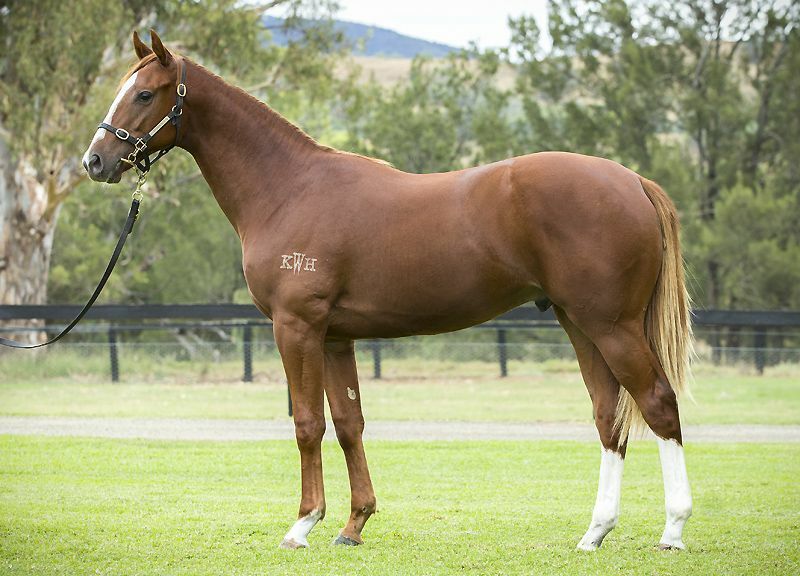 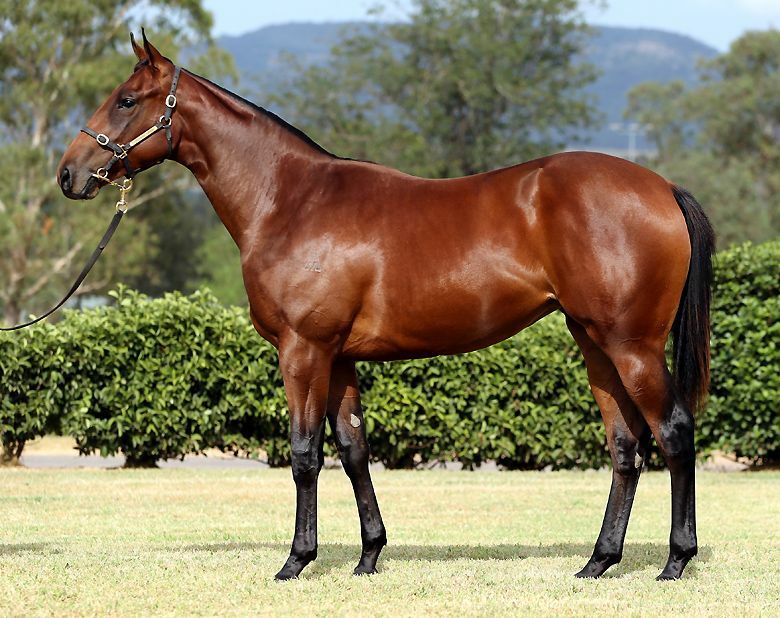 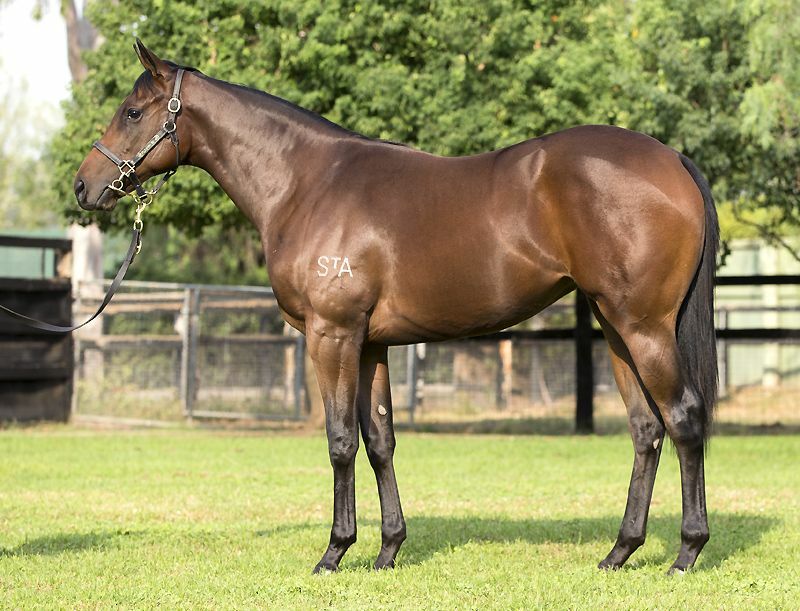 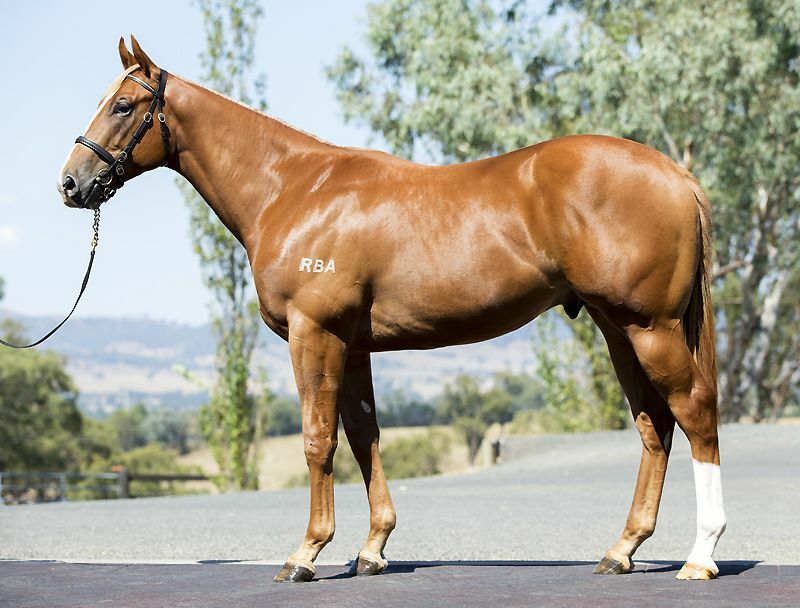 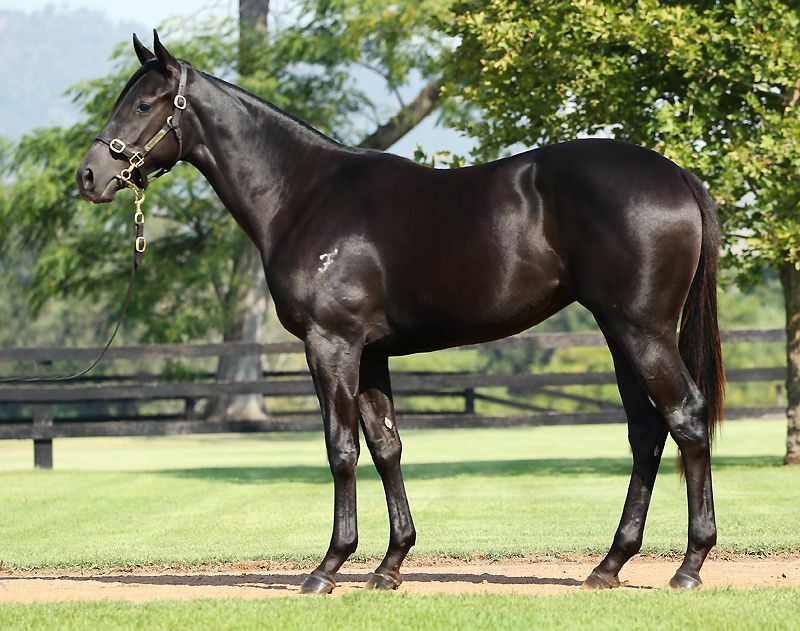 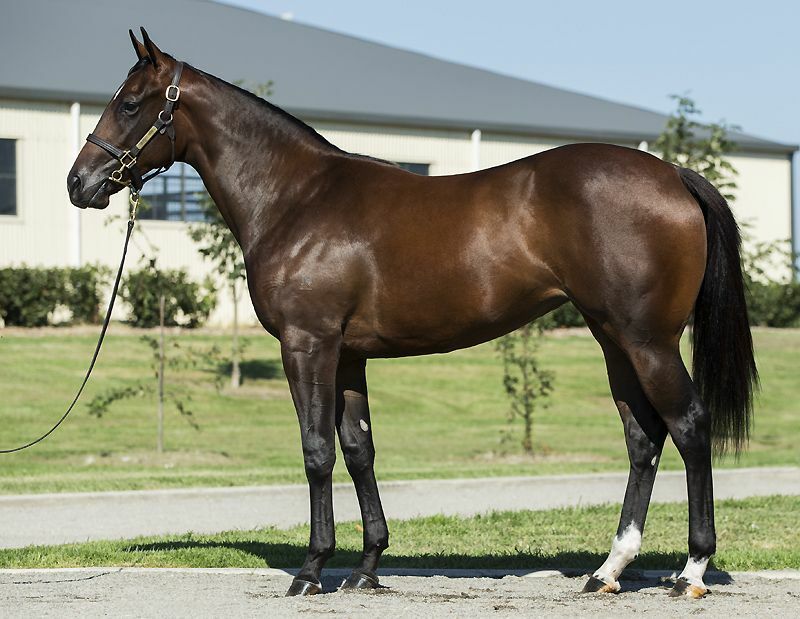 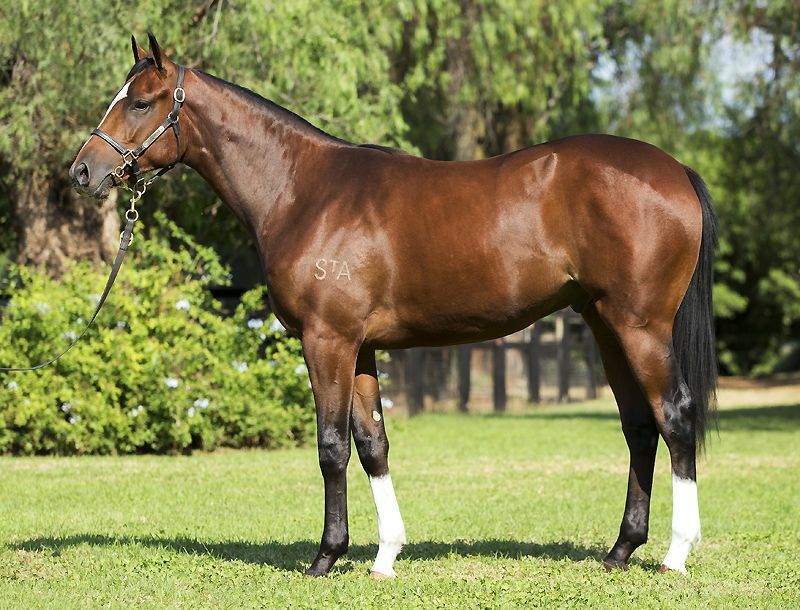 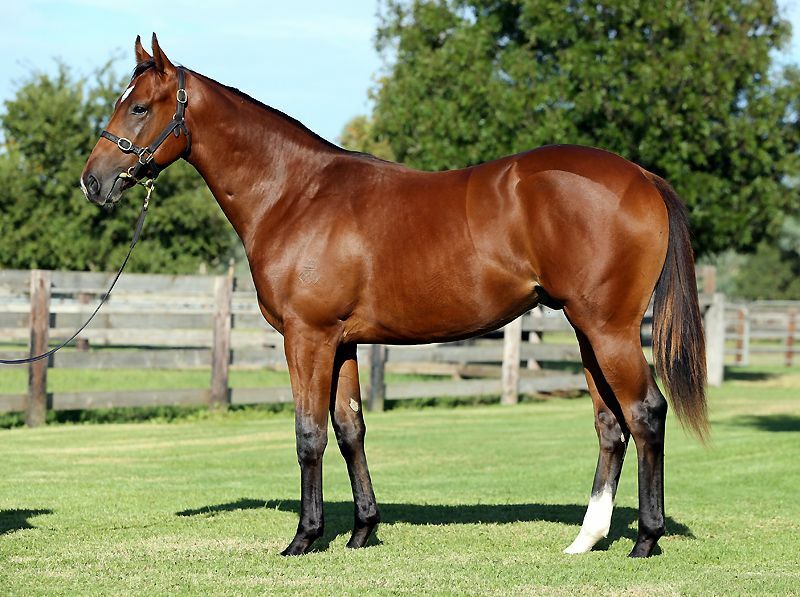 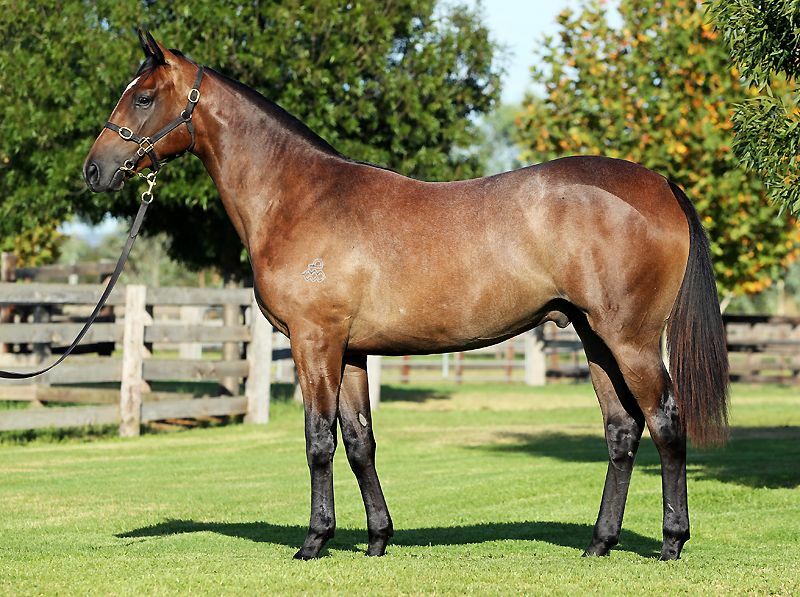 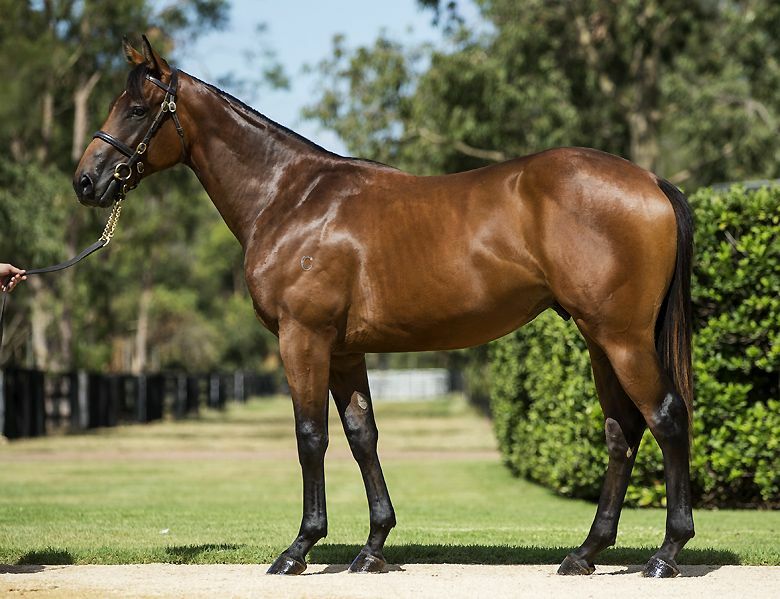 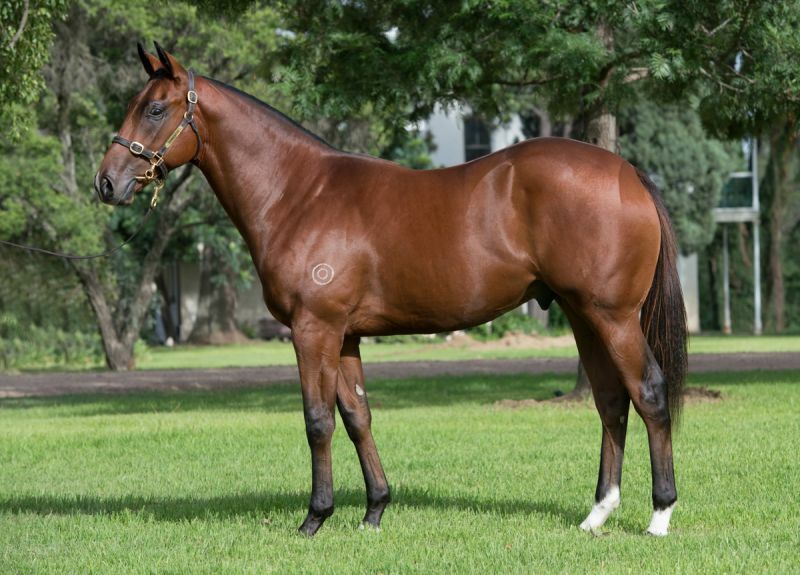 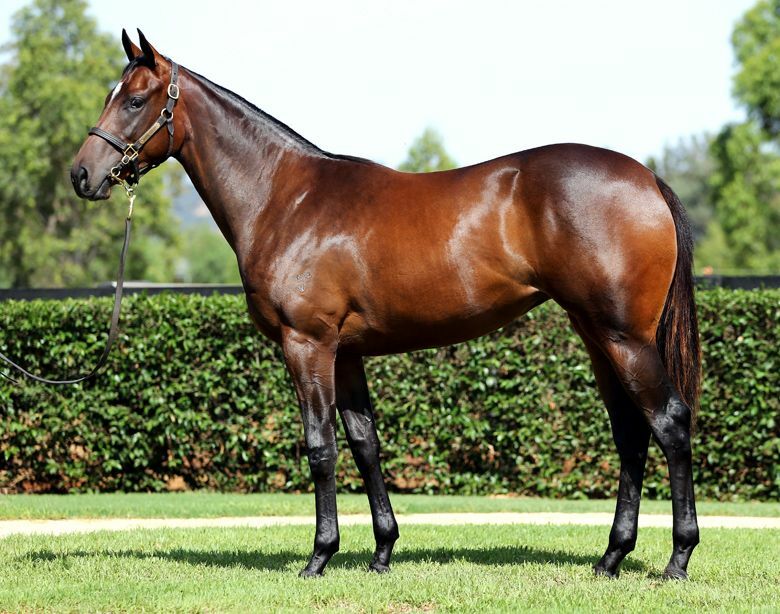 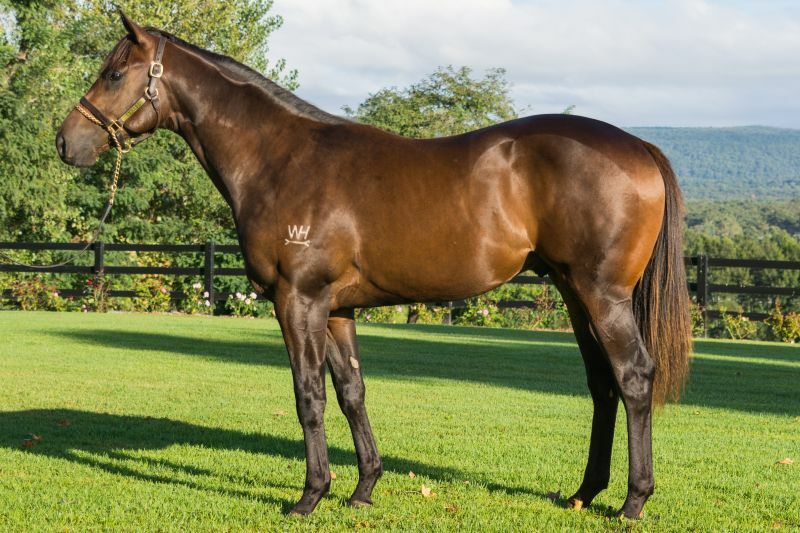 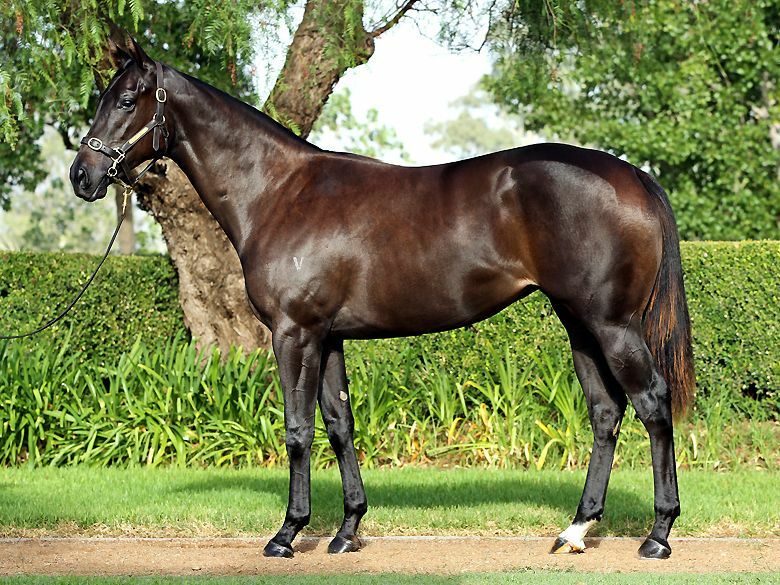 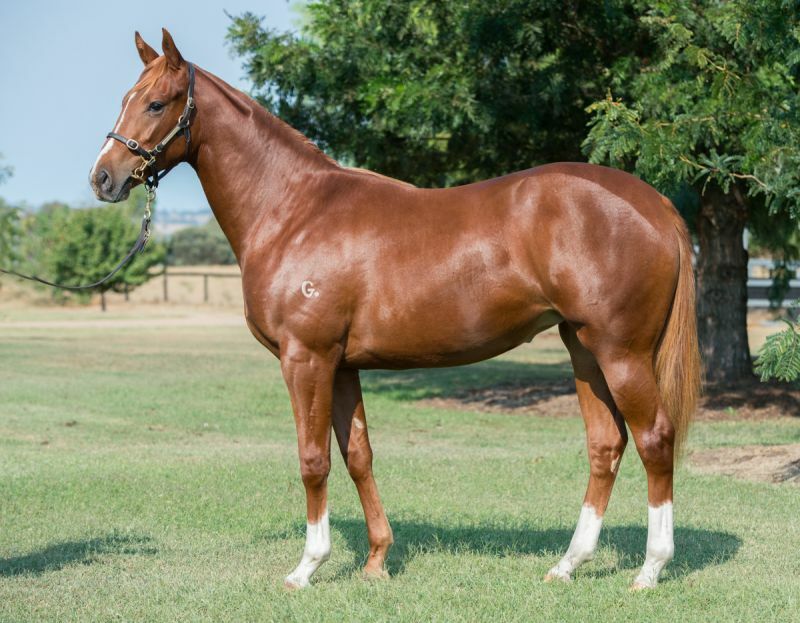 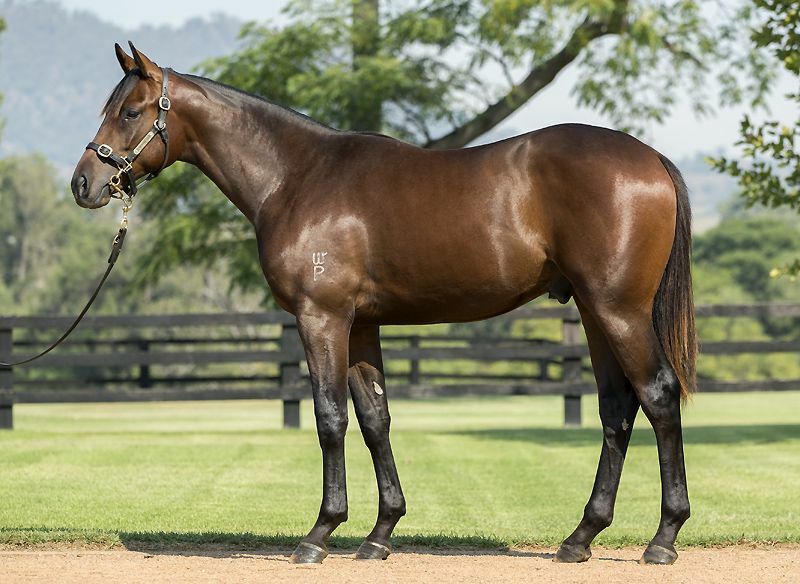 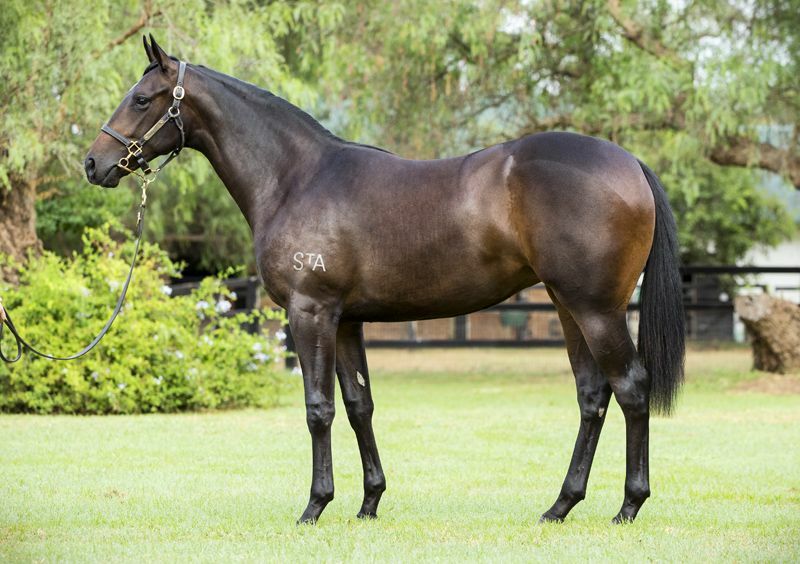 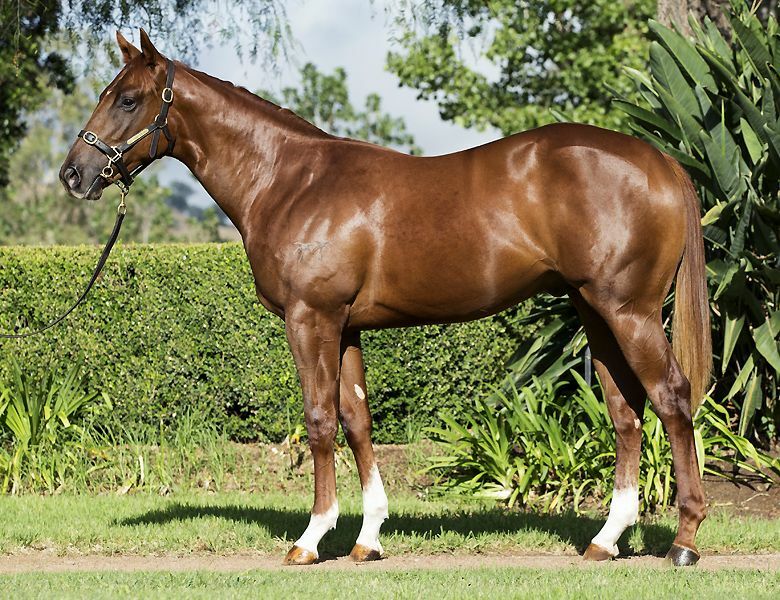 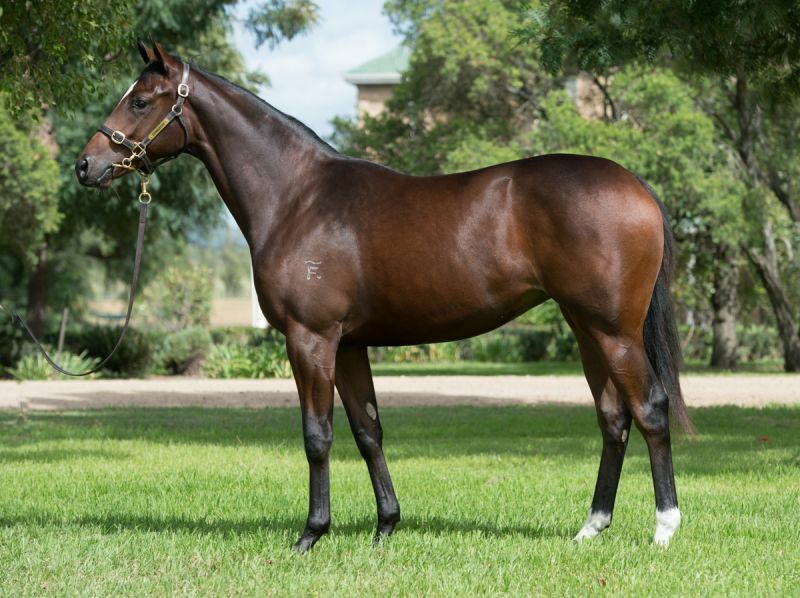 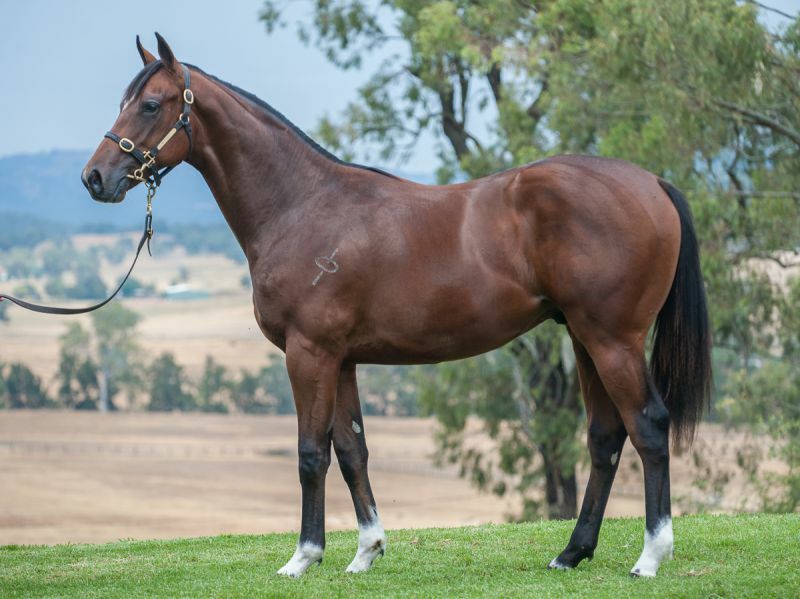 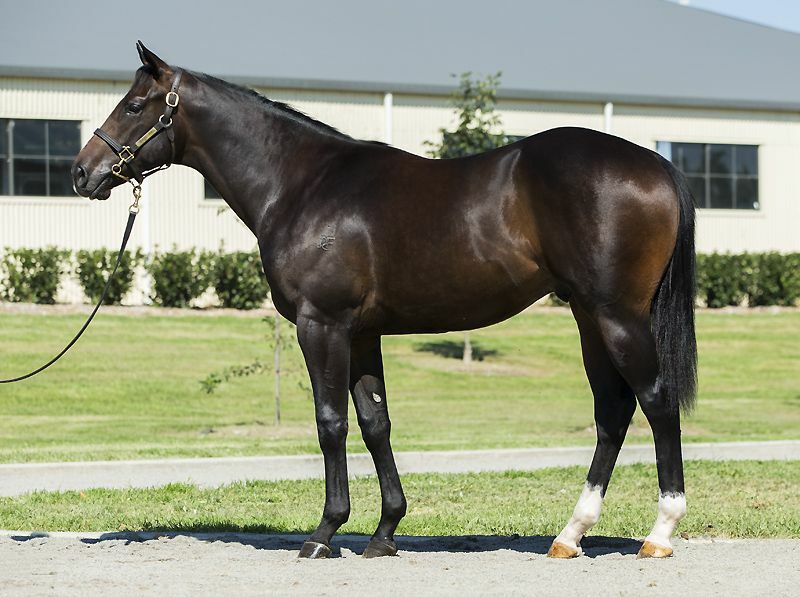 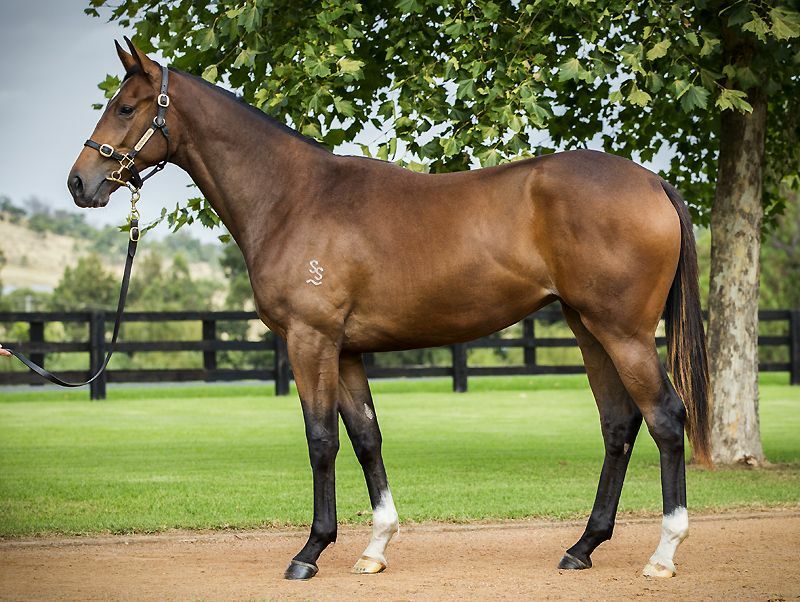 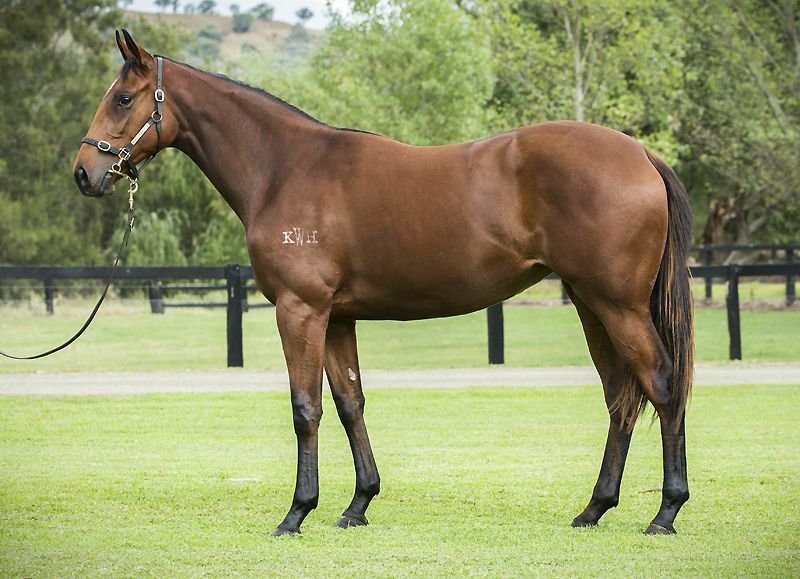 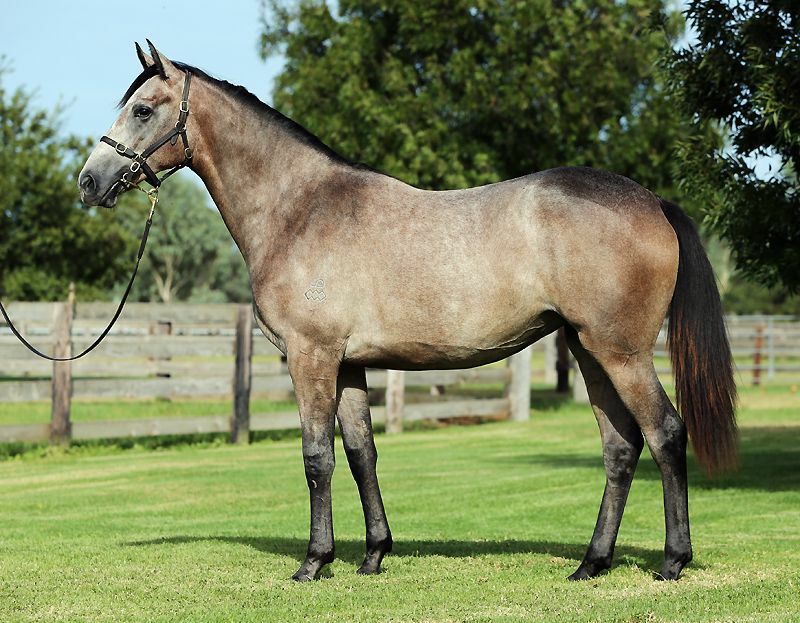 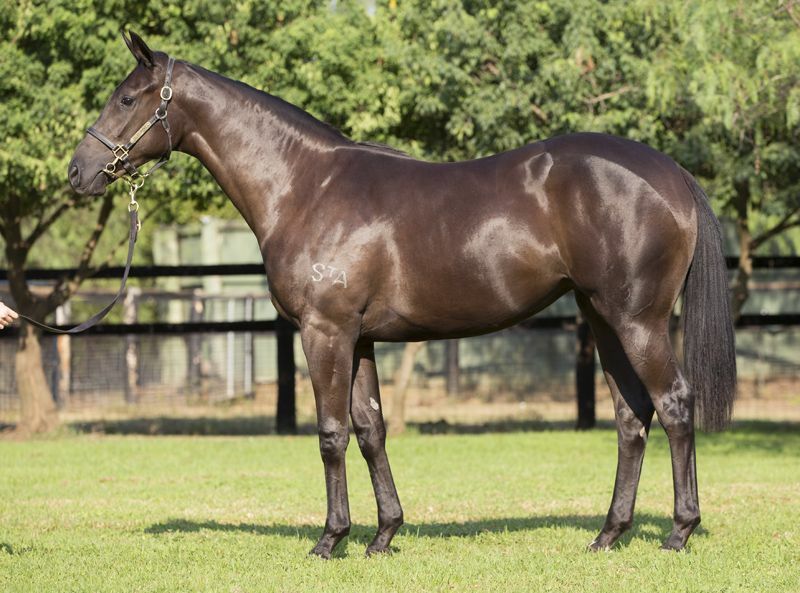 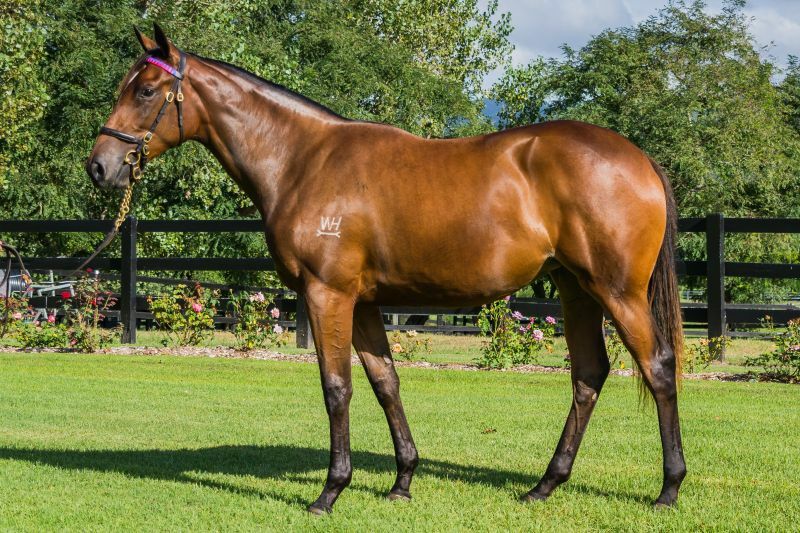 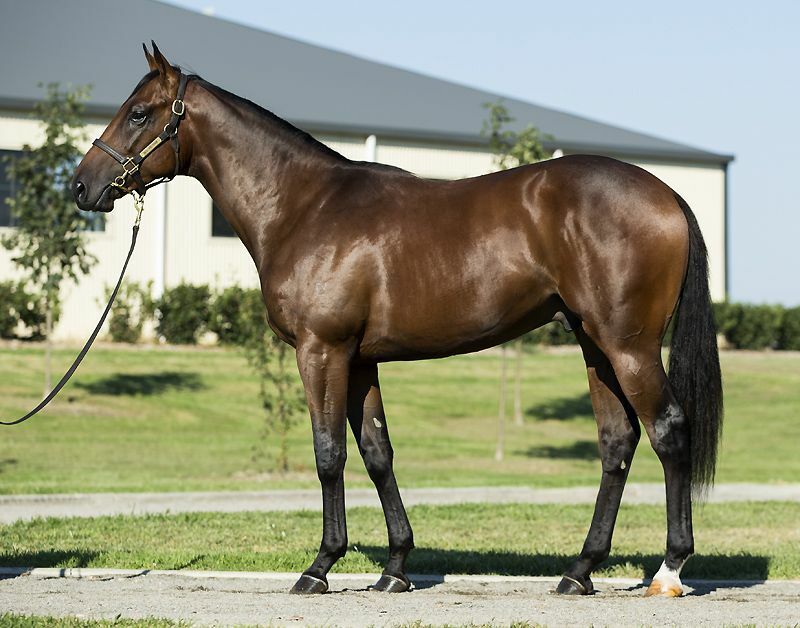 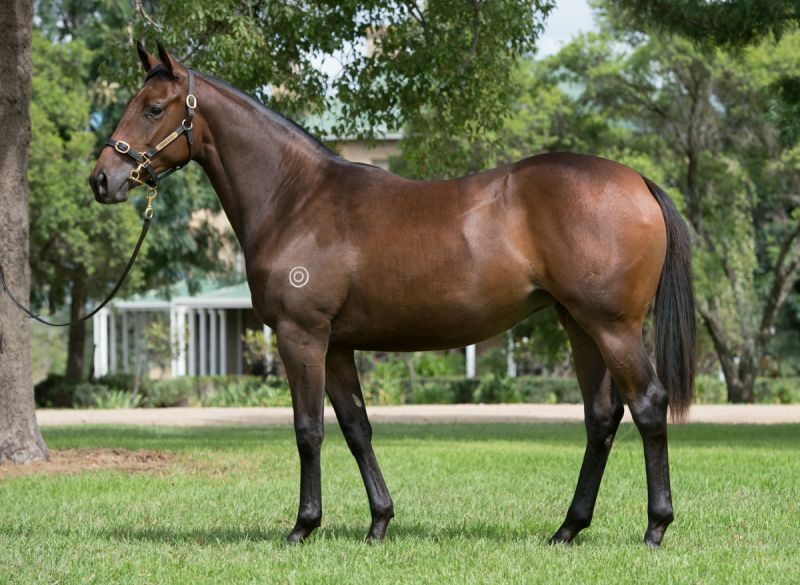 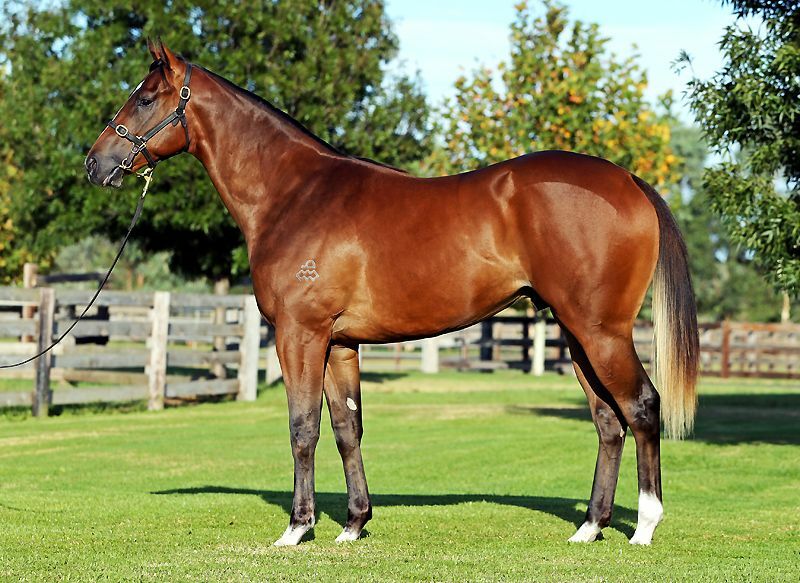 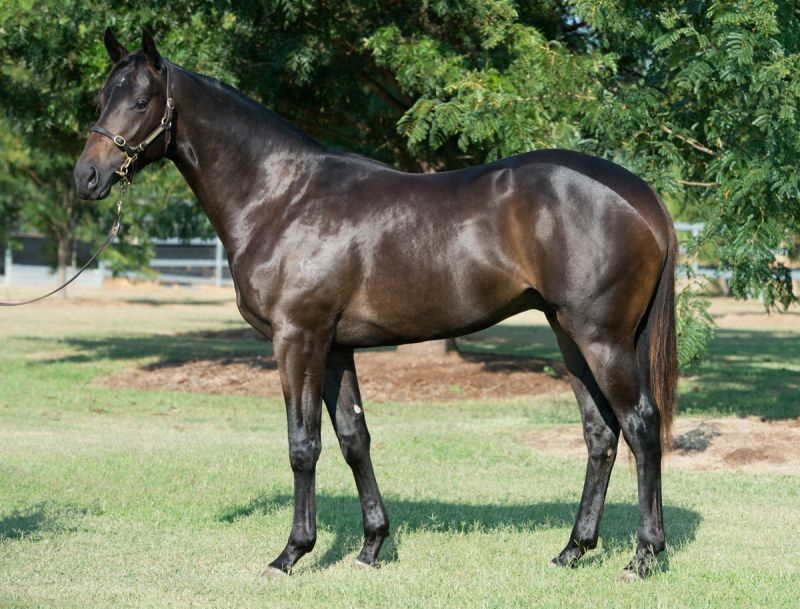 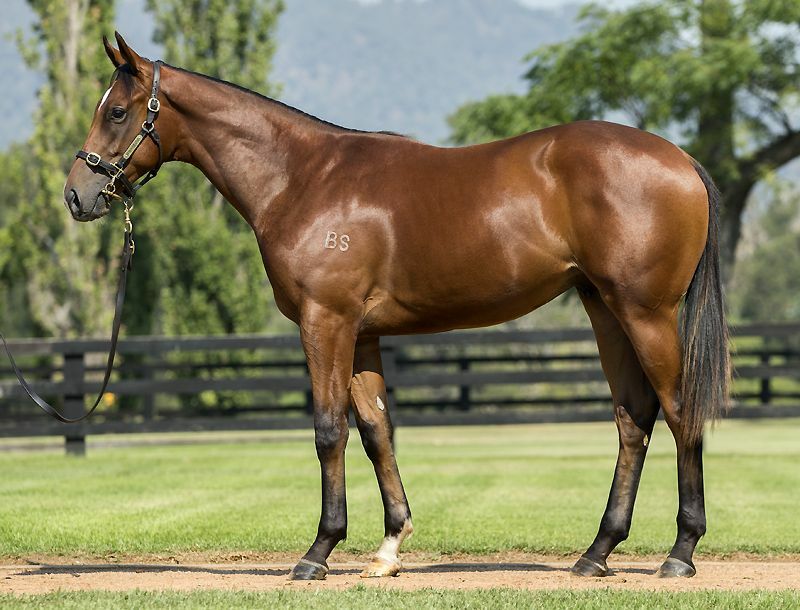 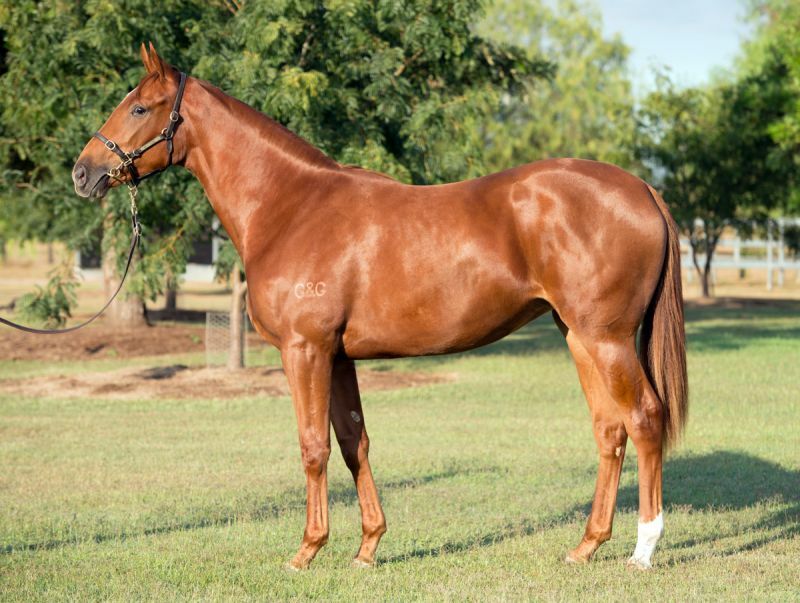 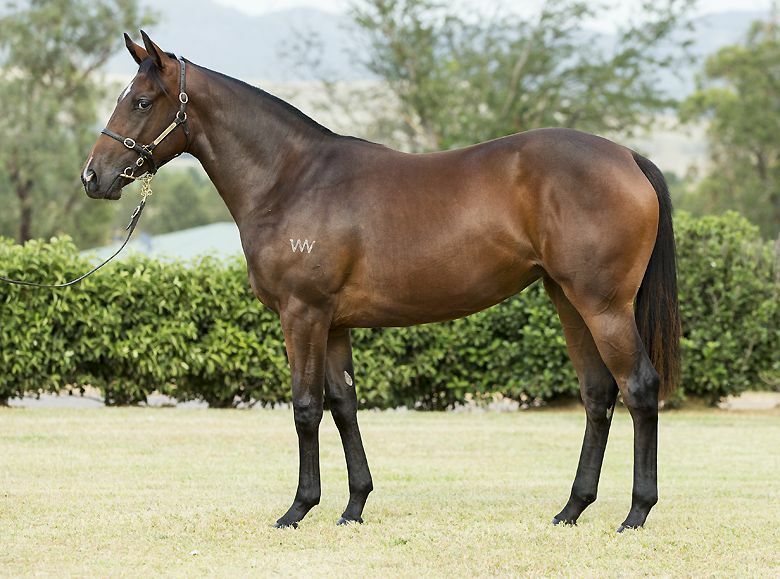 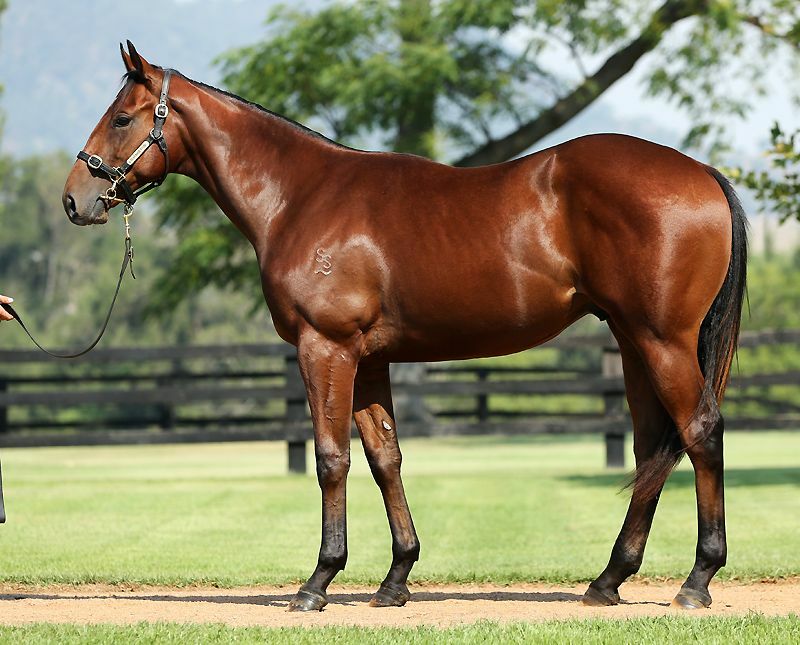 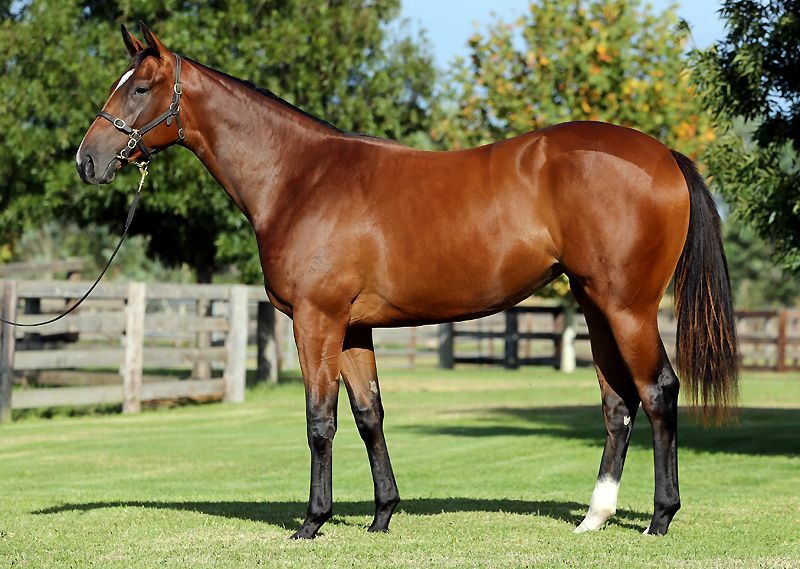 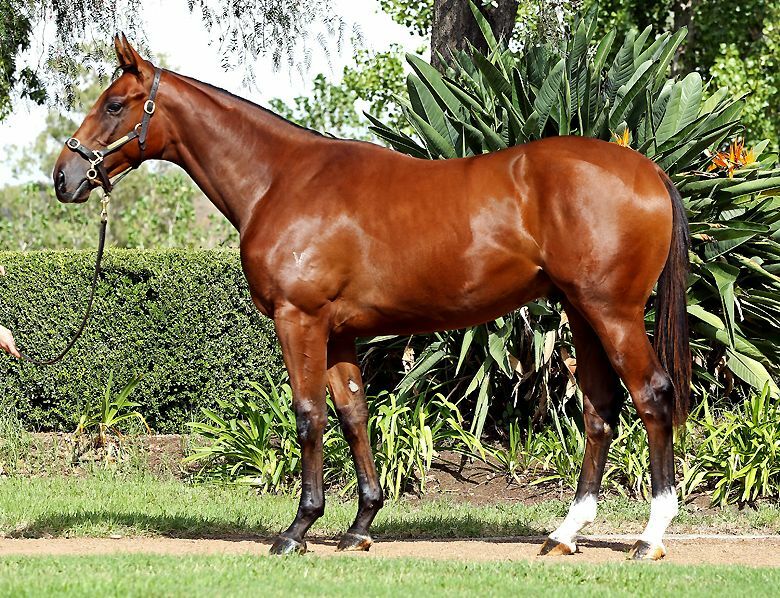 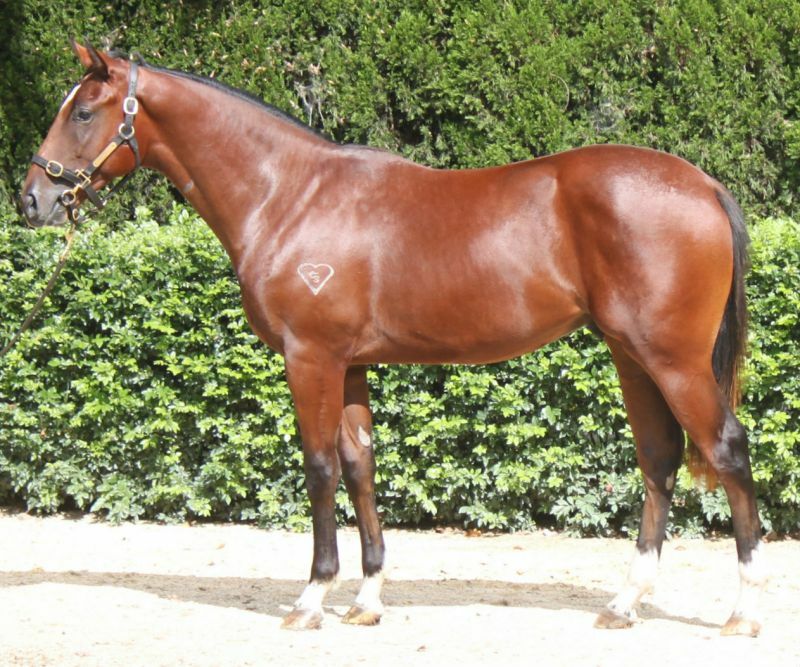 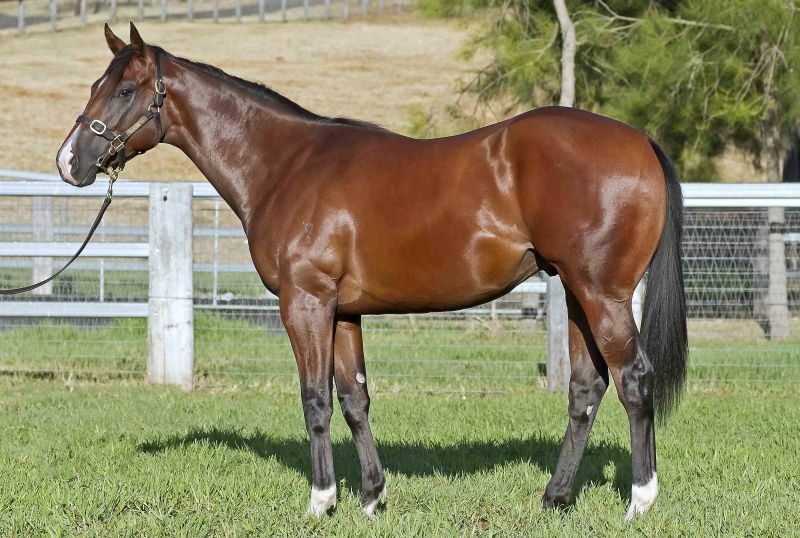 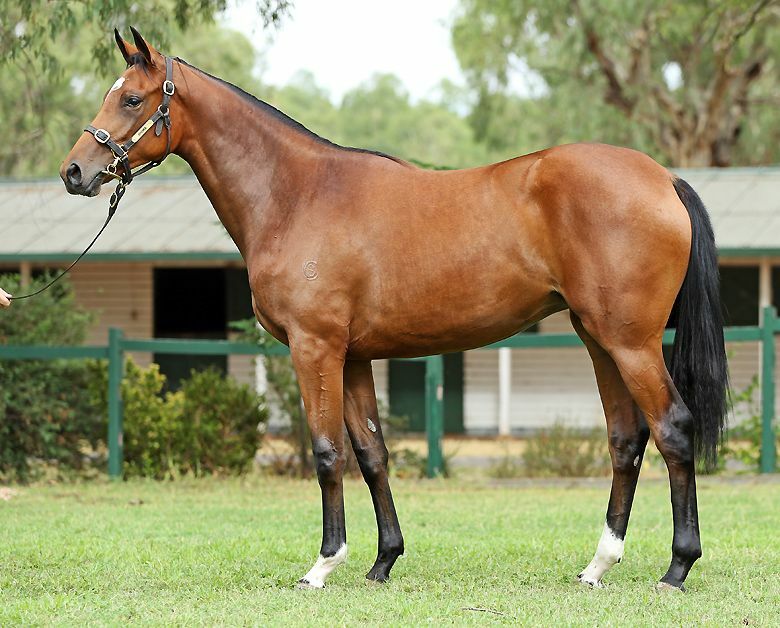 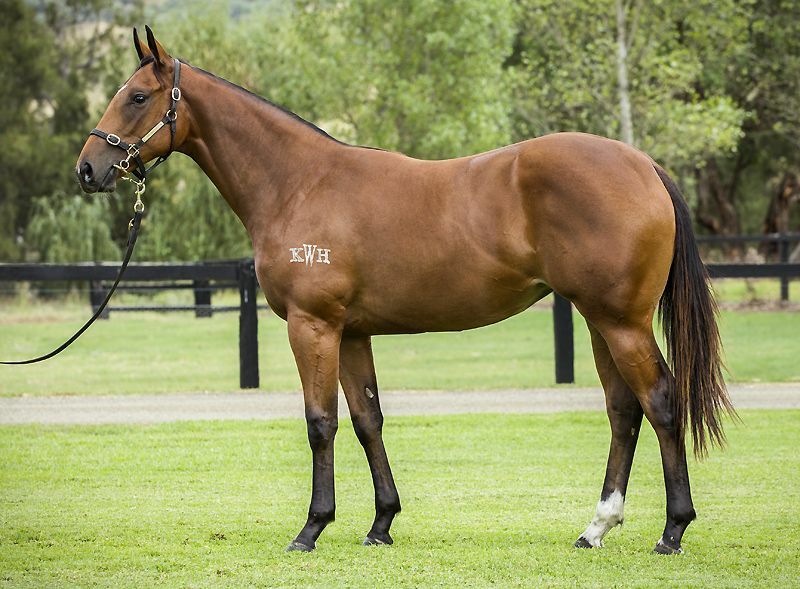 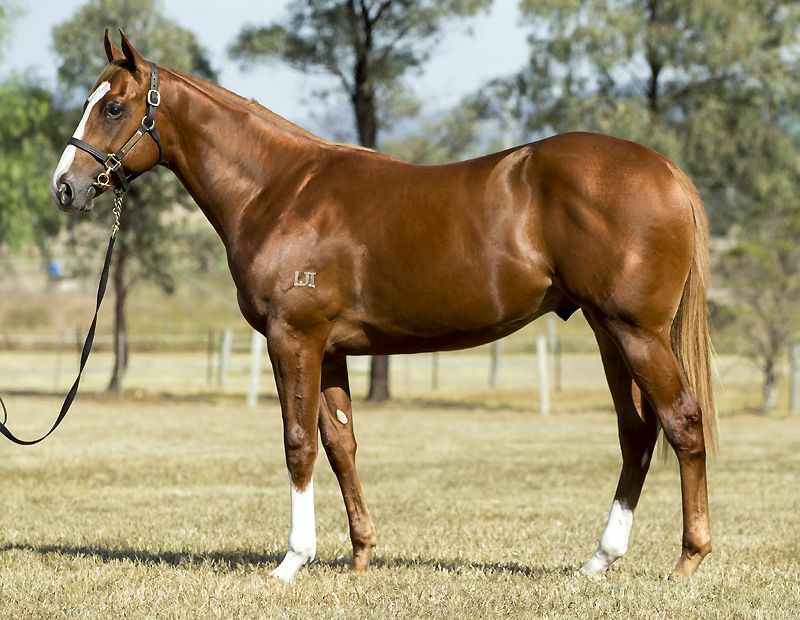 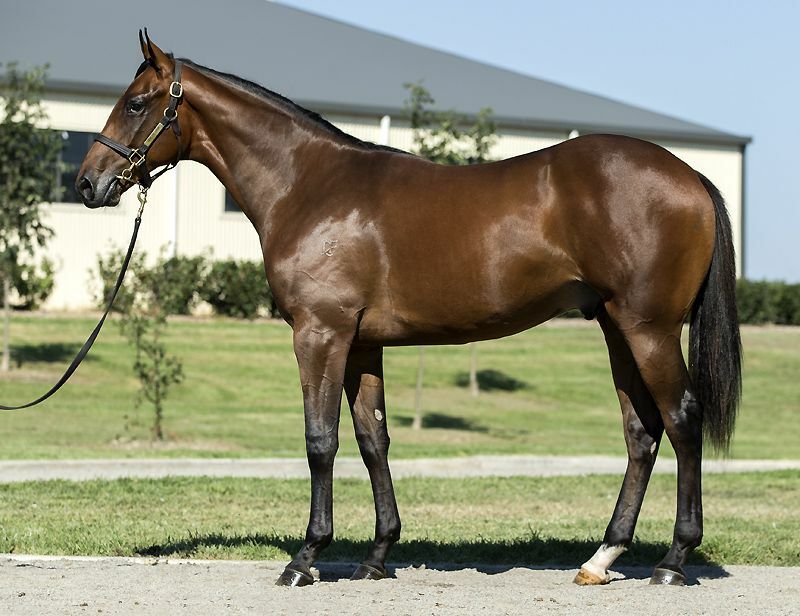 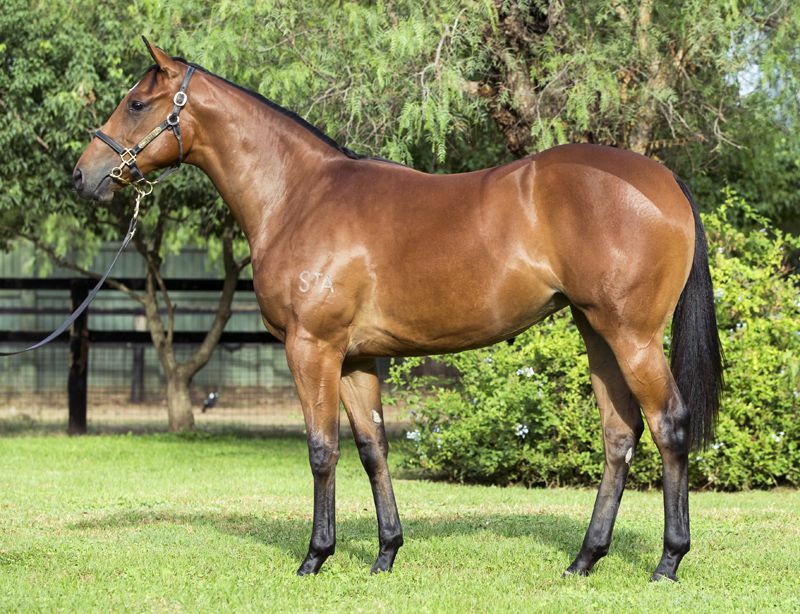 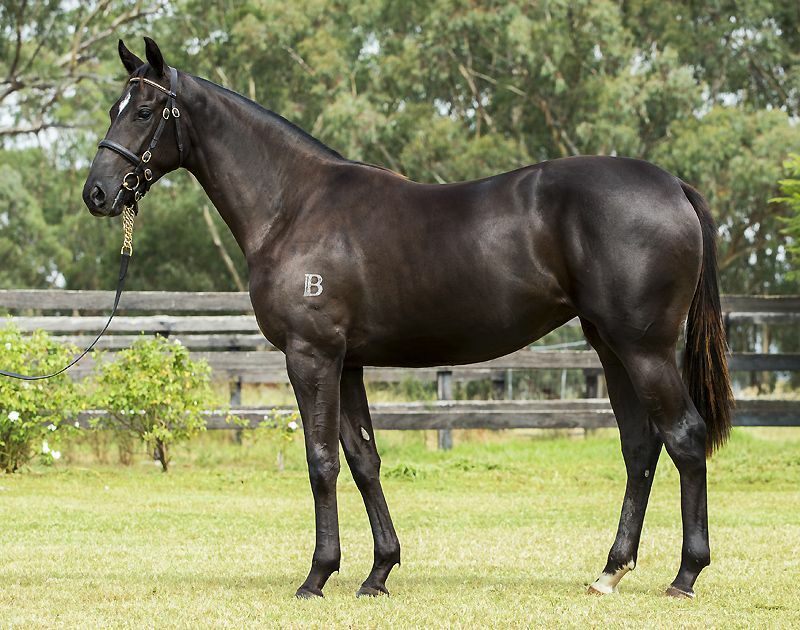 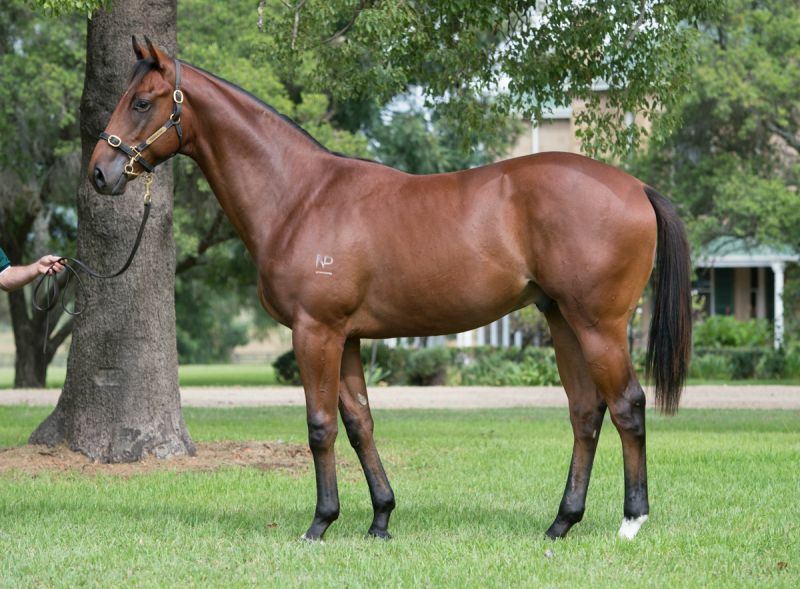 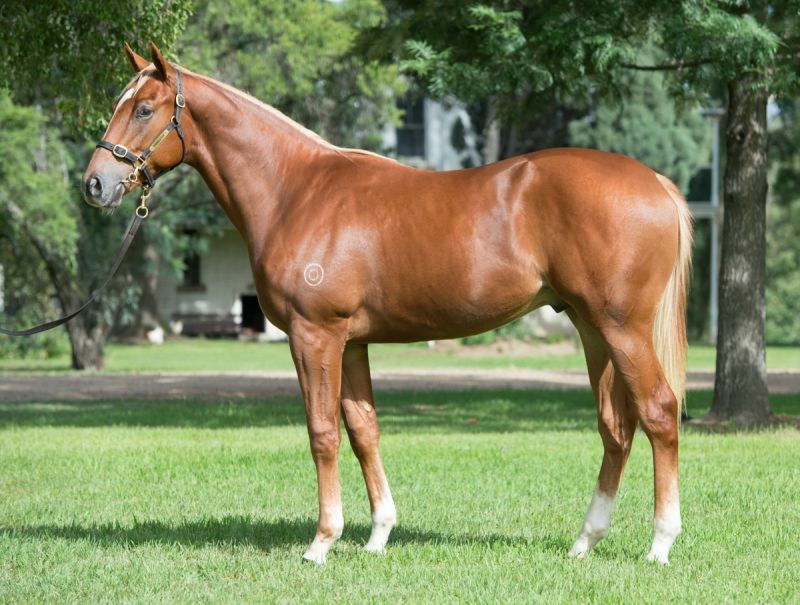 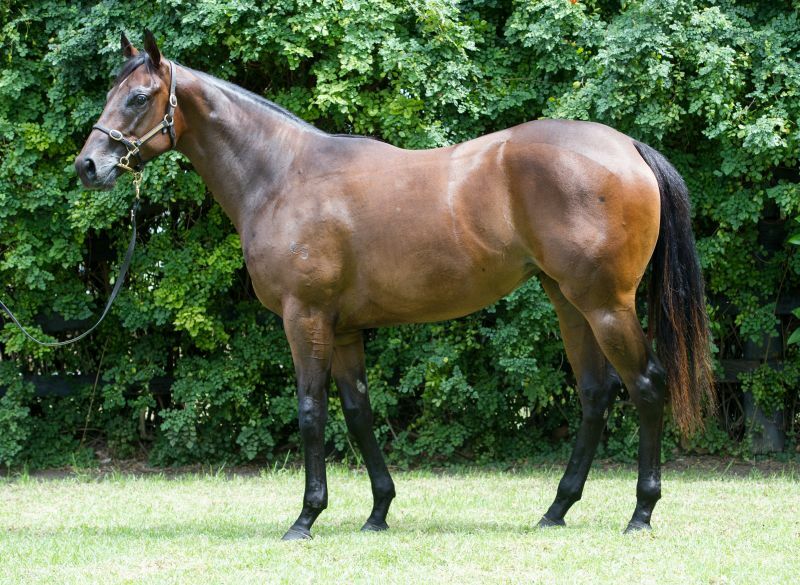 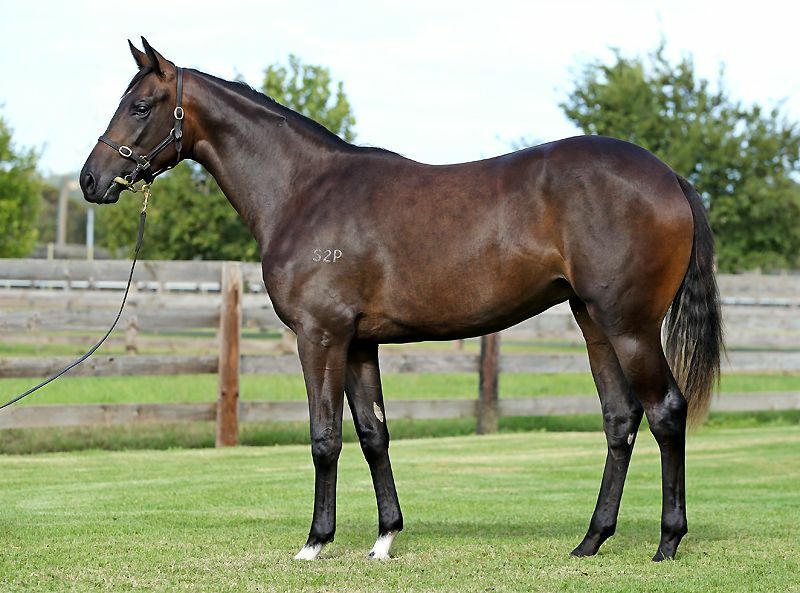 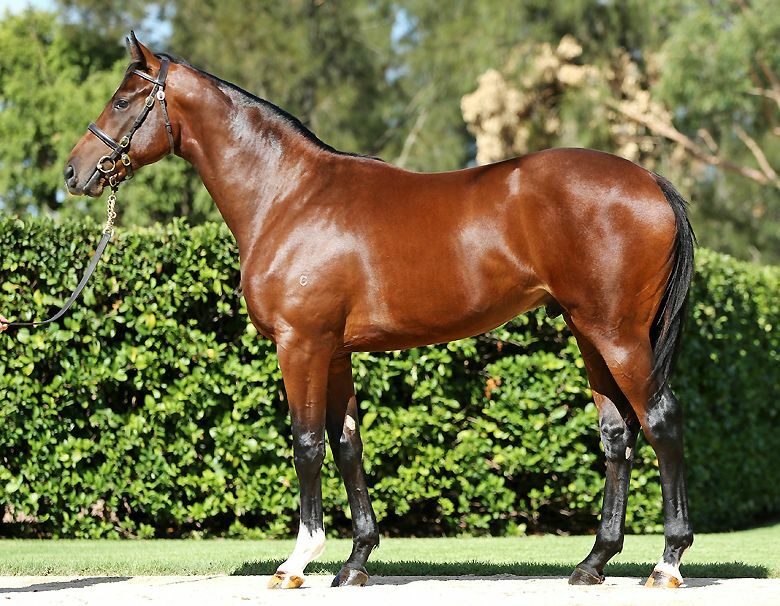 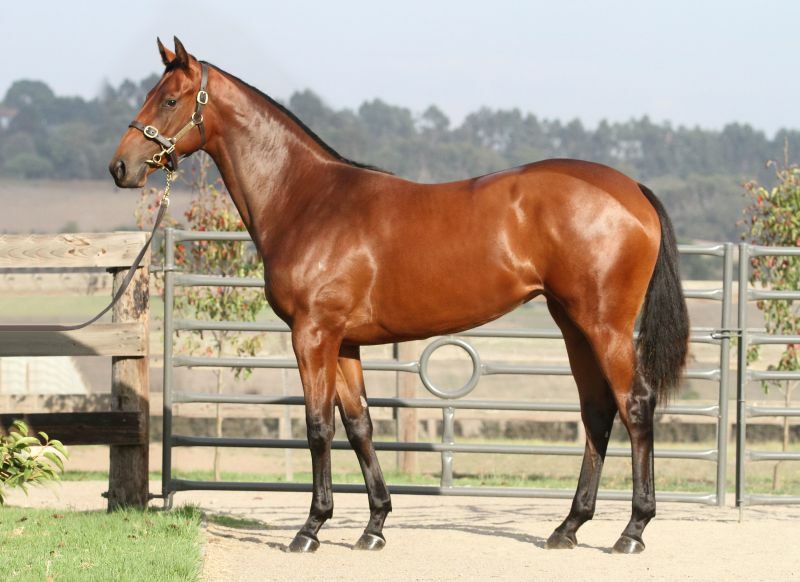 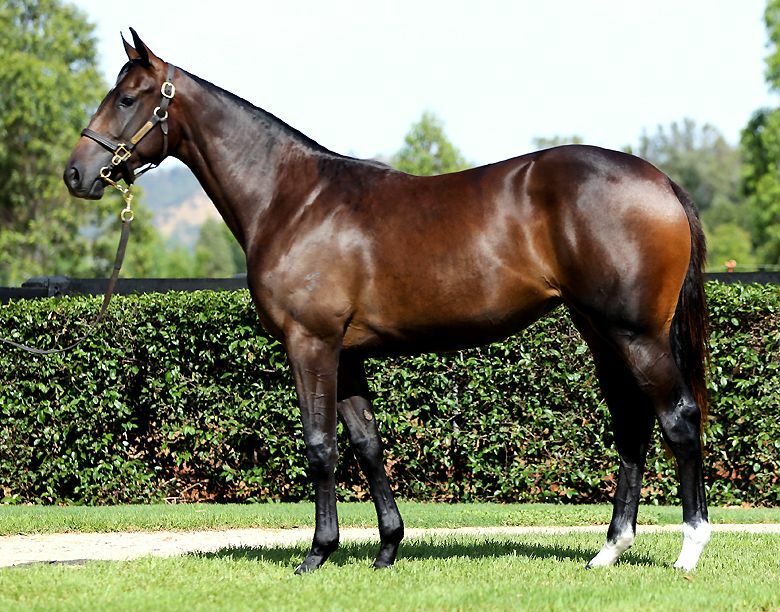 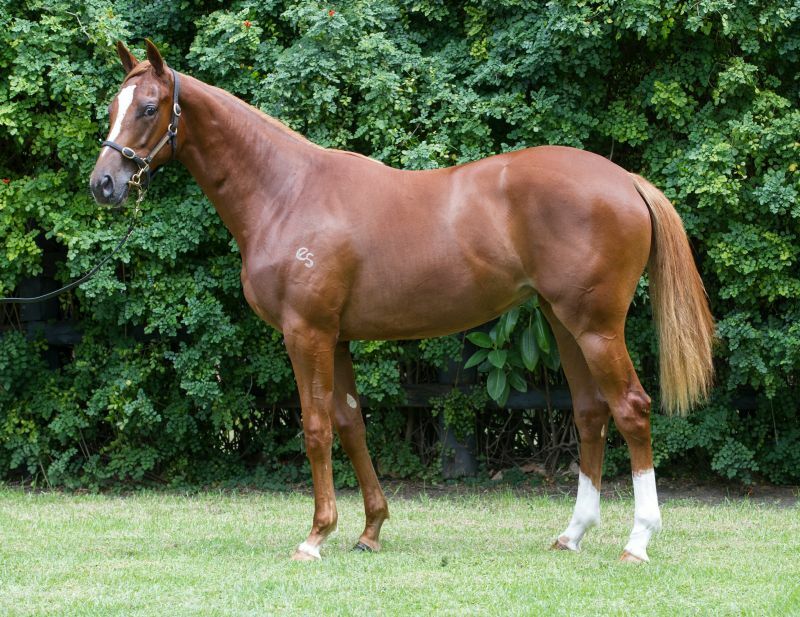 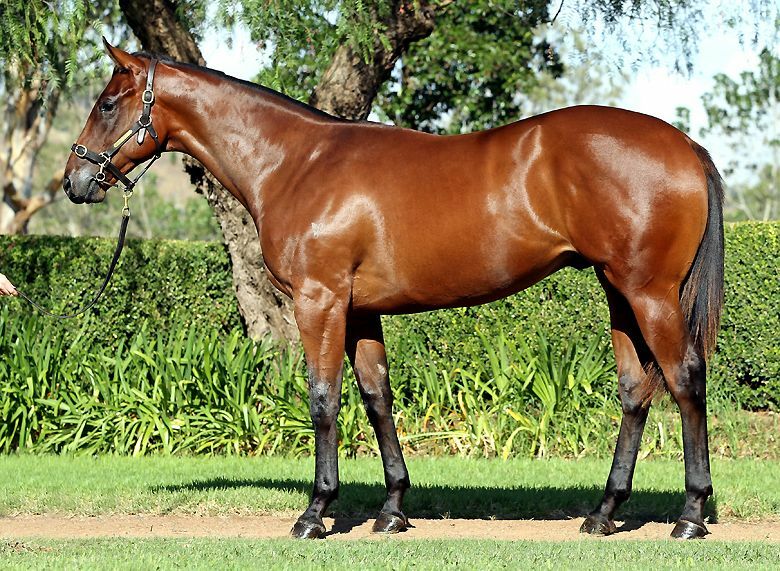 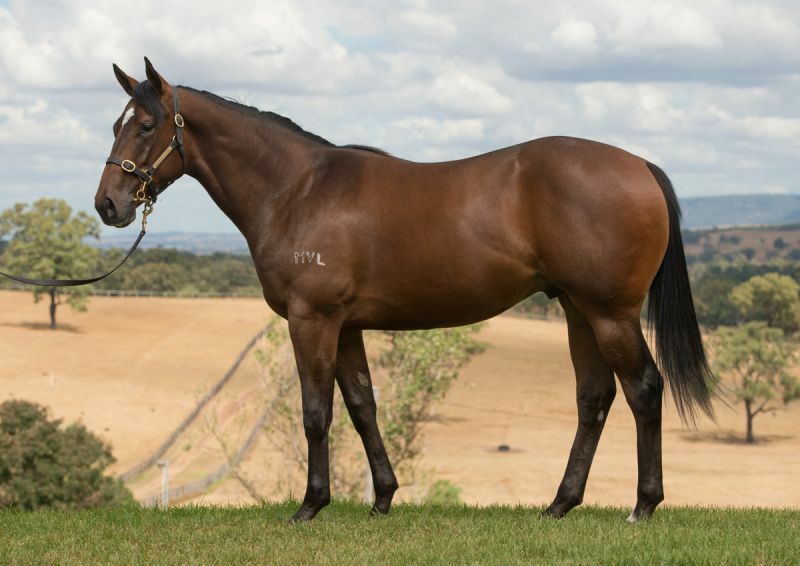 Erinvale Thoroughbreds’ boutique draft of three averaged $515,000, while Newgate Farm posted impressive results selling all 11 of their Session I Lots at an average of $504,091. 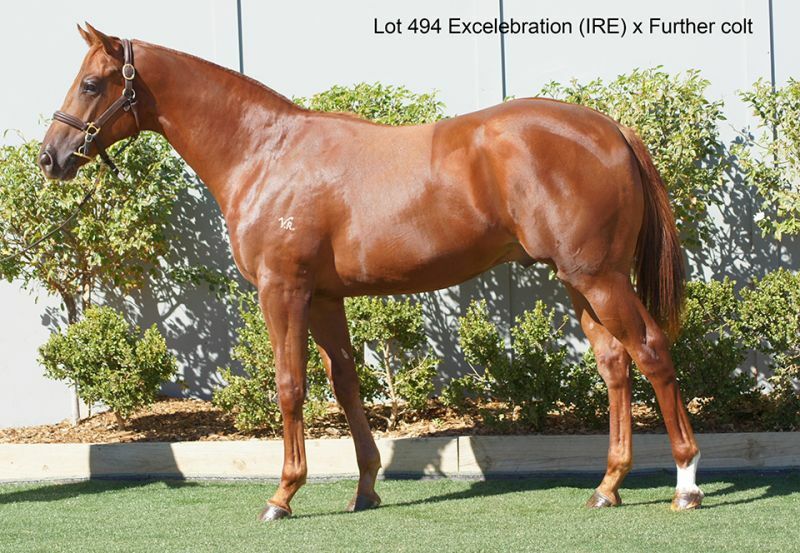 Another 35 vendors averaged $200,000 or more in Session I. 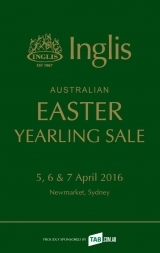 Read our annual 2016 Easter Yearling Sale Preview catalogue online now!